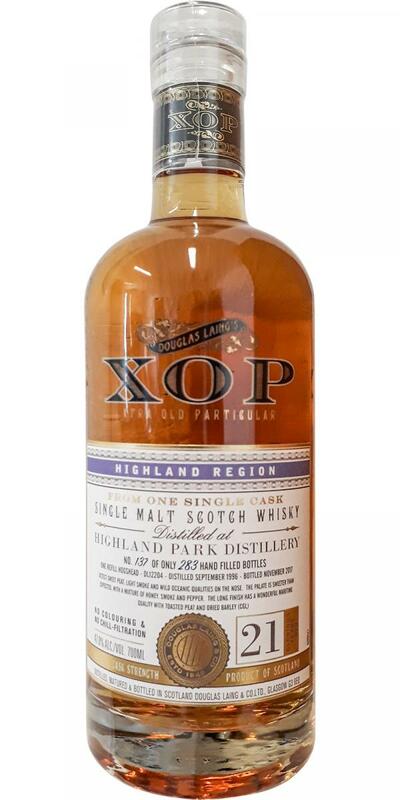 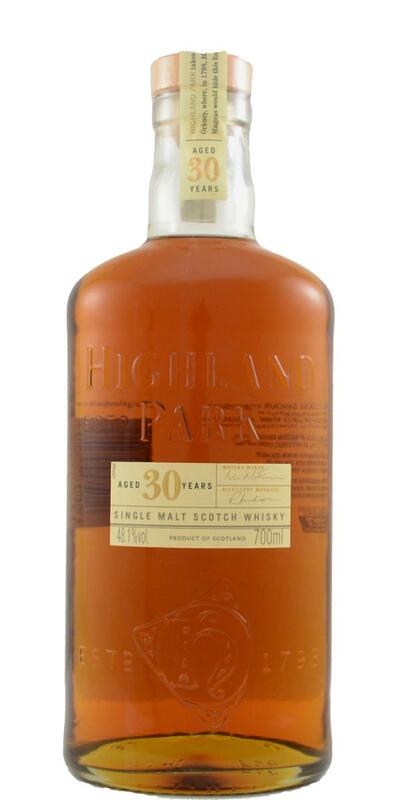 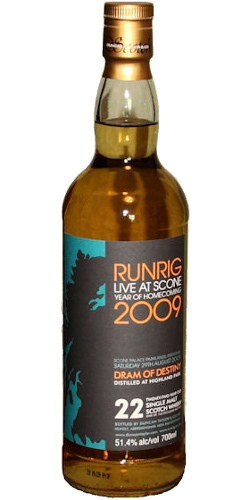 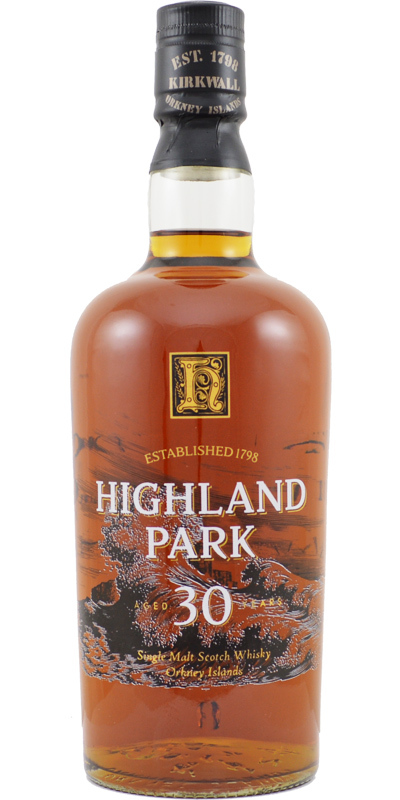 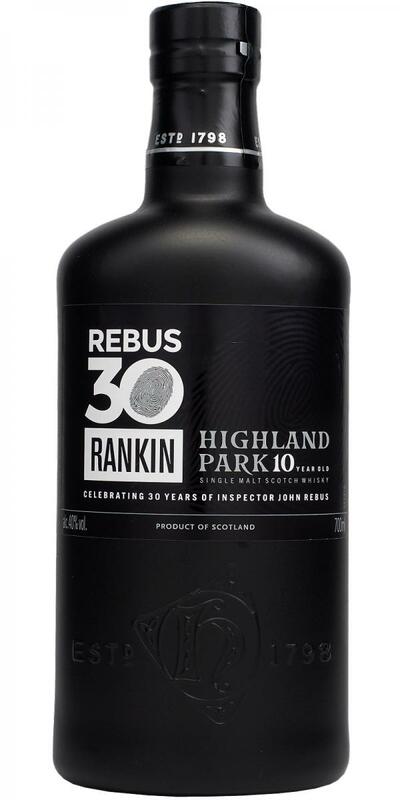 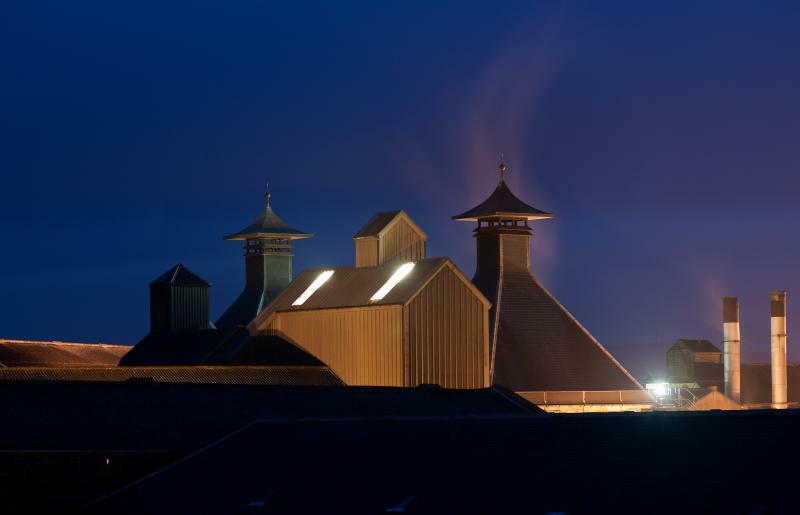 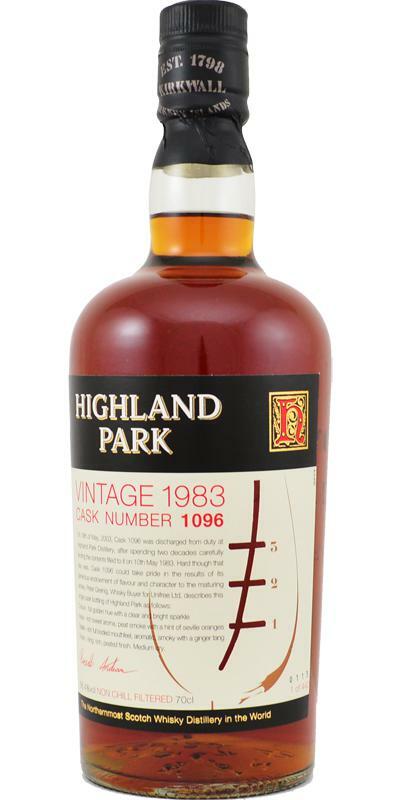 Highland Park 30-year-old 30 48.1 % Vol. 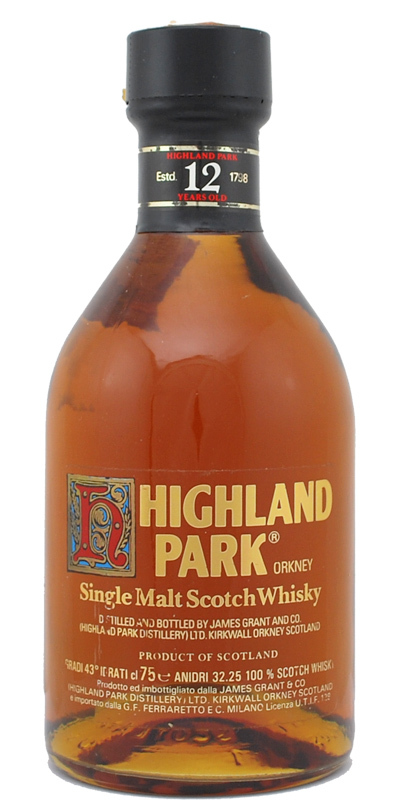 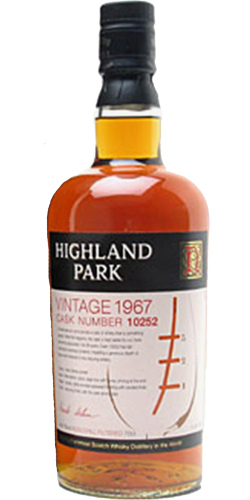 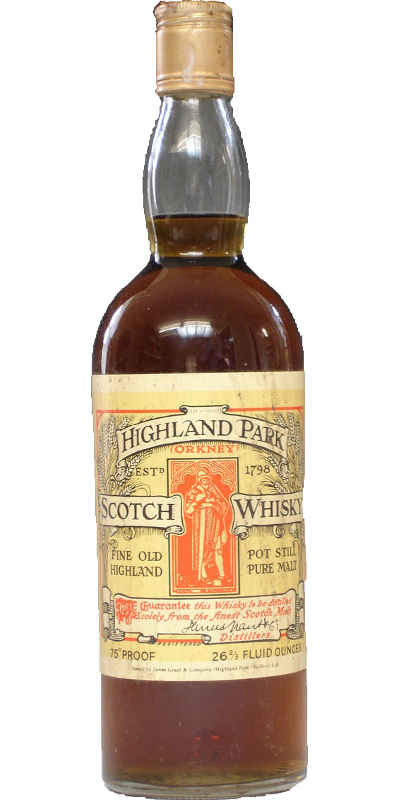 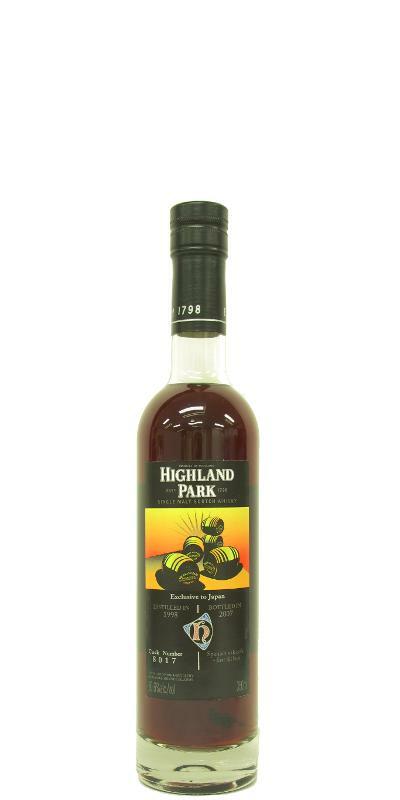 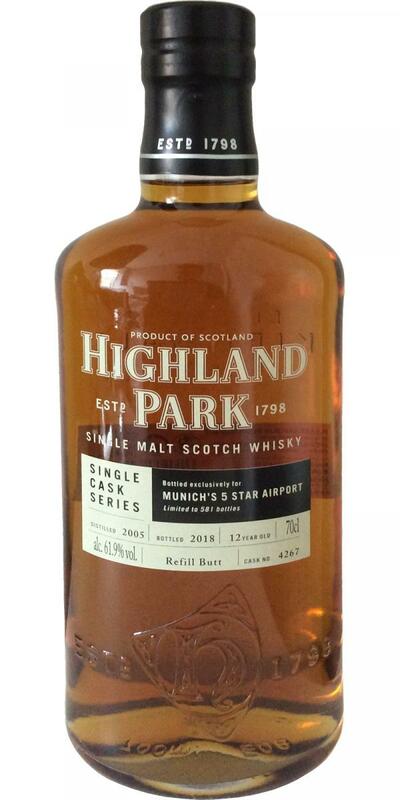 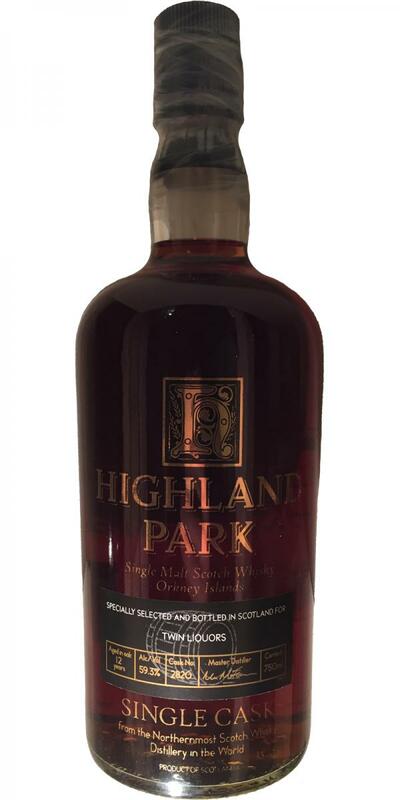 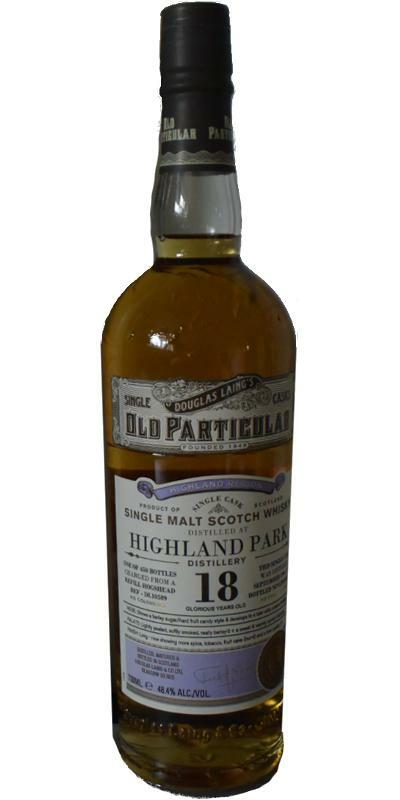 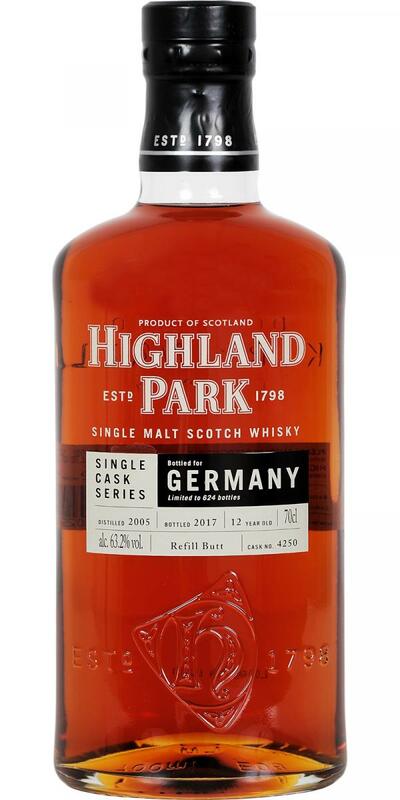 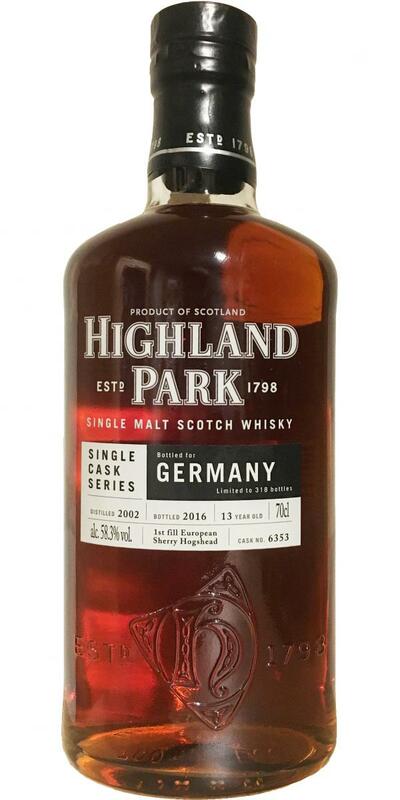 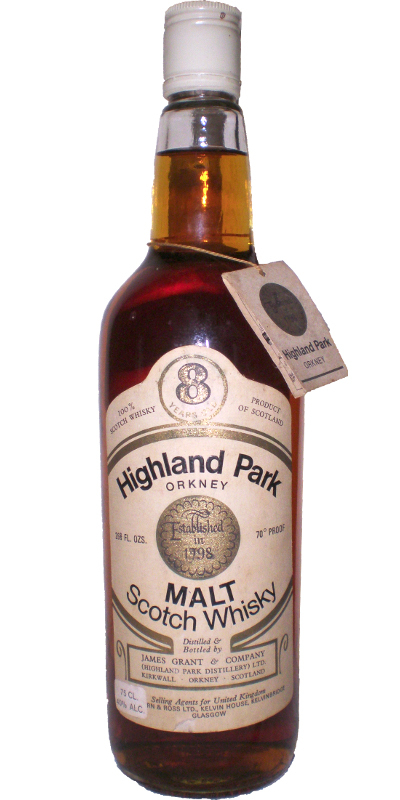 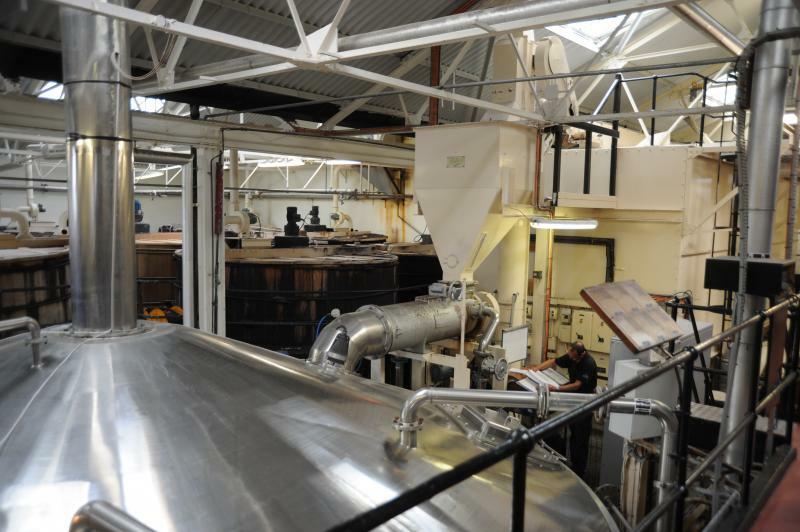 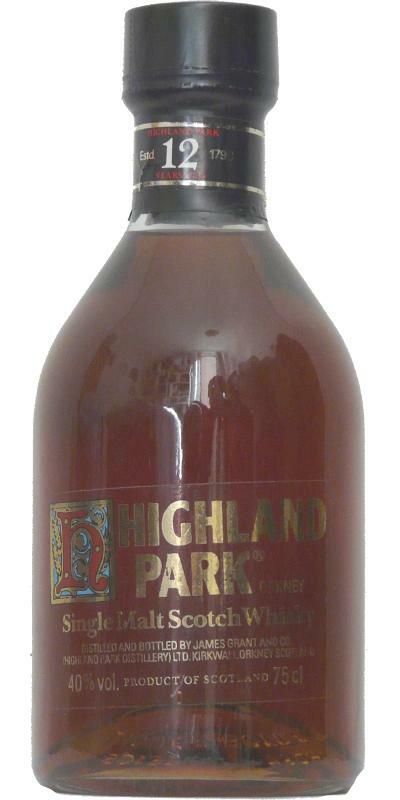 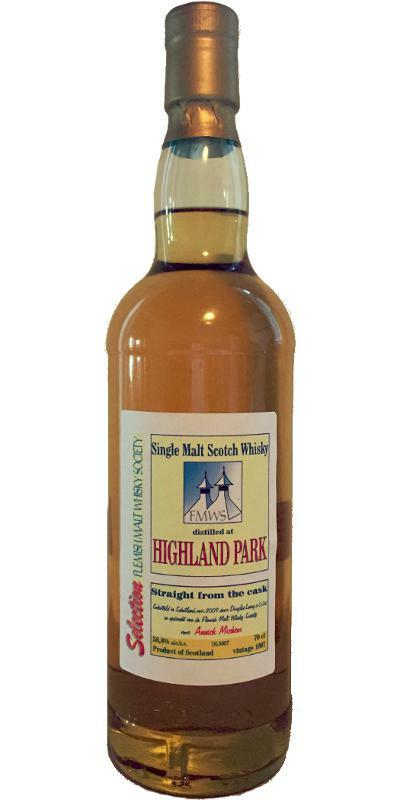 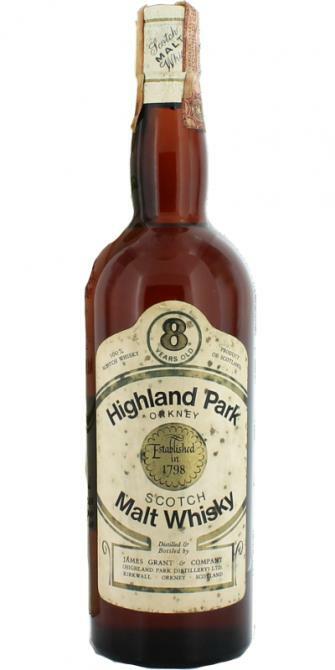 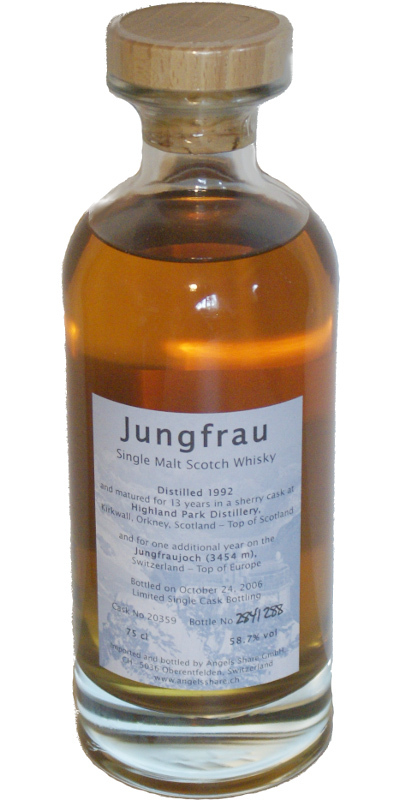 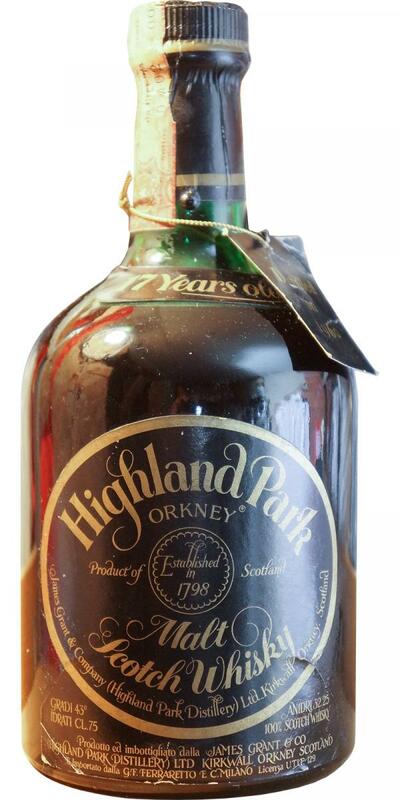 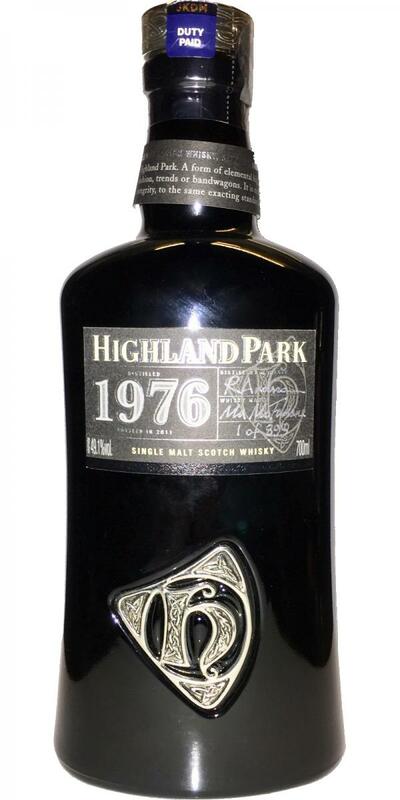 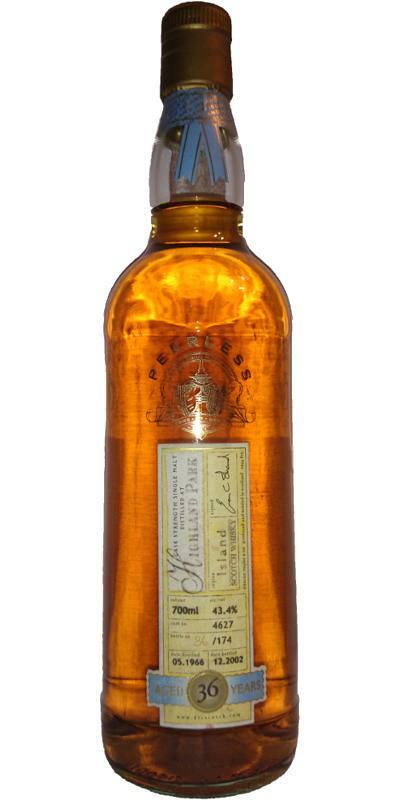 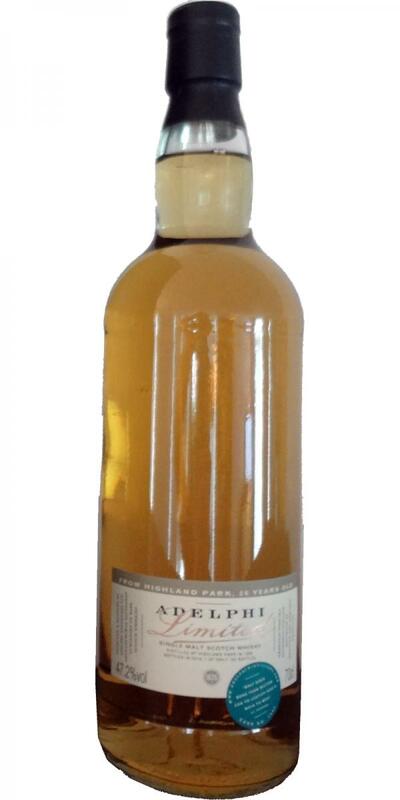 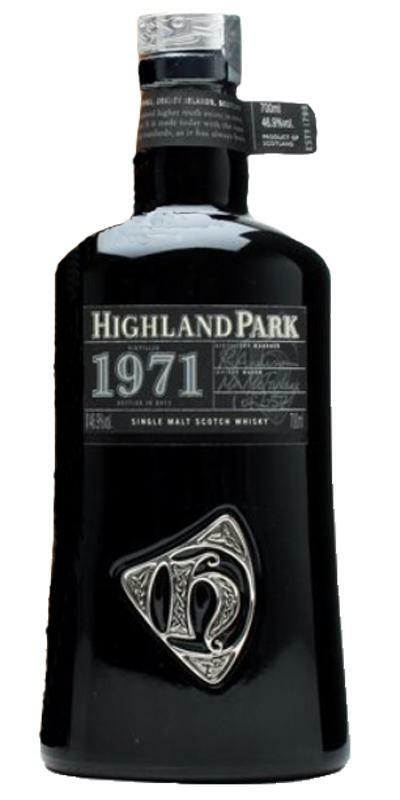 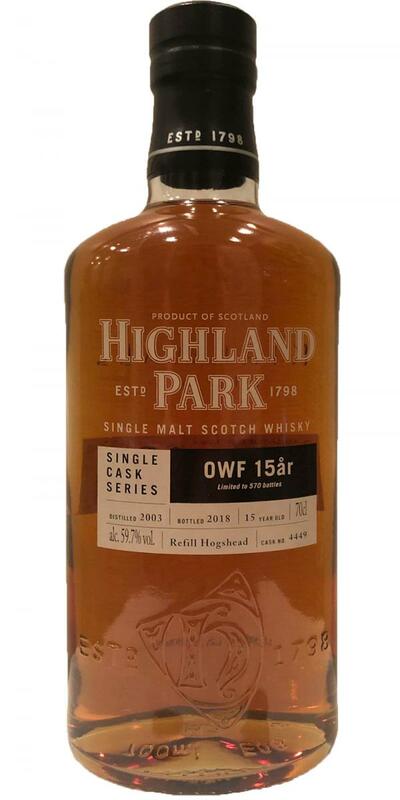 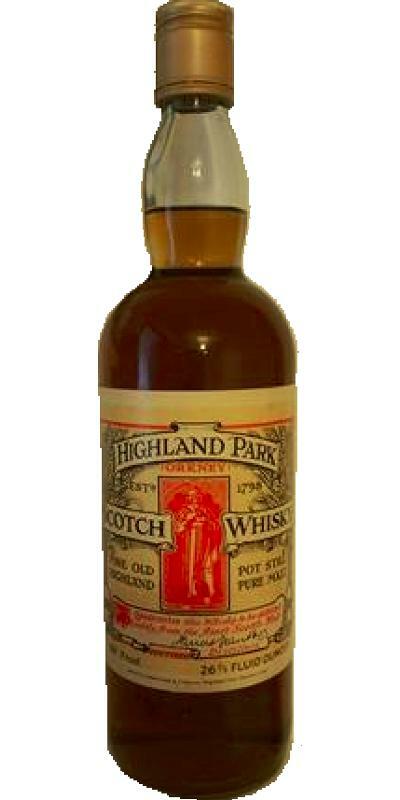 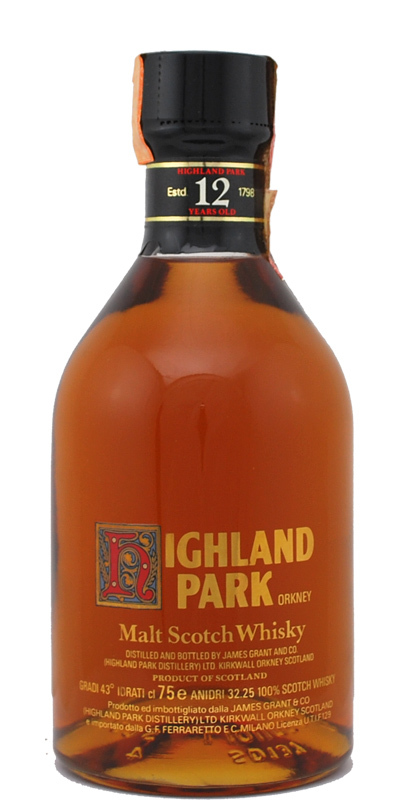 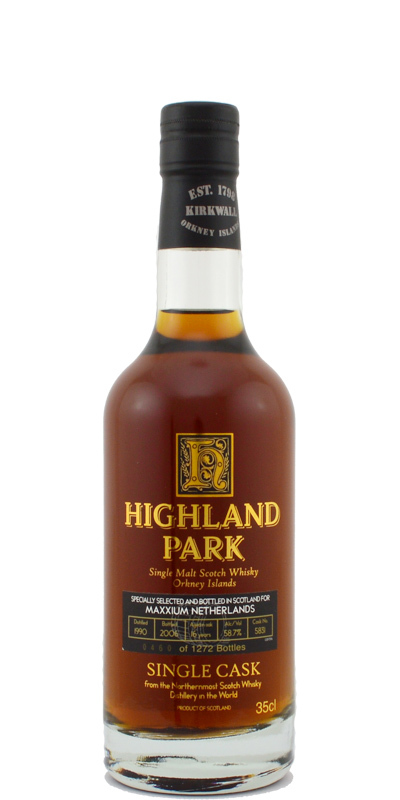 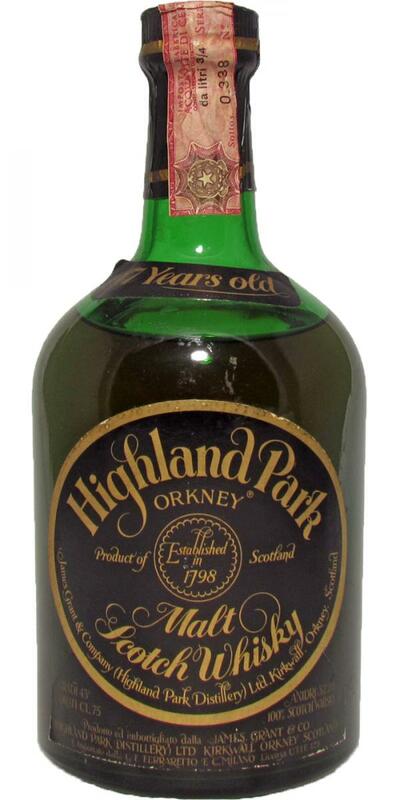 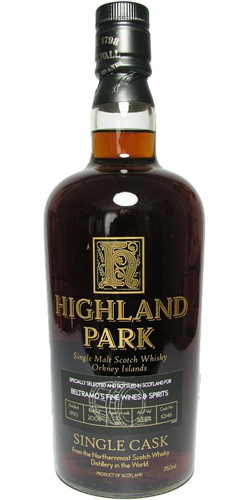 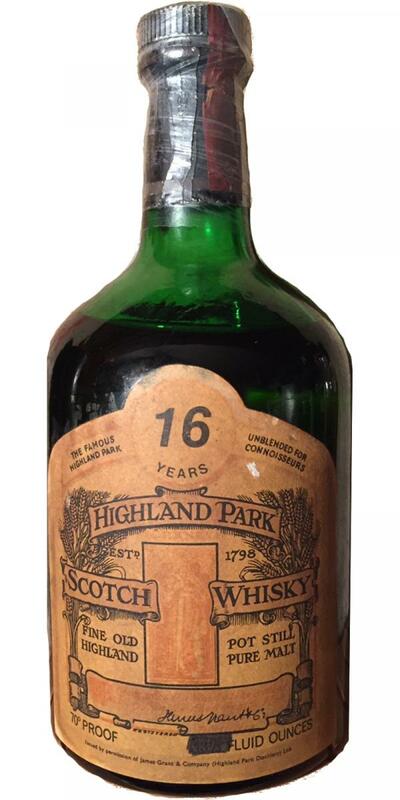 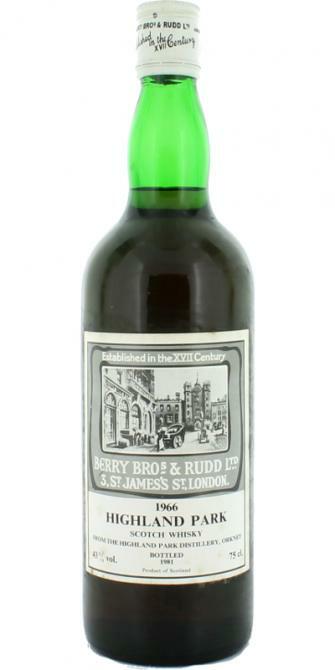 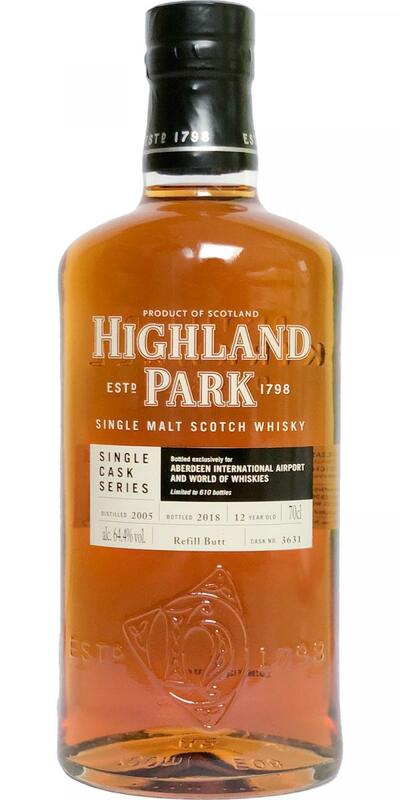 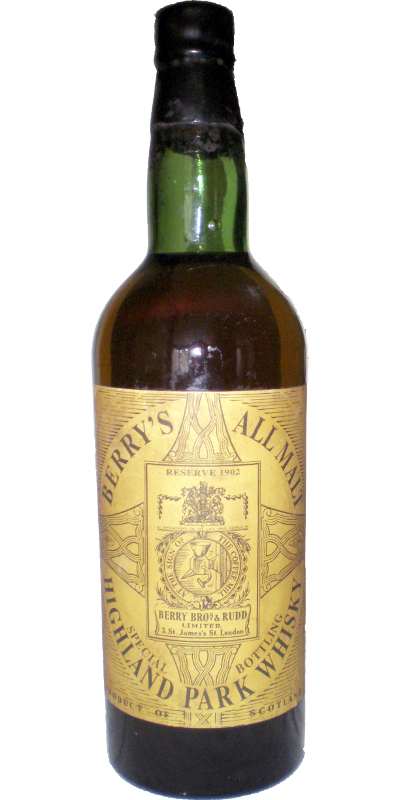 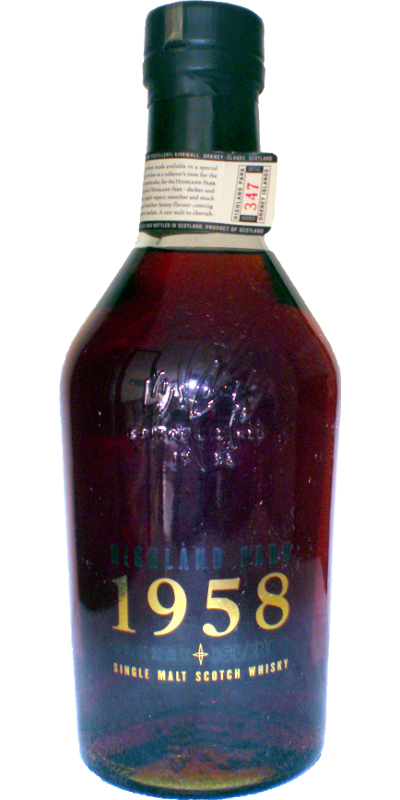 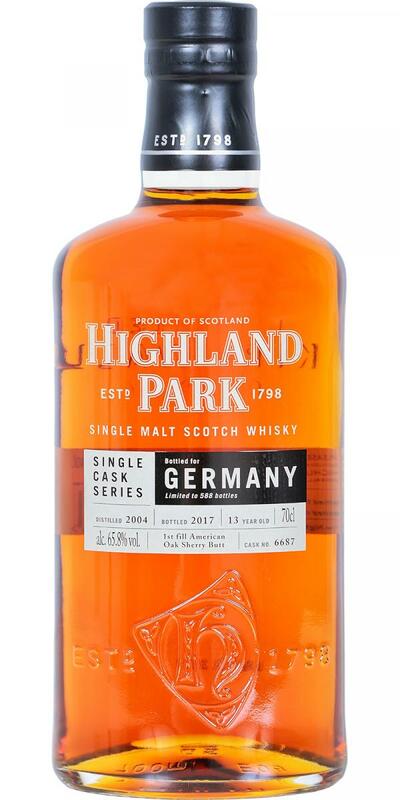 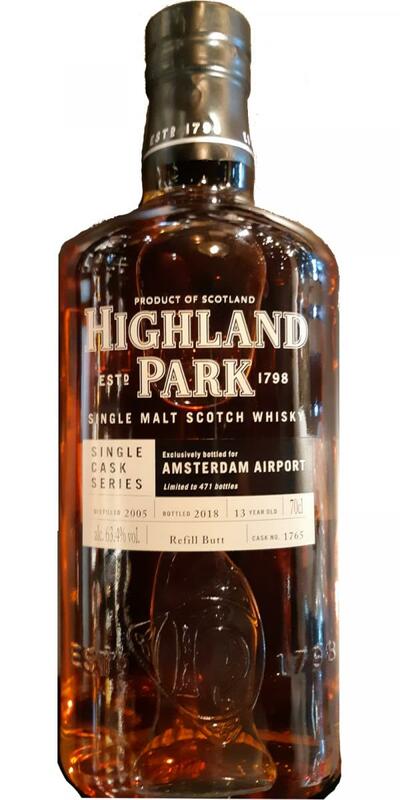 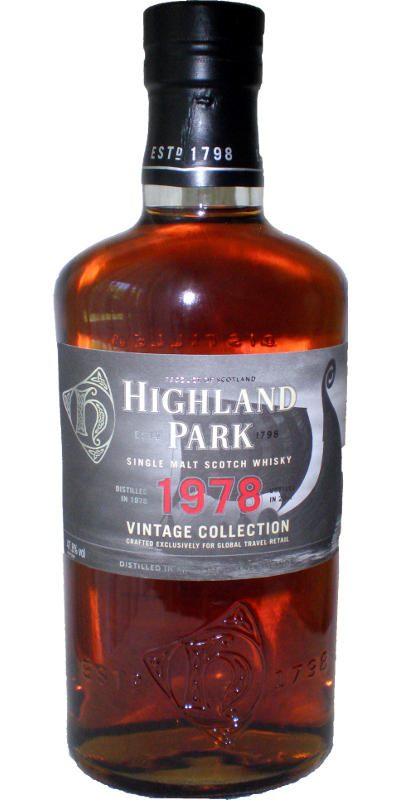 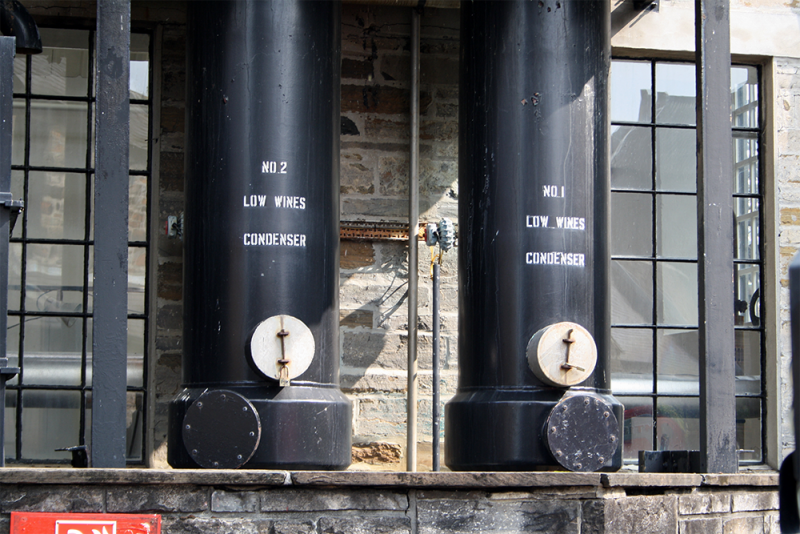 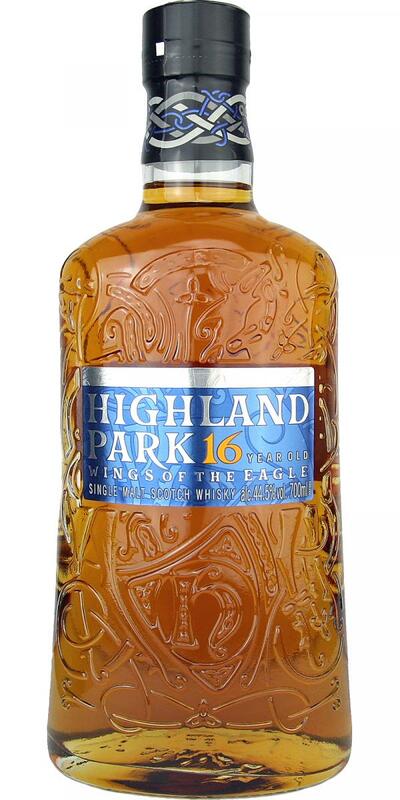 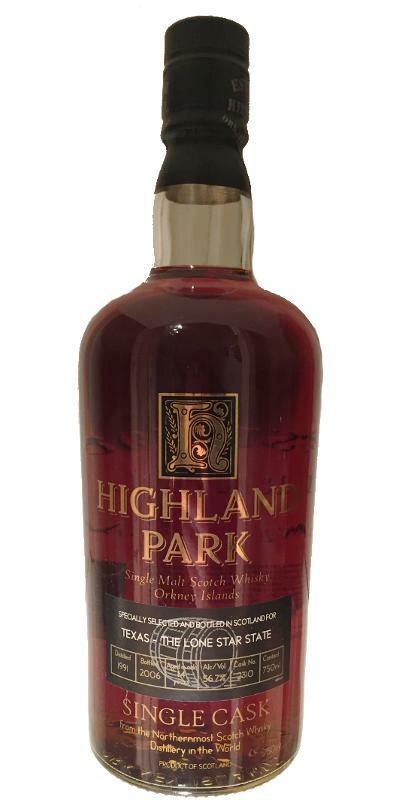 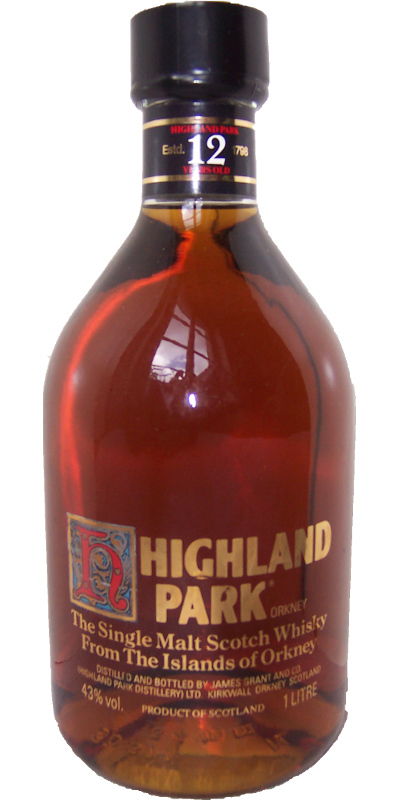 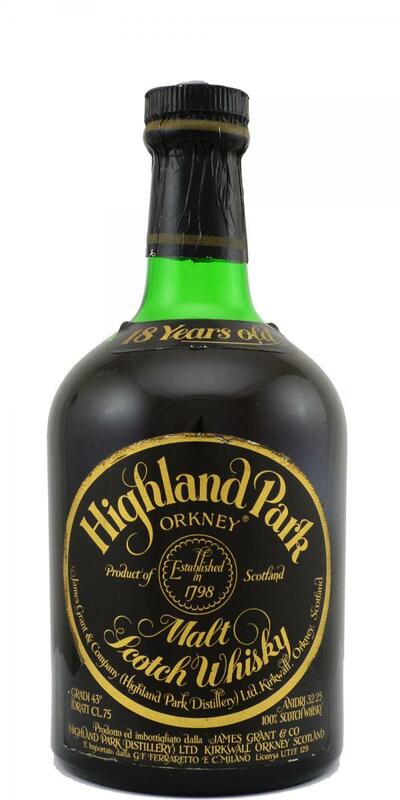 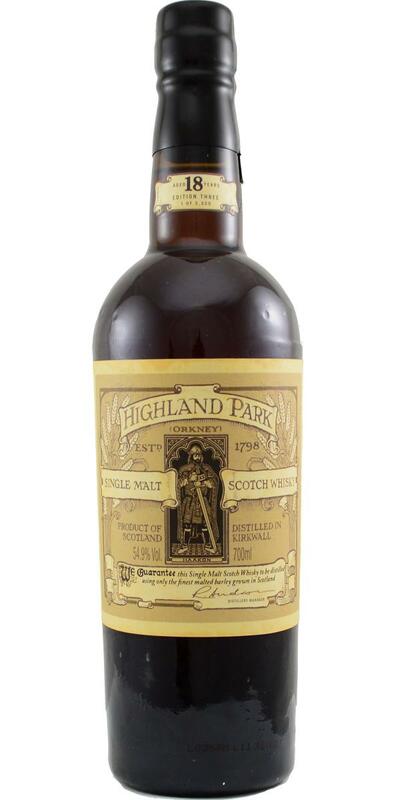 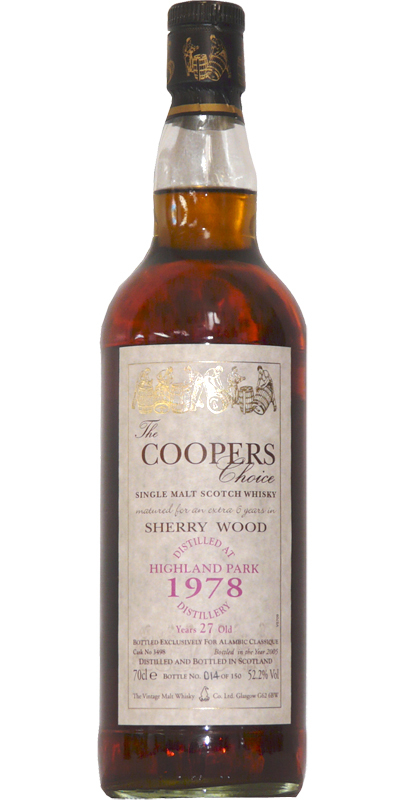 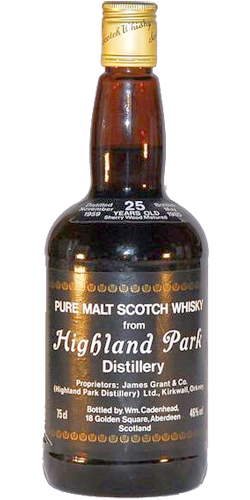 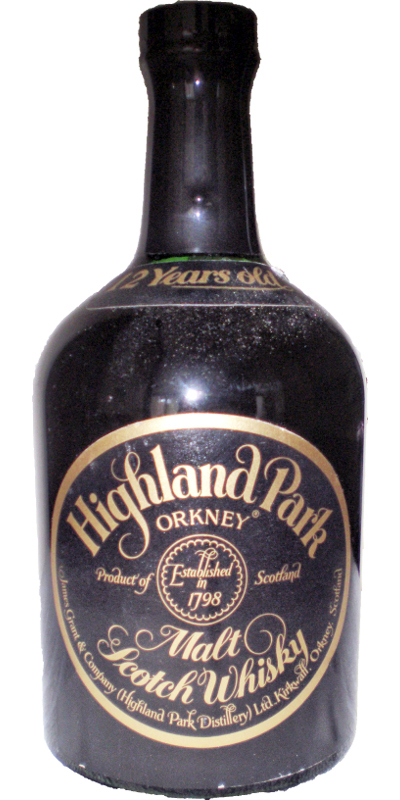 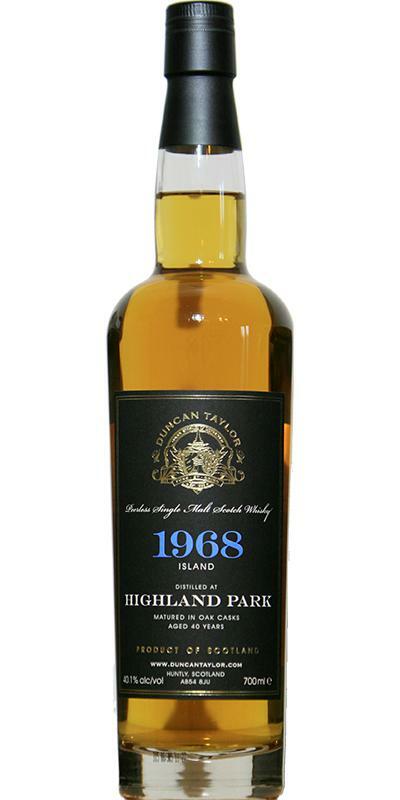 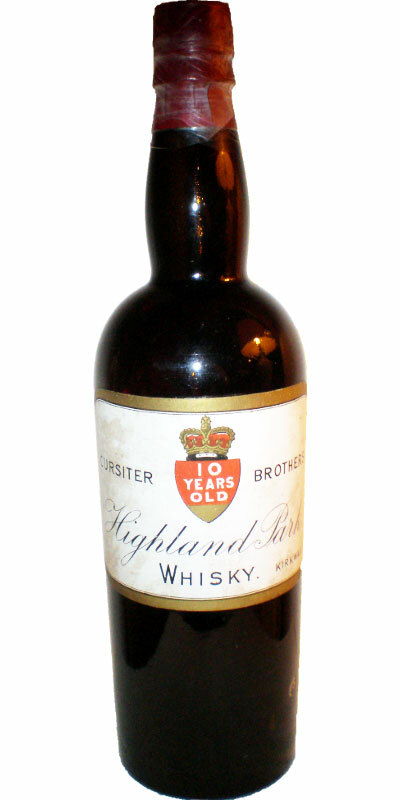 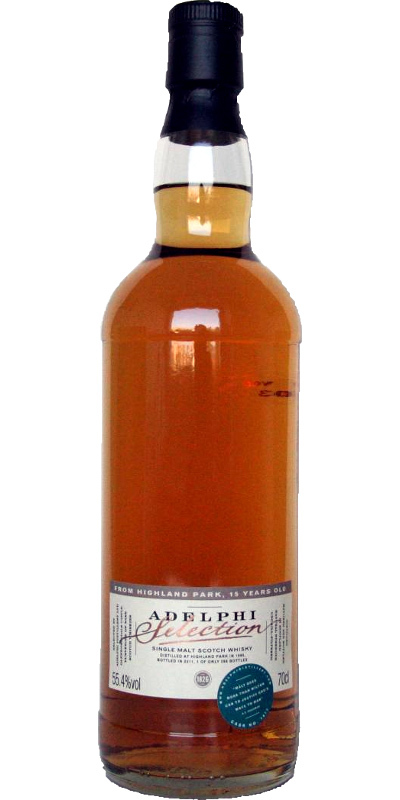 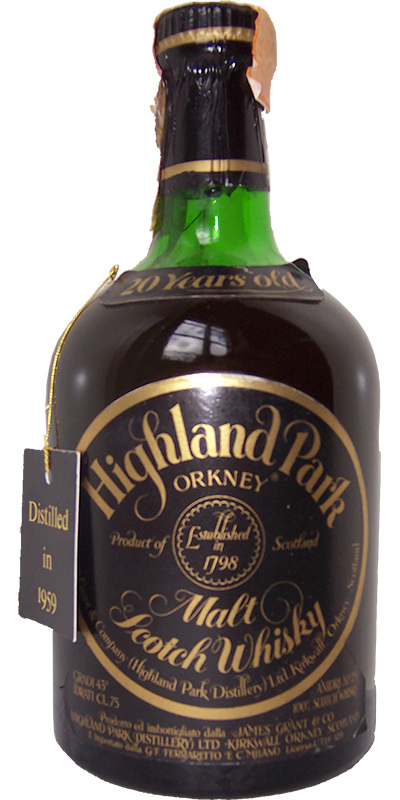 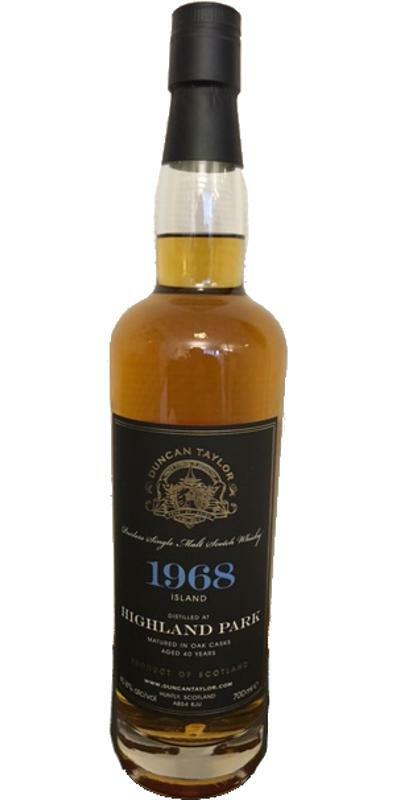 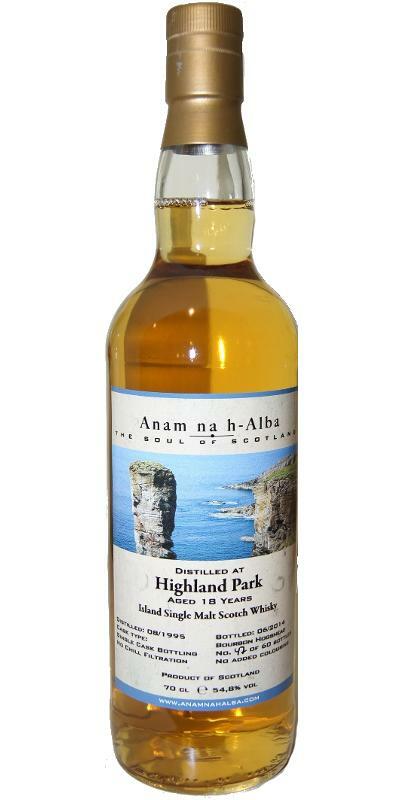 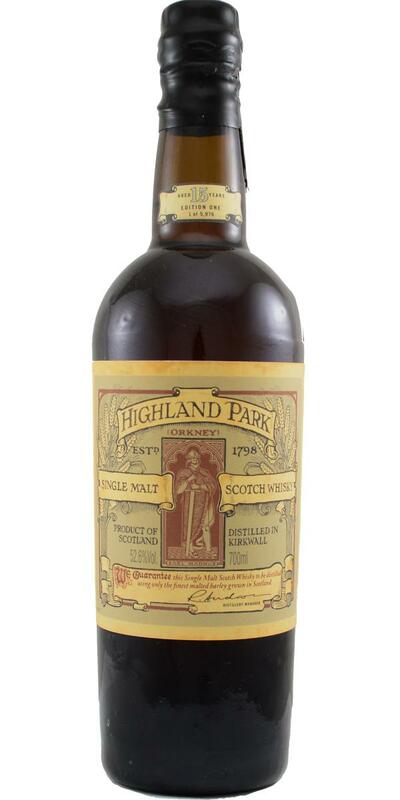 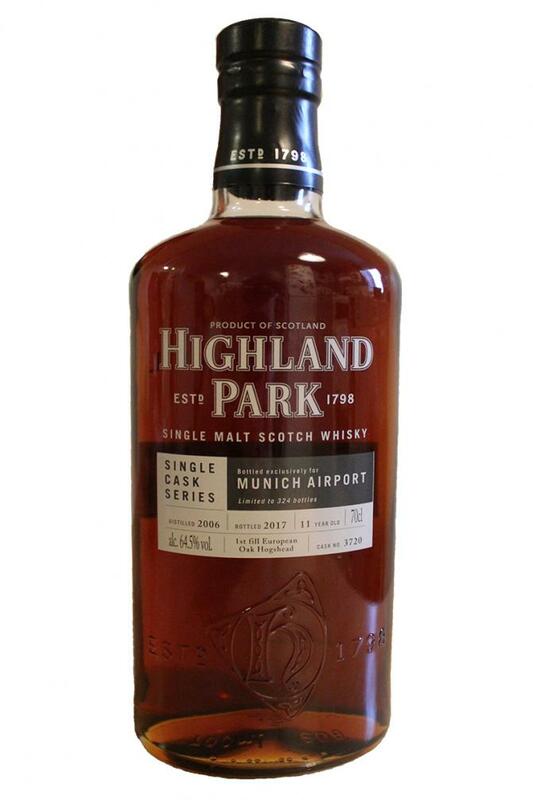 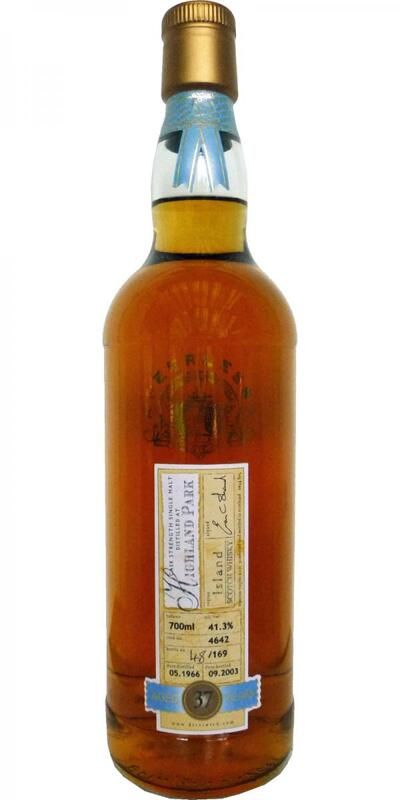 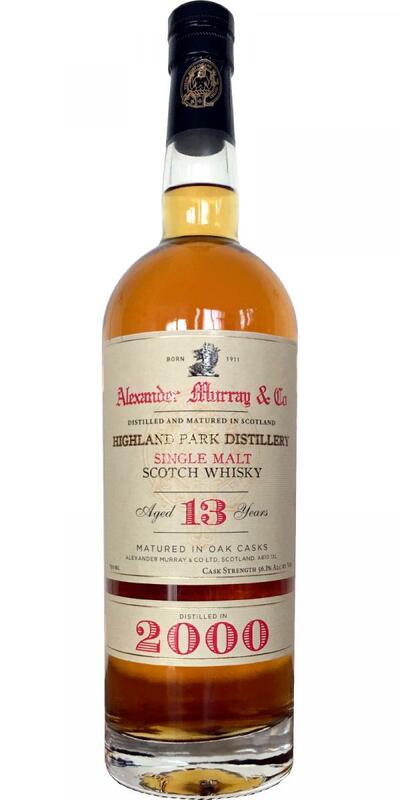 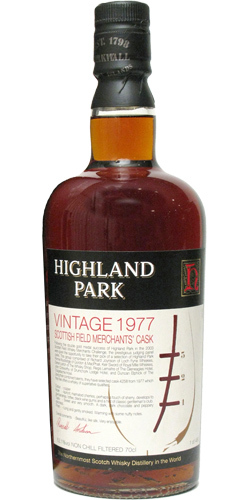 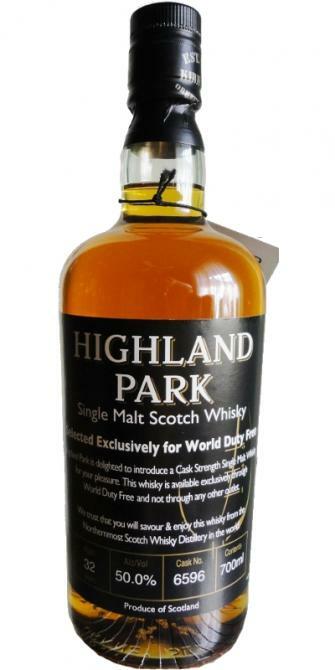 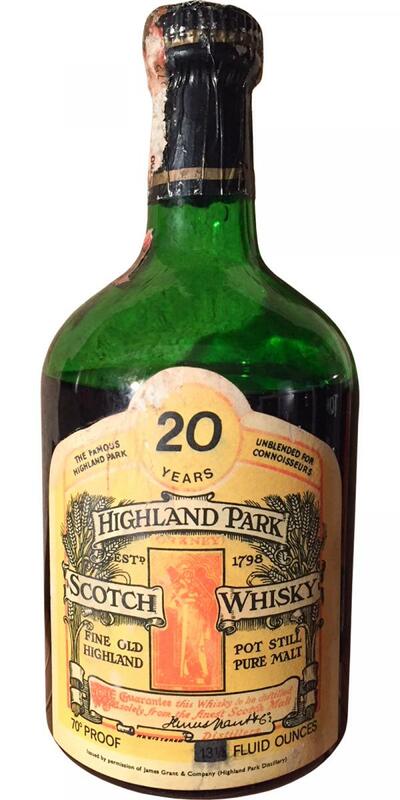 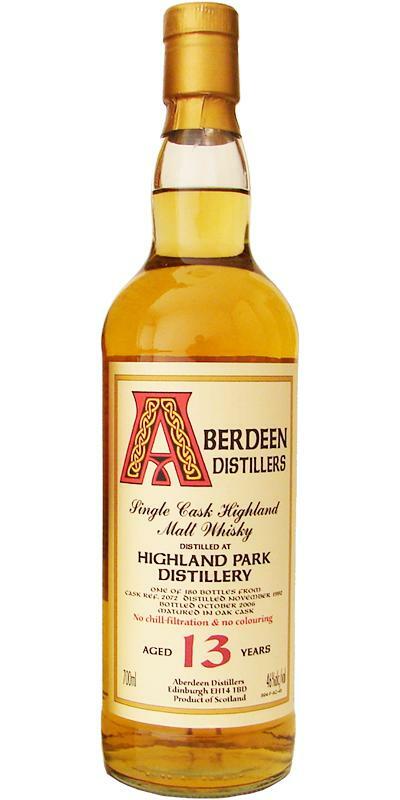 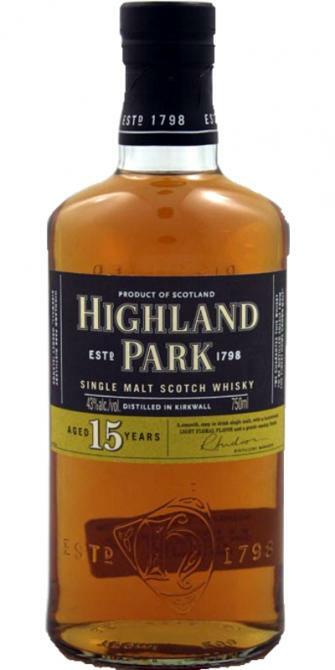 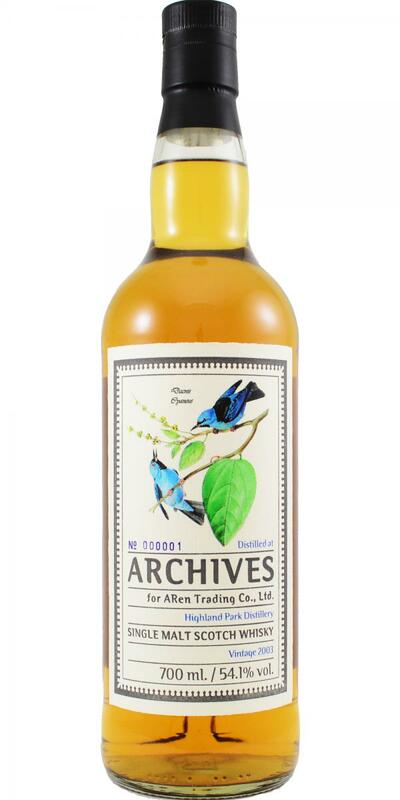 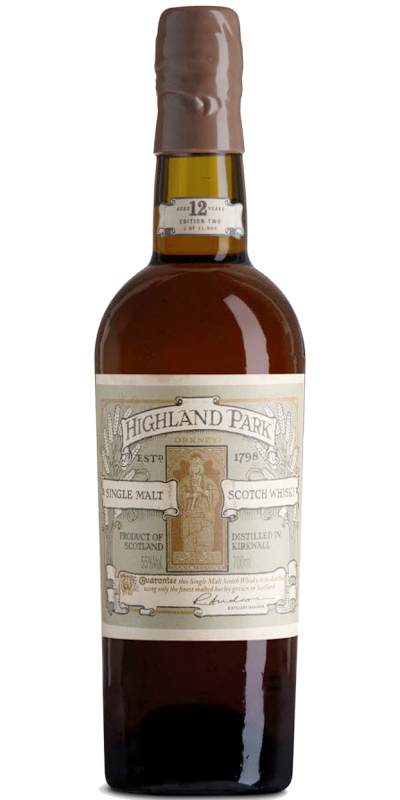 Highland Park 1979 ArW 16 50.0 % Vol. 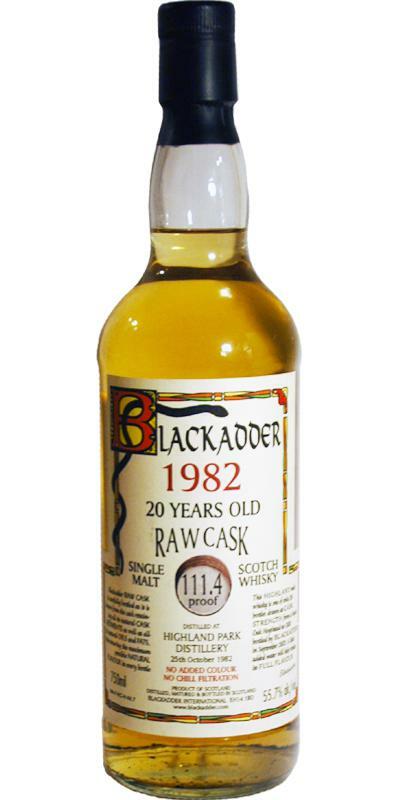 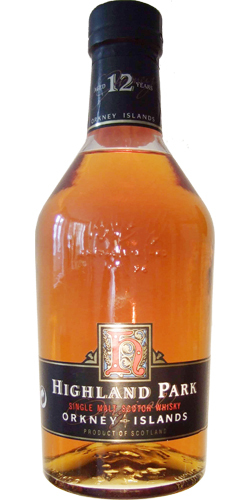 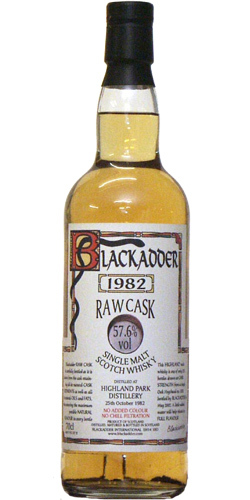 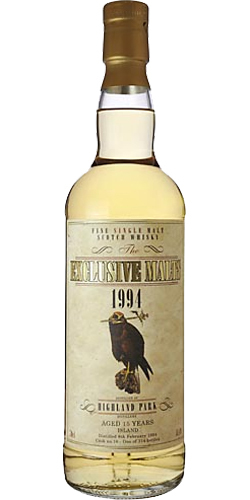 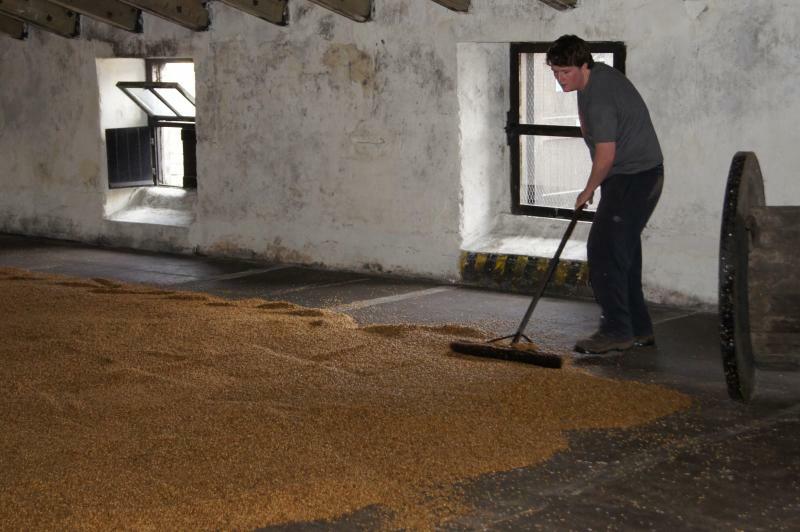 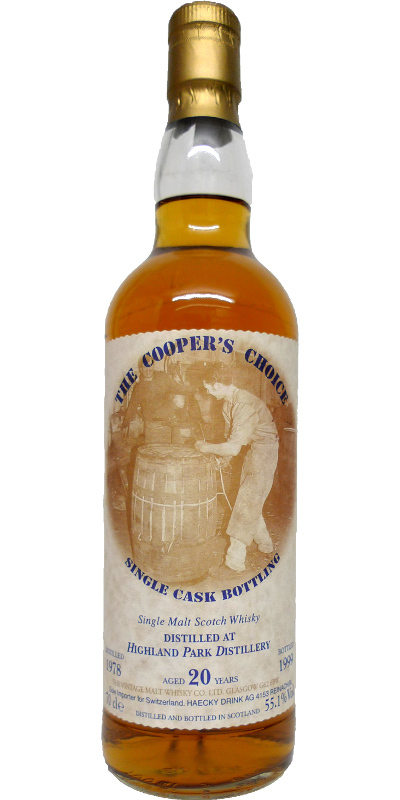 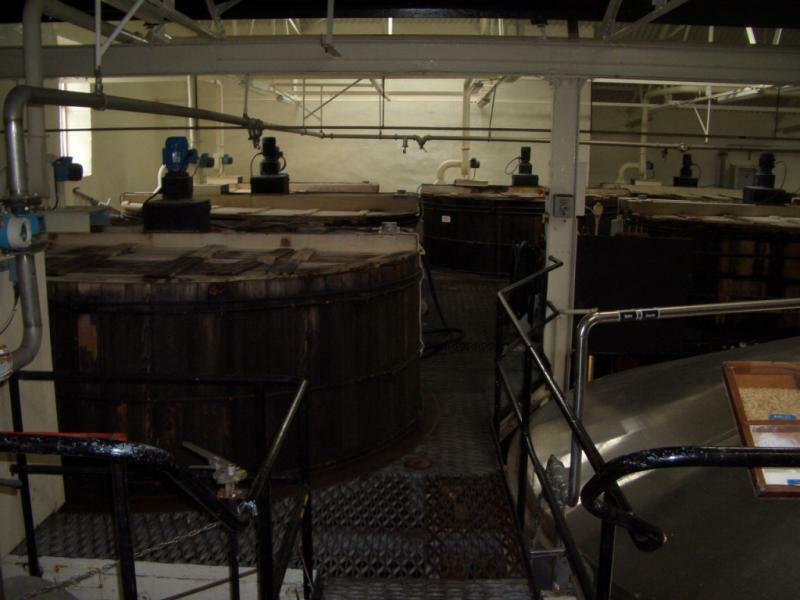 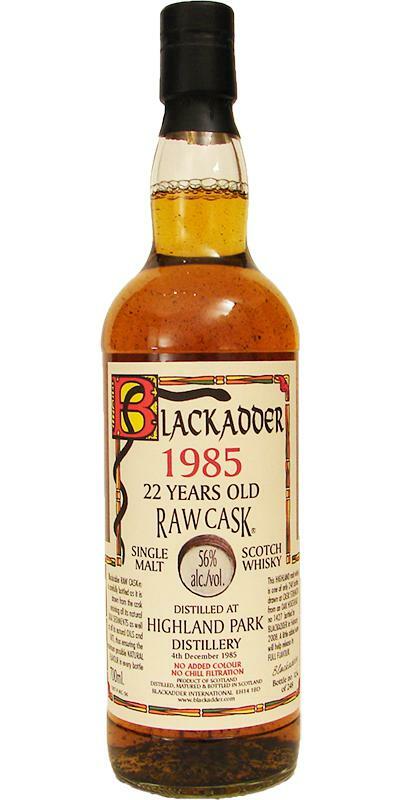 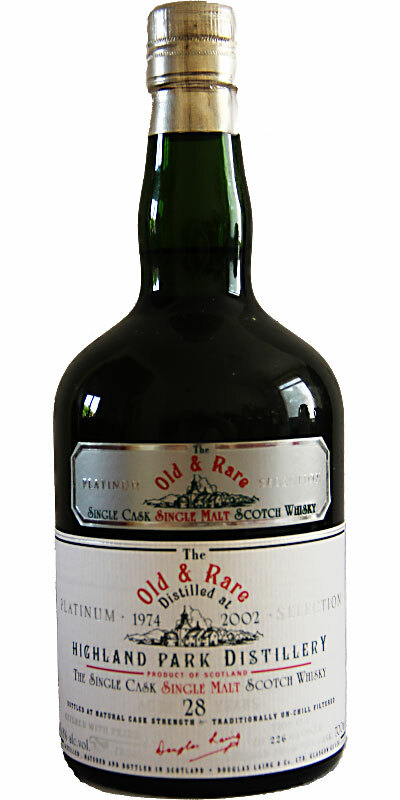 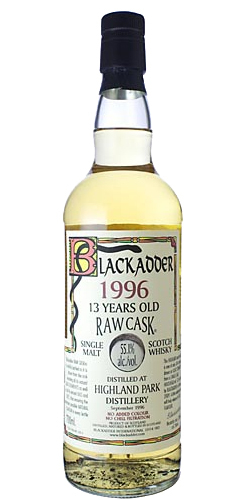 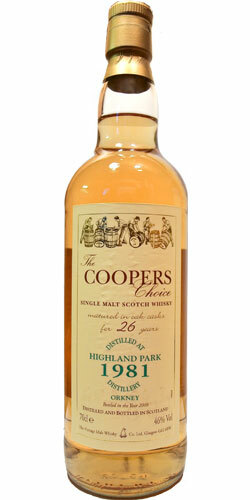 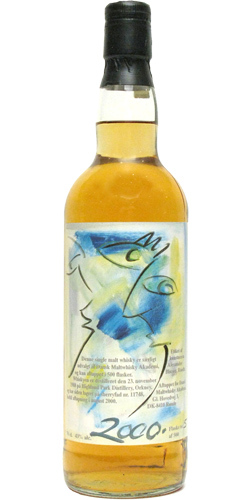 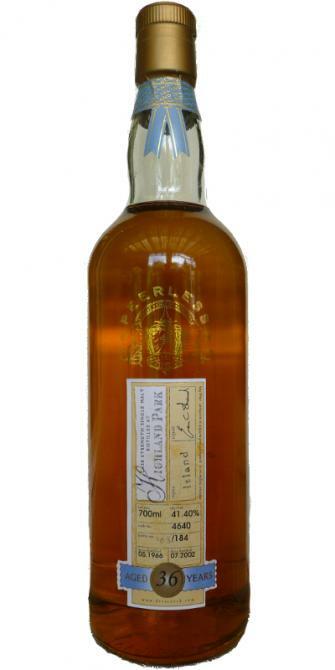 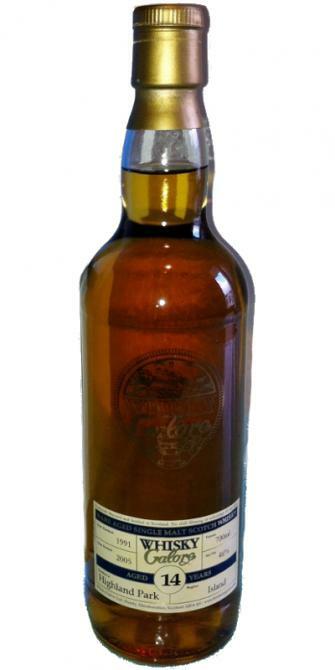 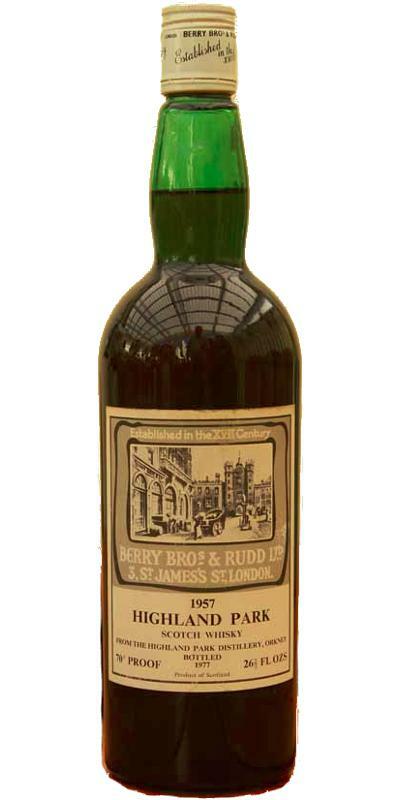 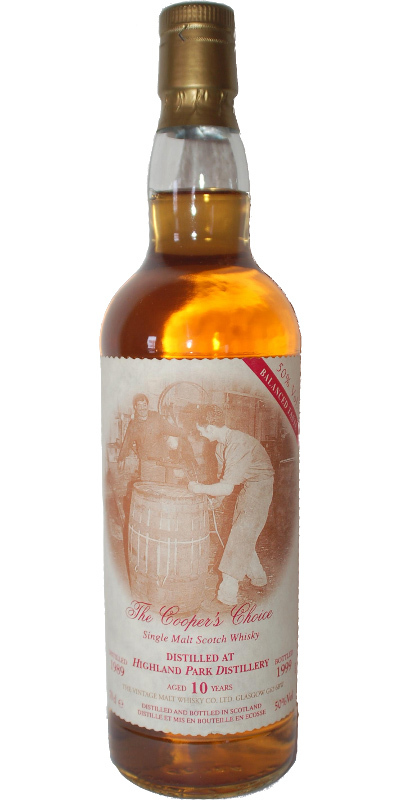 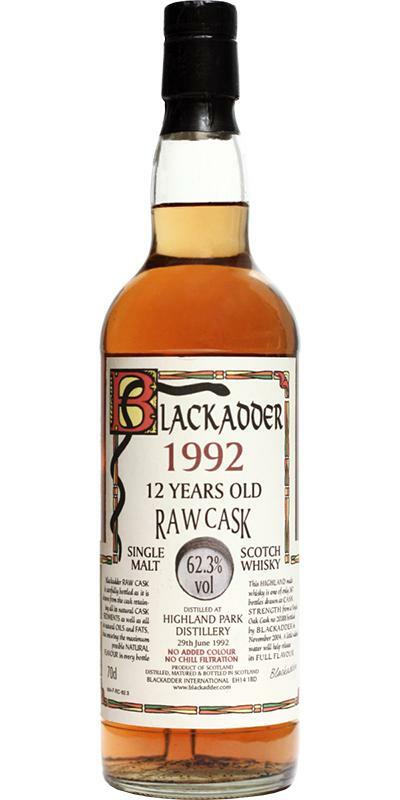 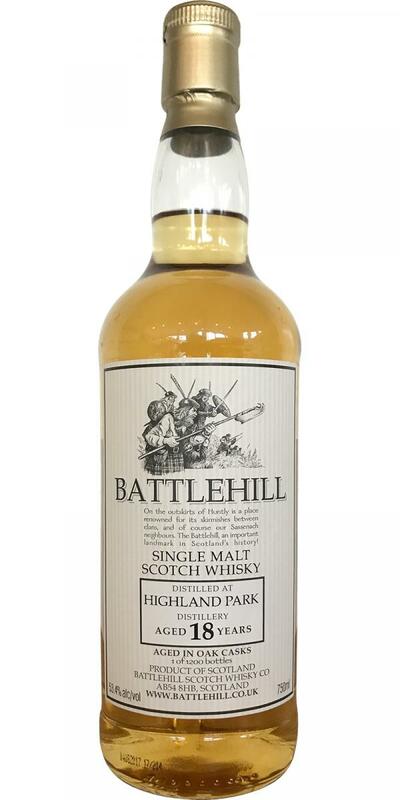 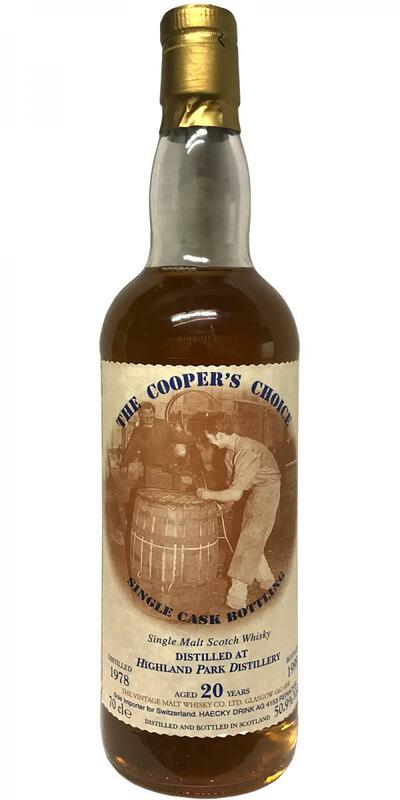 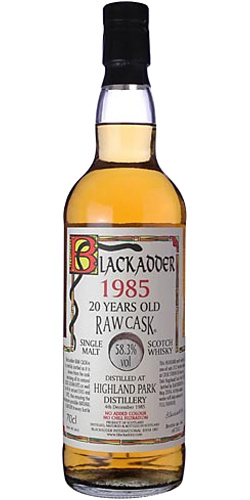 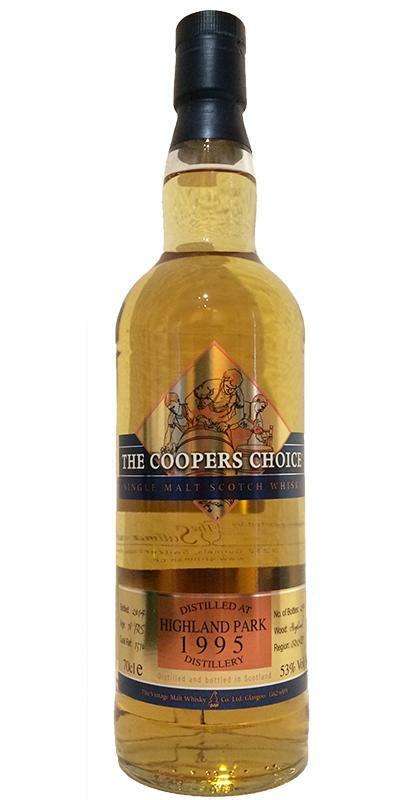 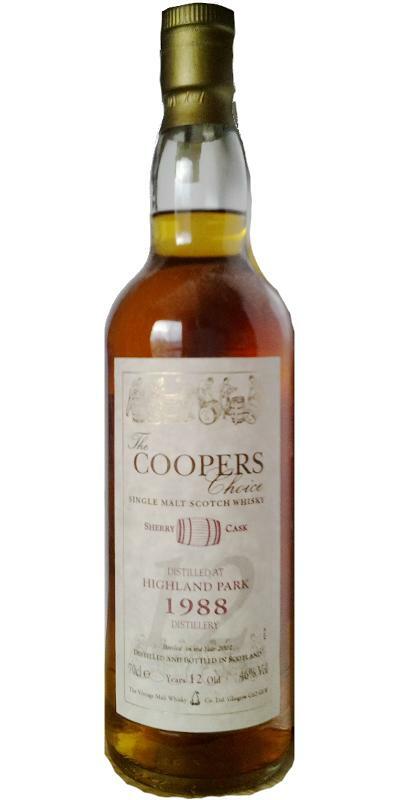 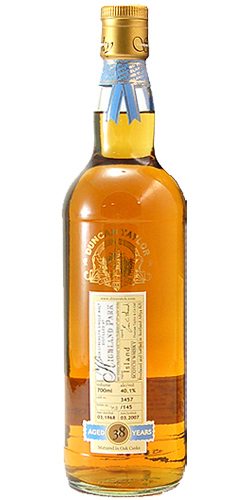 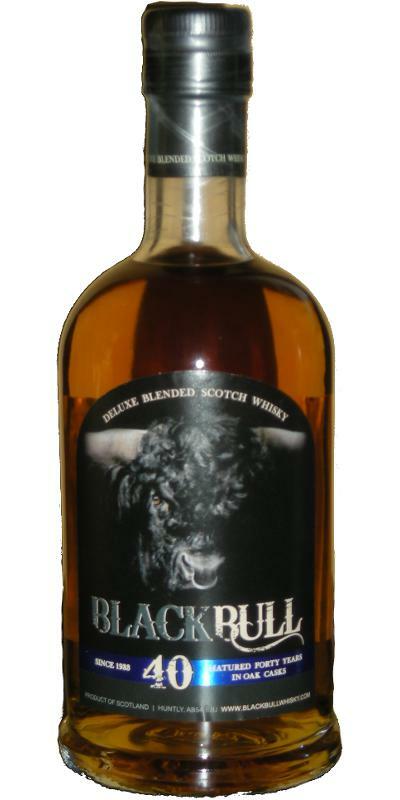 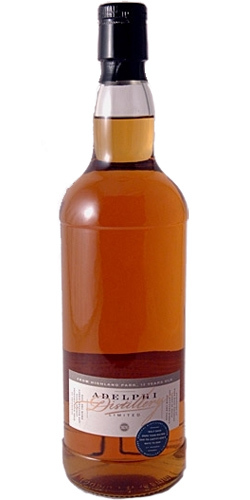 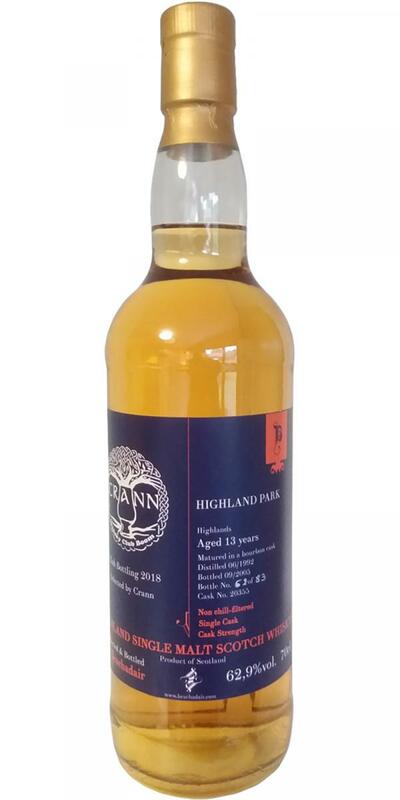 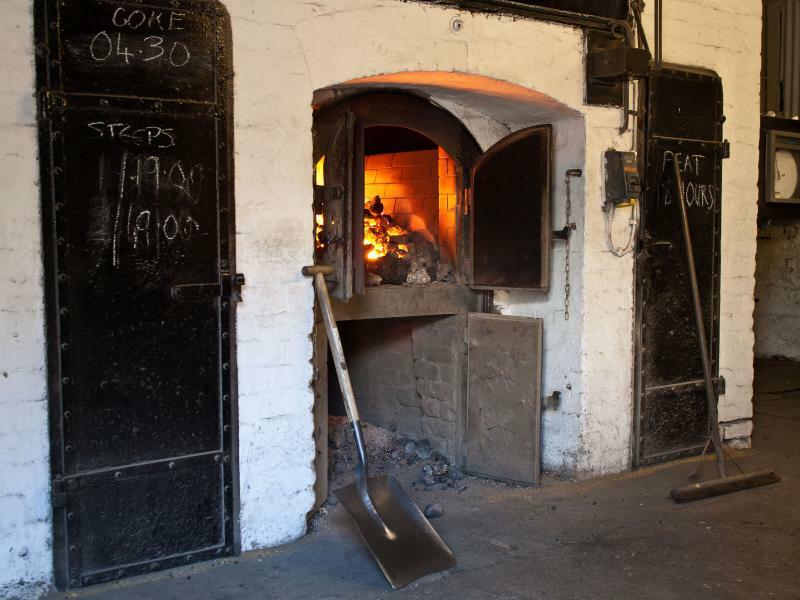 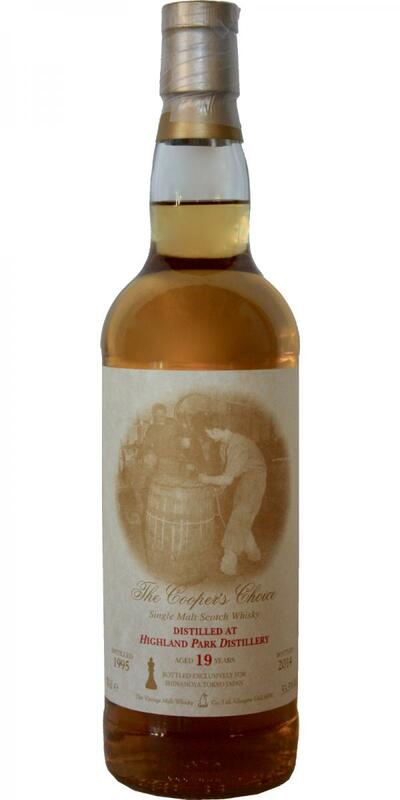 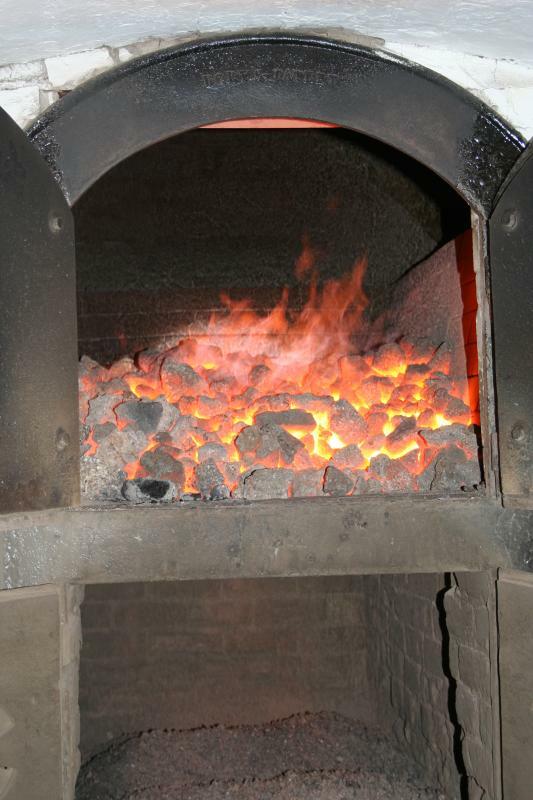 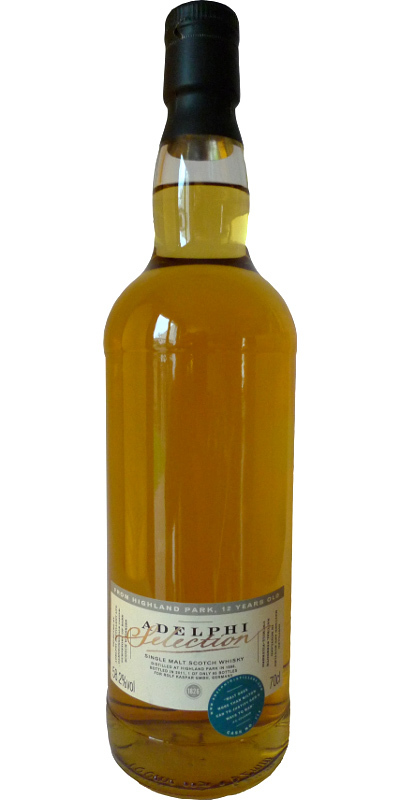 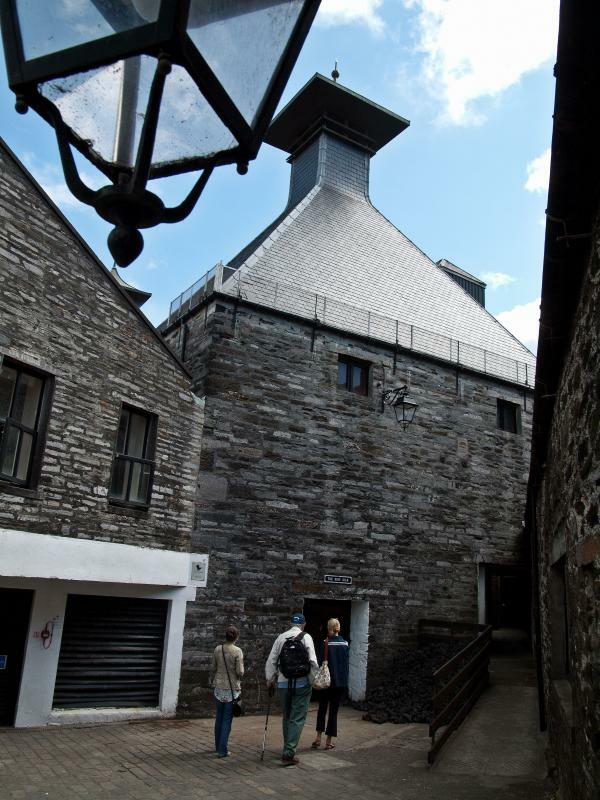 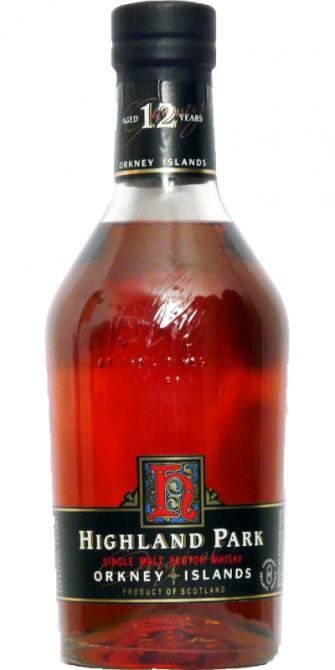 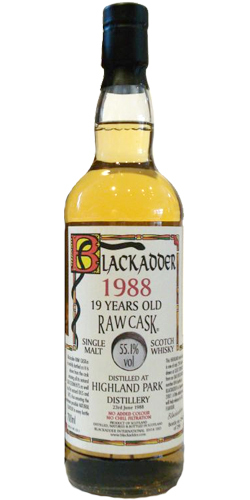 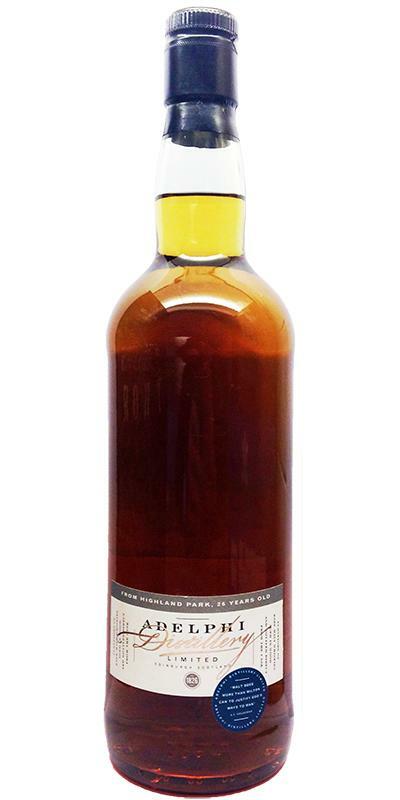 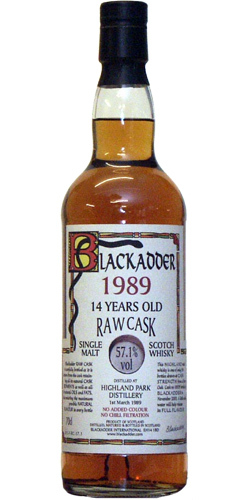 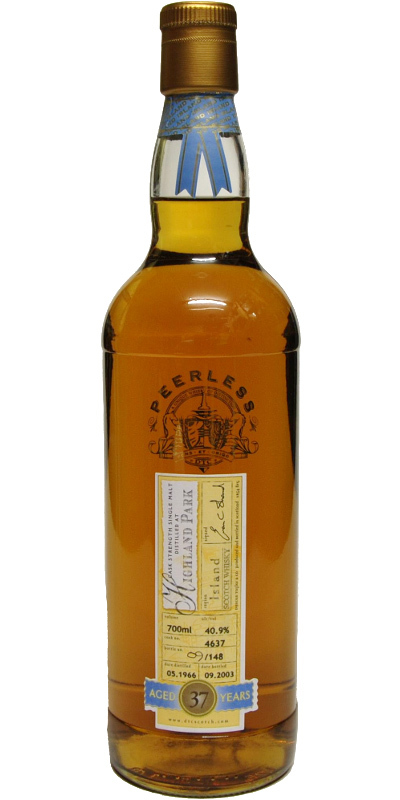 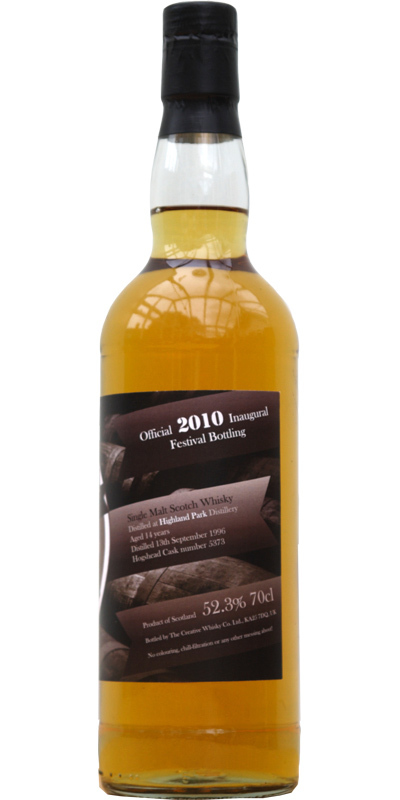 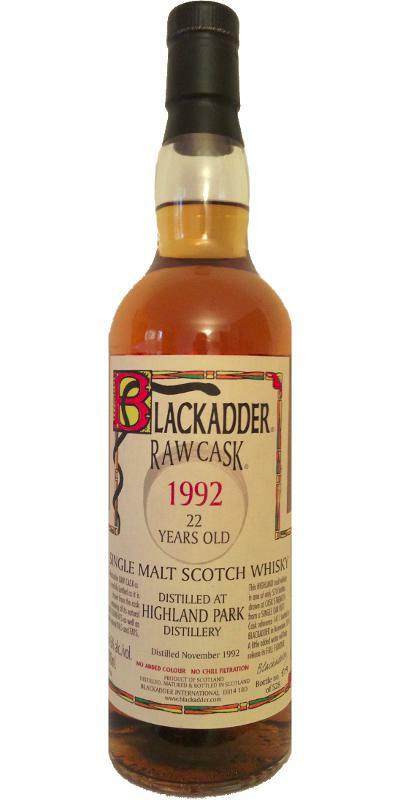 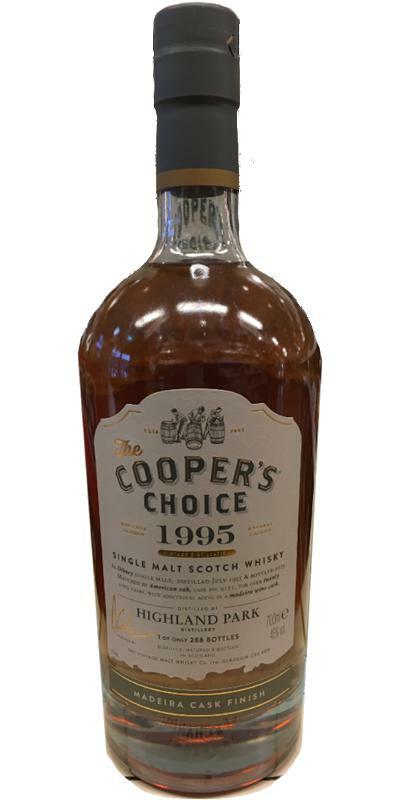 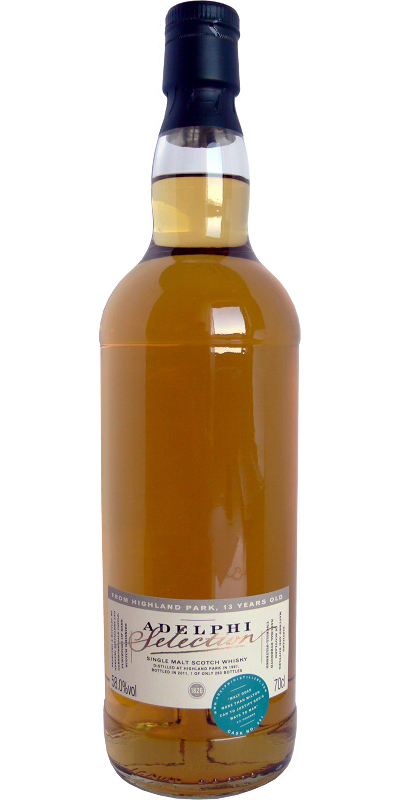 Highland Park 1994 BWL The Whisky Peddler 15 46.0 % Vol. 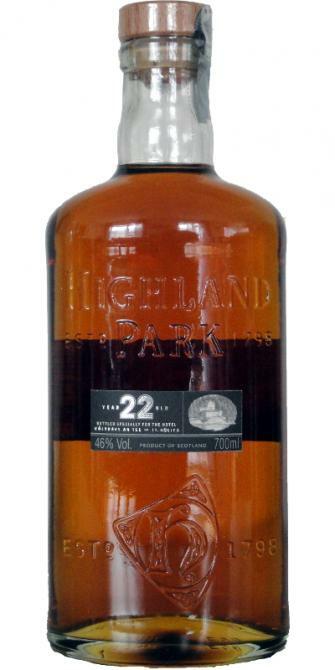 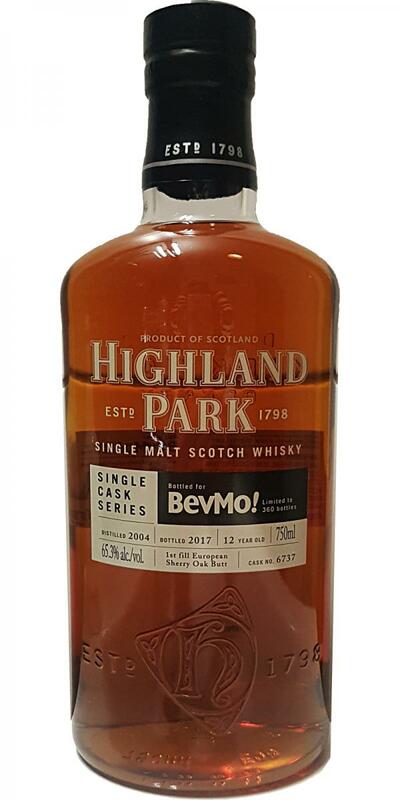 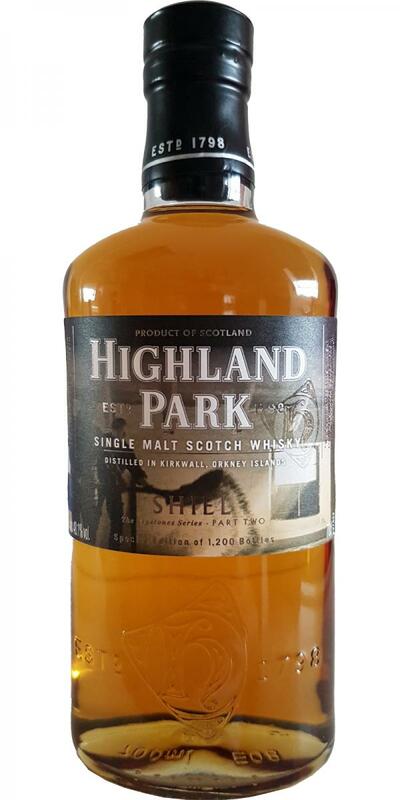 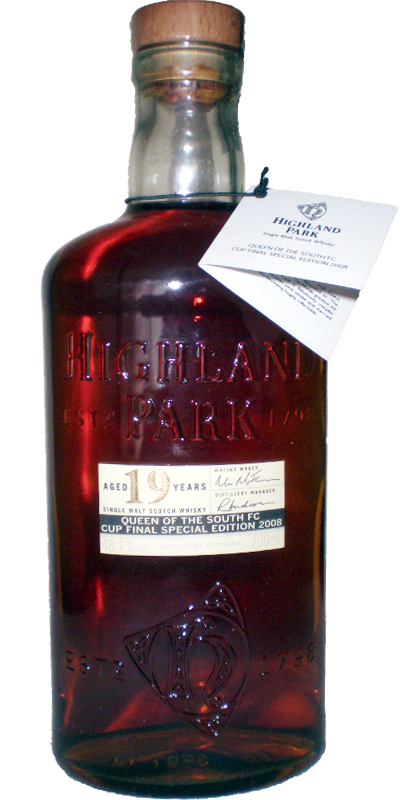 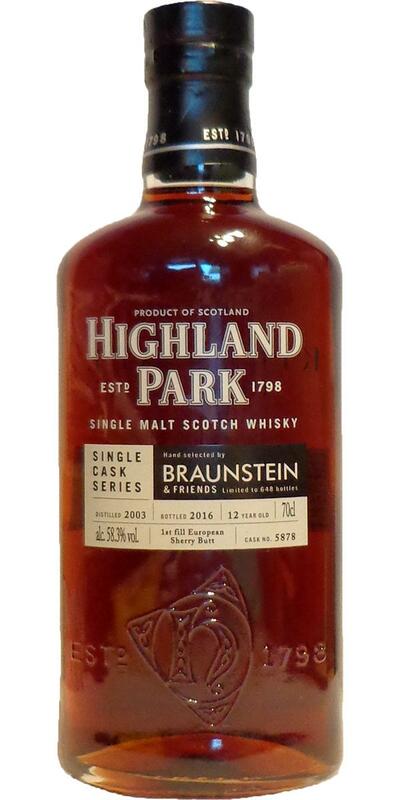 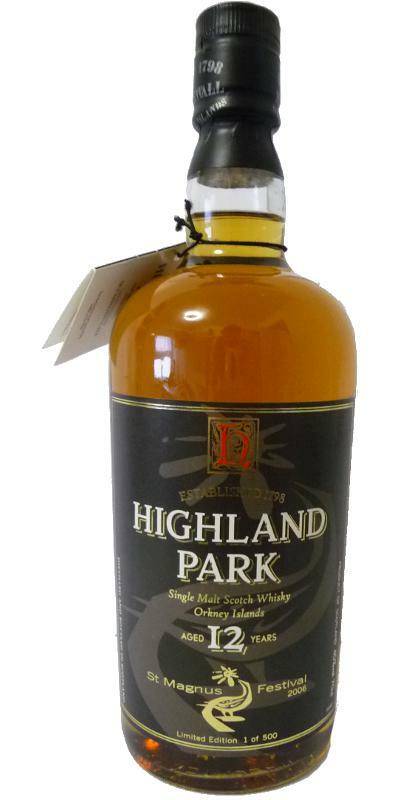 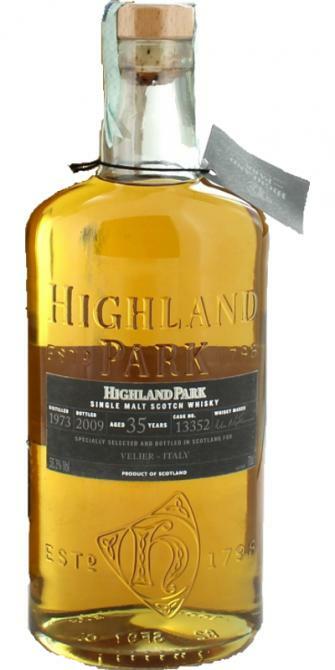 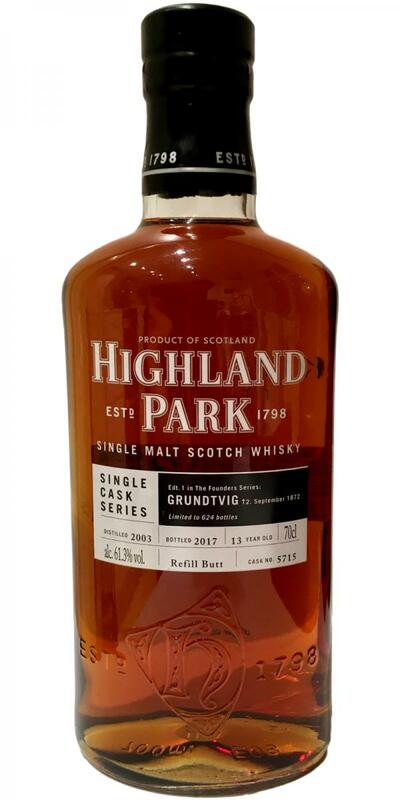 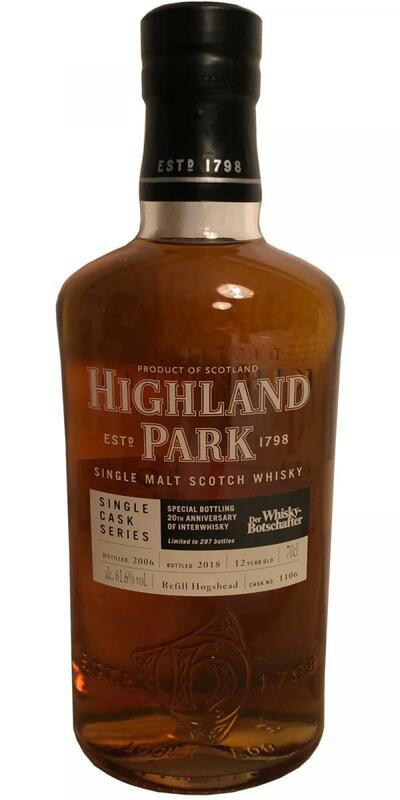 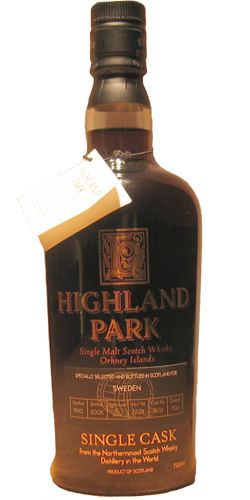 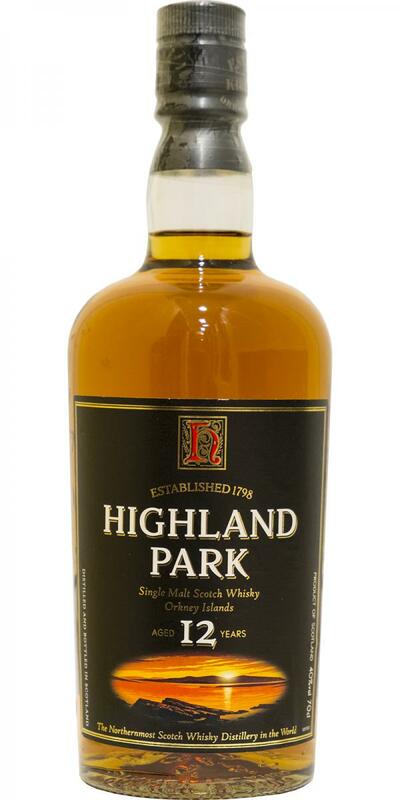 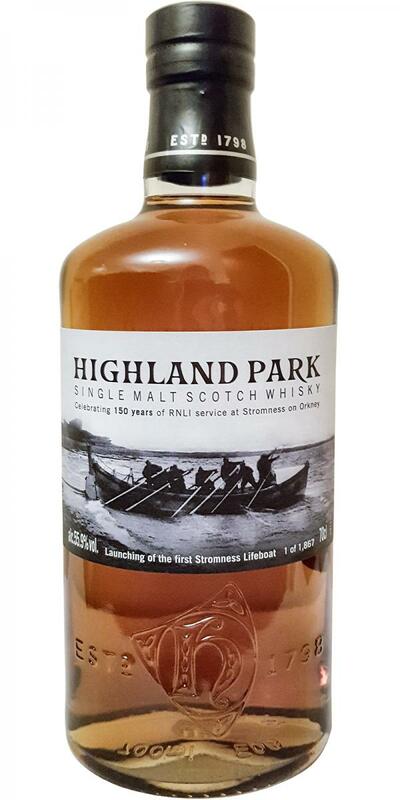 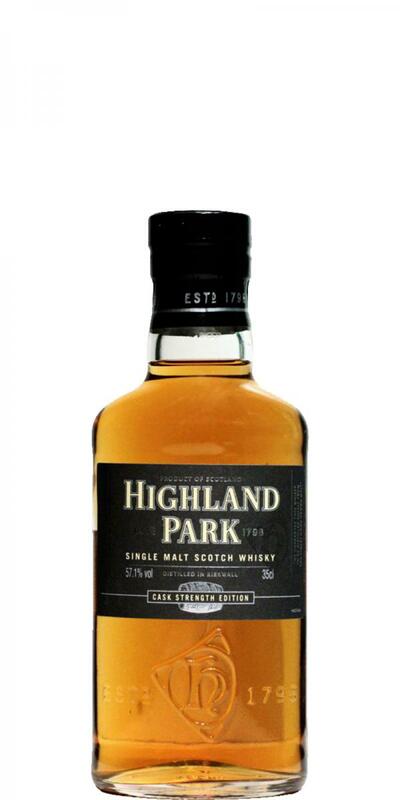 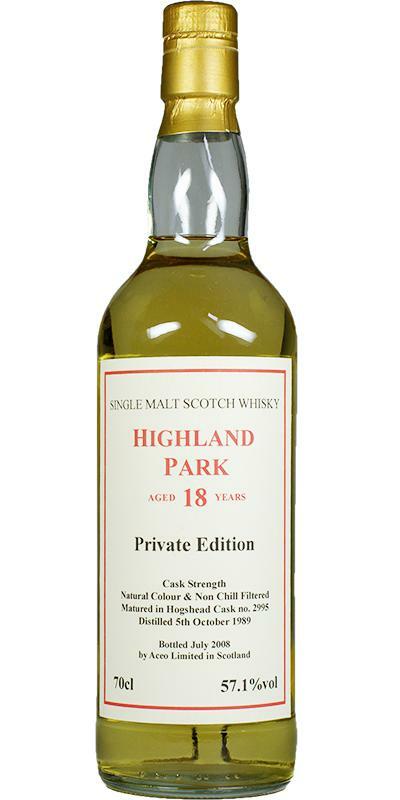 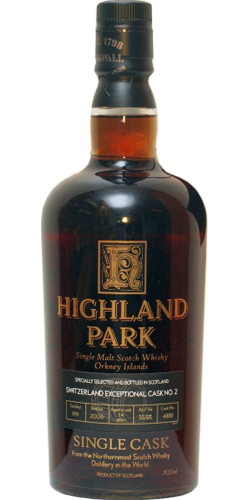 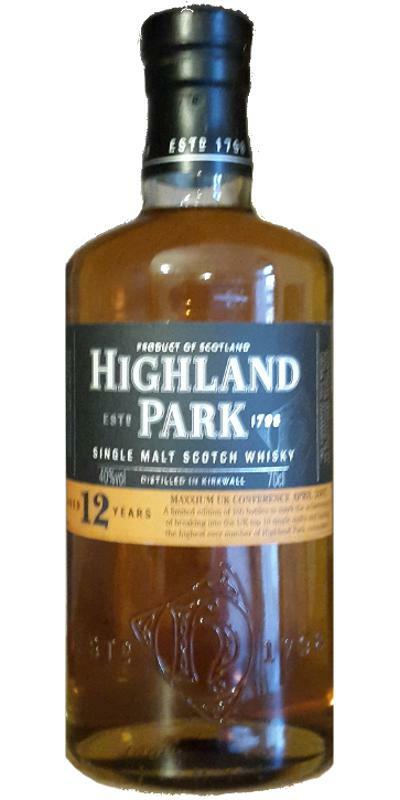 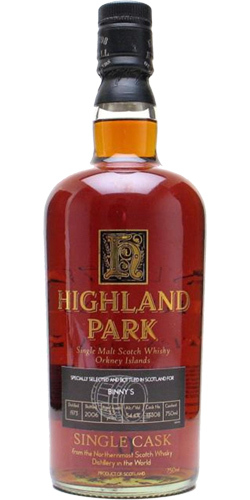 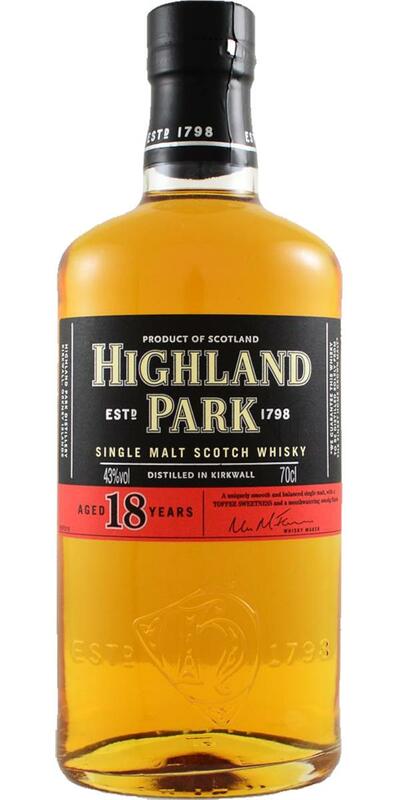 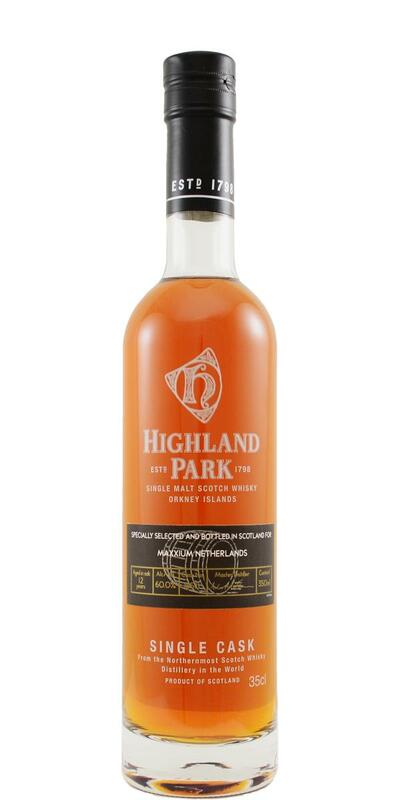 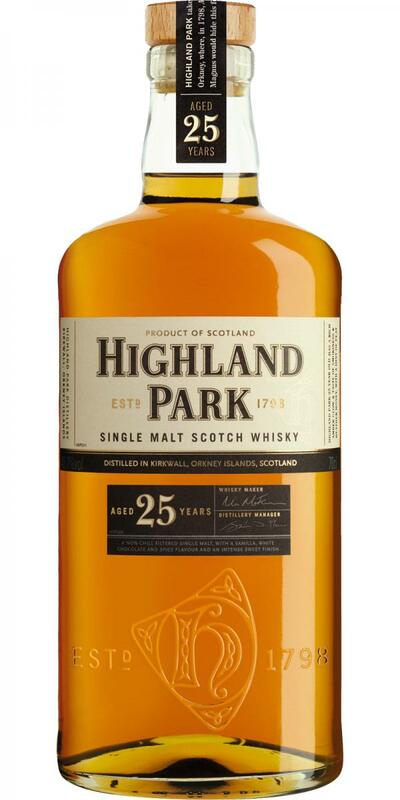 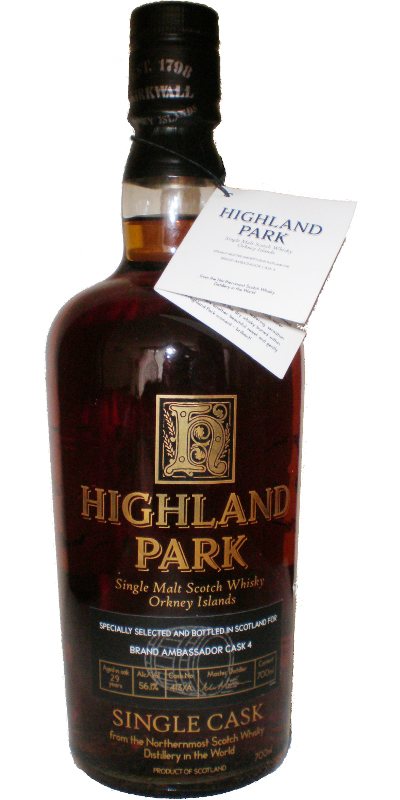 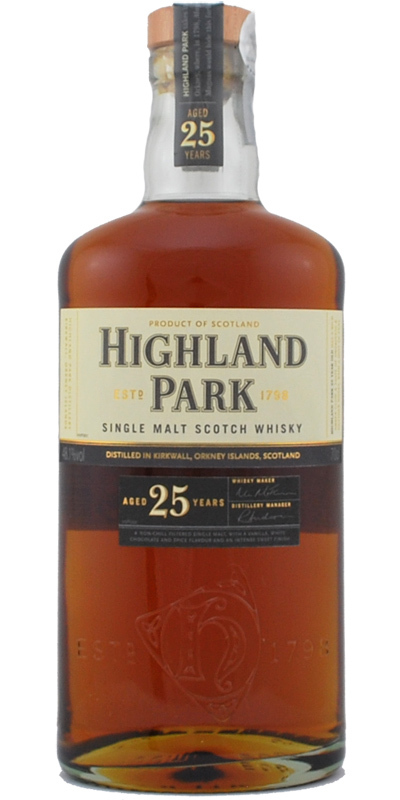 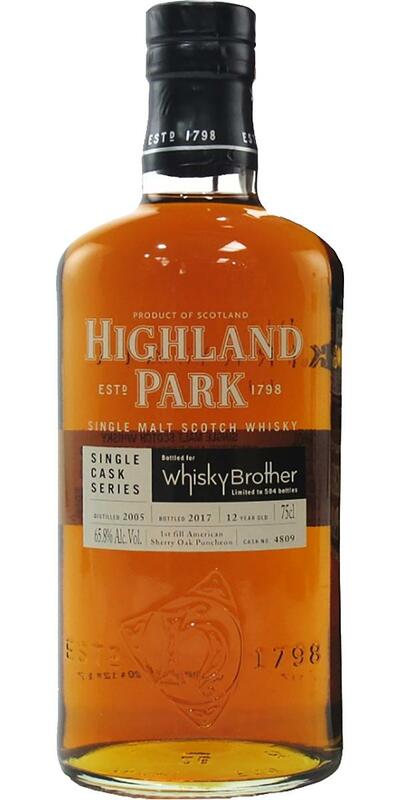 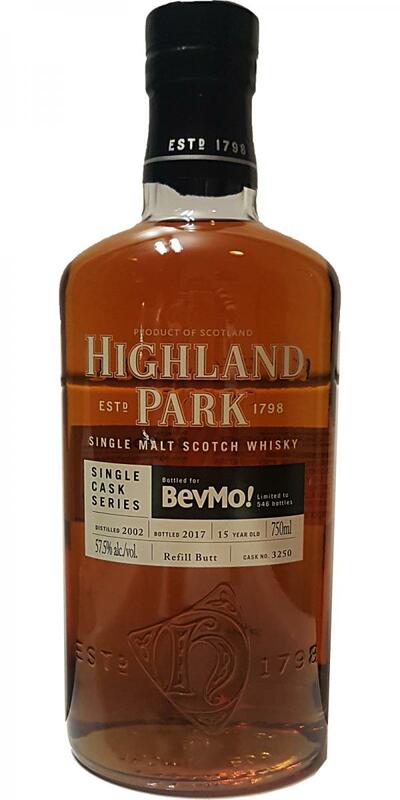 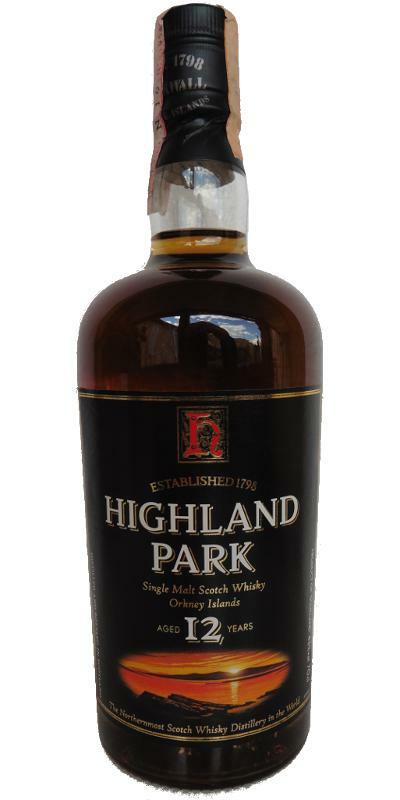 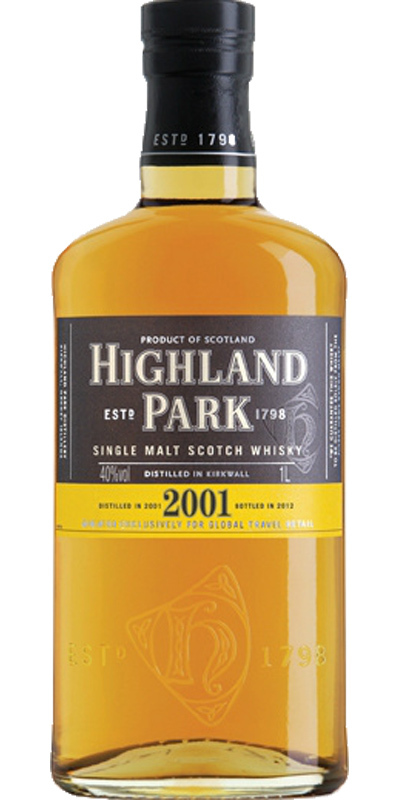 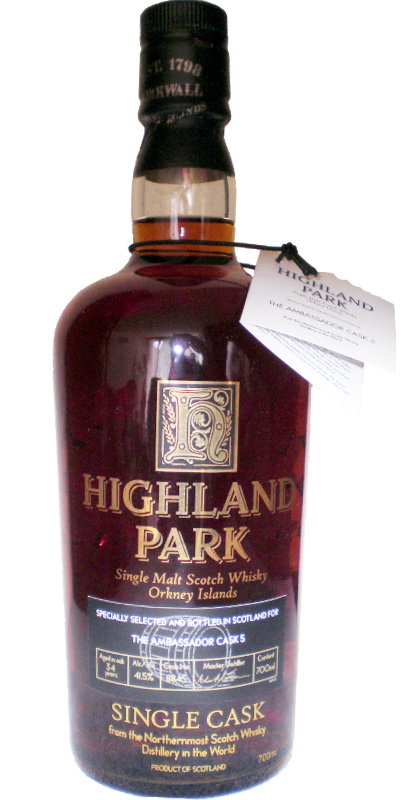 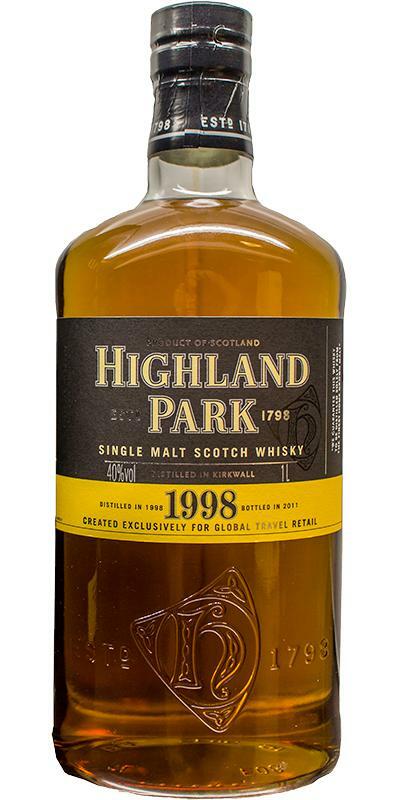 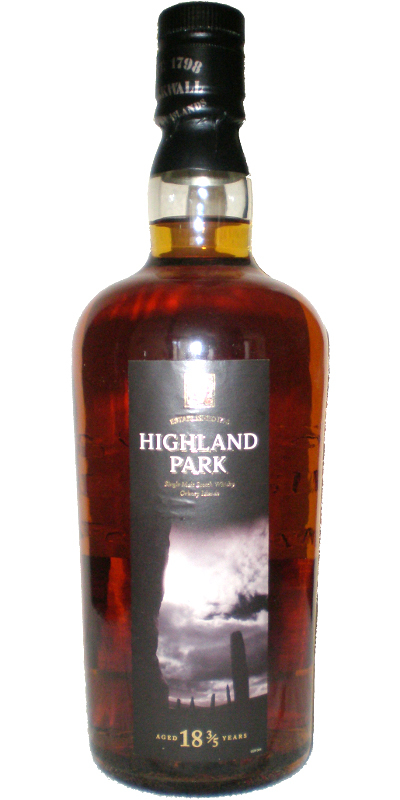 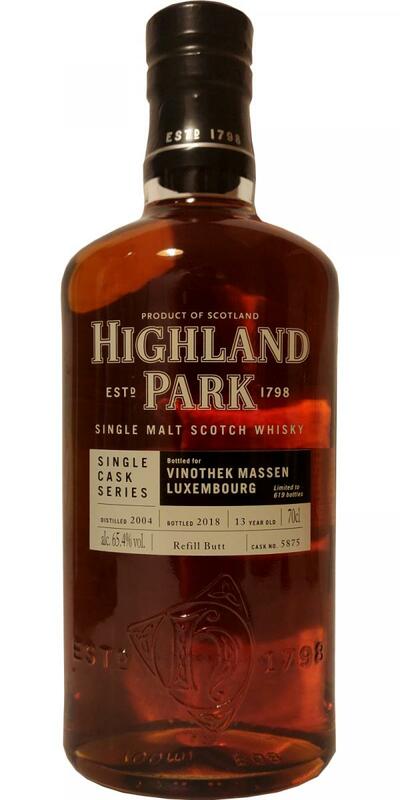 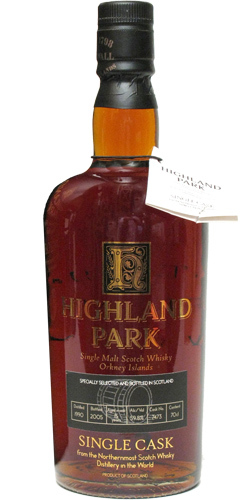 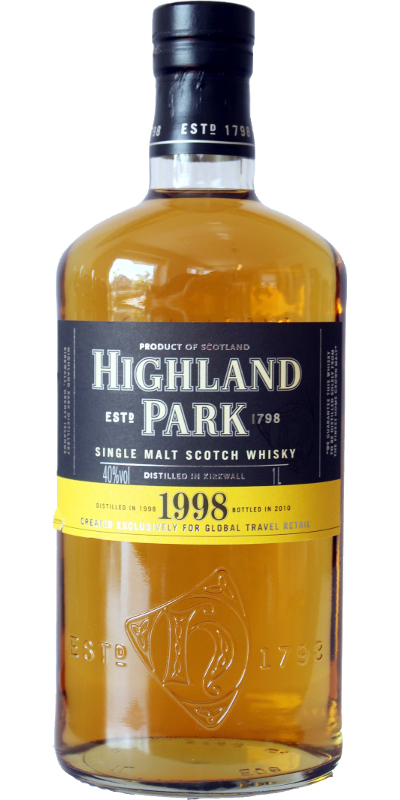 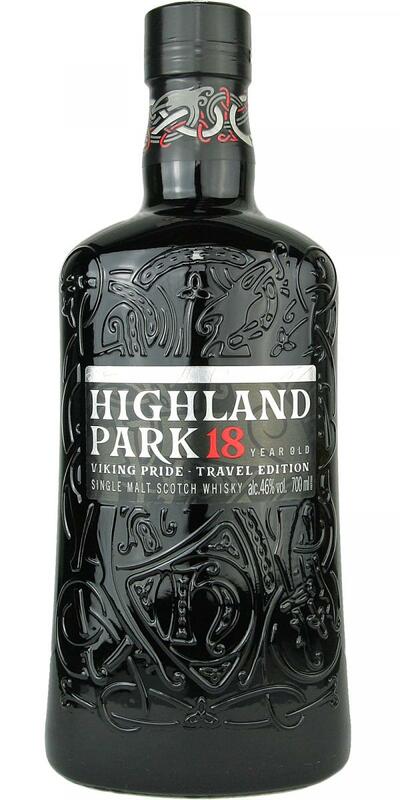 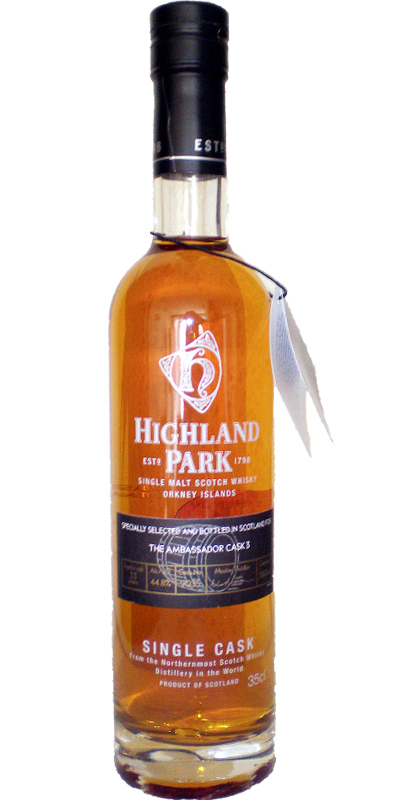 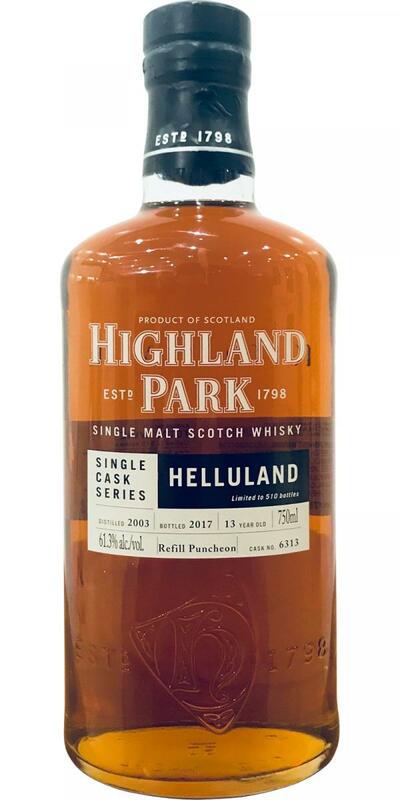 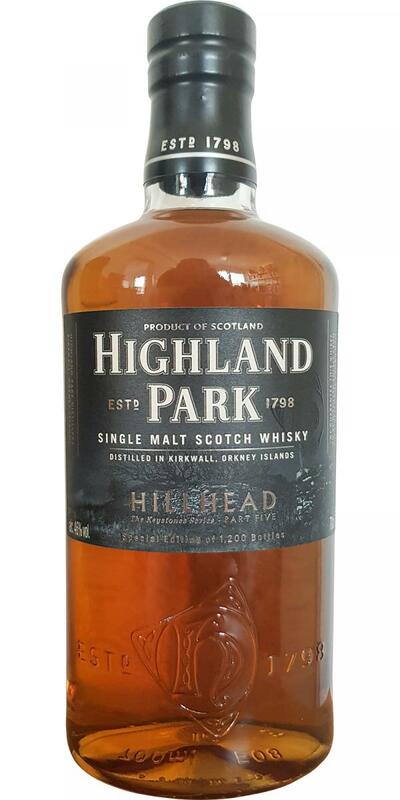 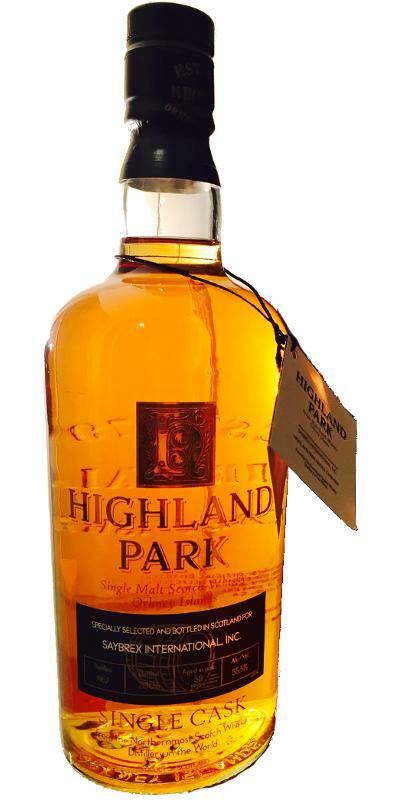 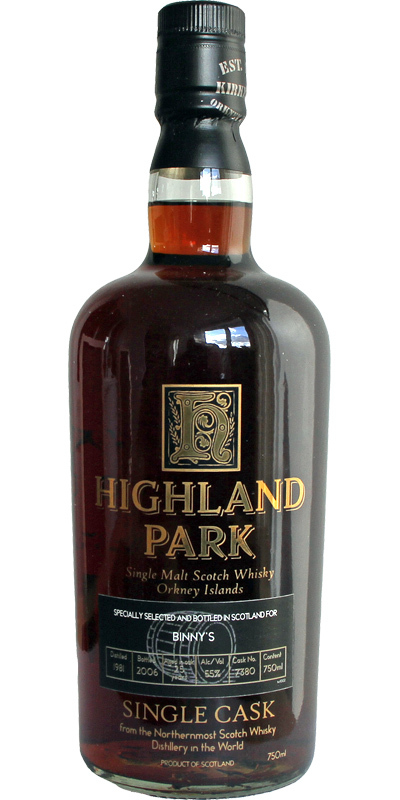 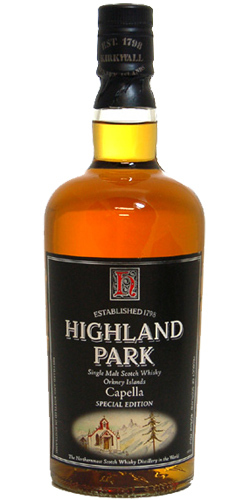 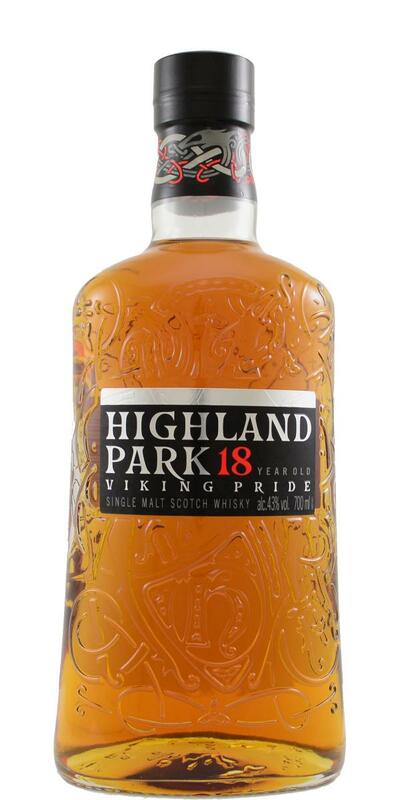 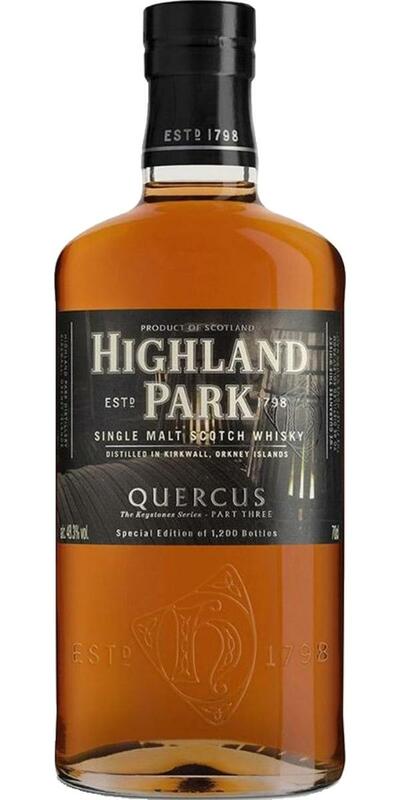 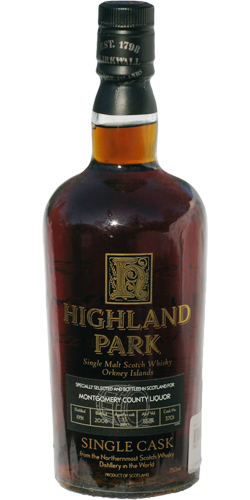 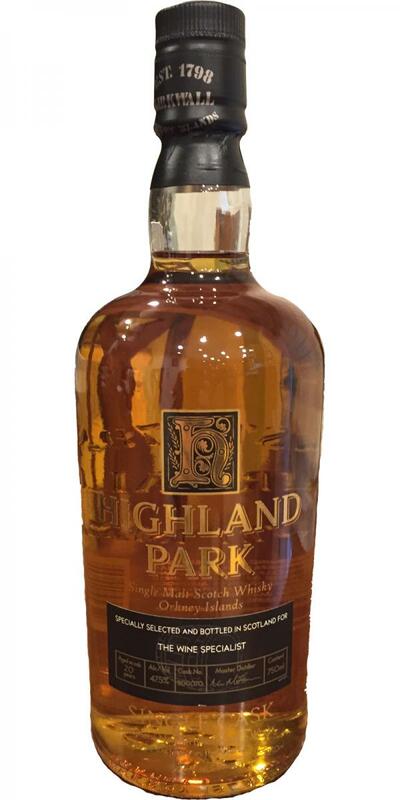 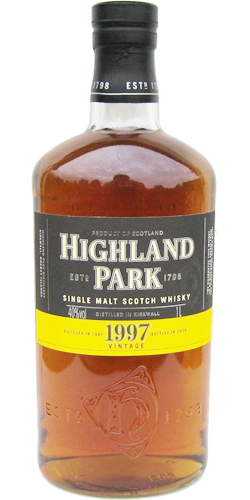 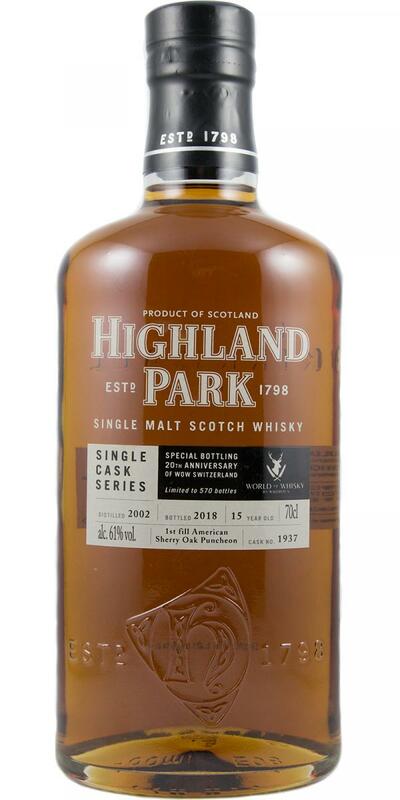 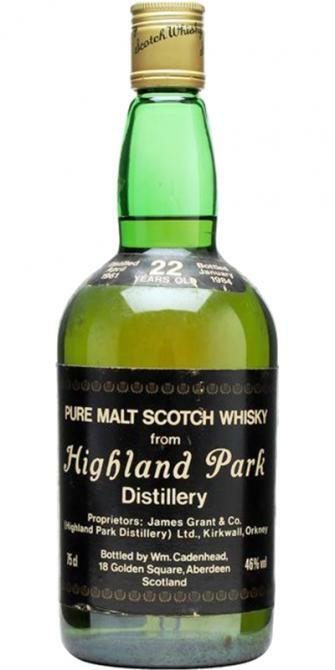 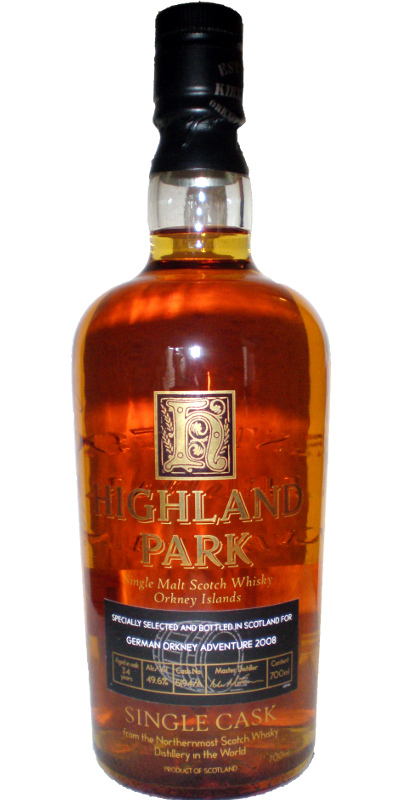 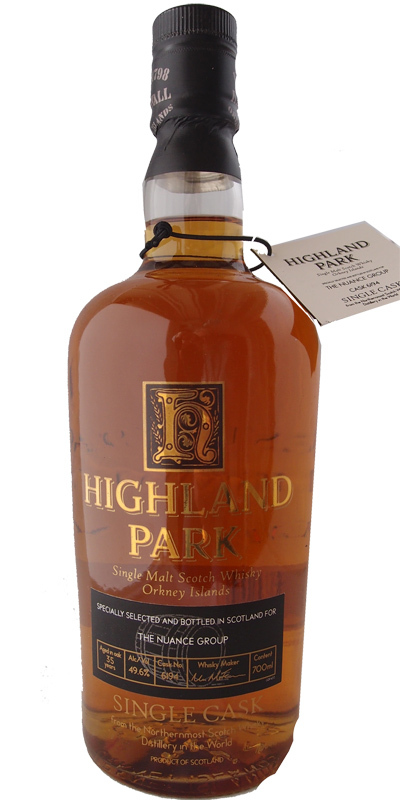 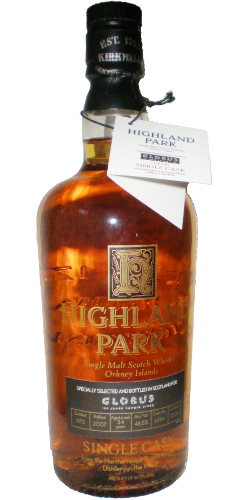 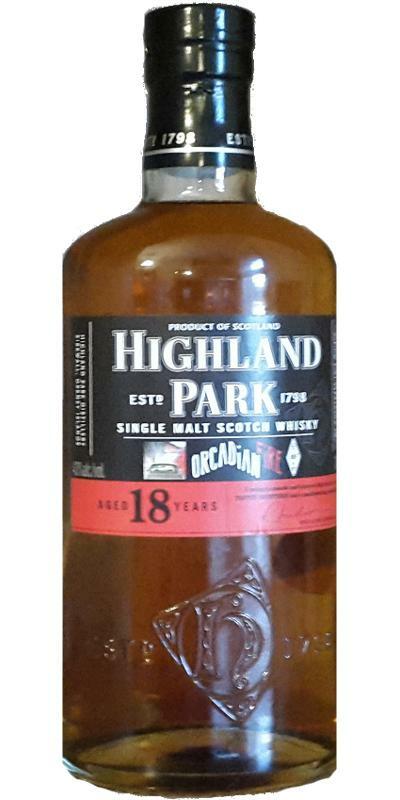 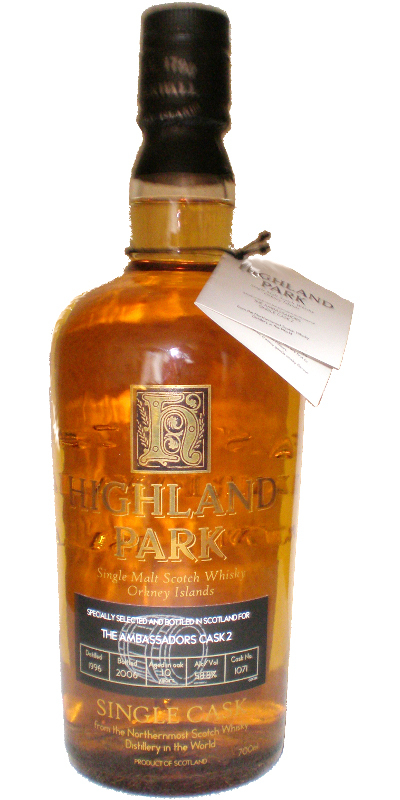 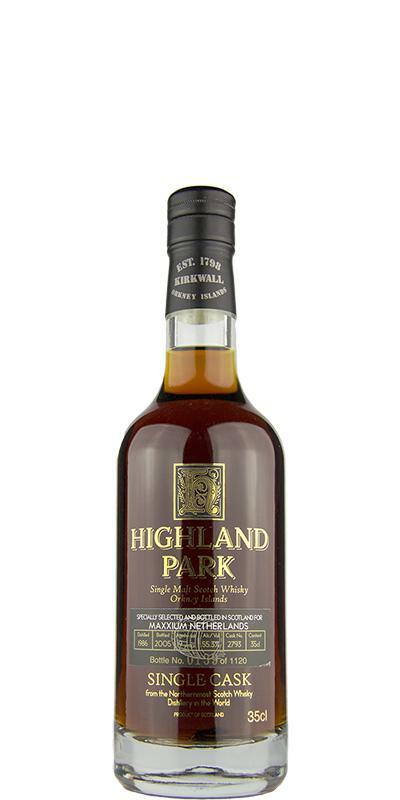 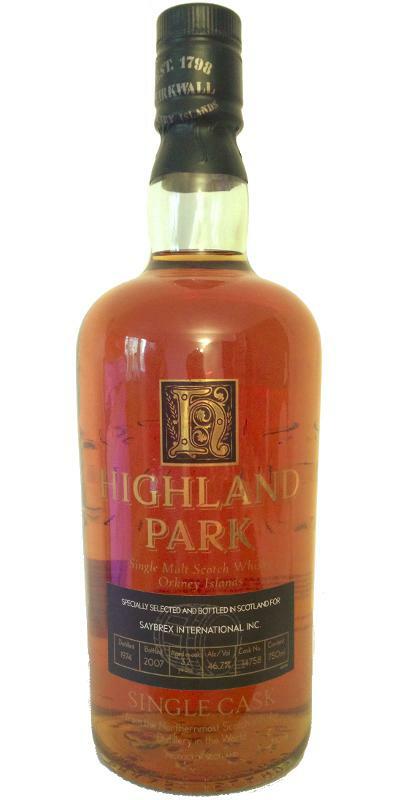 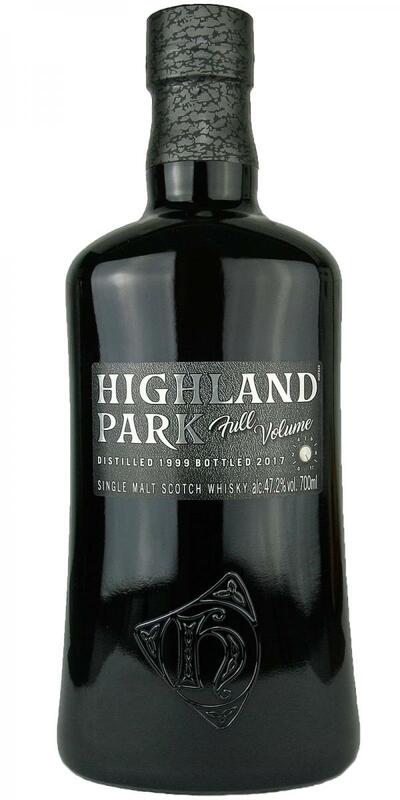 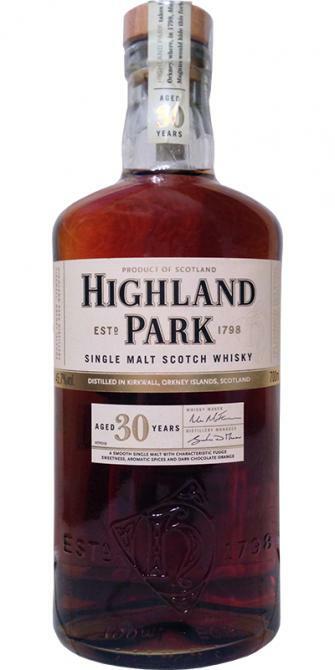 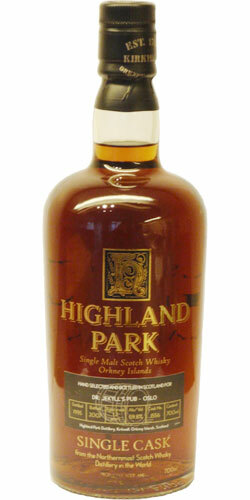 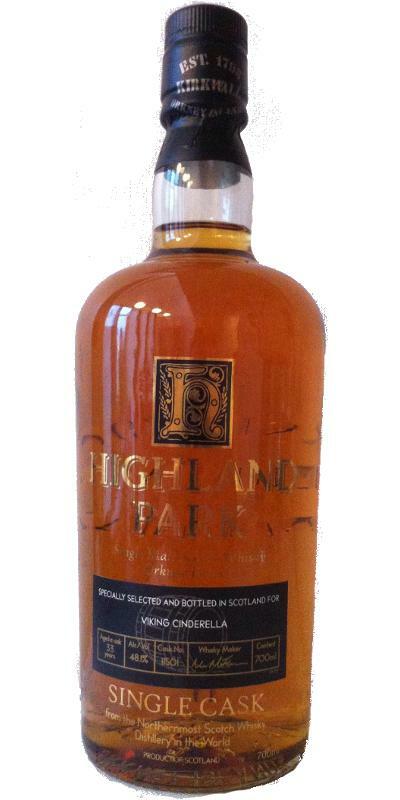 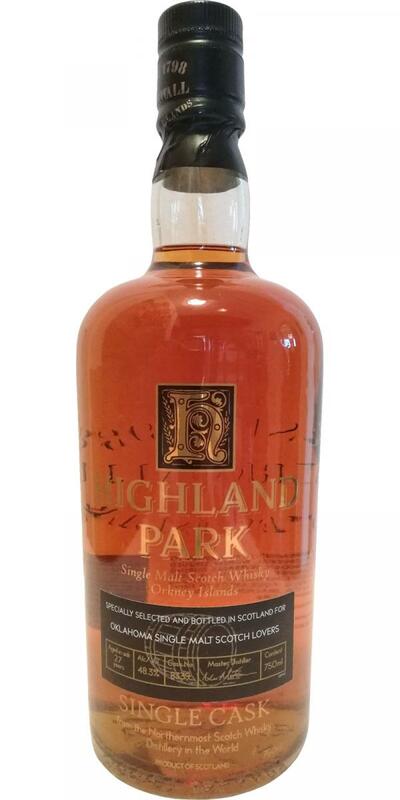 Highland Park 1998 BW 12 50.0 % Vol. 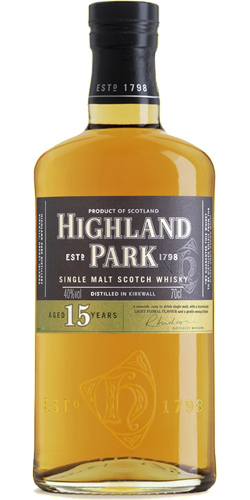 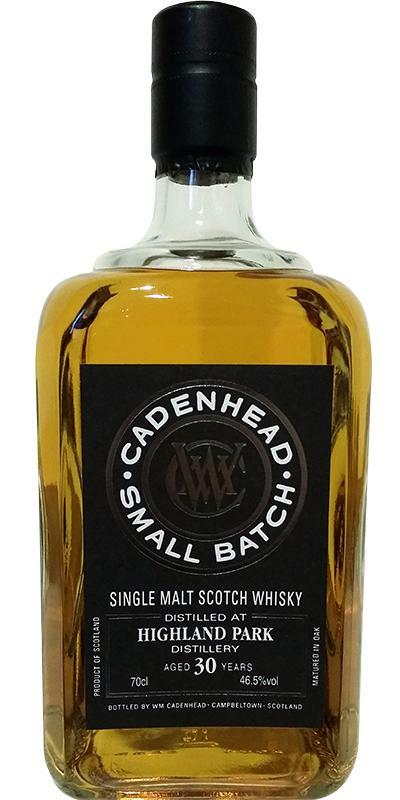 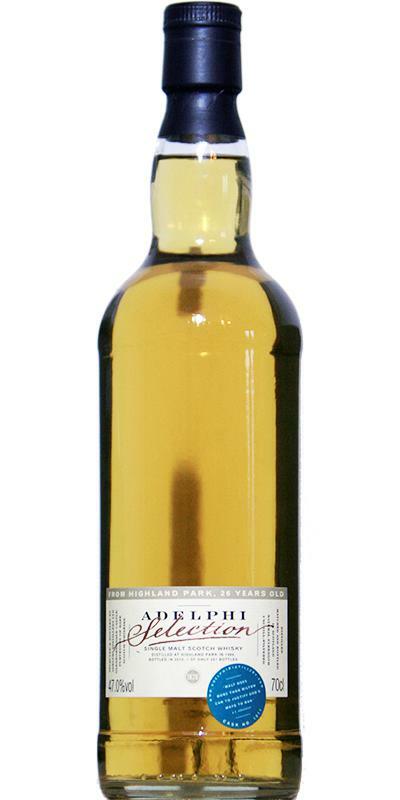 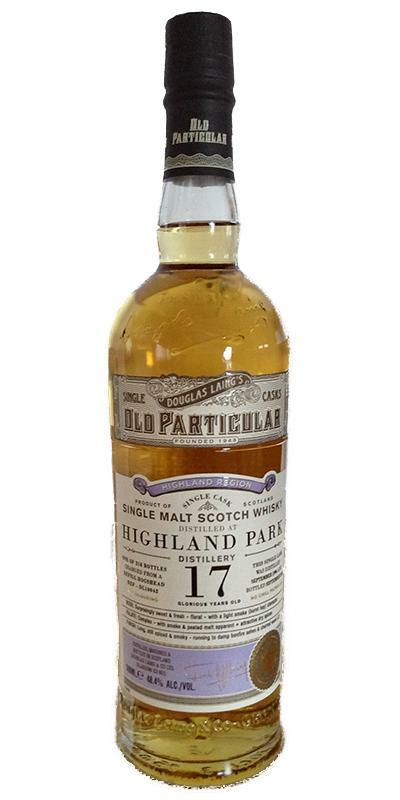 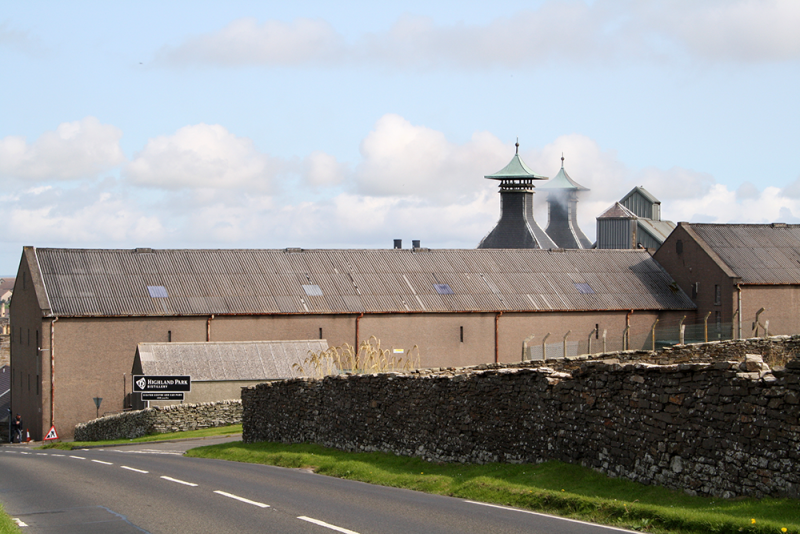 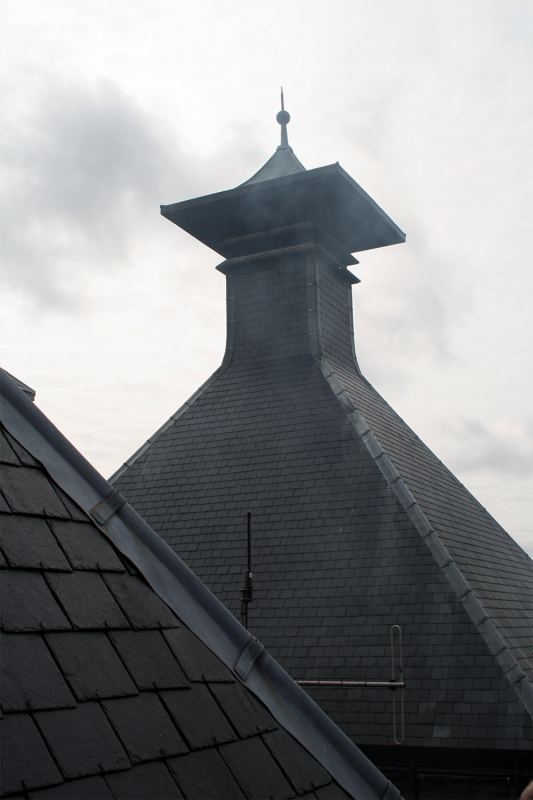 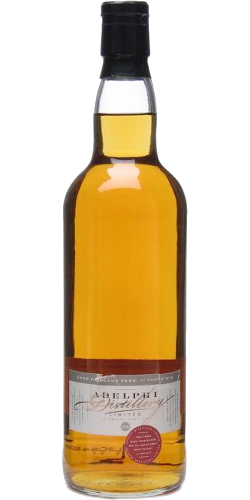 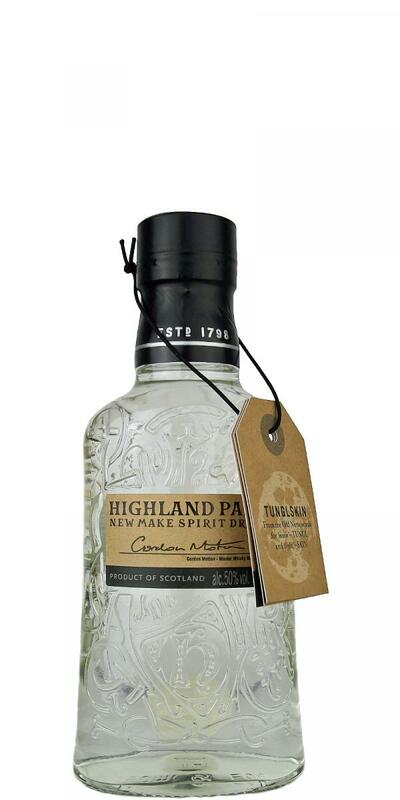 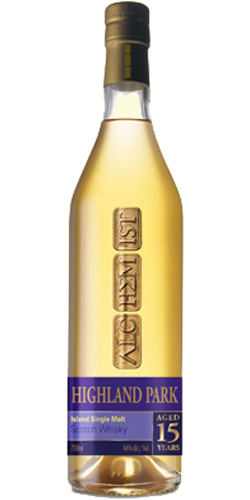 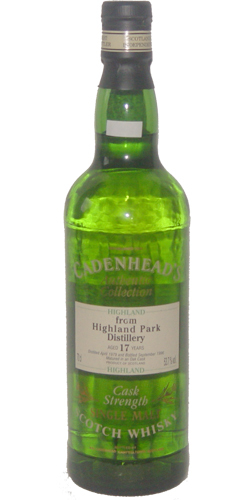 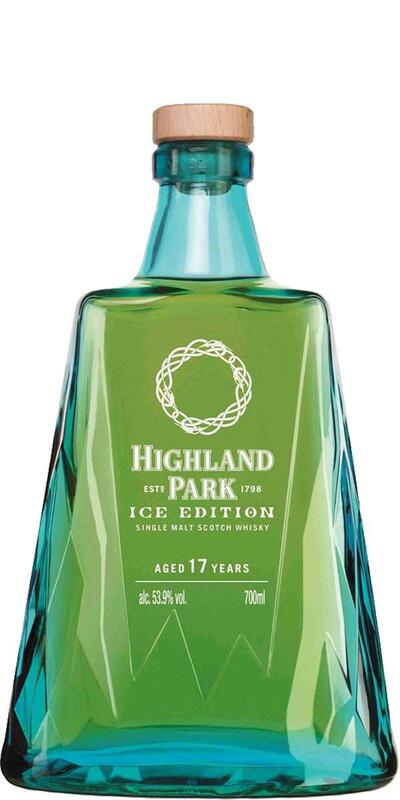 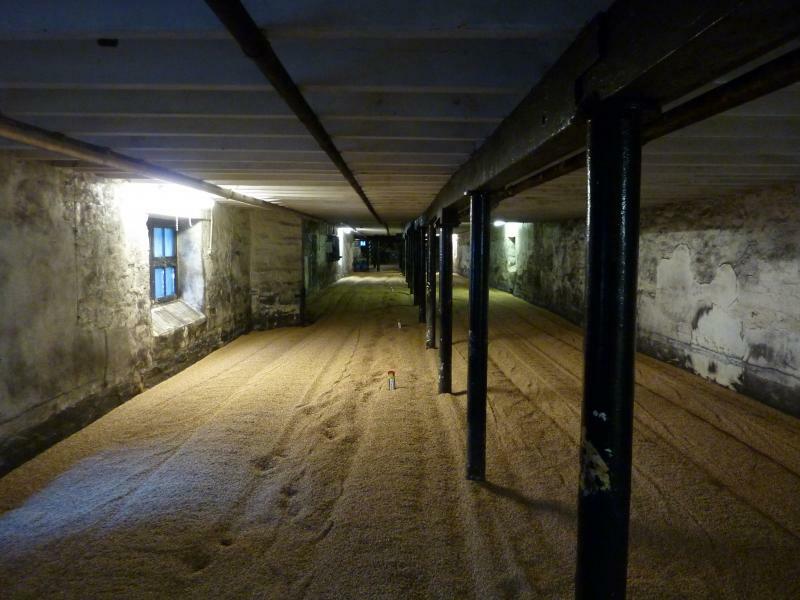 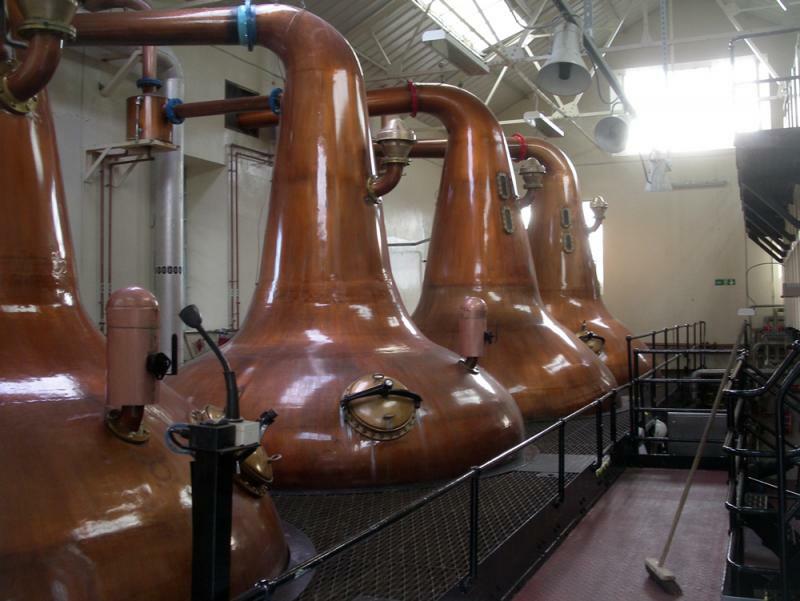 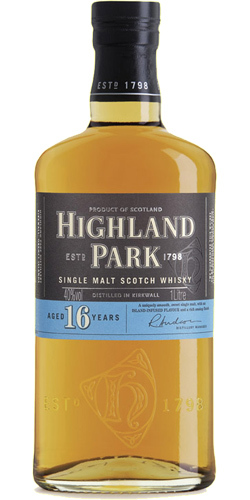 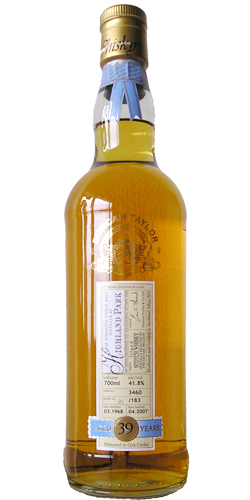 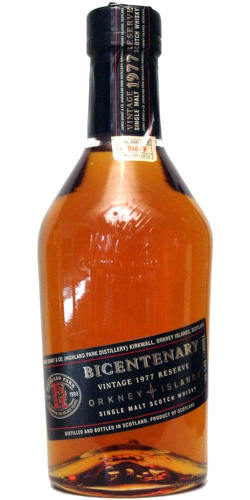 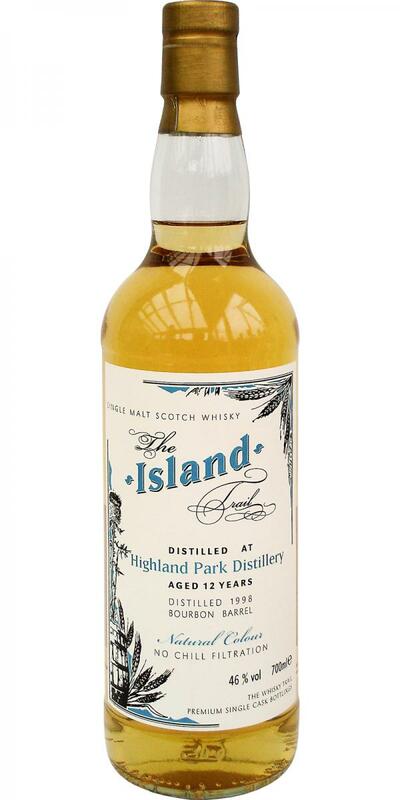 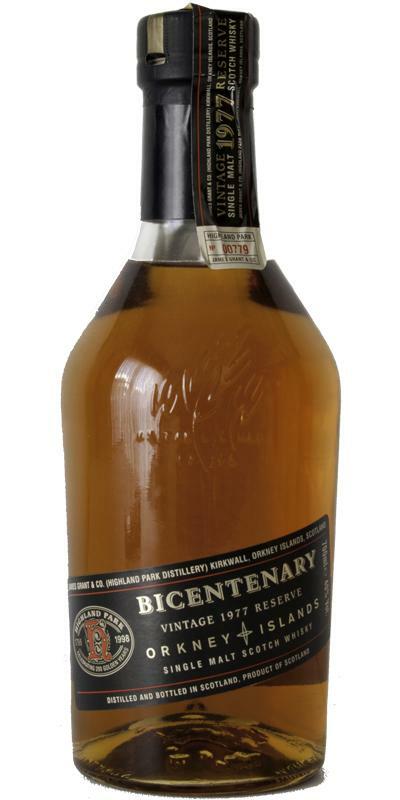 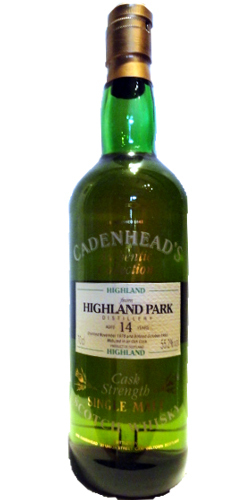 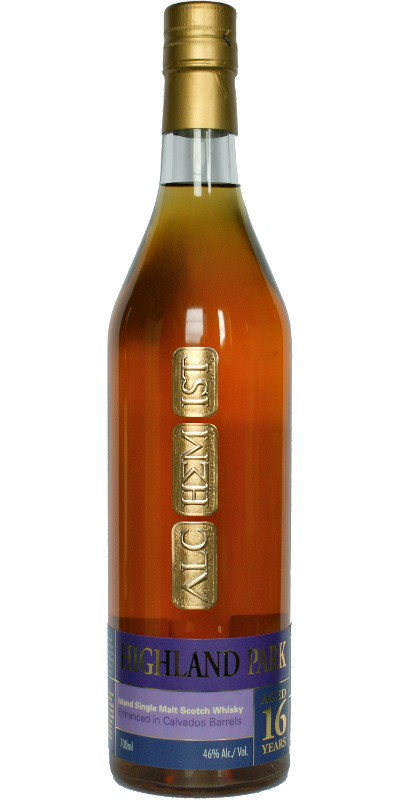 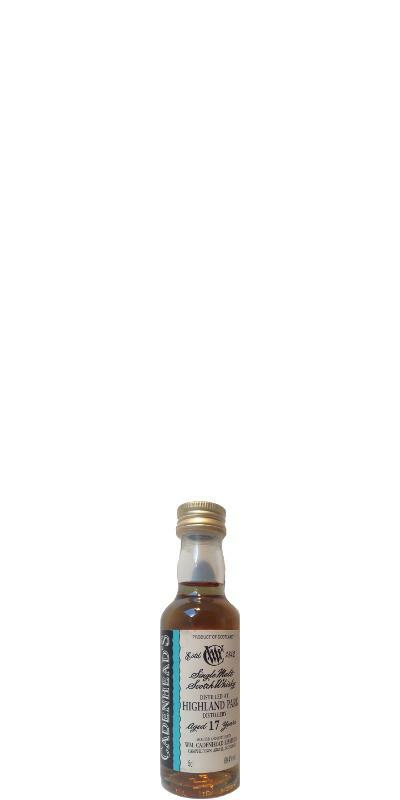 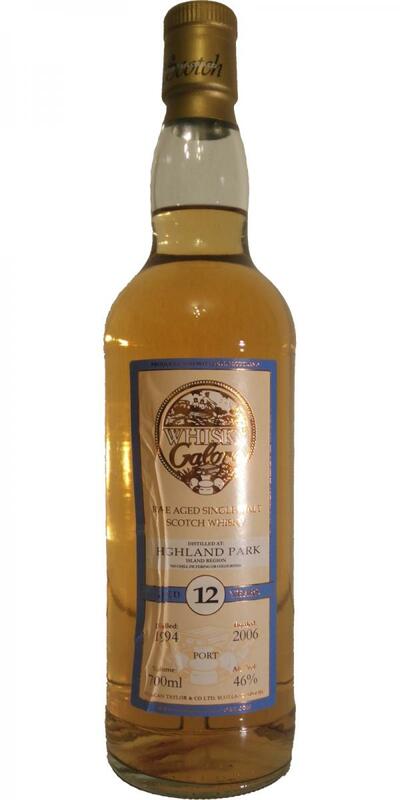 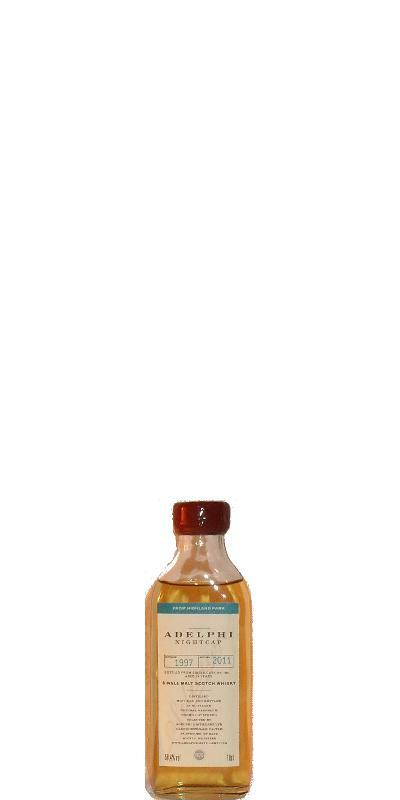 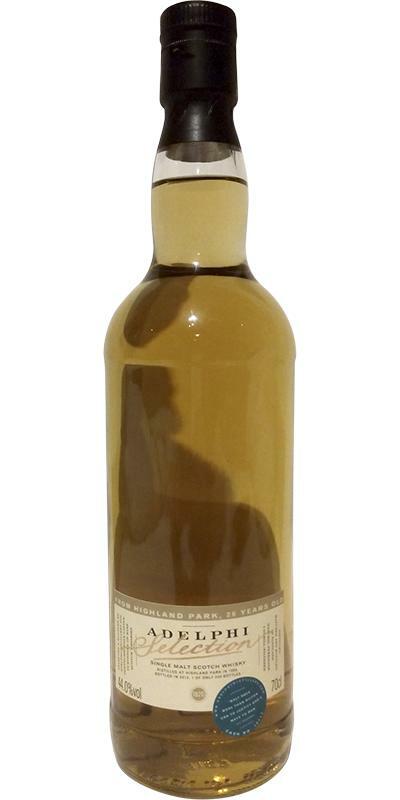 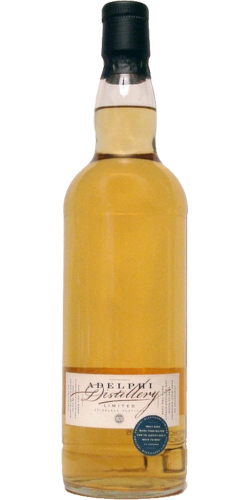 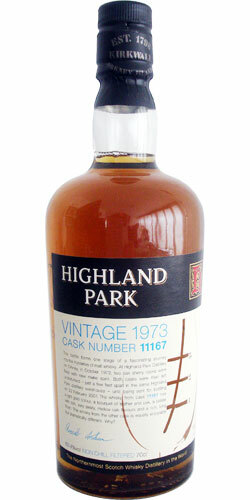 Highland Park 17-year-old CA Miniature 17 60.4 % Vol. 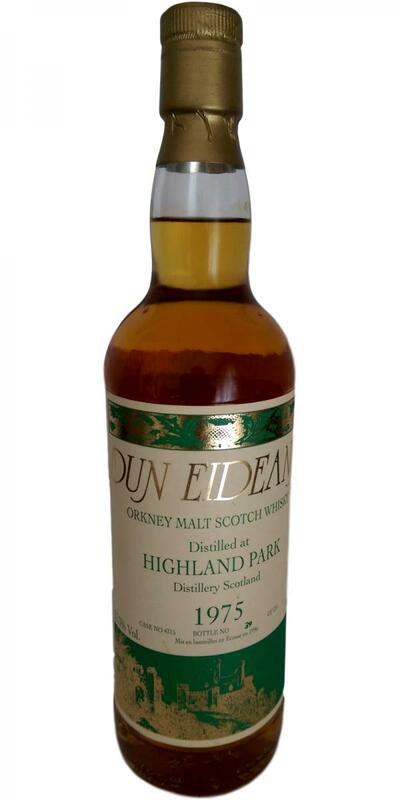 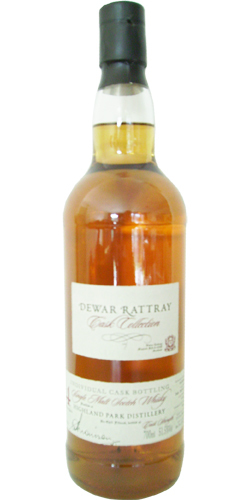 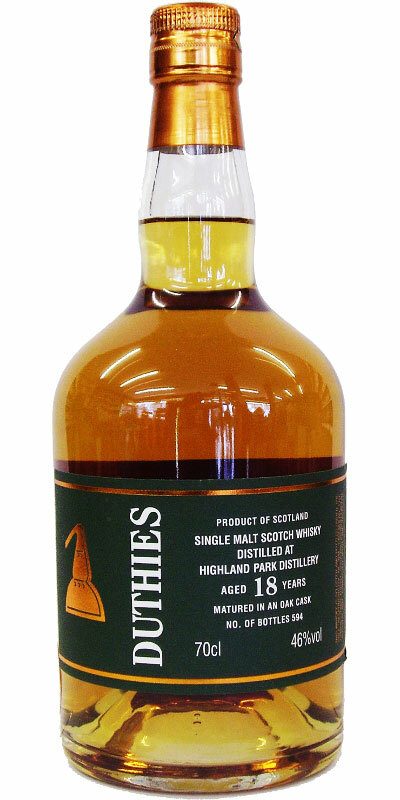 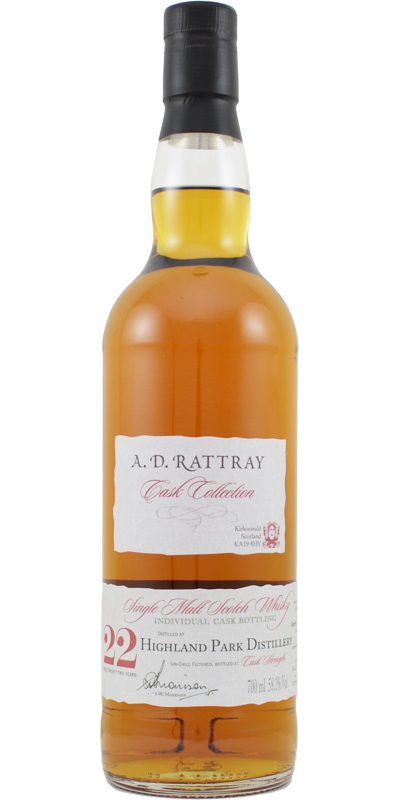 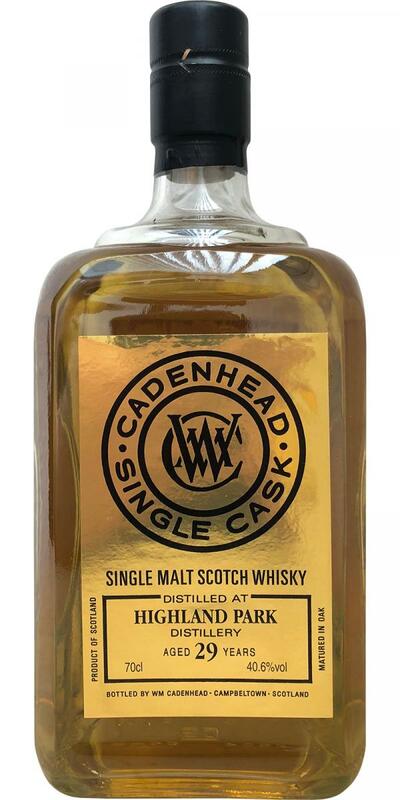 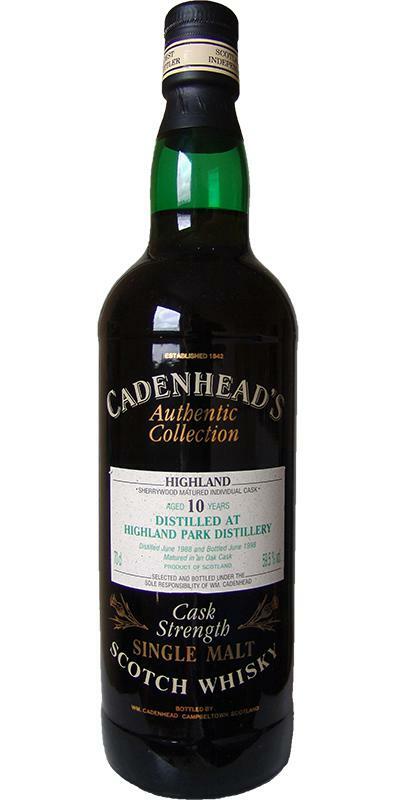 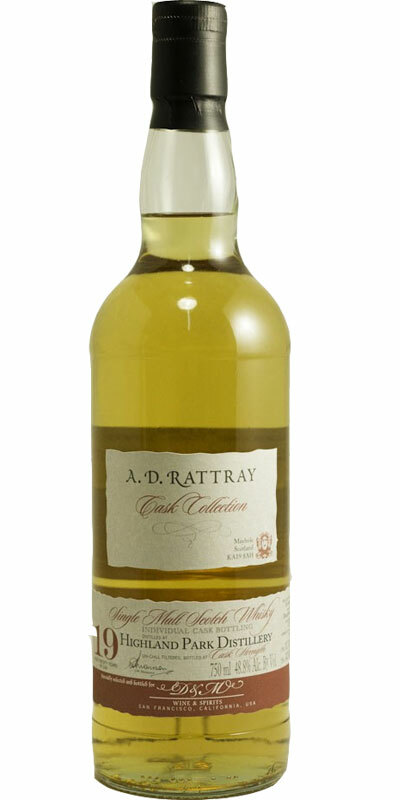 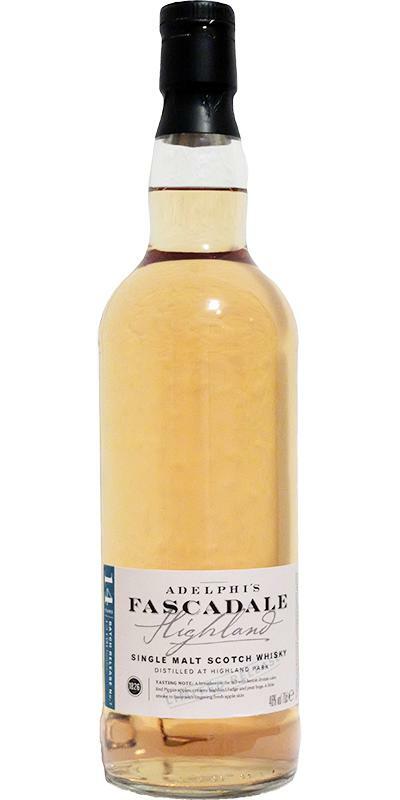 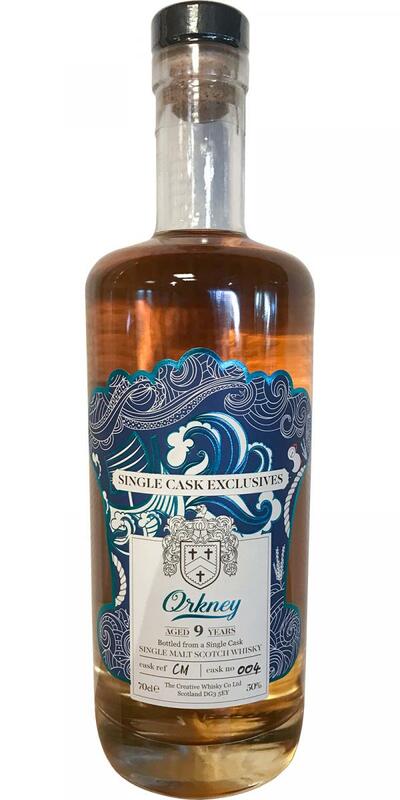 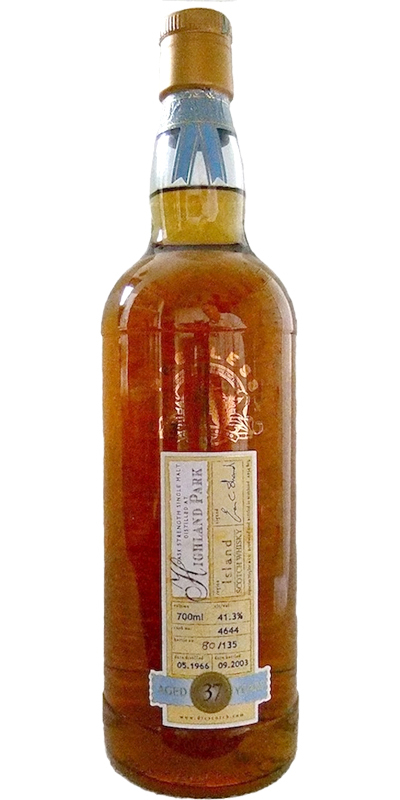 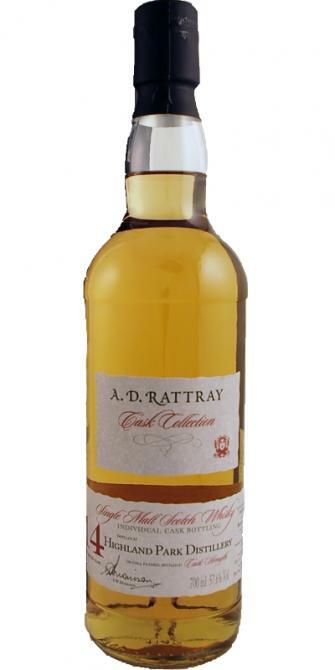 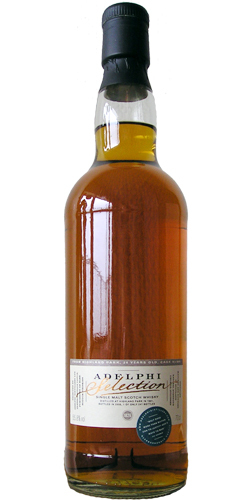 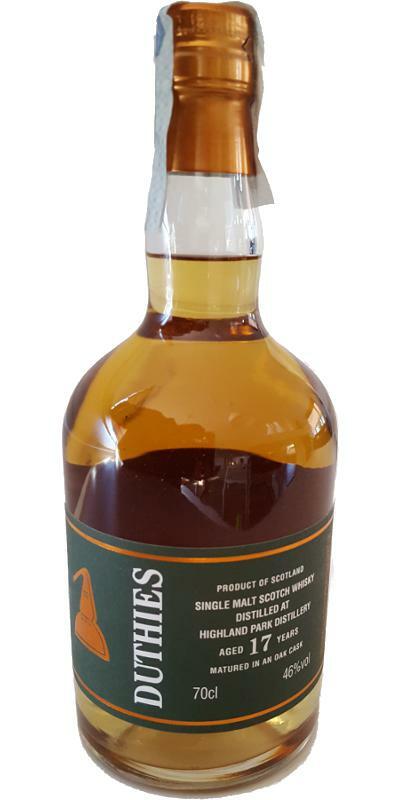 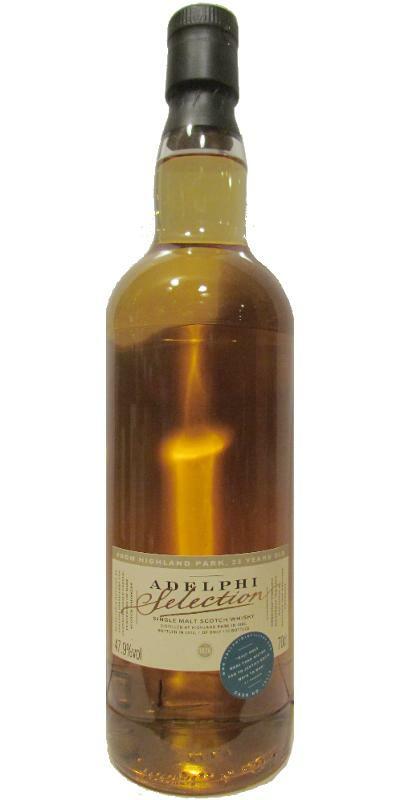 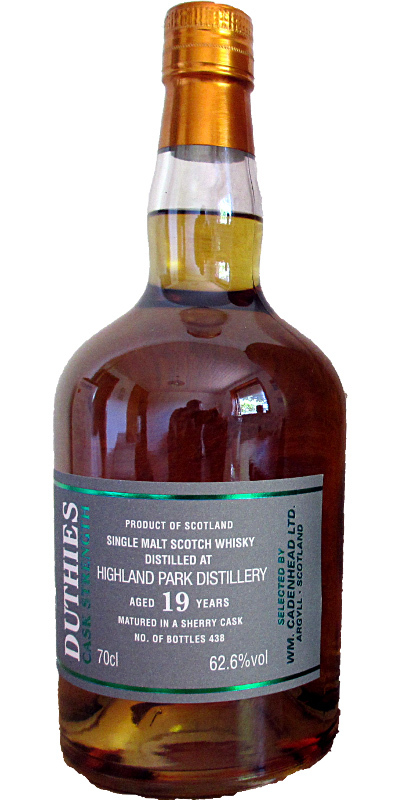 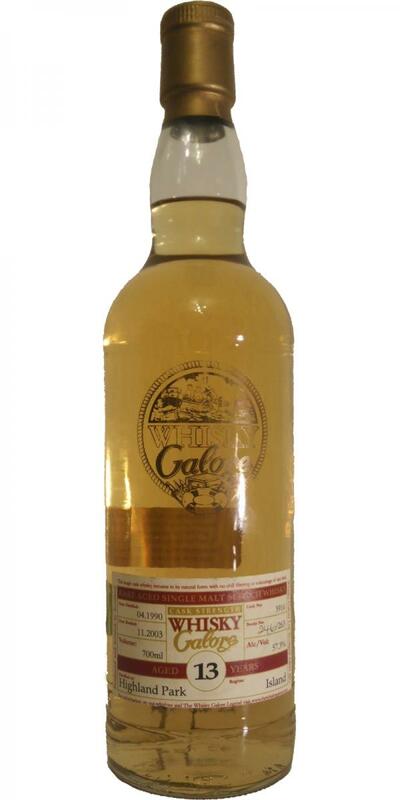 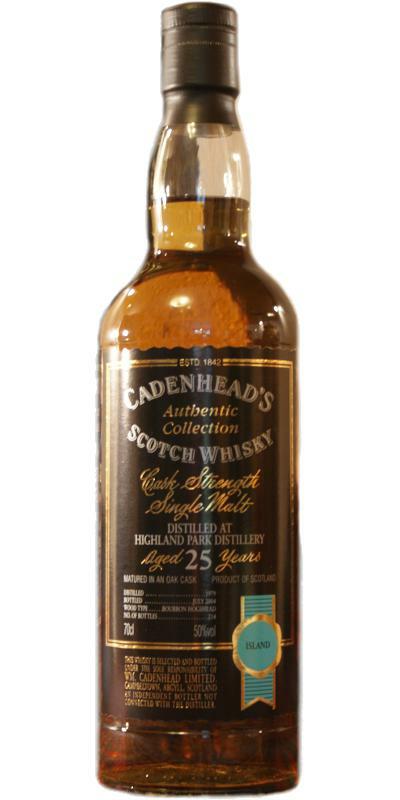 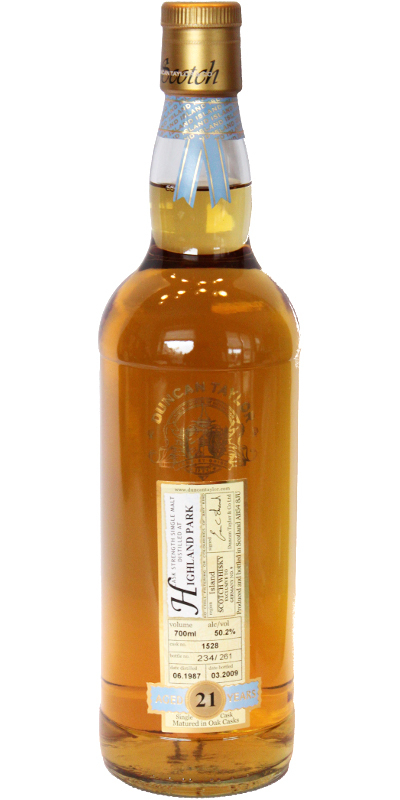 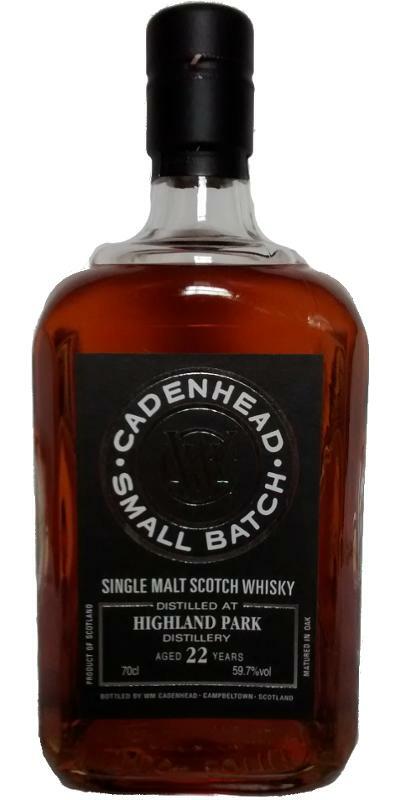 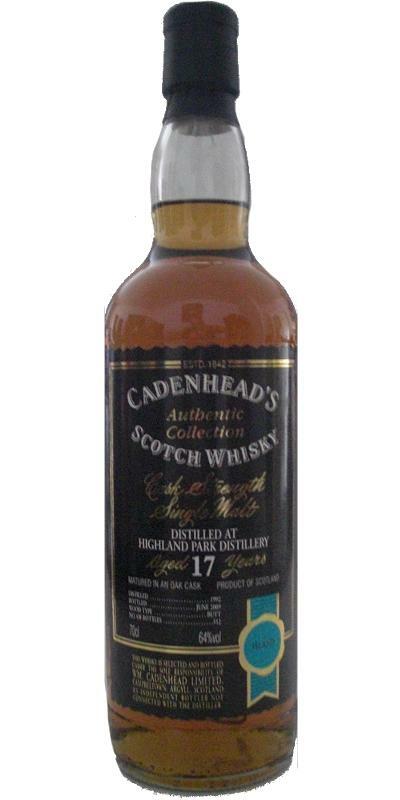 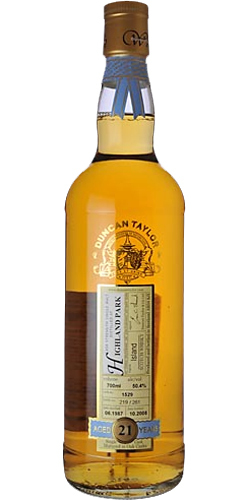 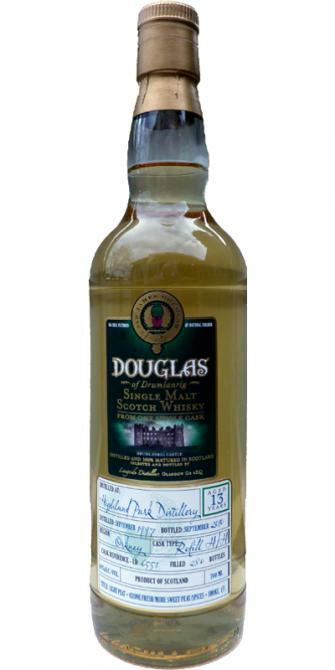 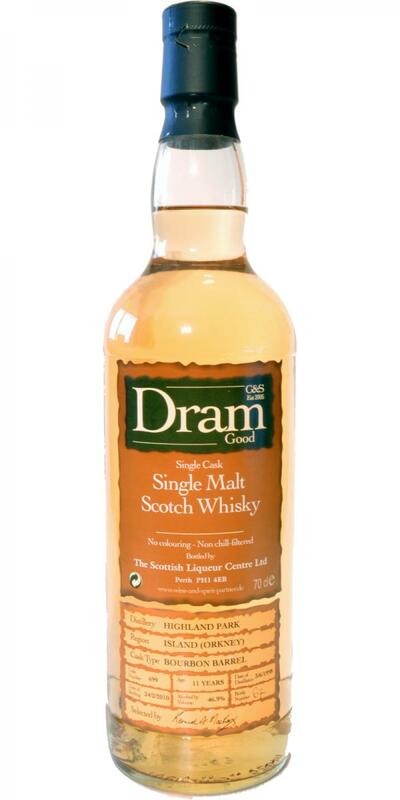 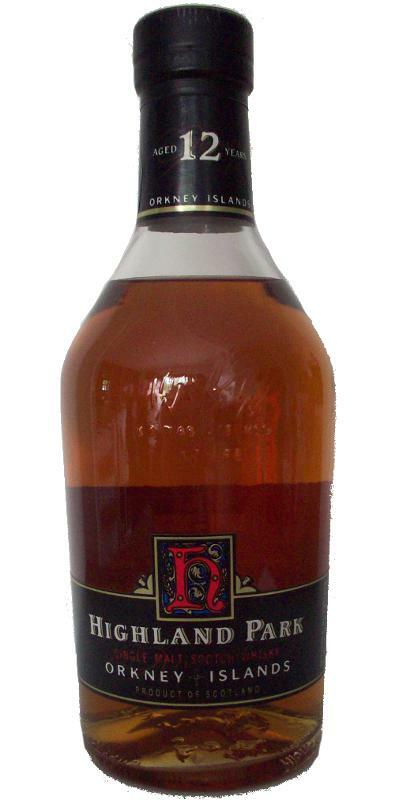 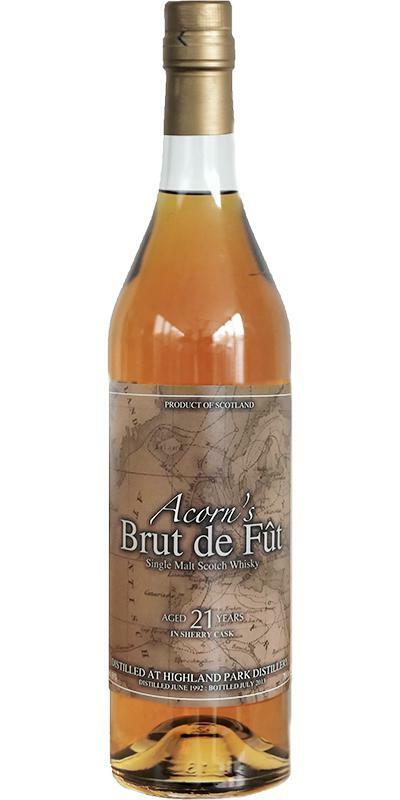 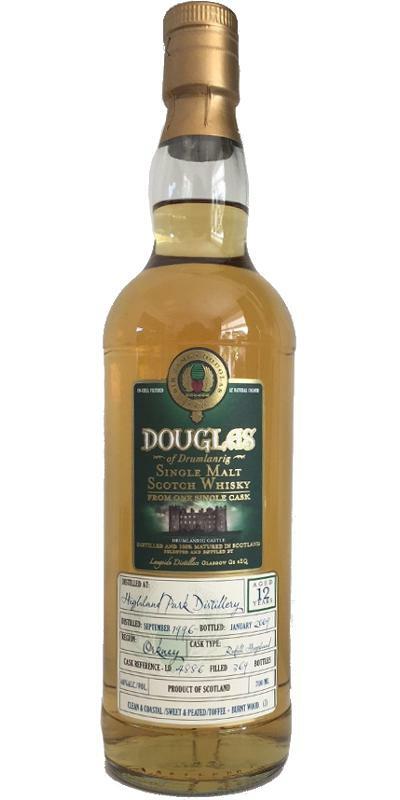 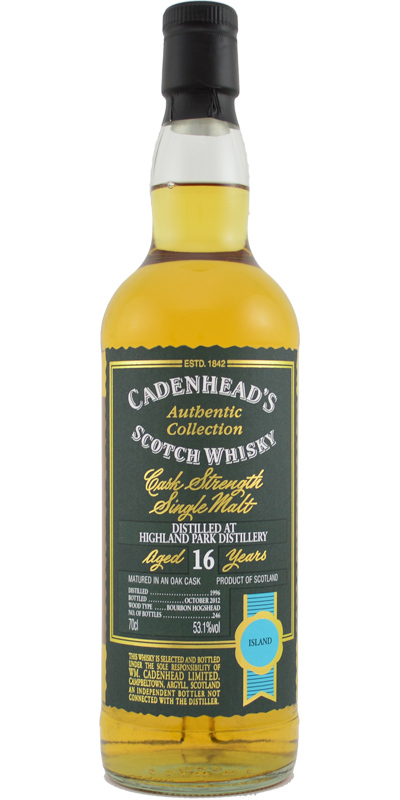 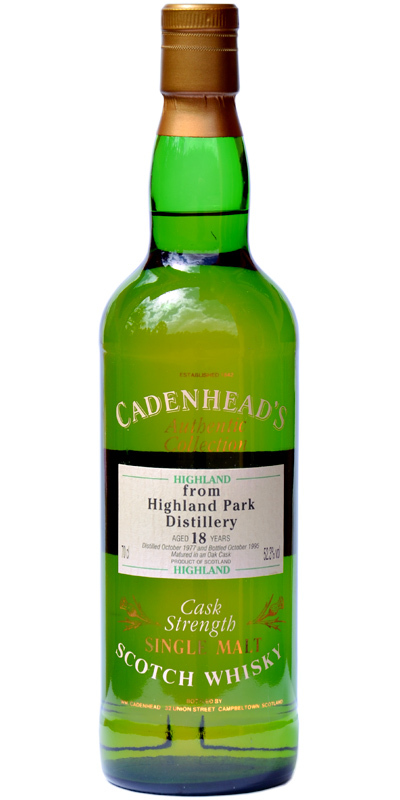 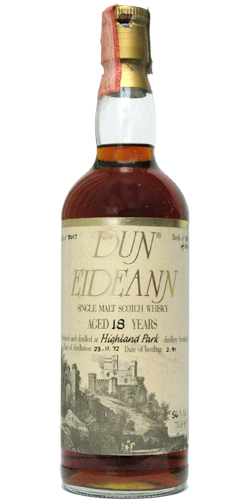 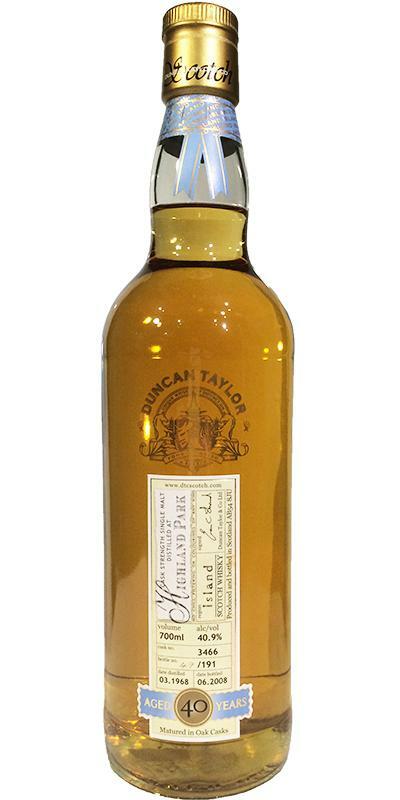 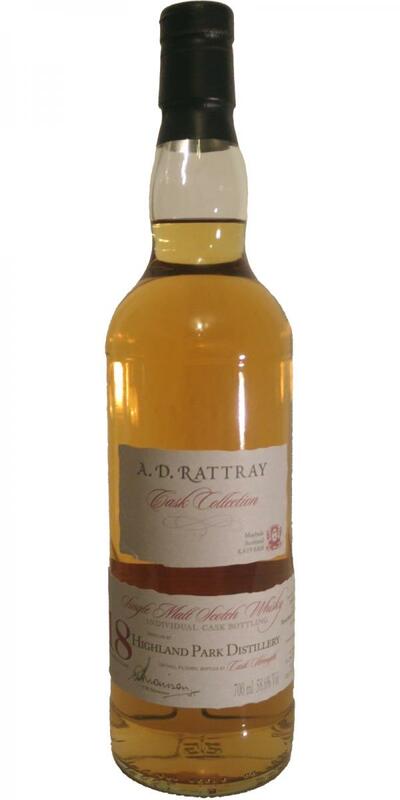 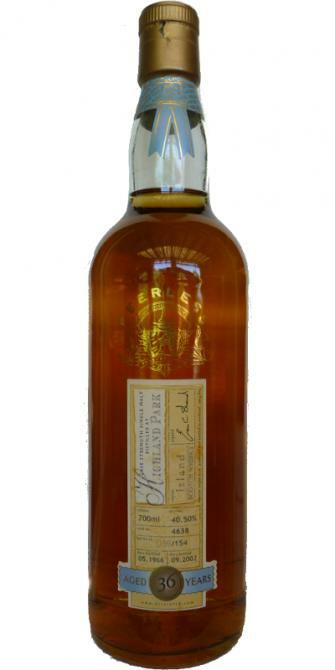 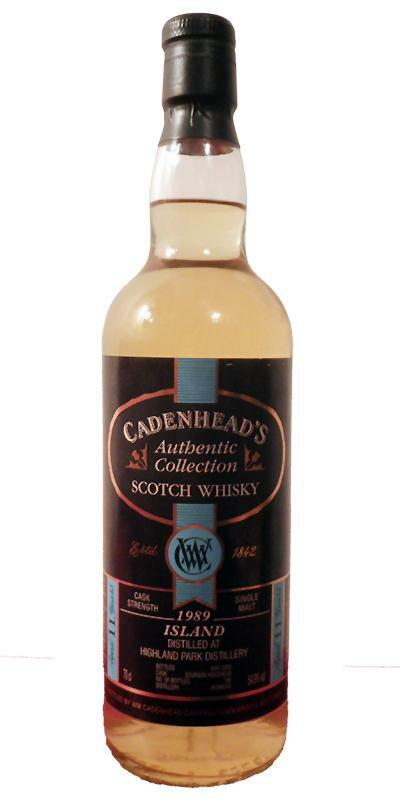 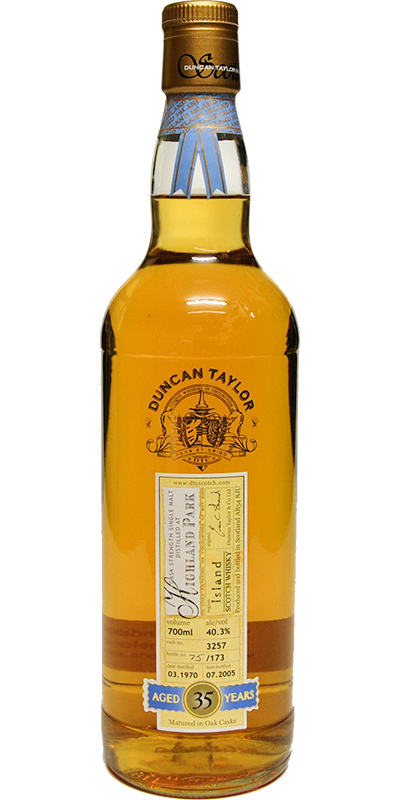 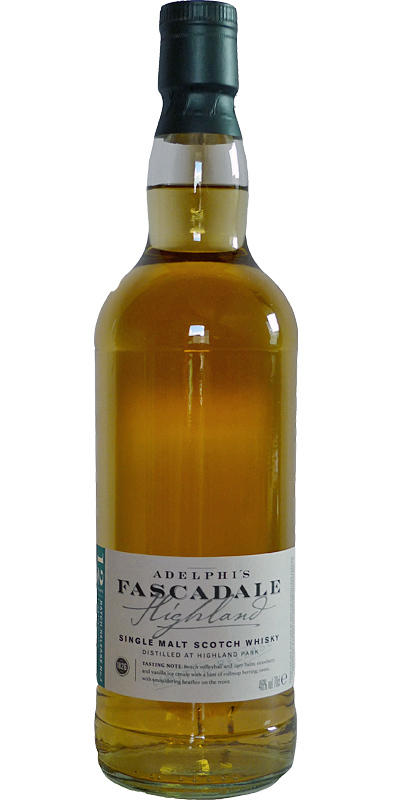 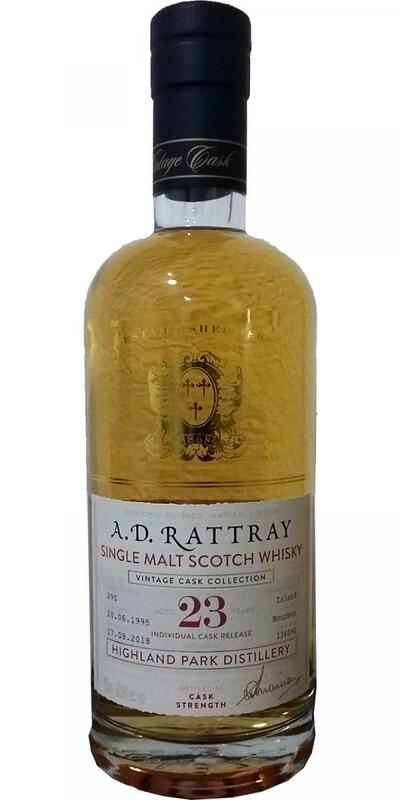 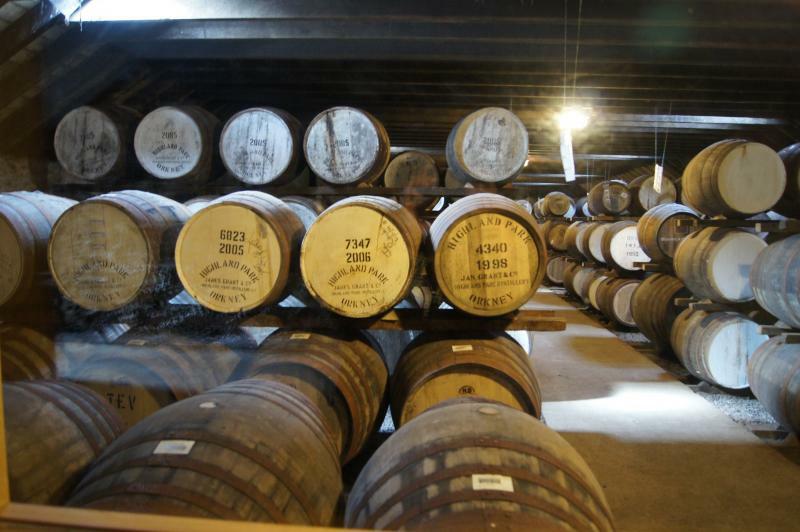 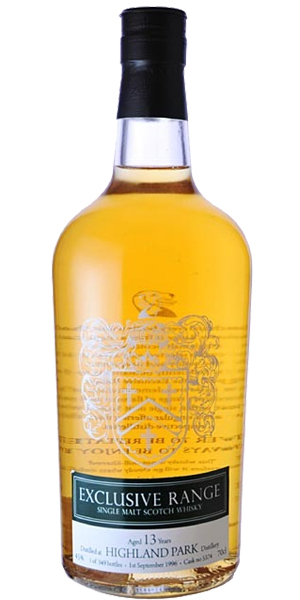 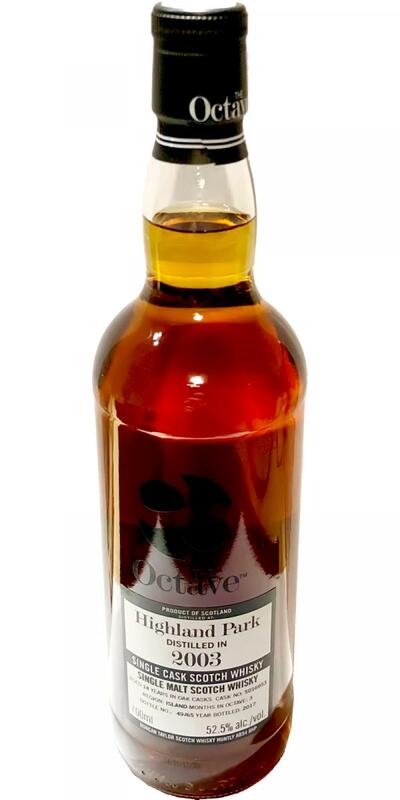 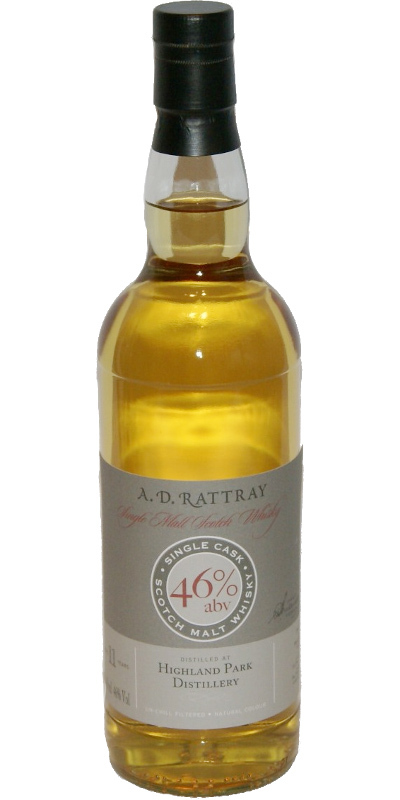 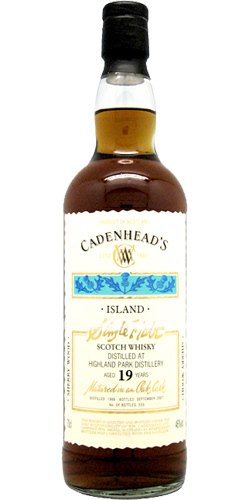 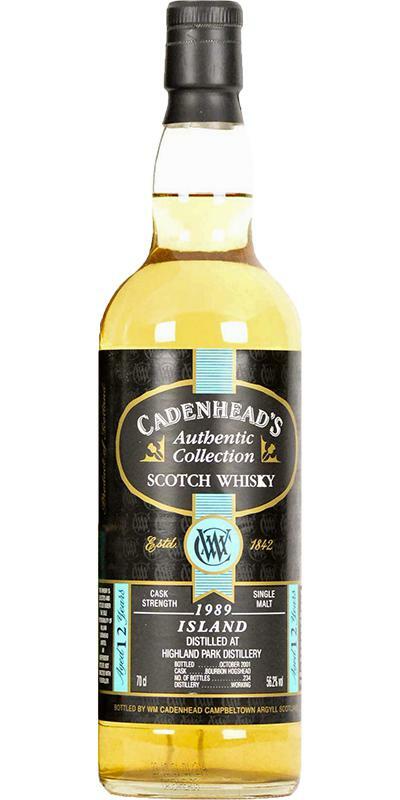 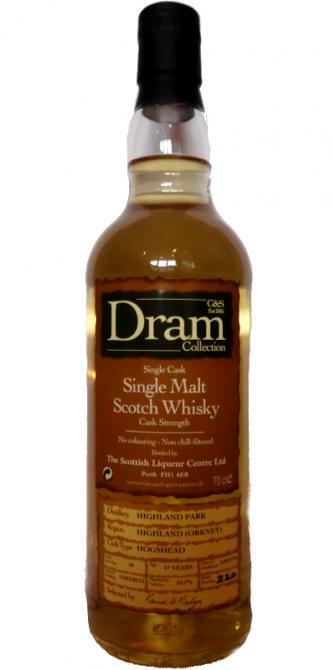 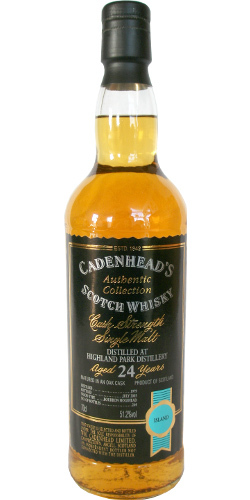 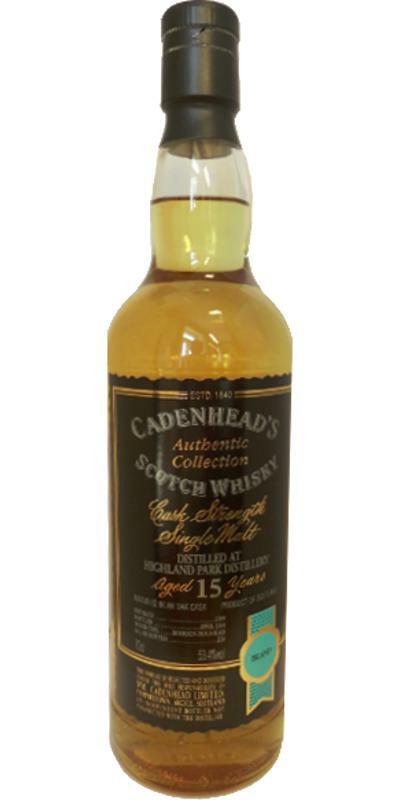 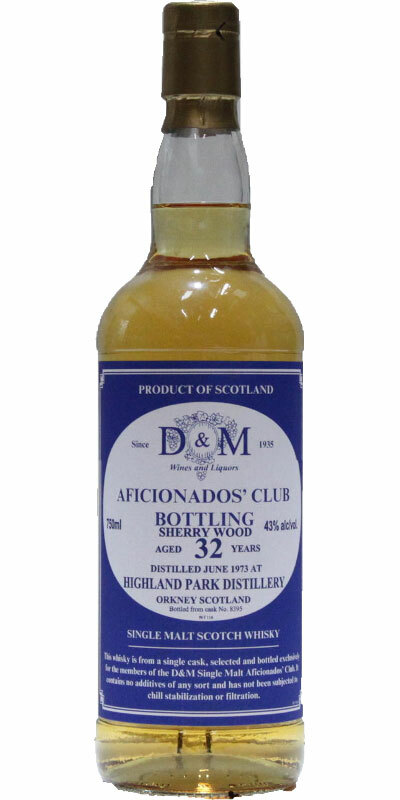 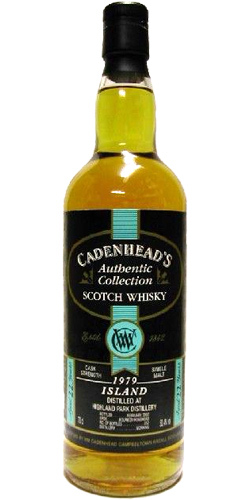 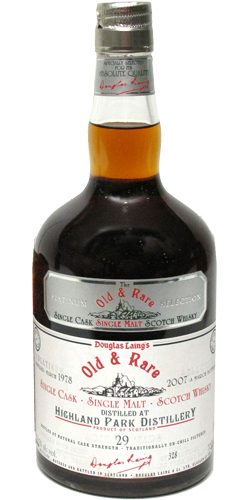 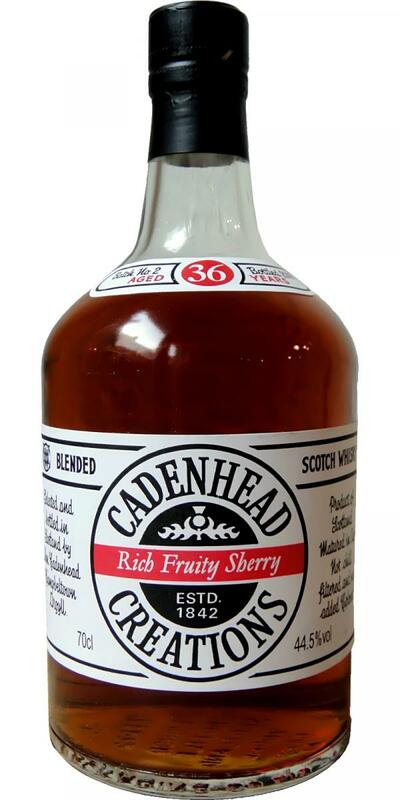 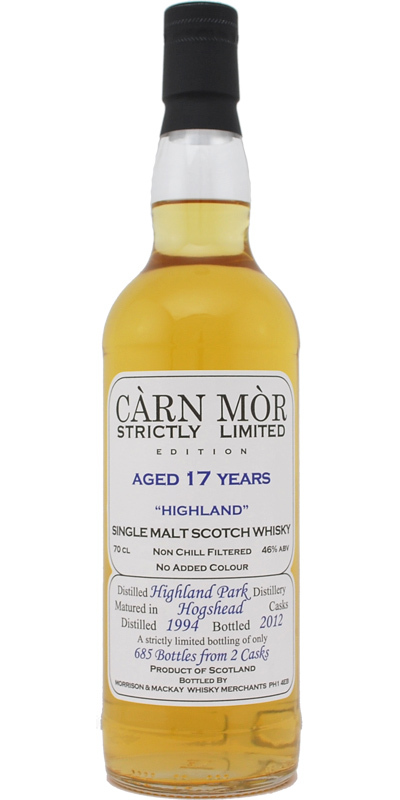 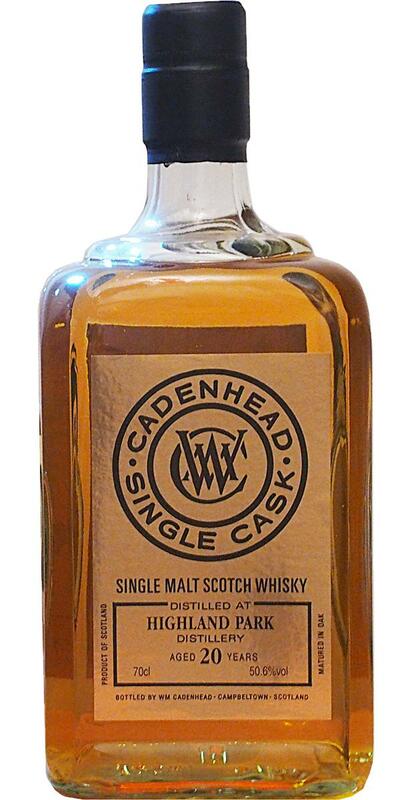 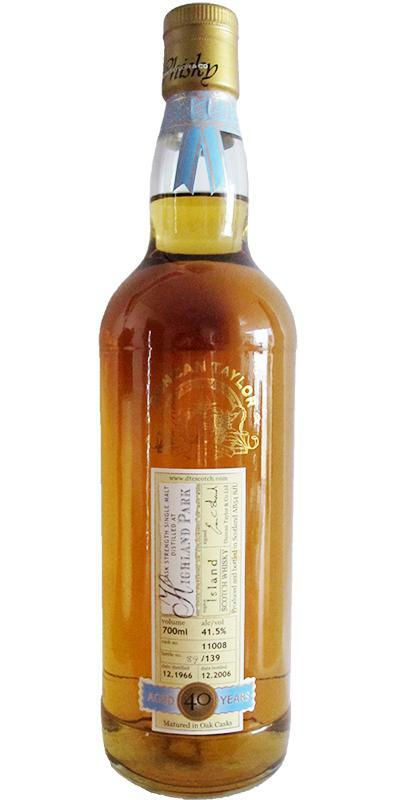 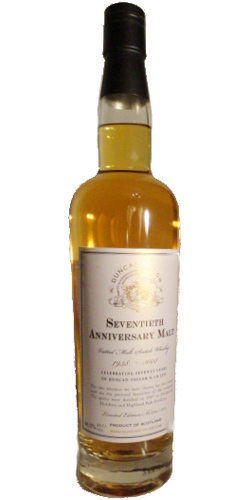 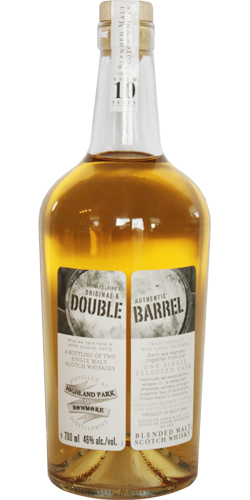 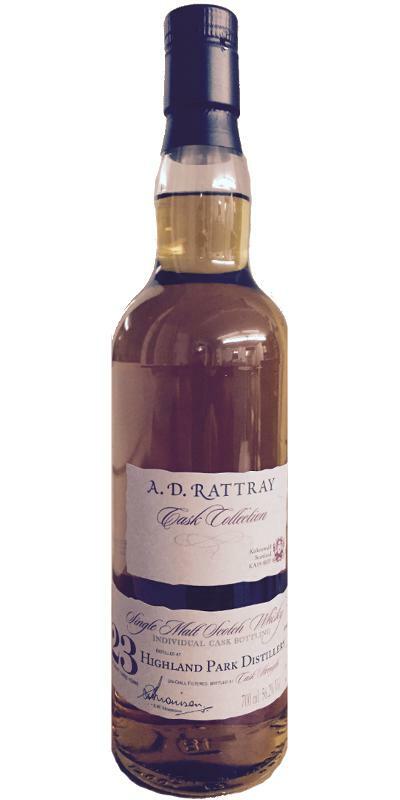 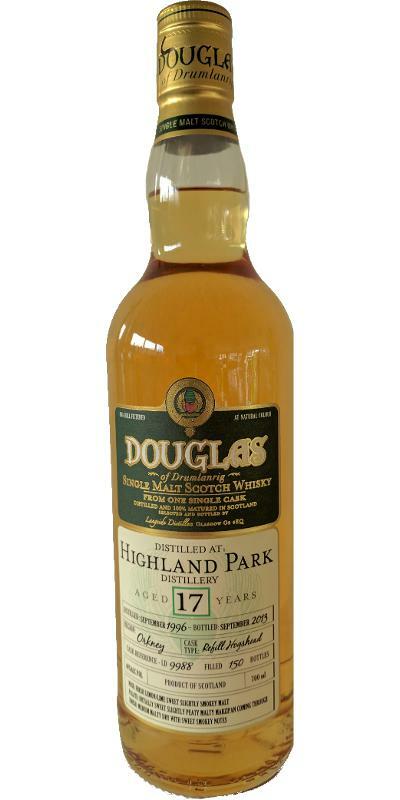 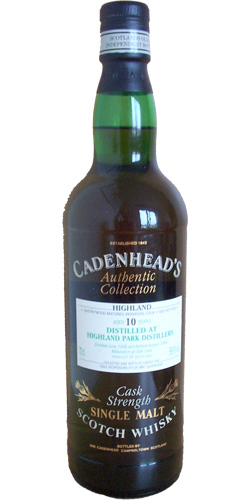 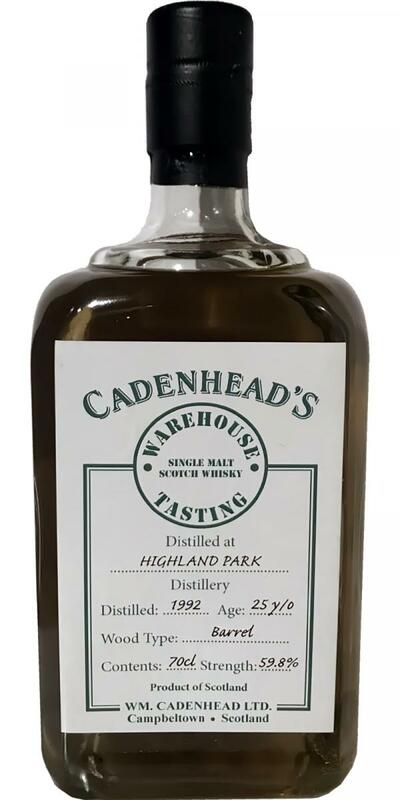 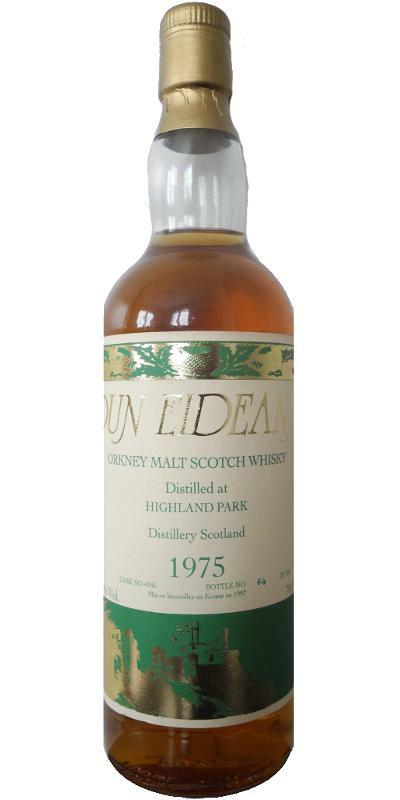 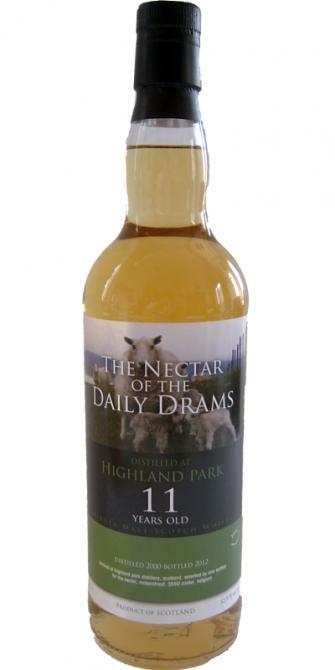 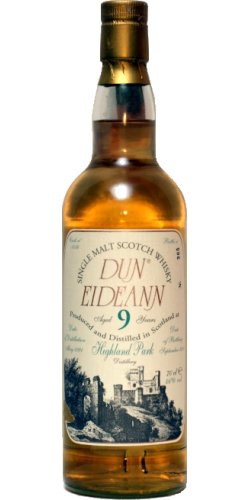 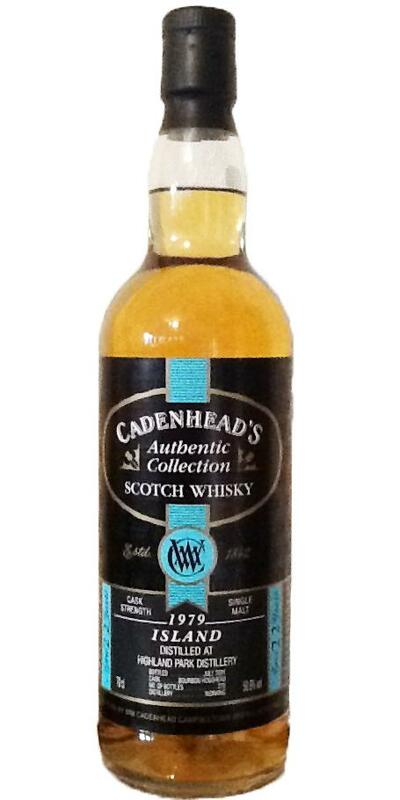 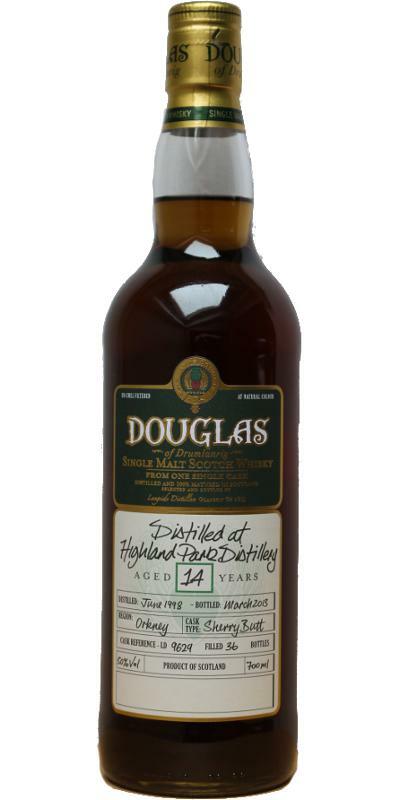 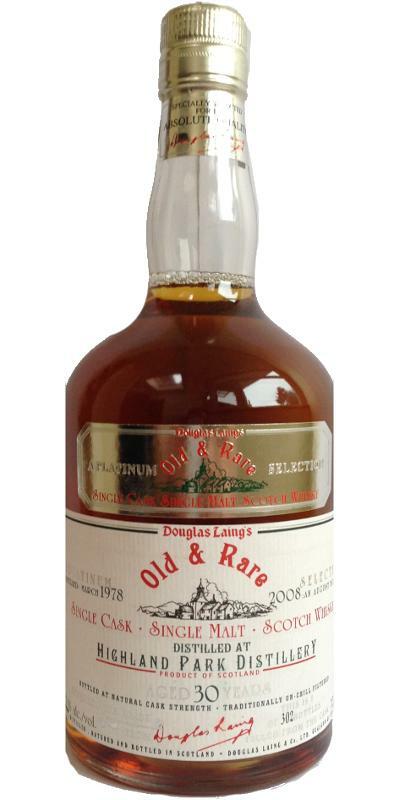 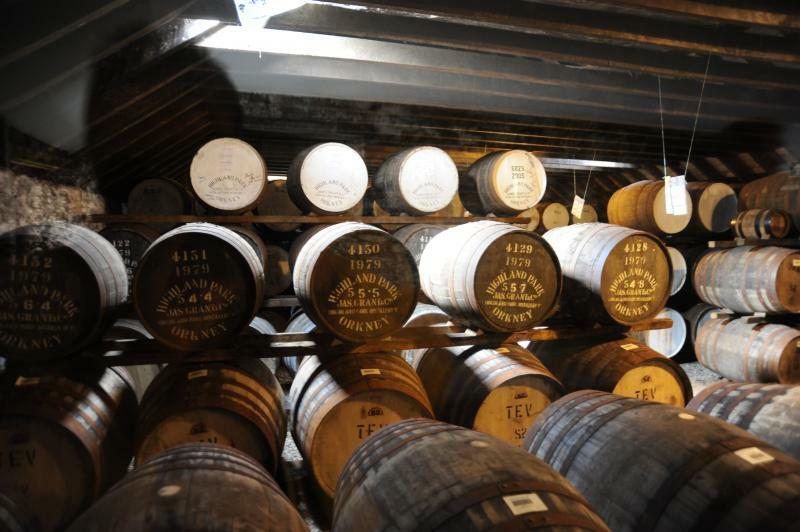 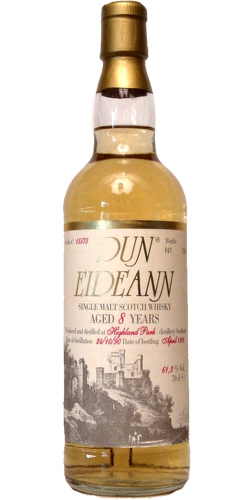 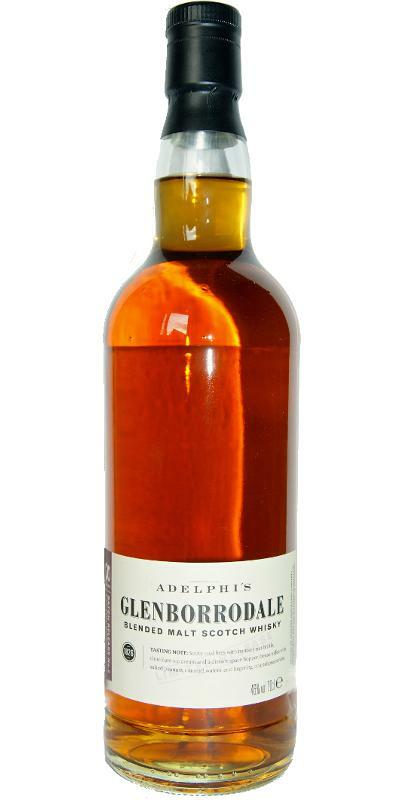 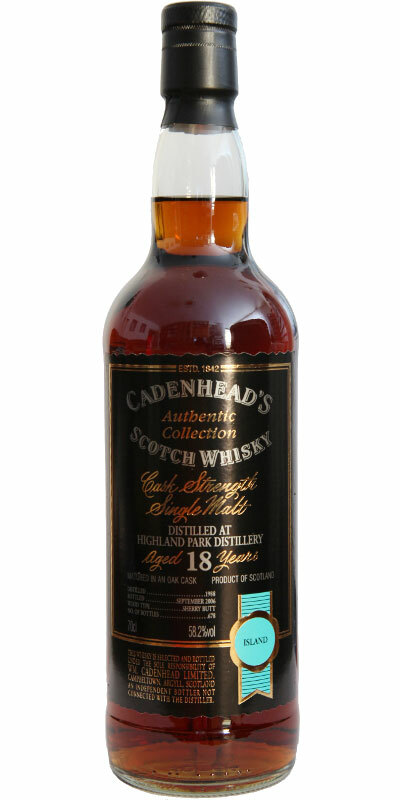 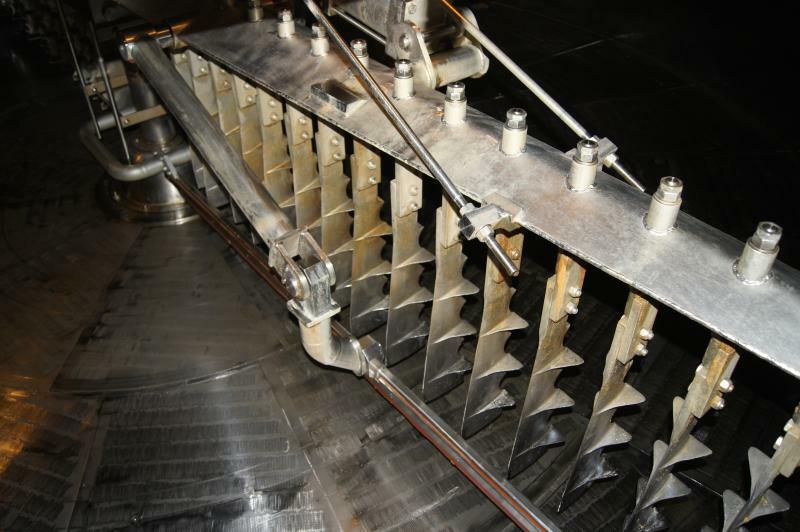 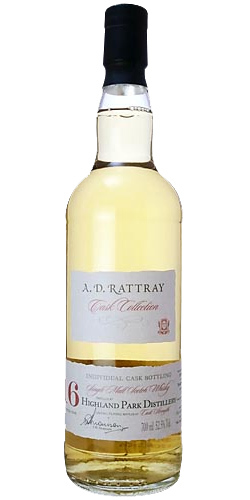 Highland Park 17-year-old CA Duthies 17 46.0 % Vol. 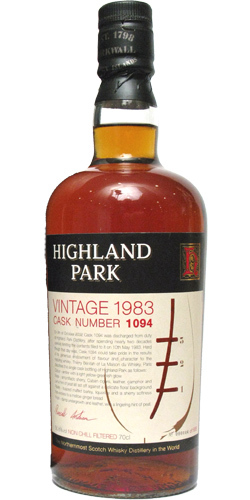 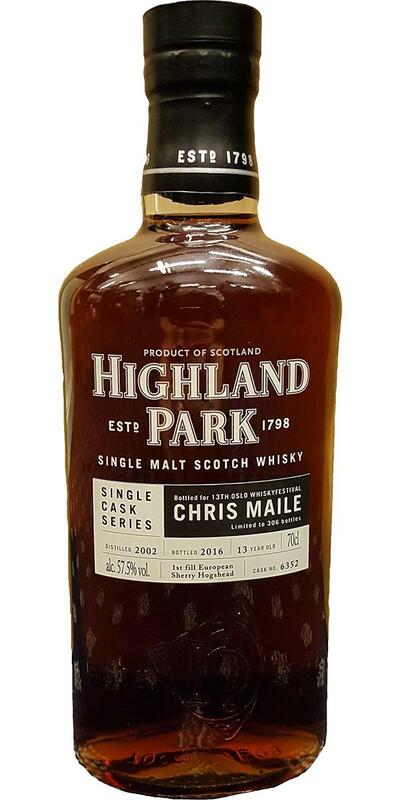 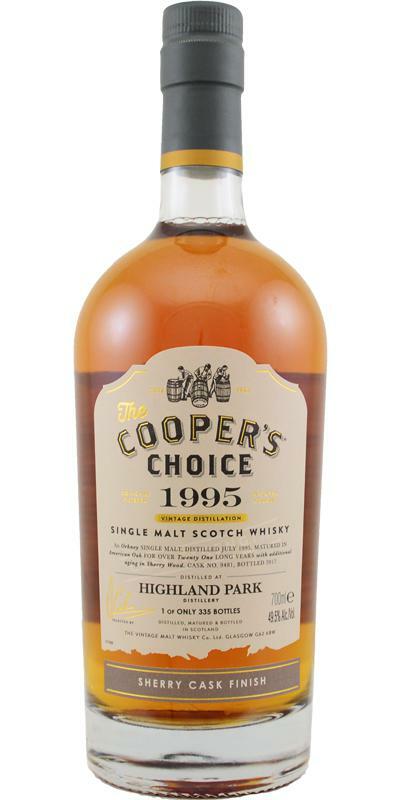 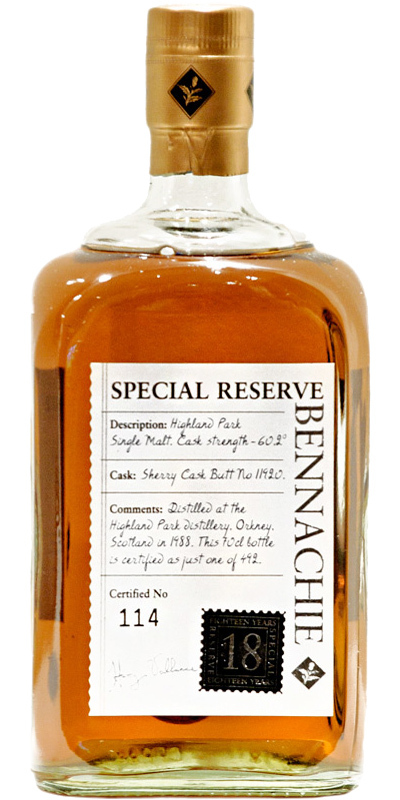 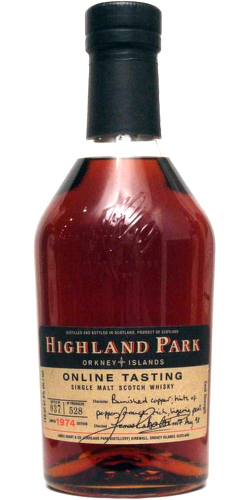 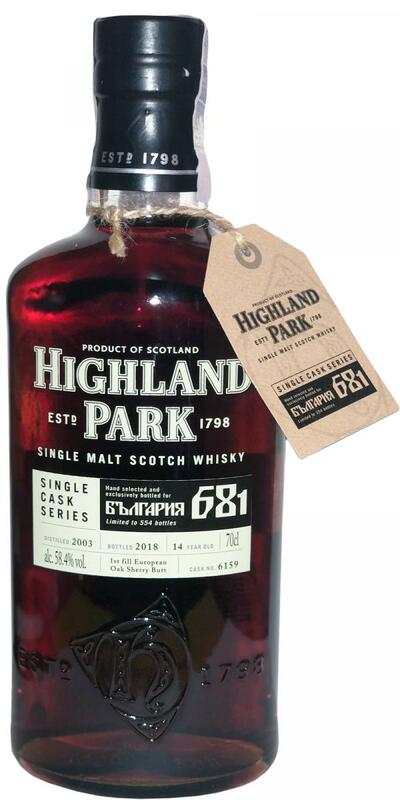 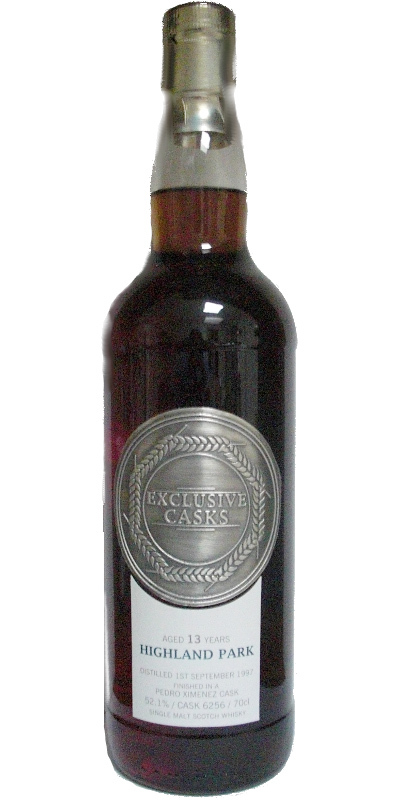 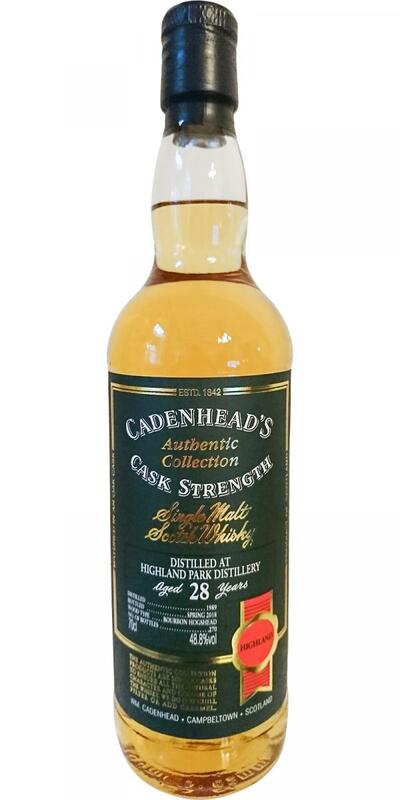 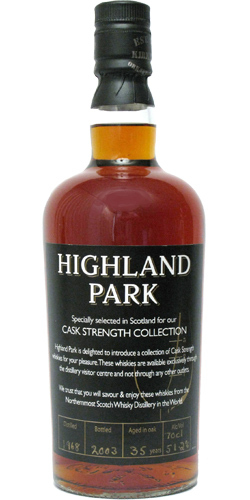 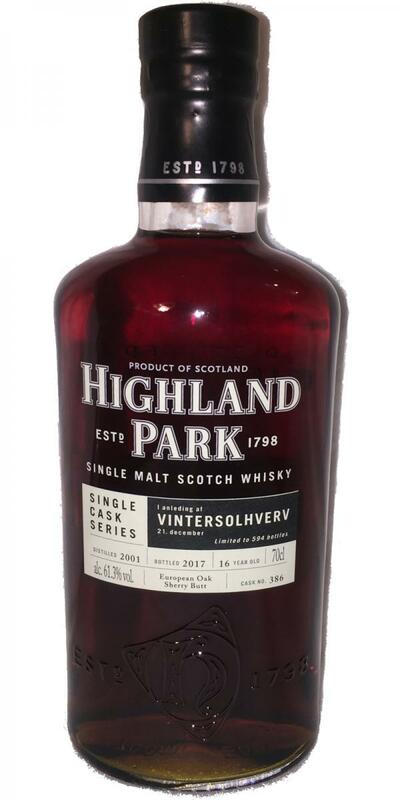 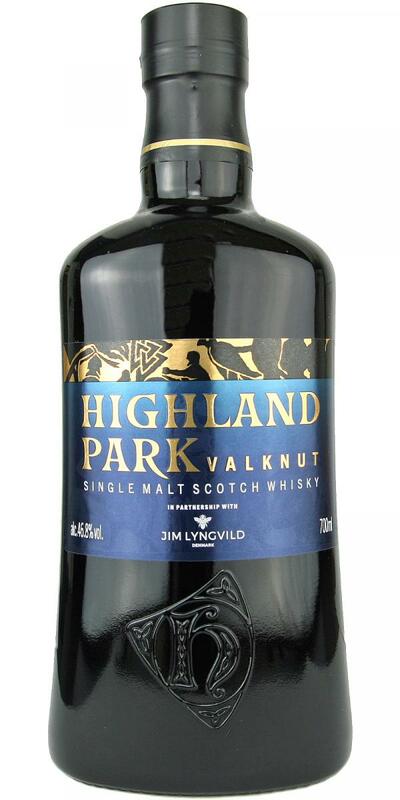 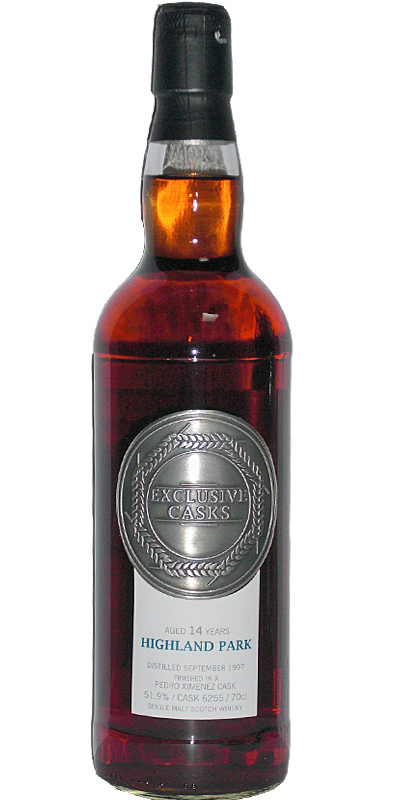 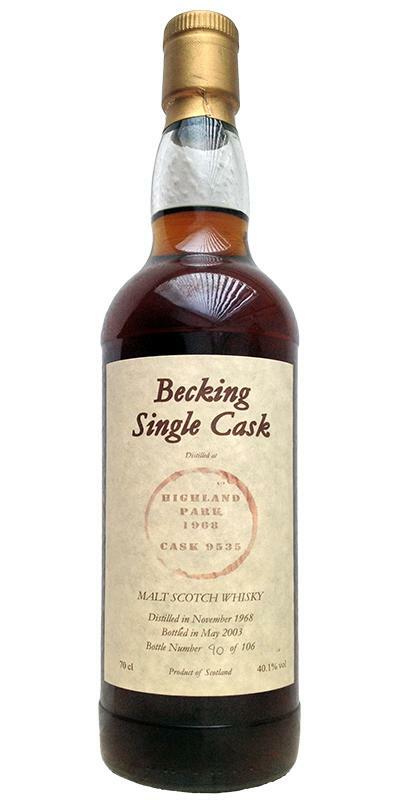 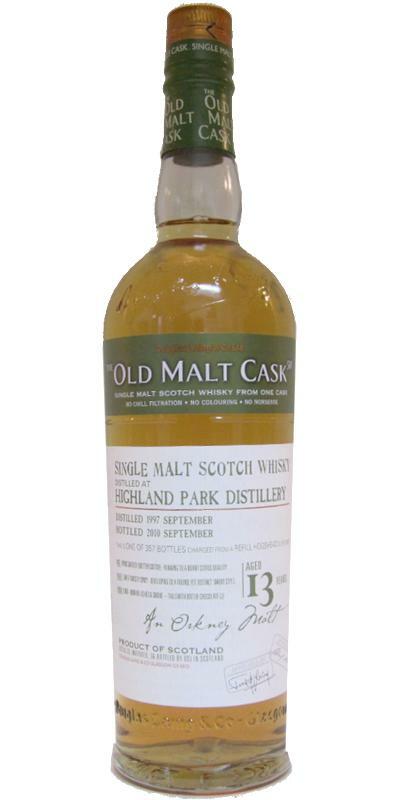 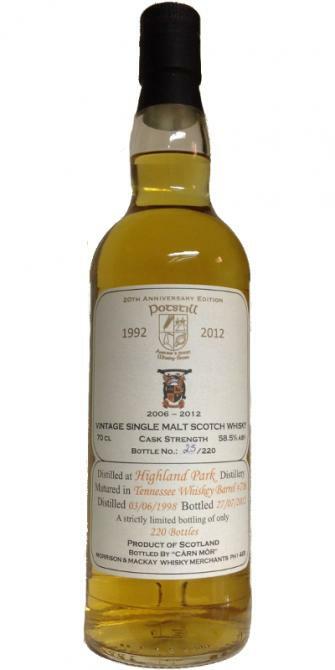 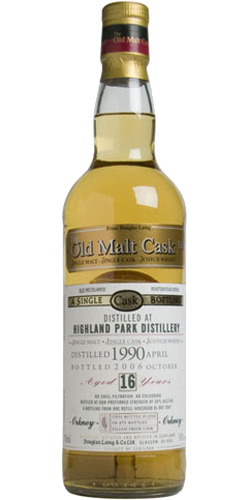 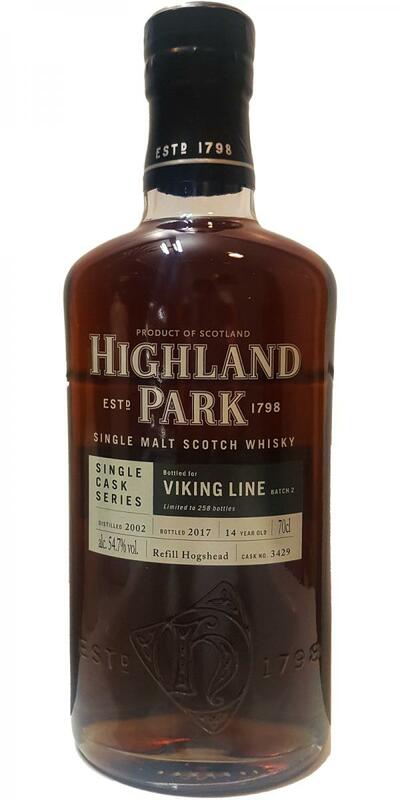 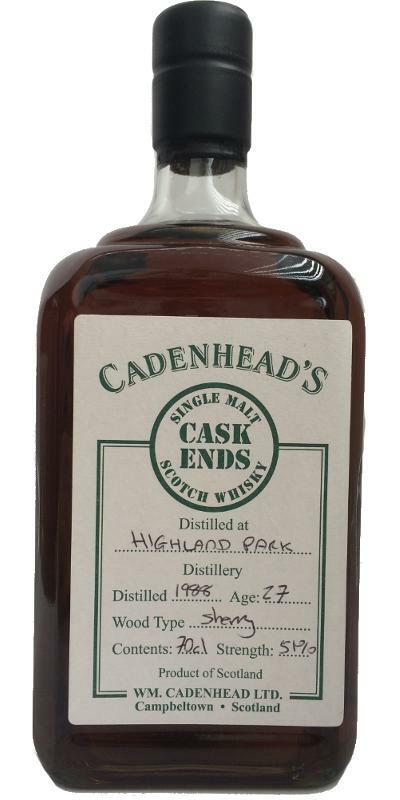 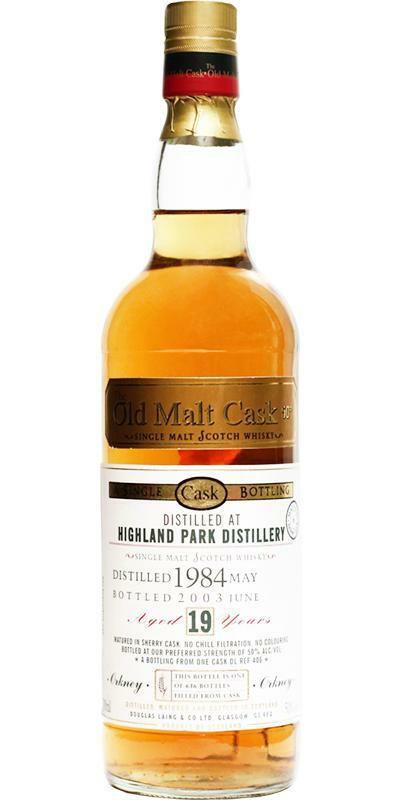 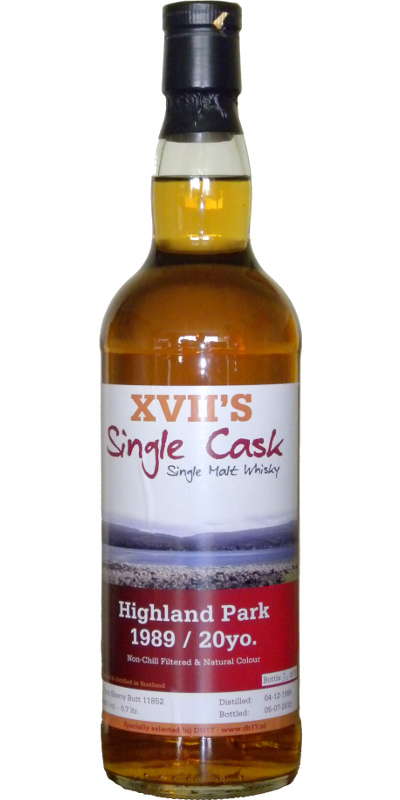 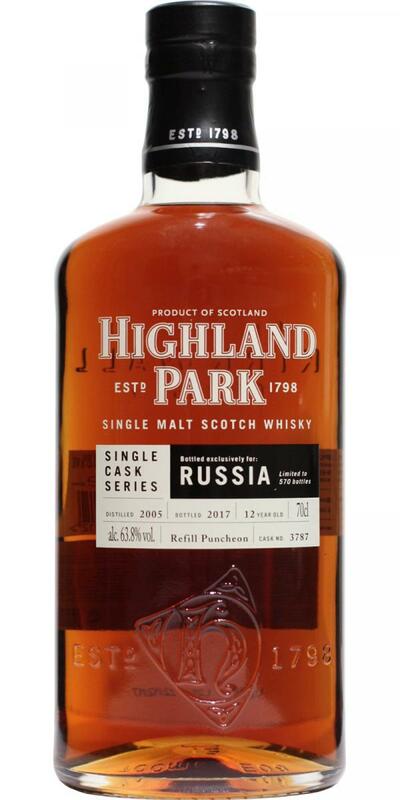 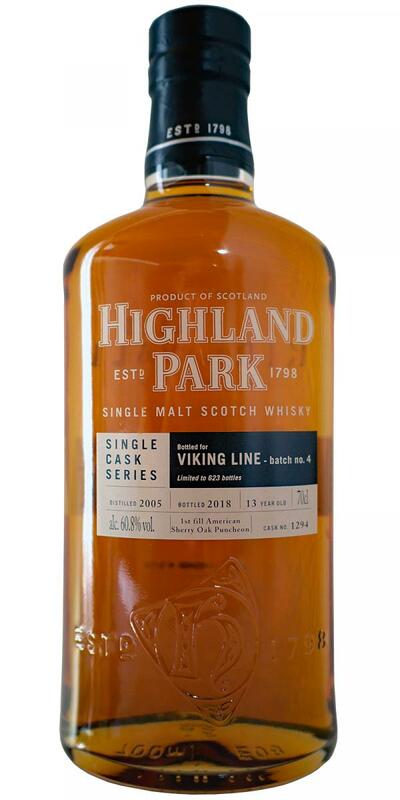 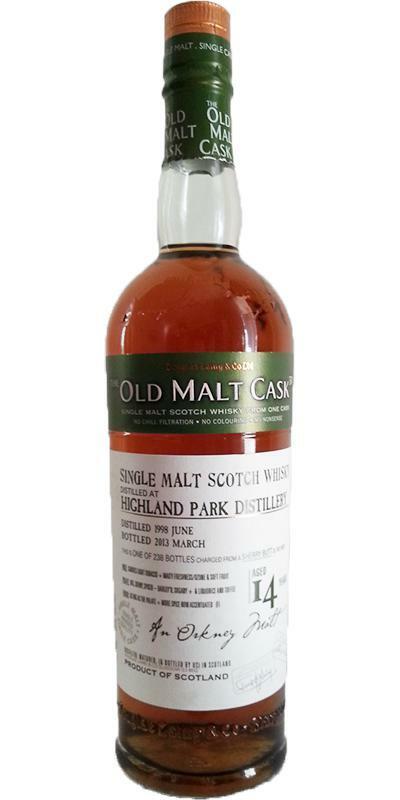 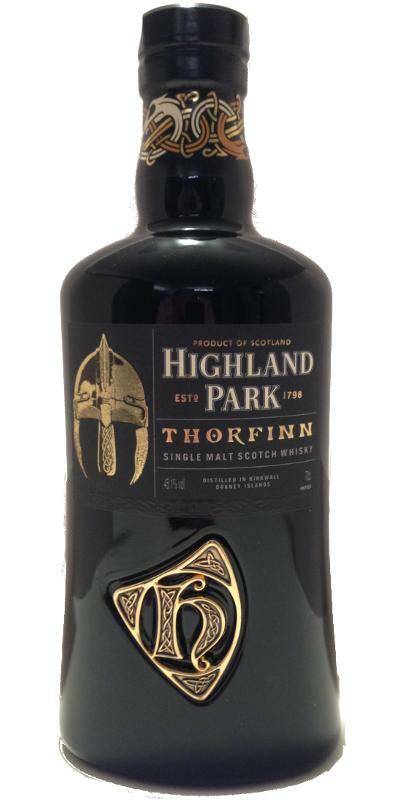 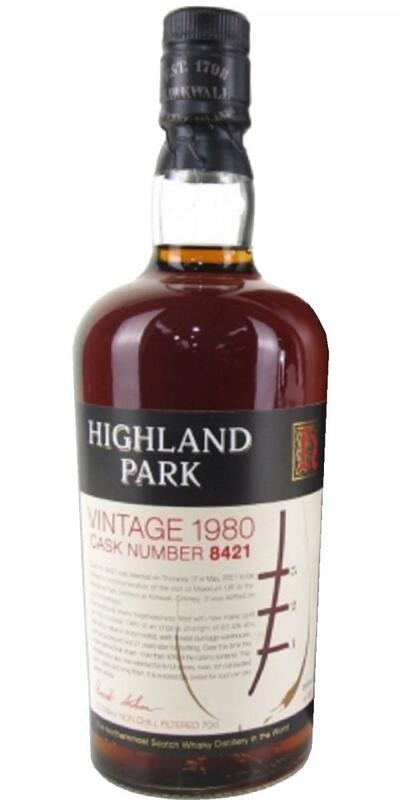 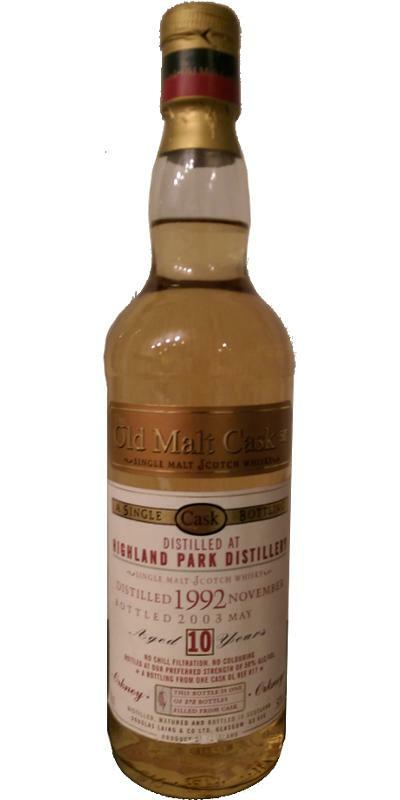 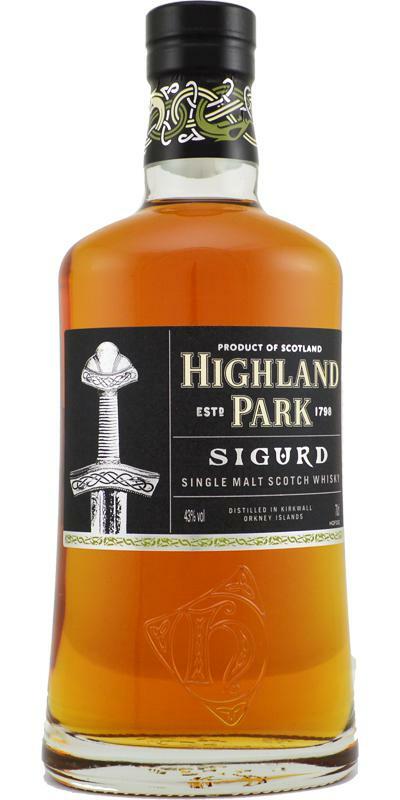 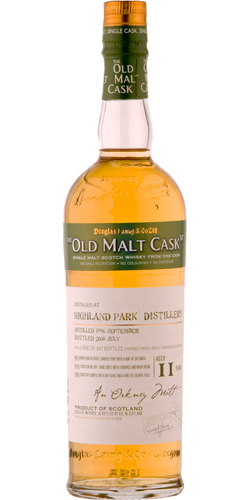 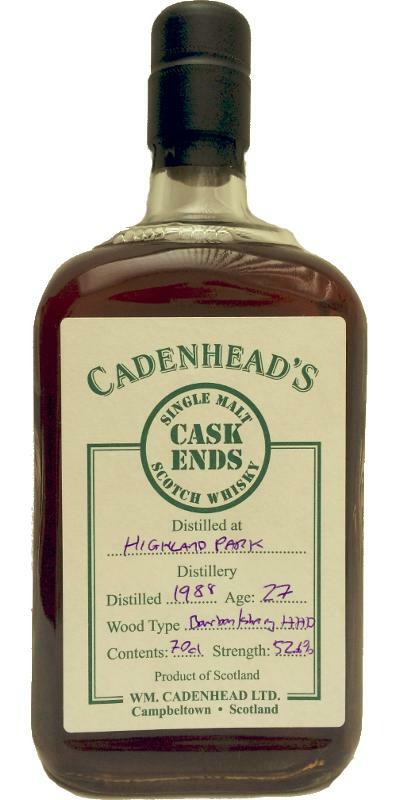 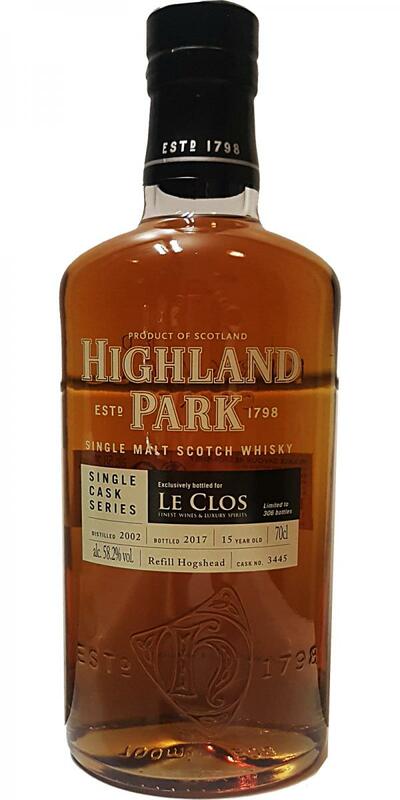 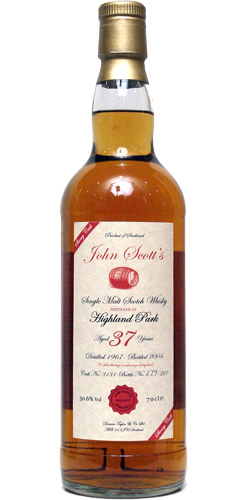 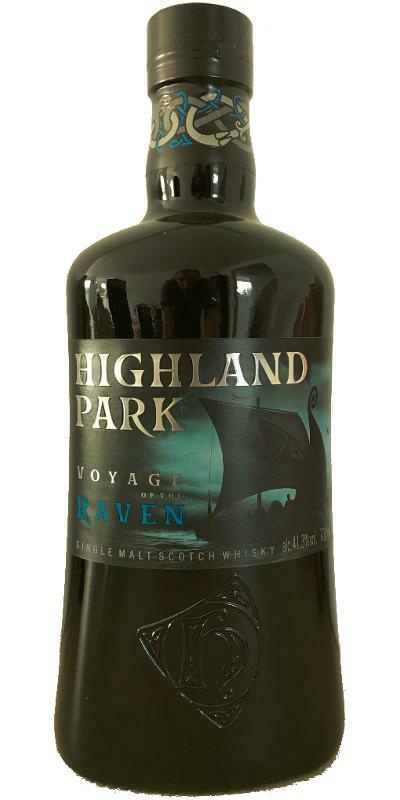 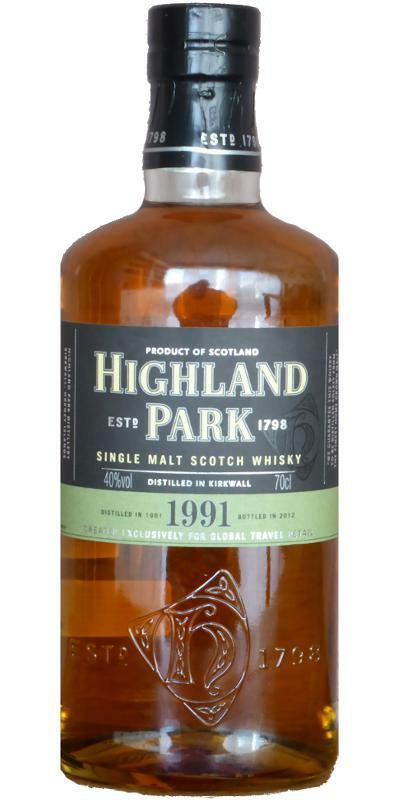 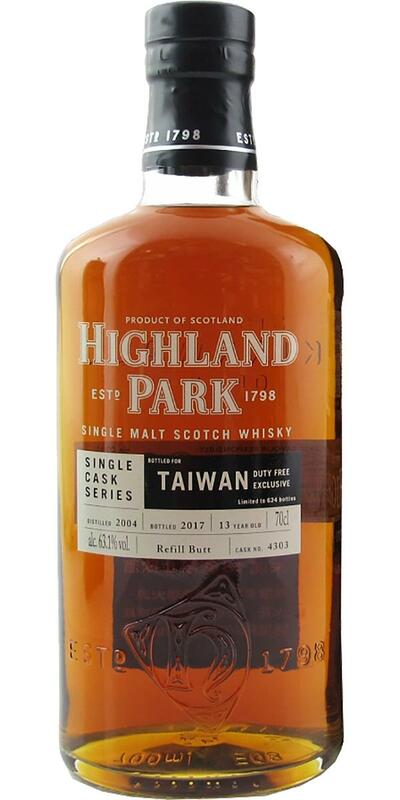 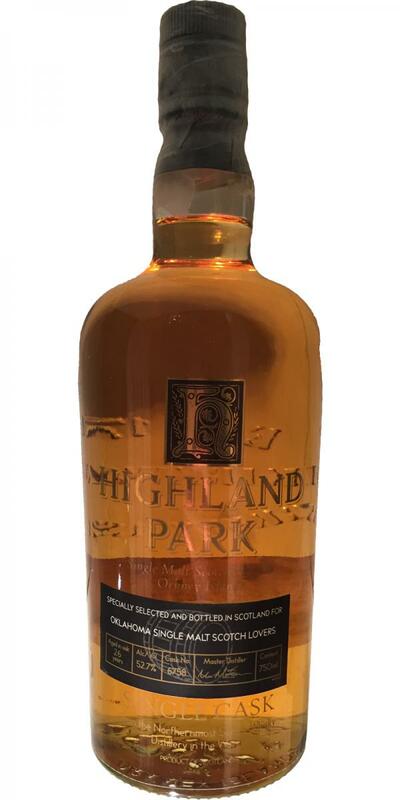 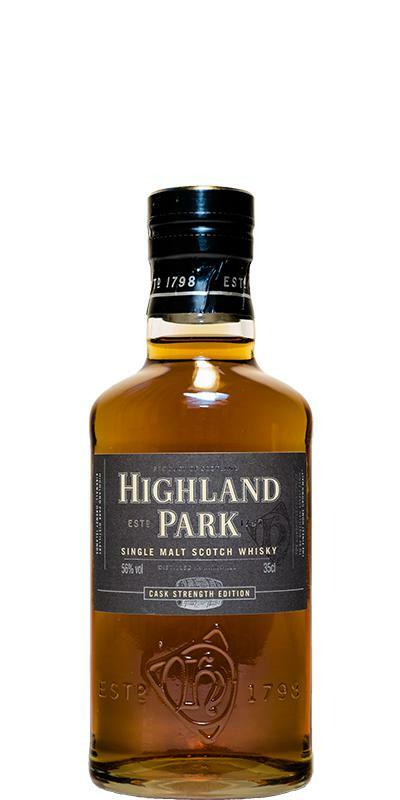 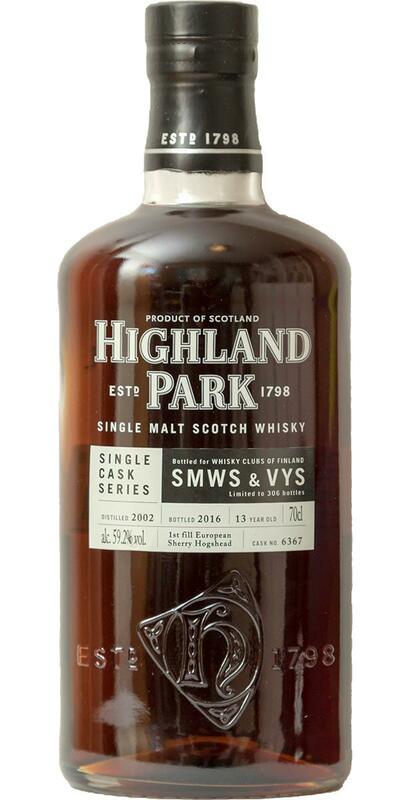 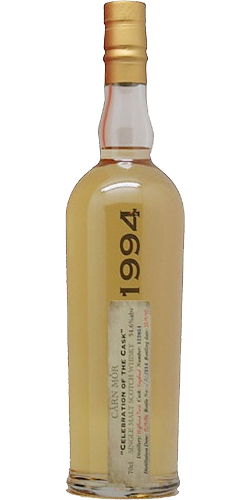 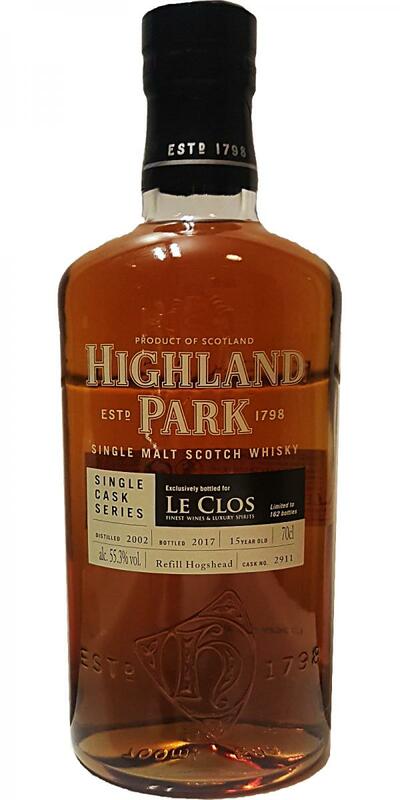 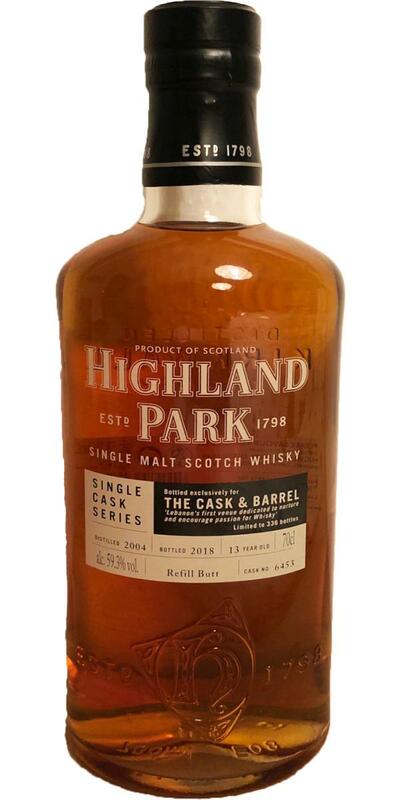 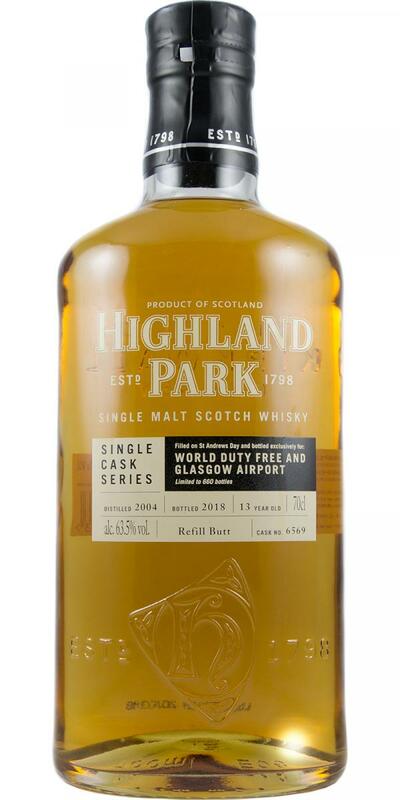 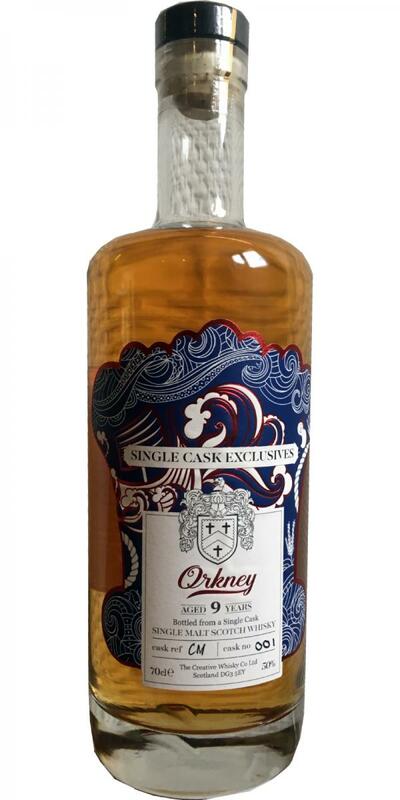 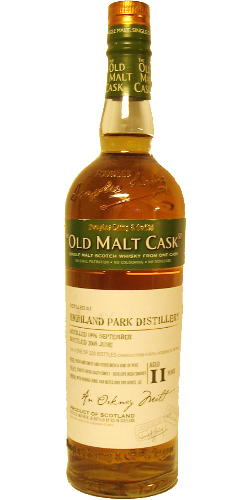 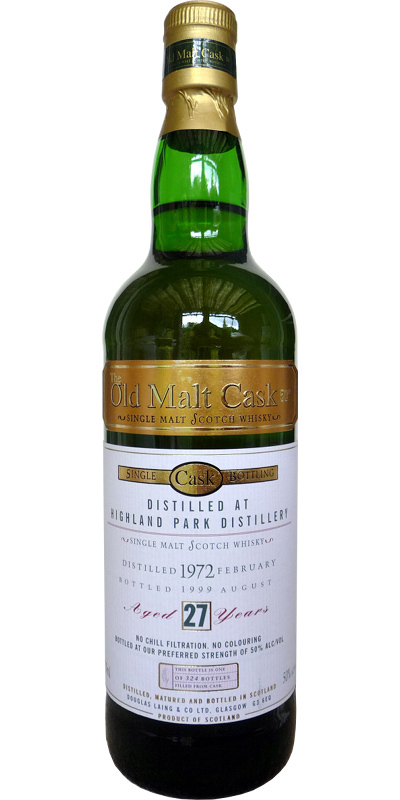 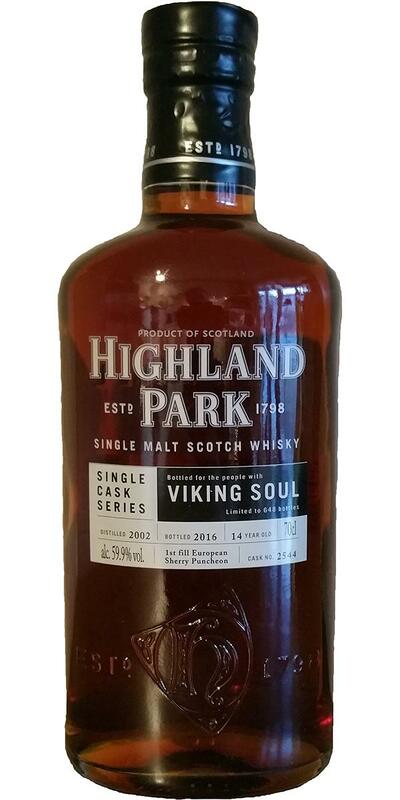 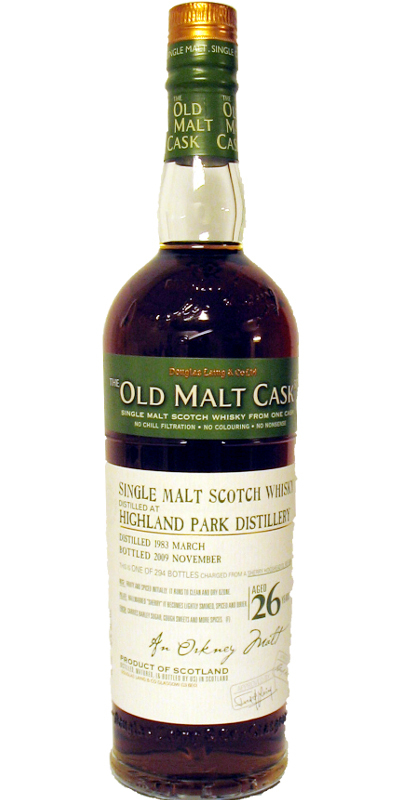 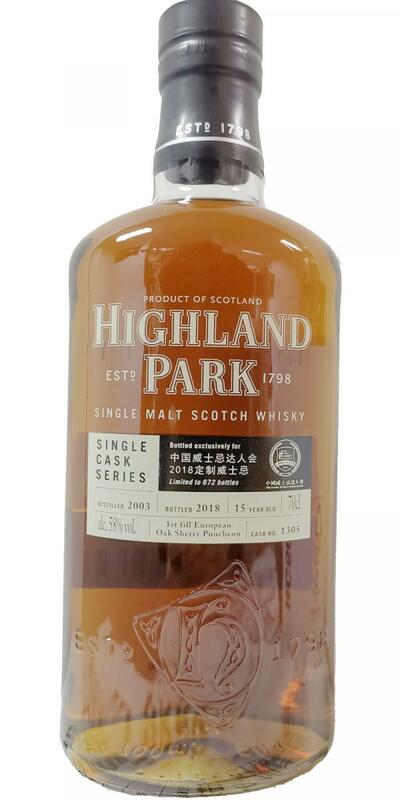 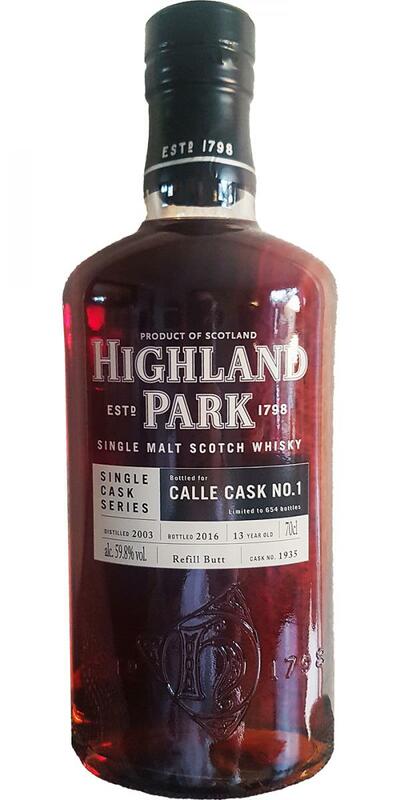 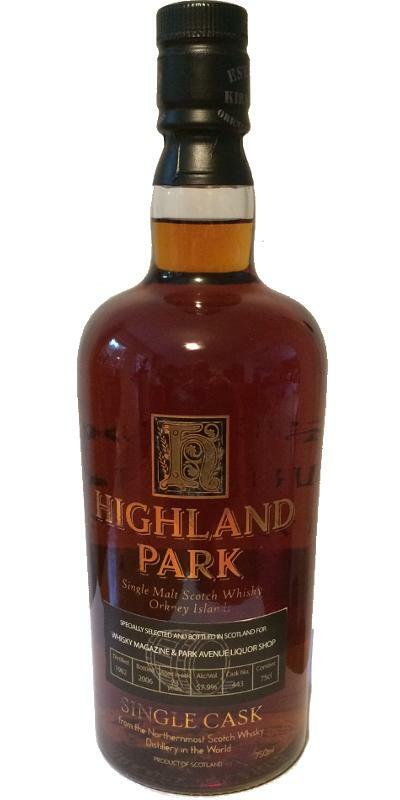 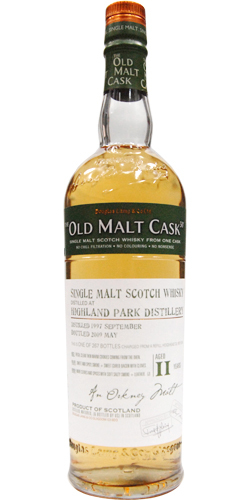 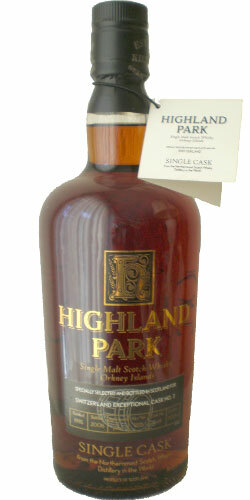 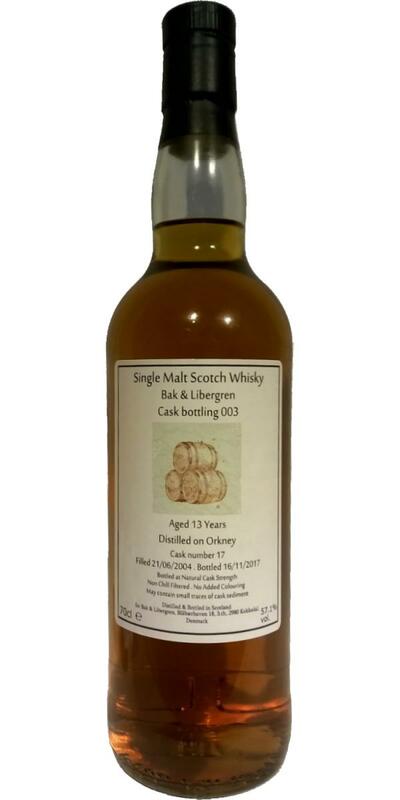 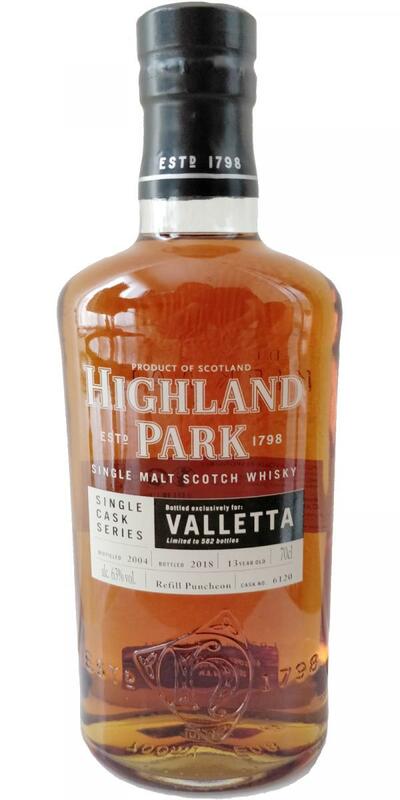 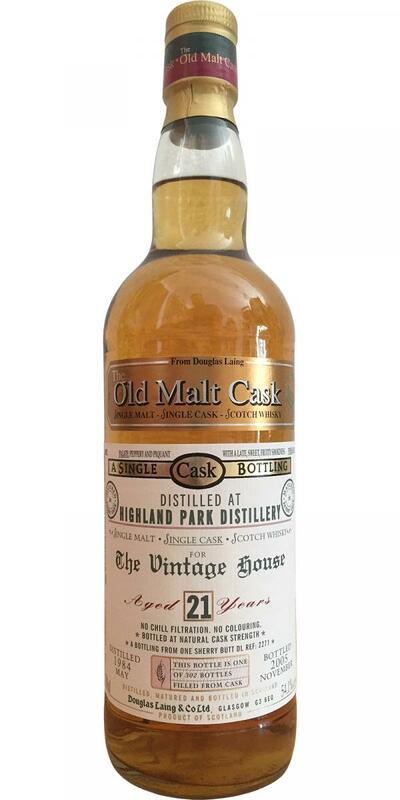 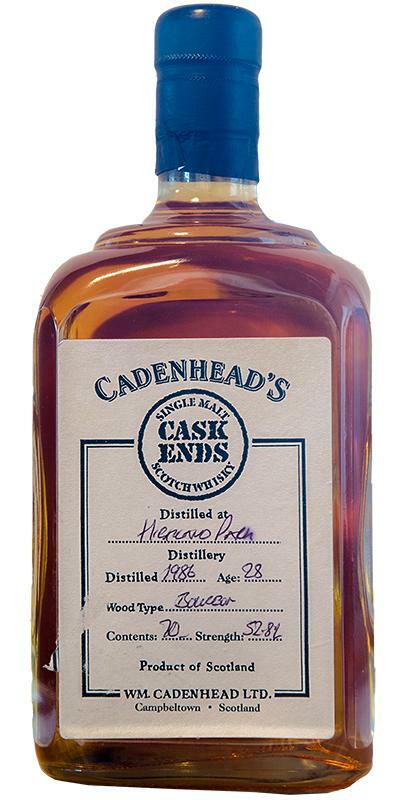 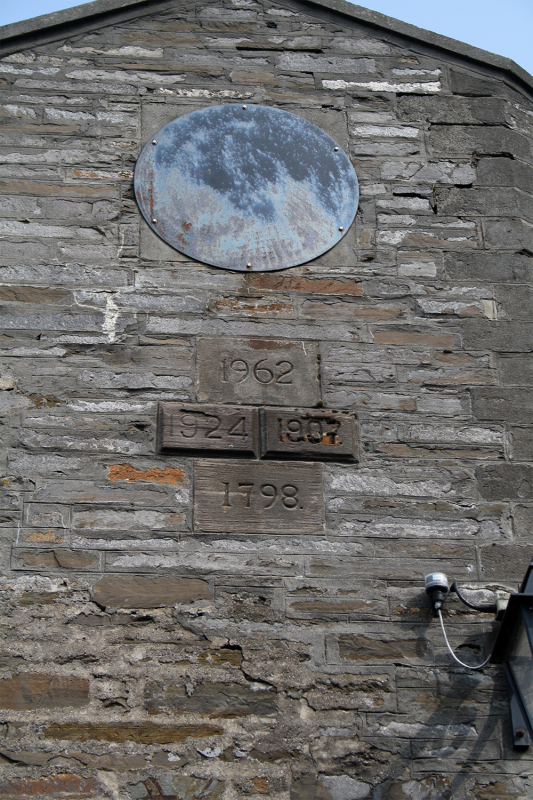 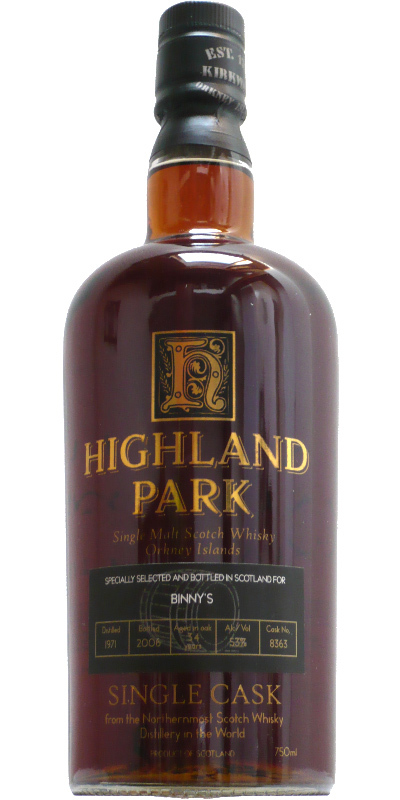 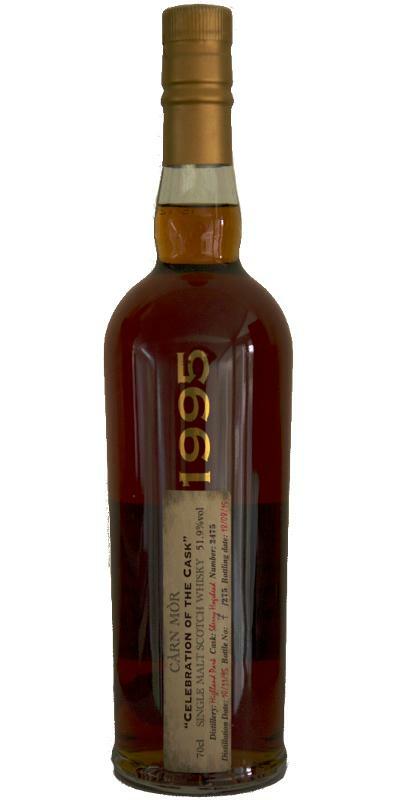 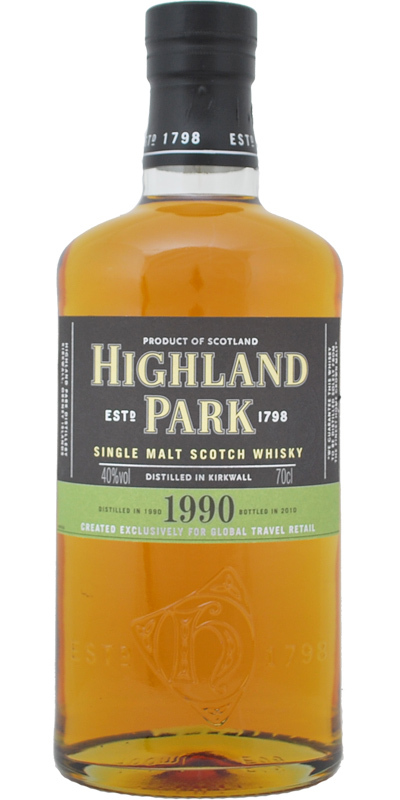 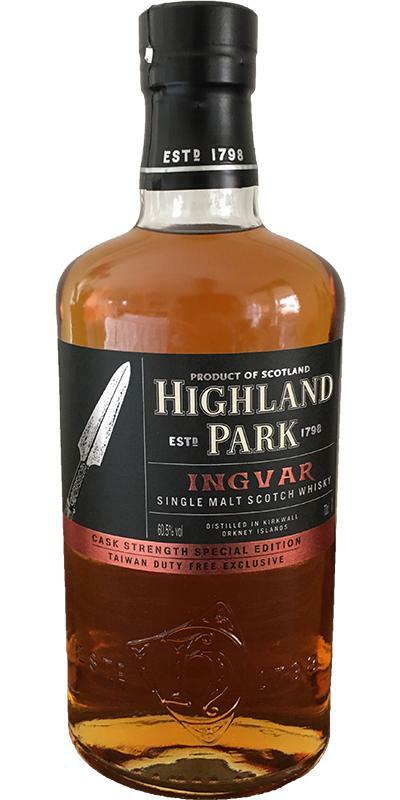 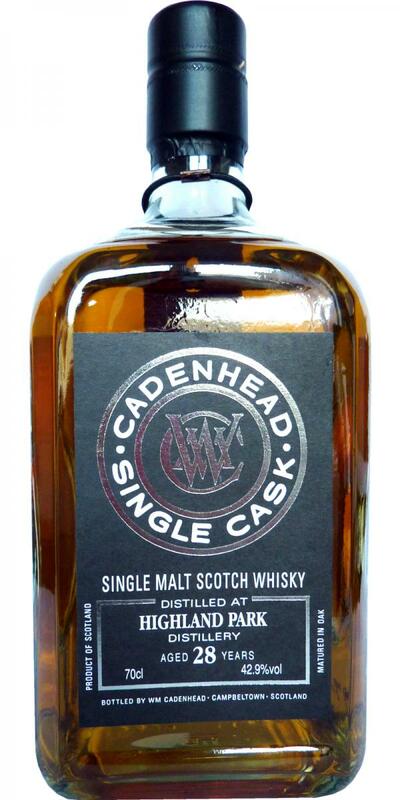 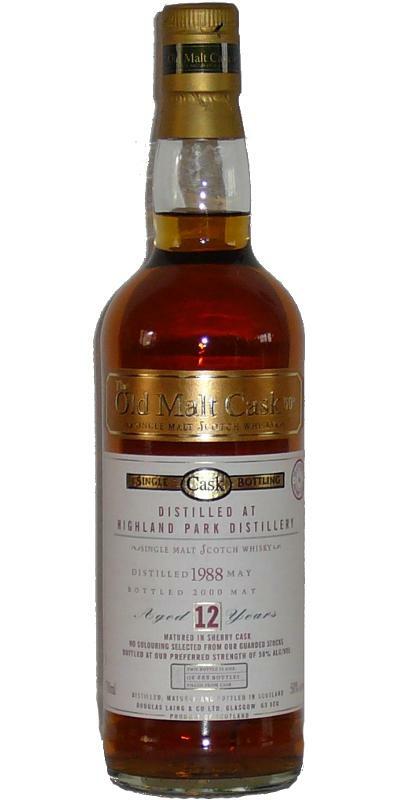 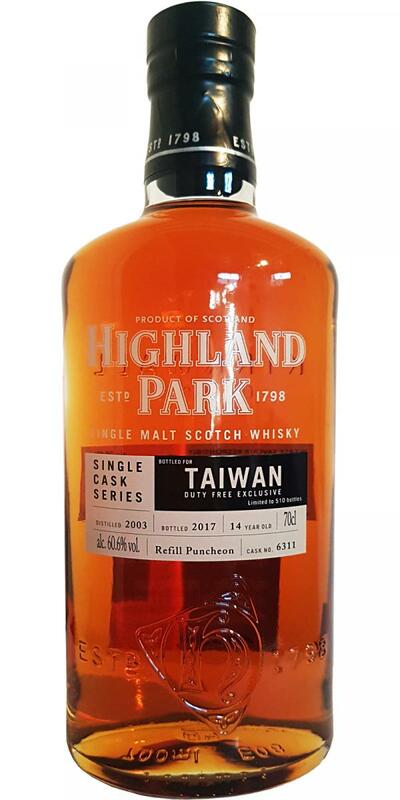 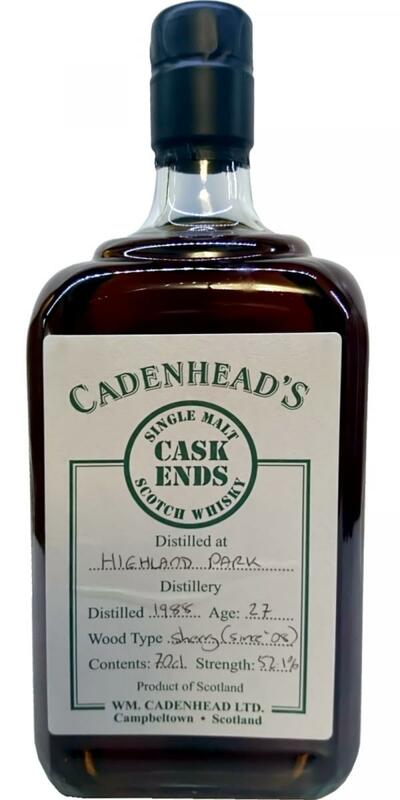 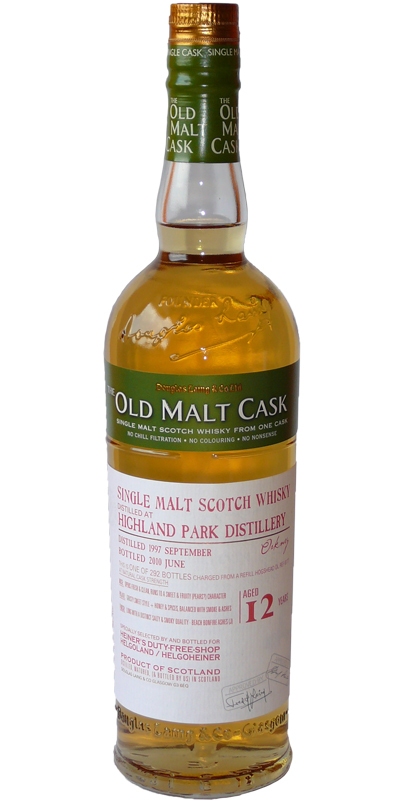 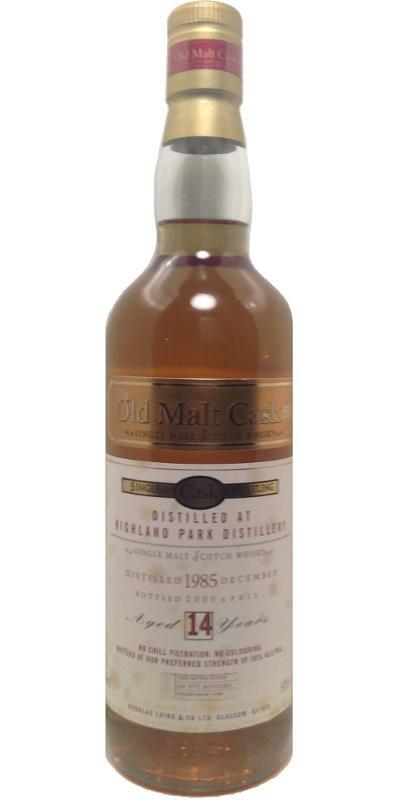 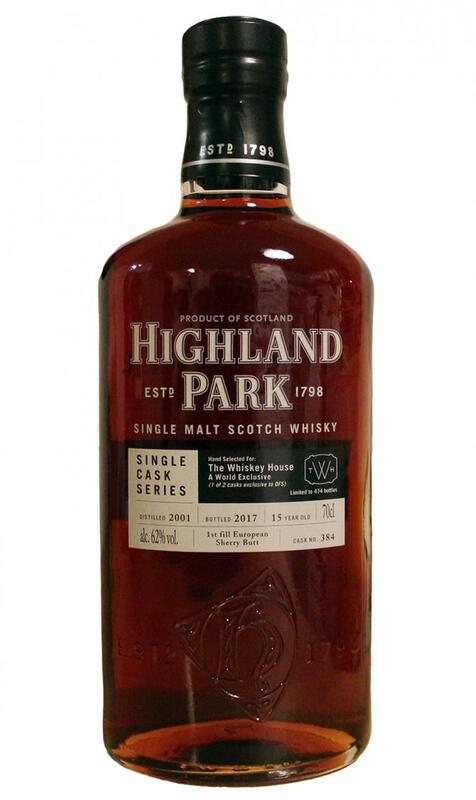 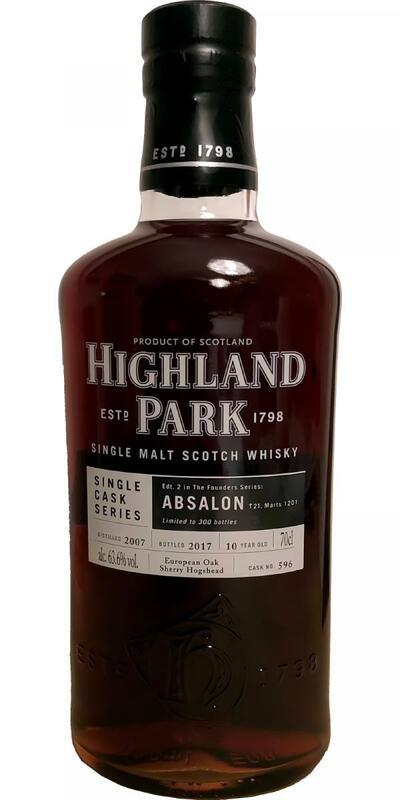 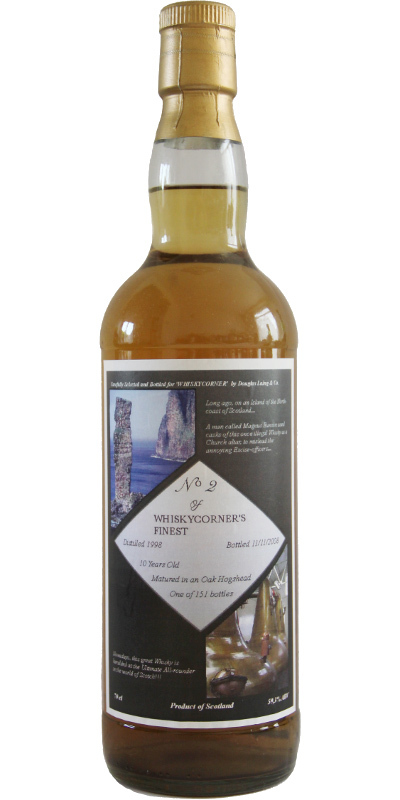 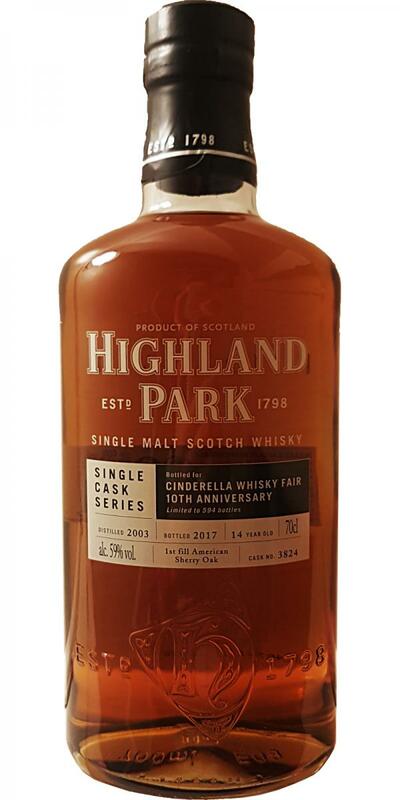 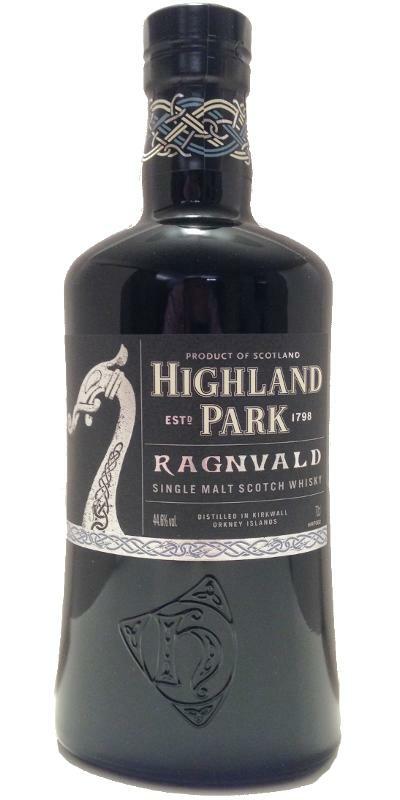 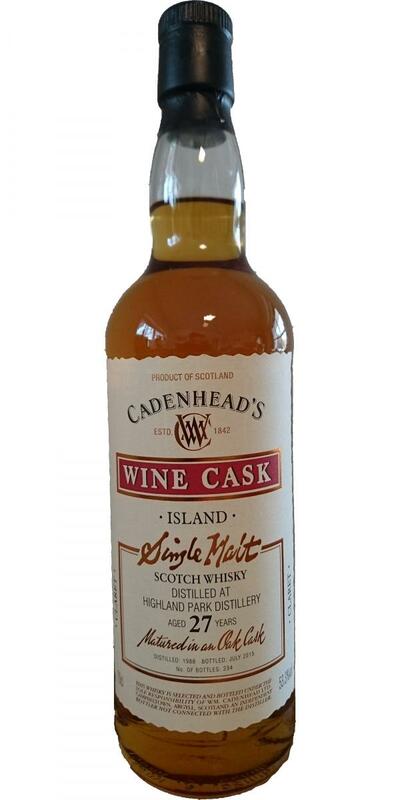 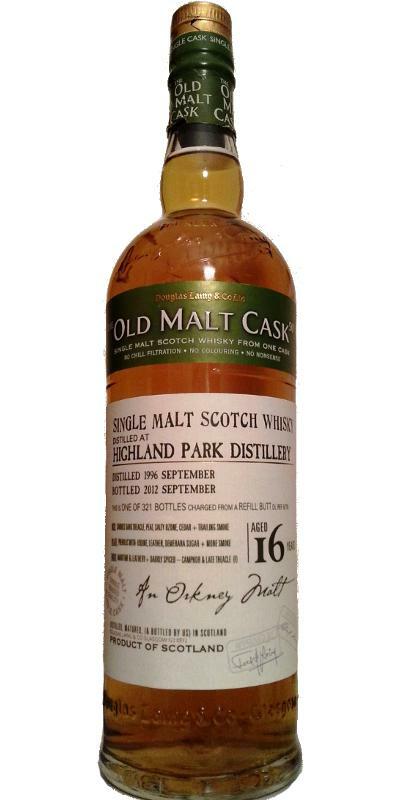 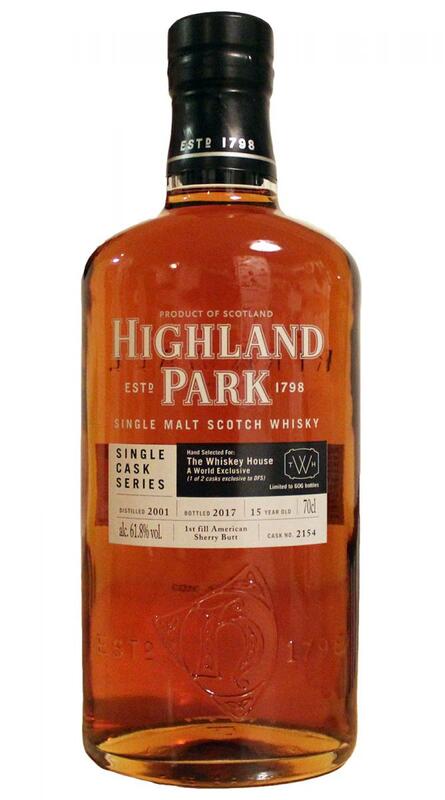 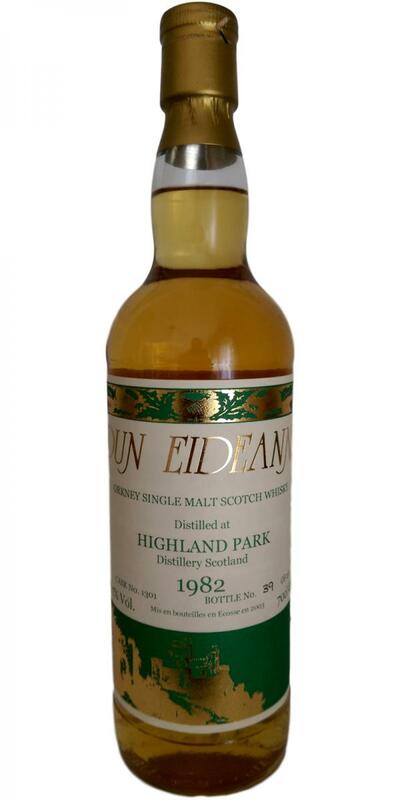 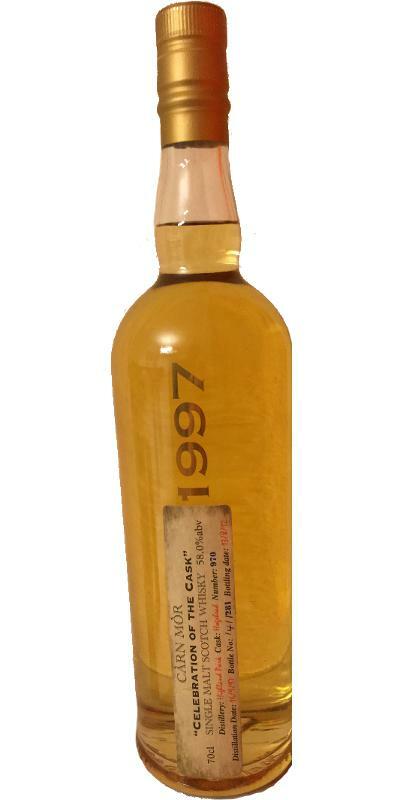 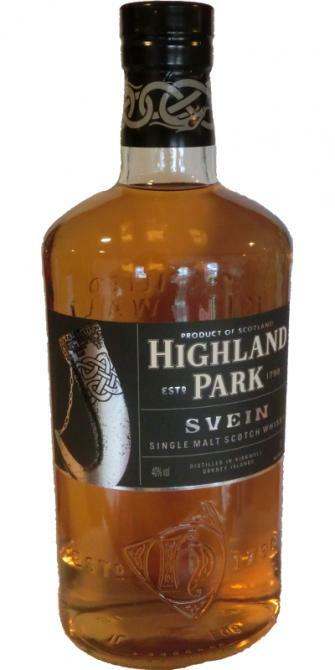 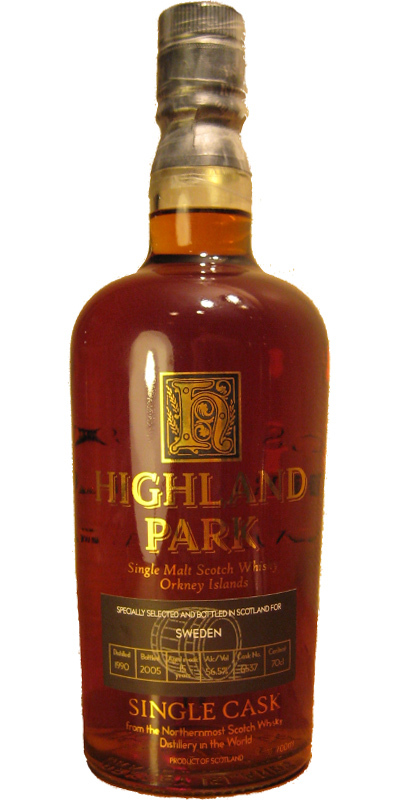 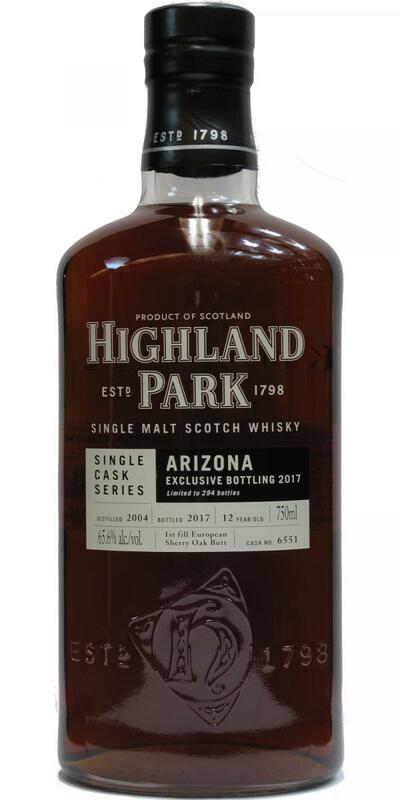 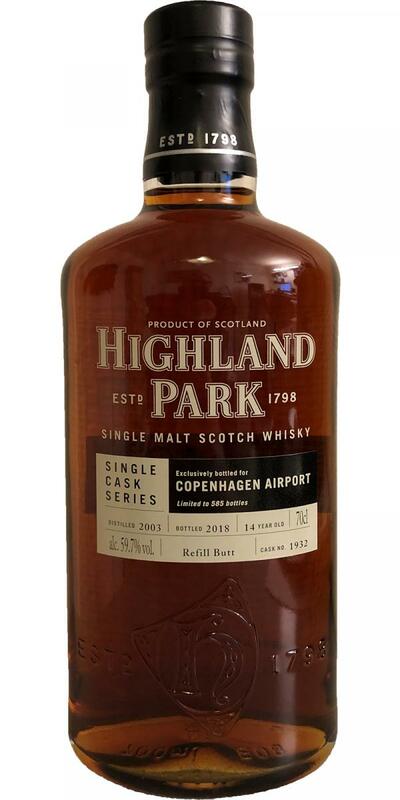 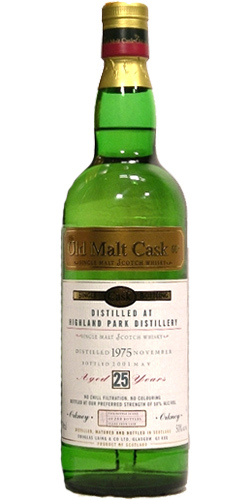 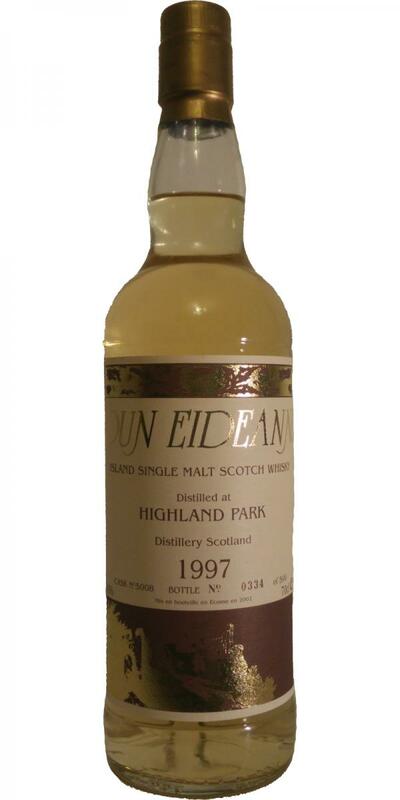 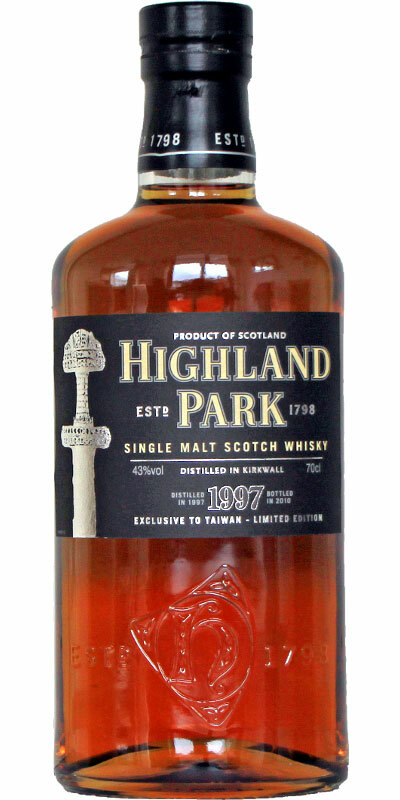 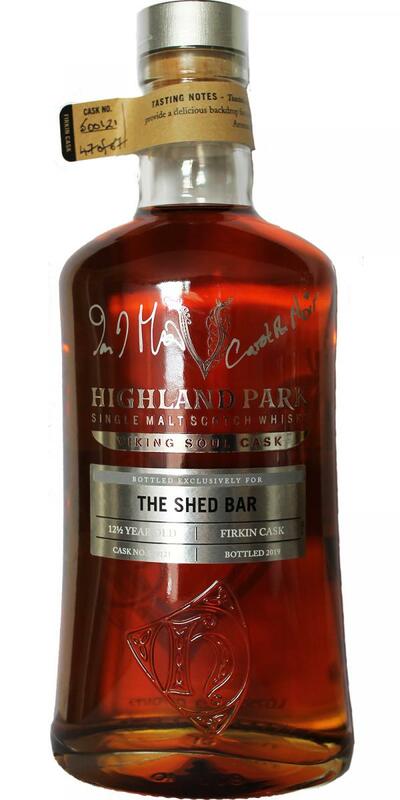 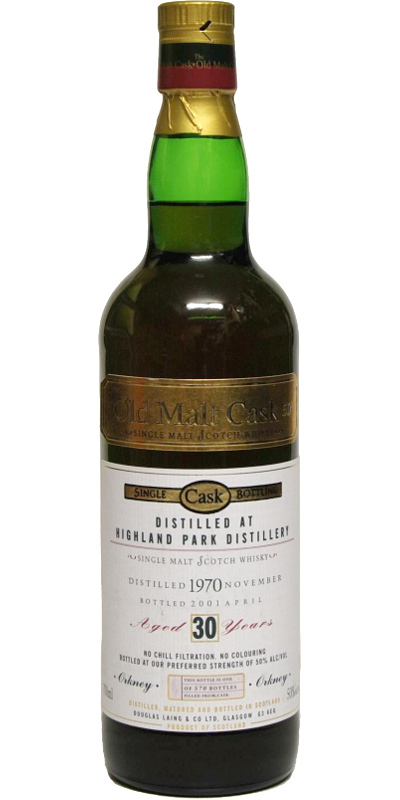 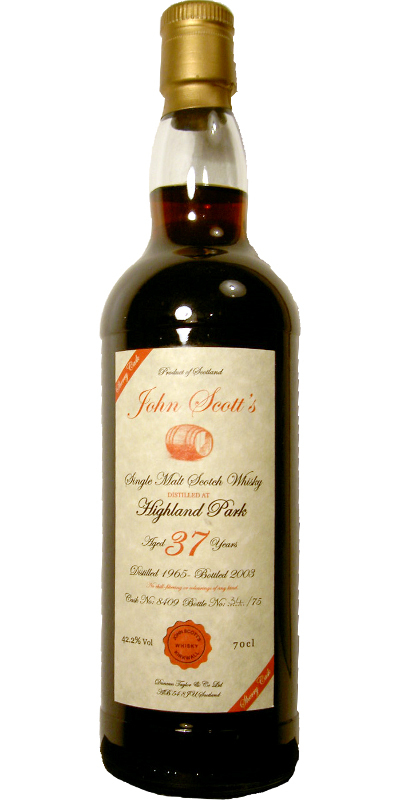 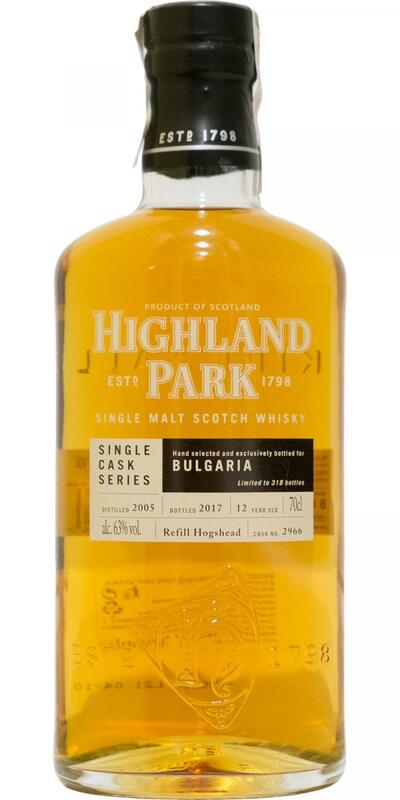 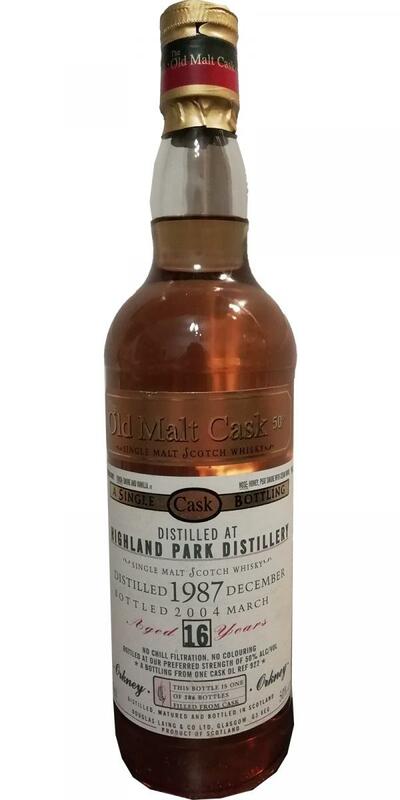 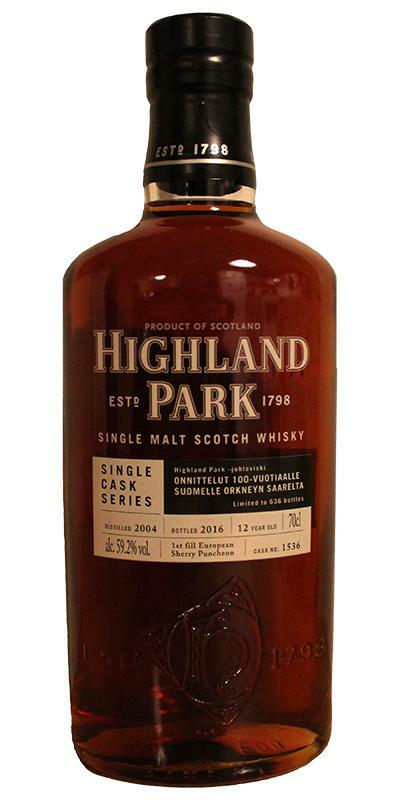 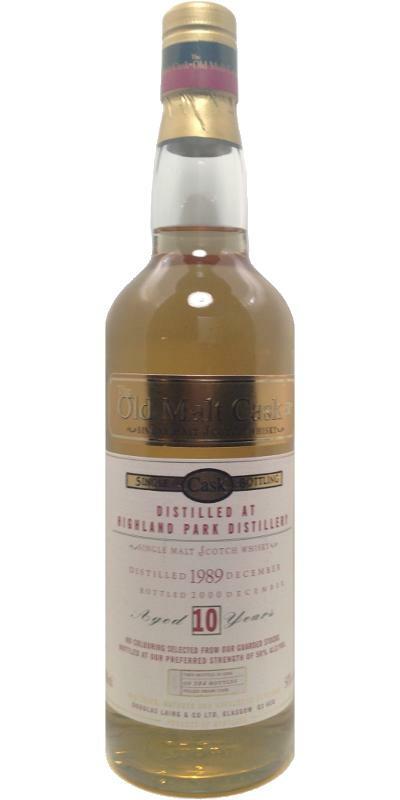 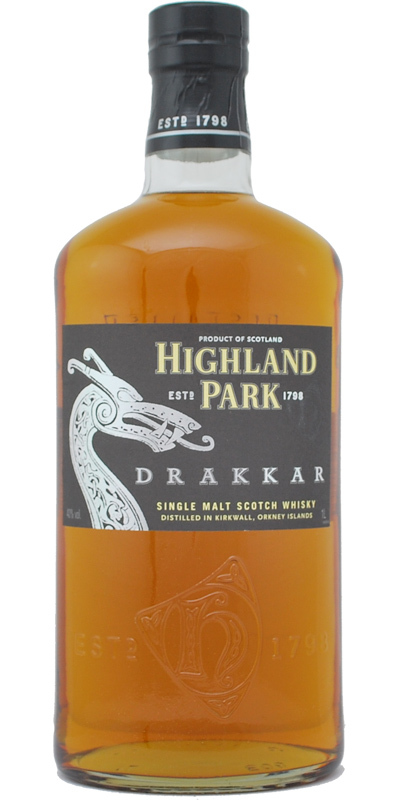 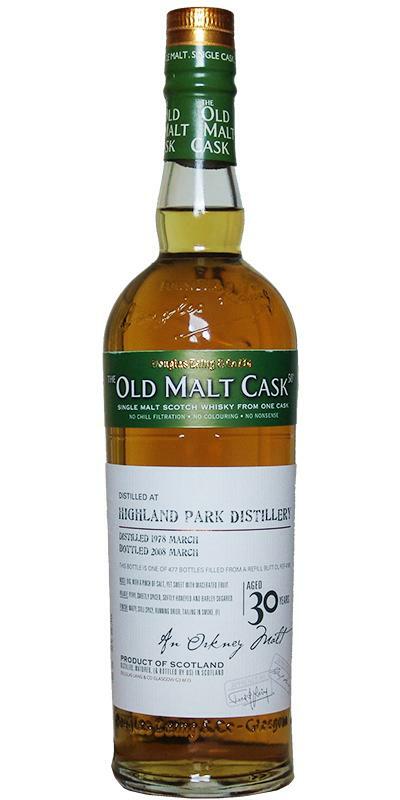 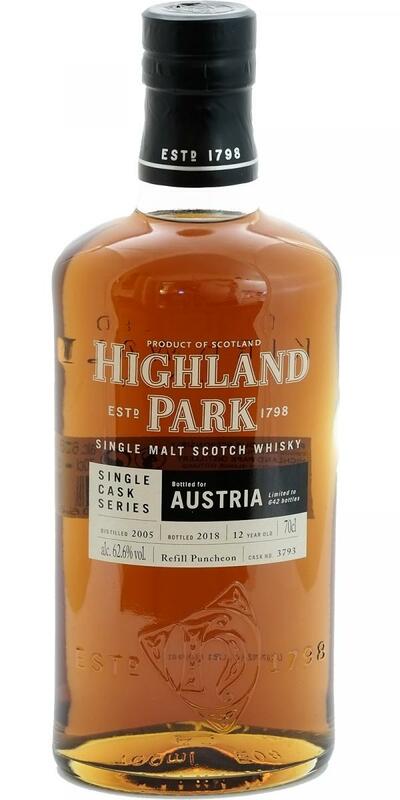 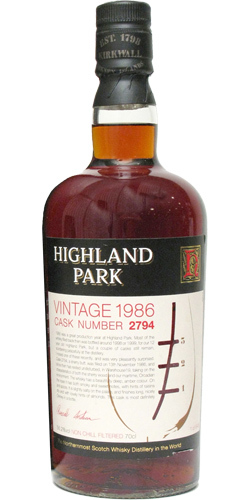 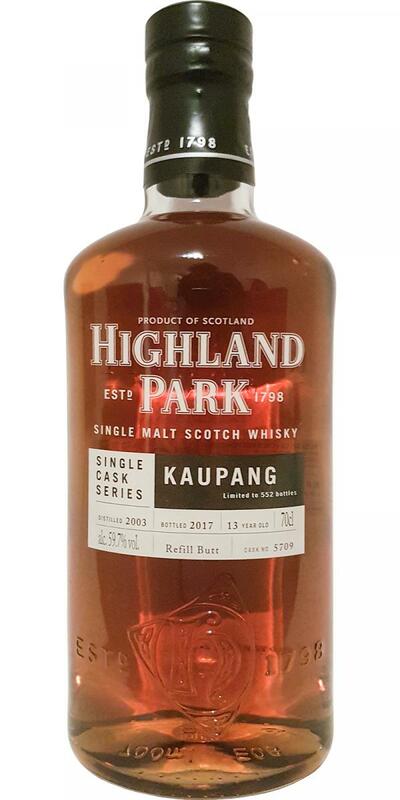 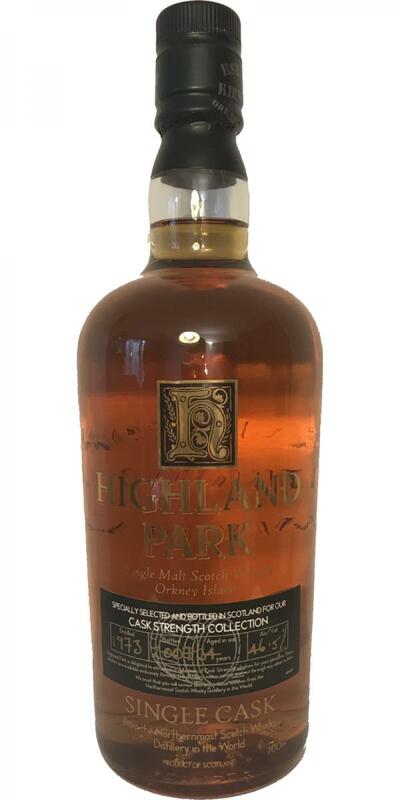 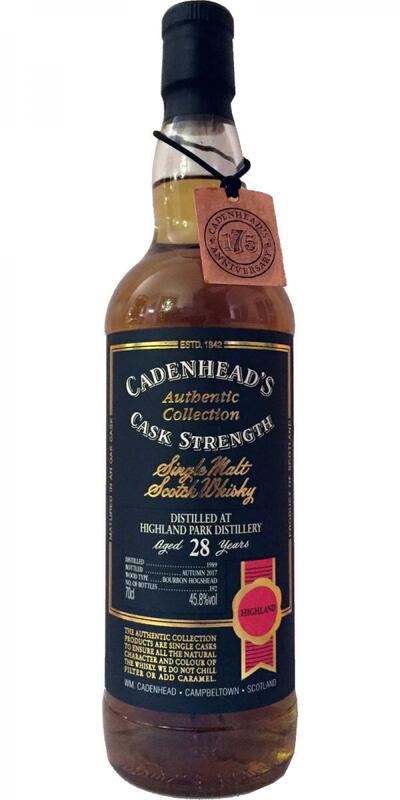 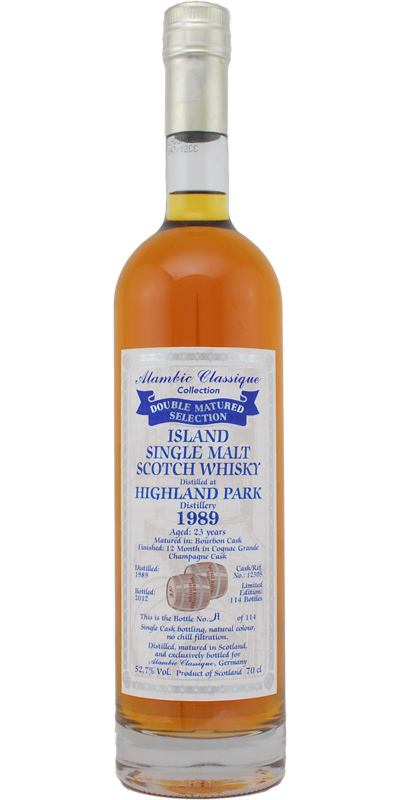 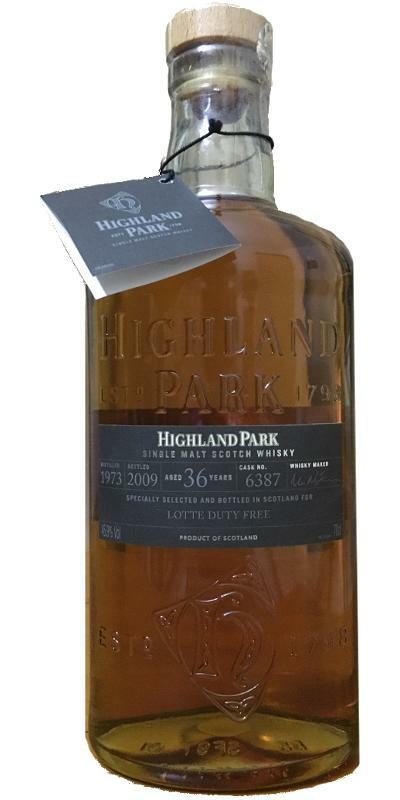 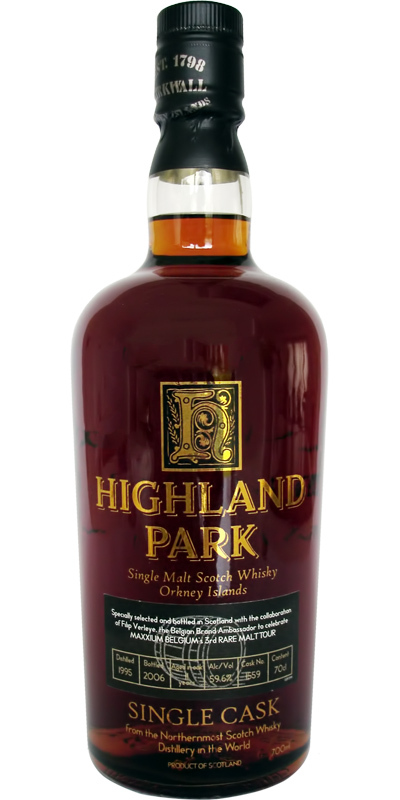 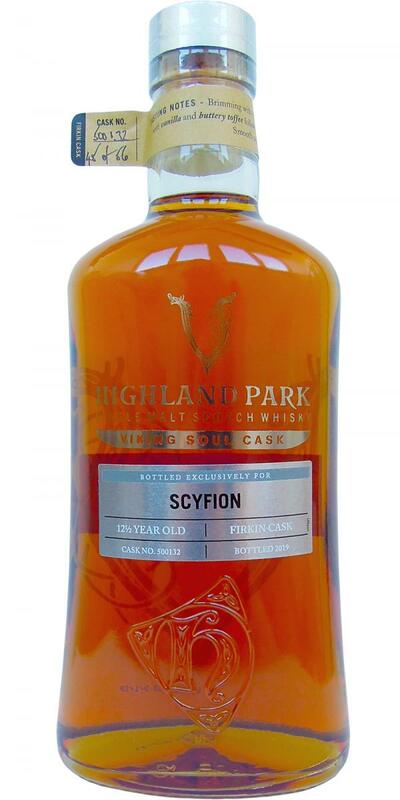 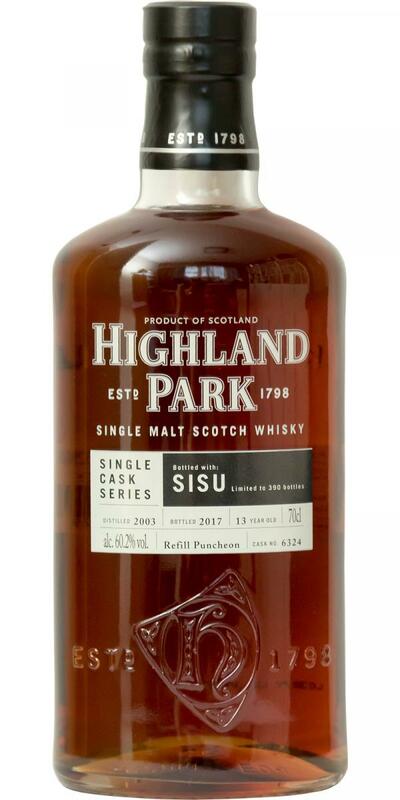 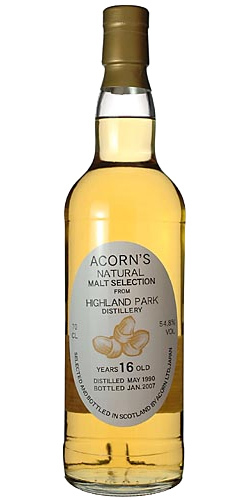 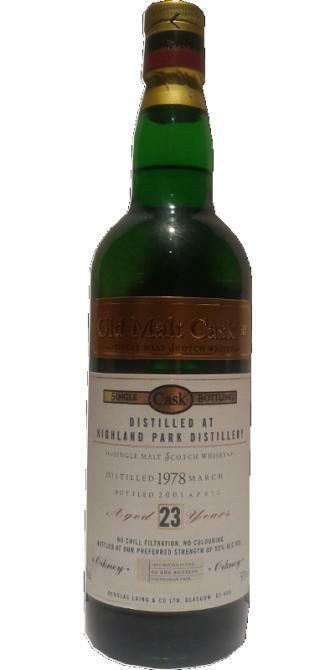 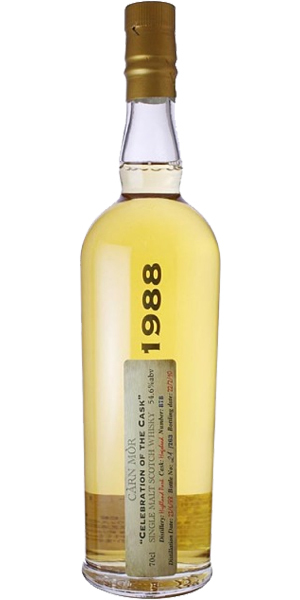 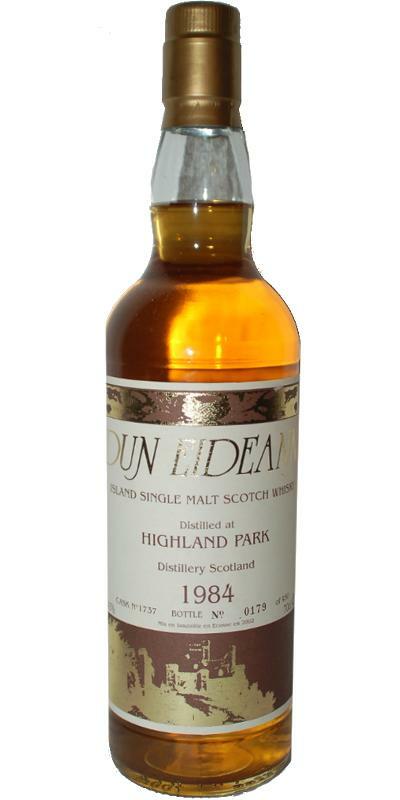 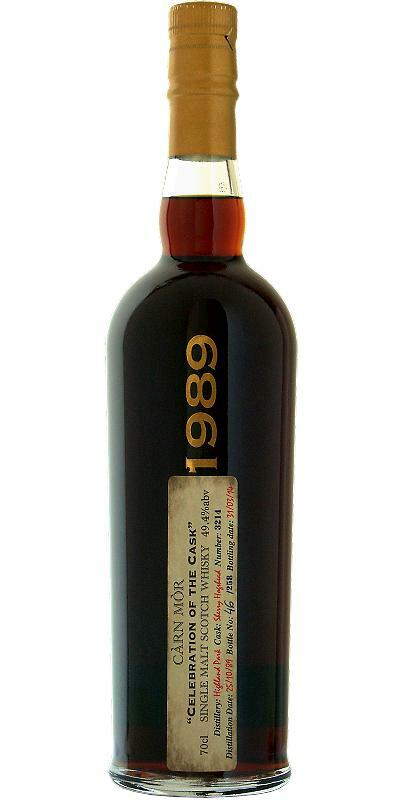 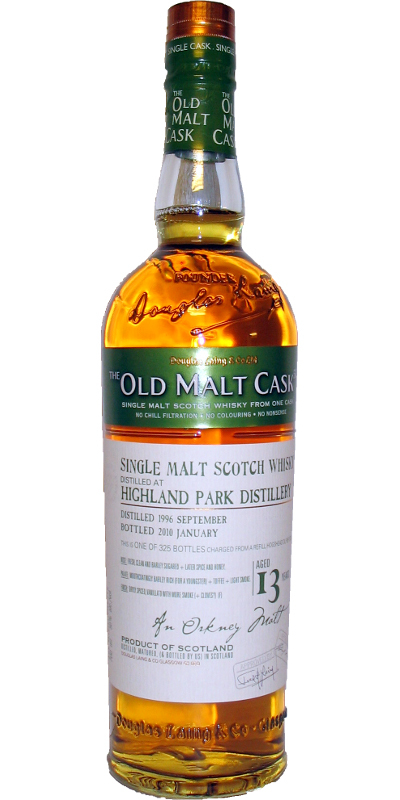 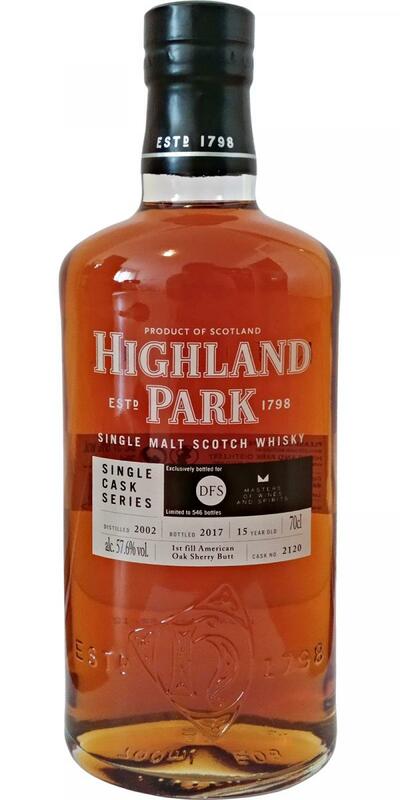 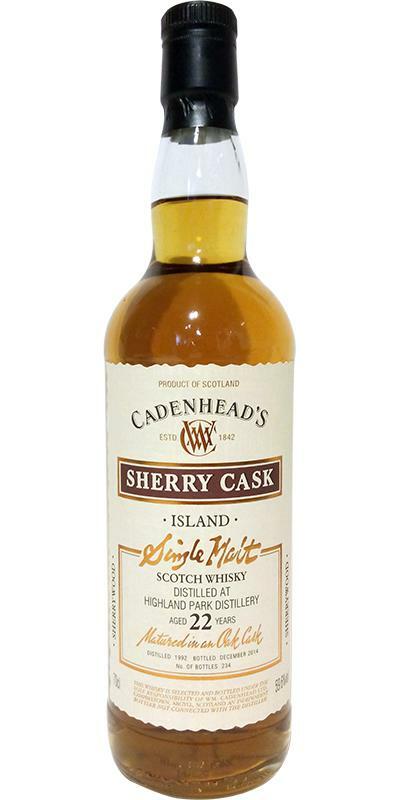 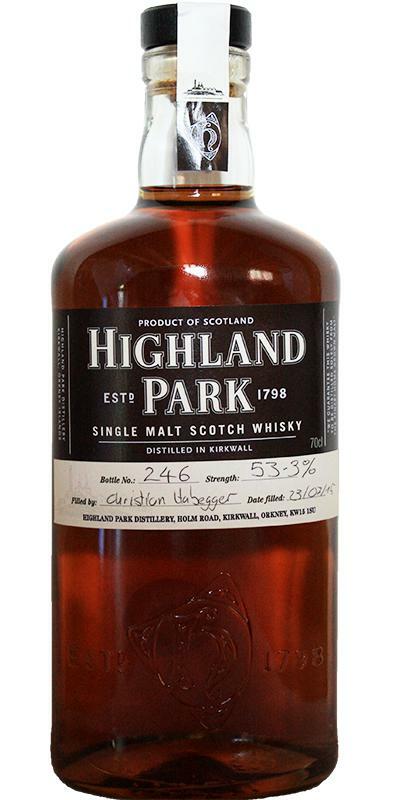 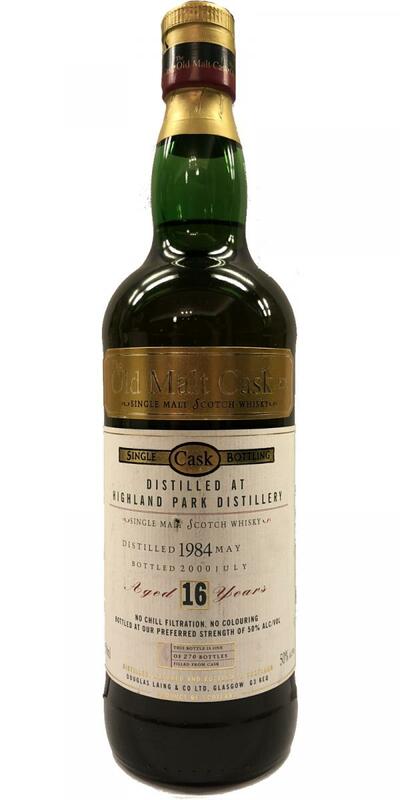 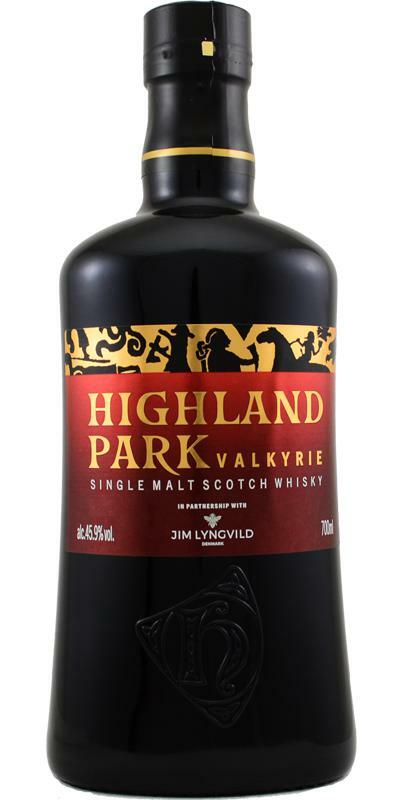 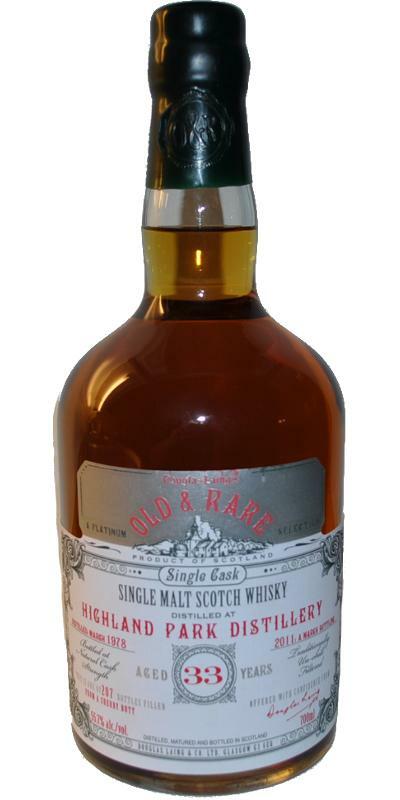 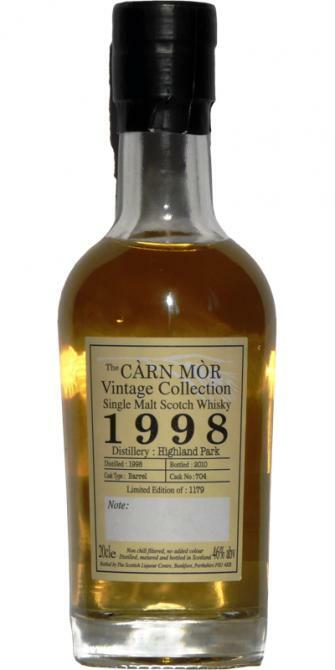 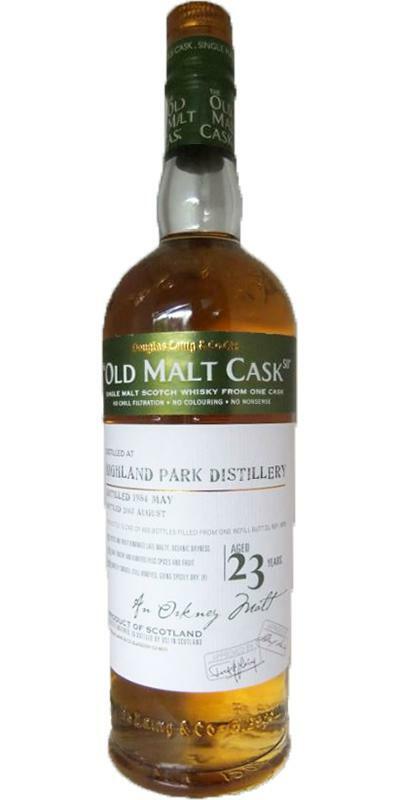 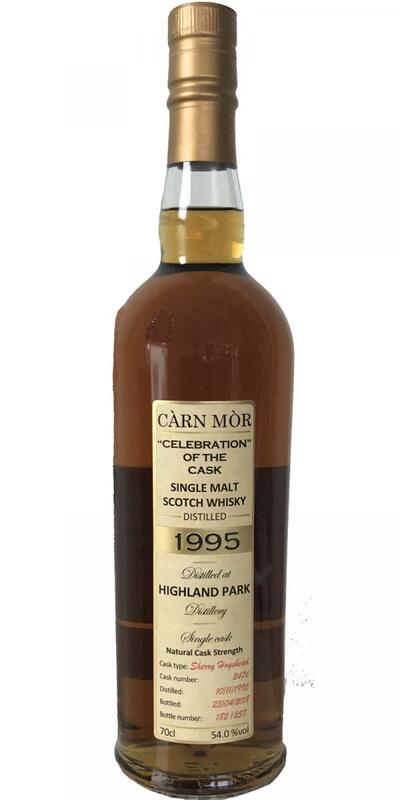 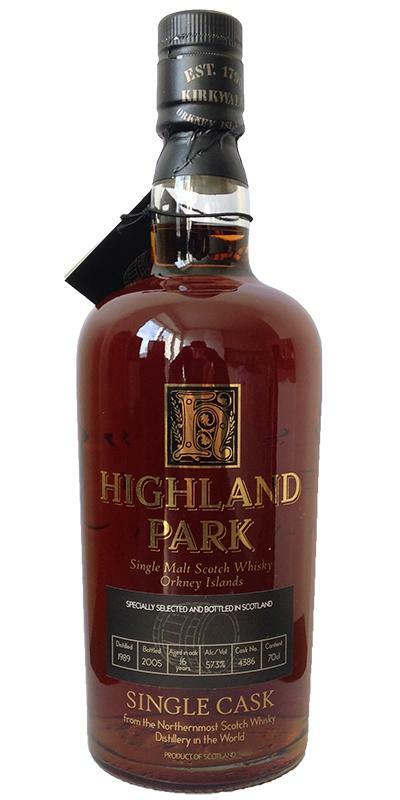 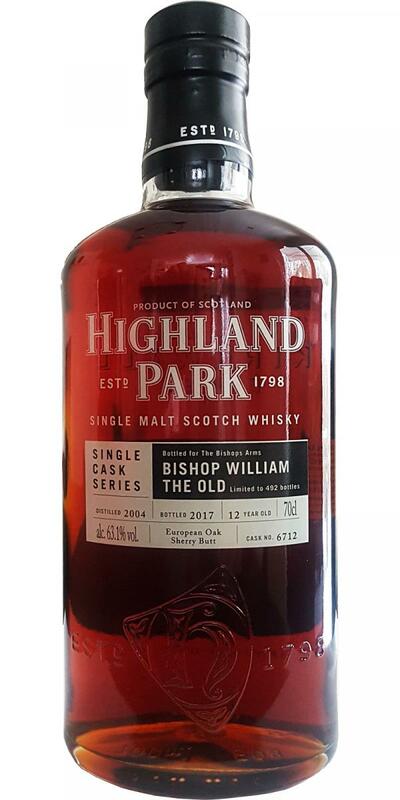 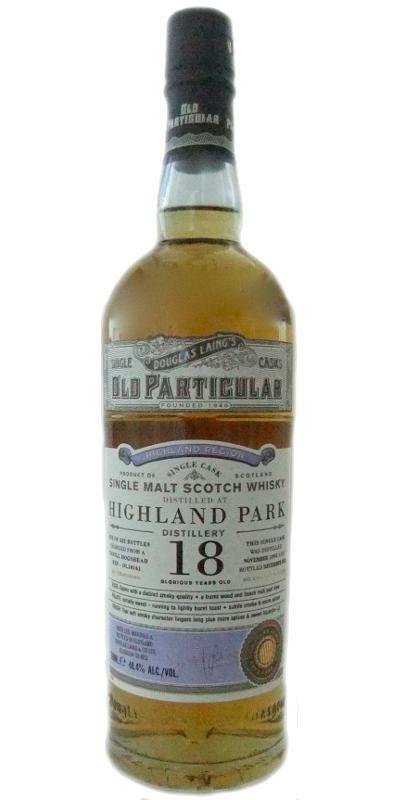 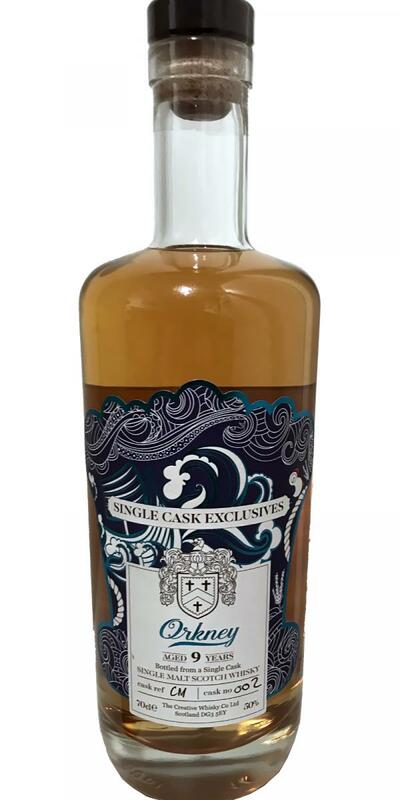 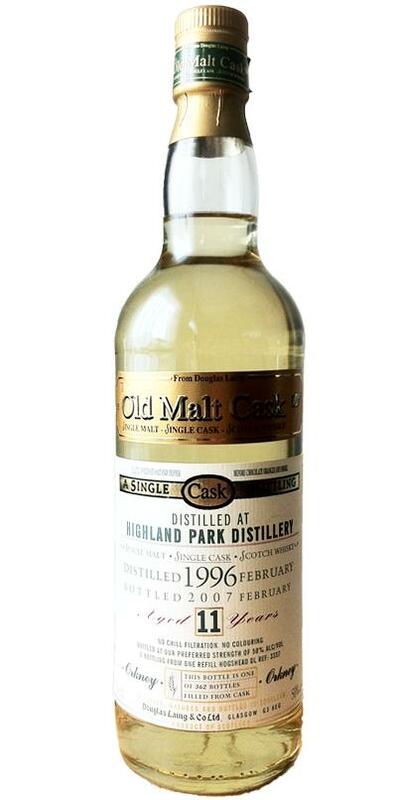 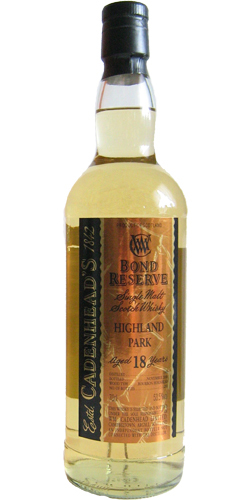 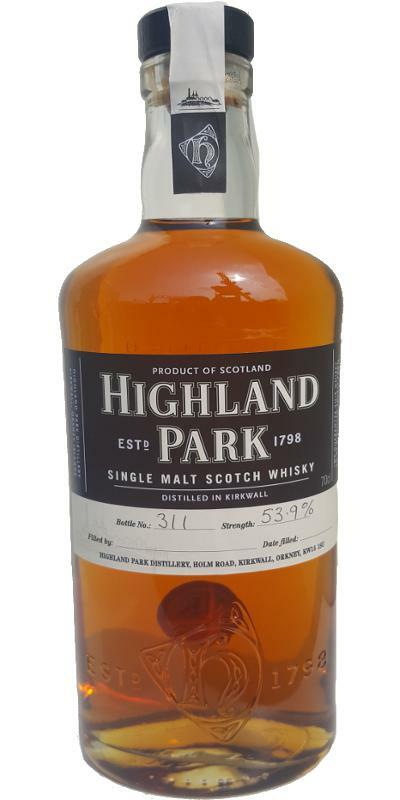 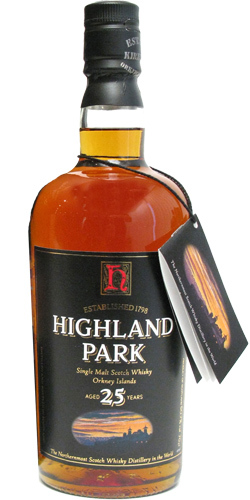 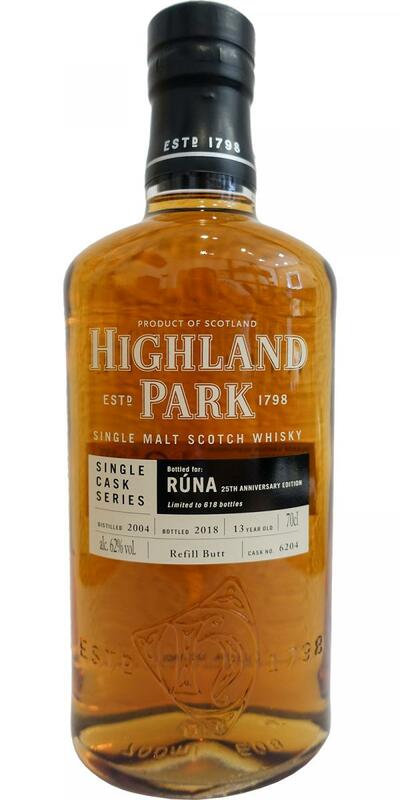 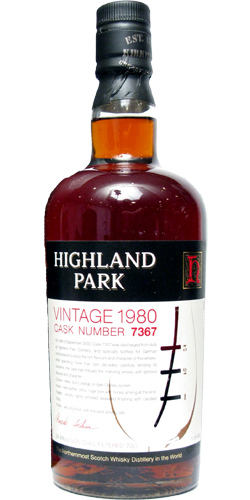 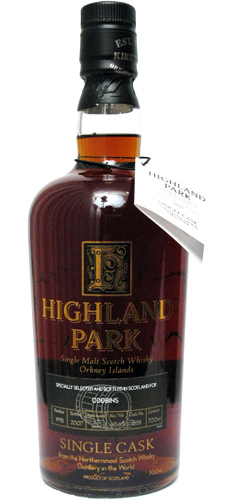 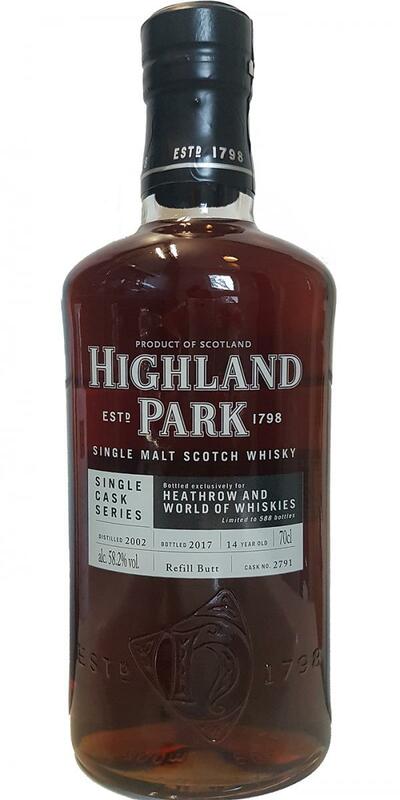 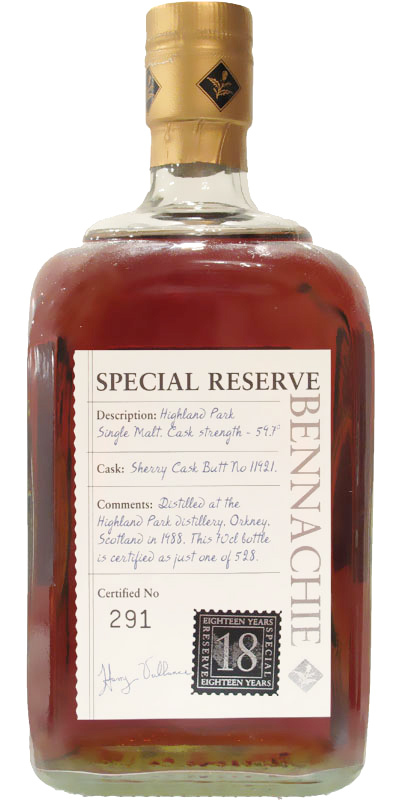 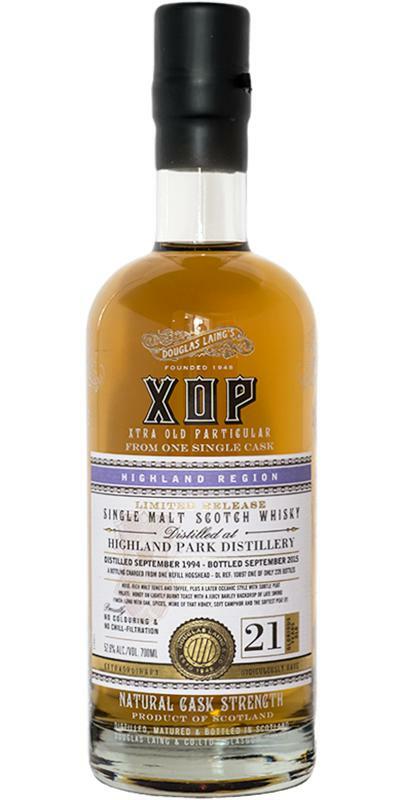 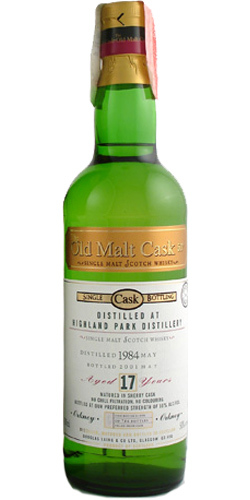 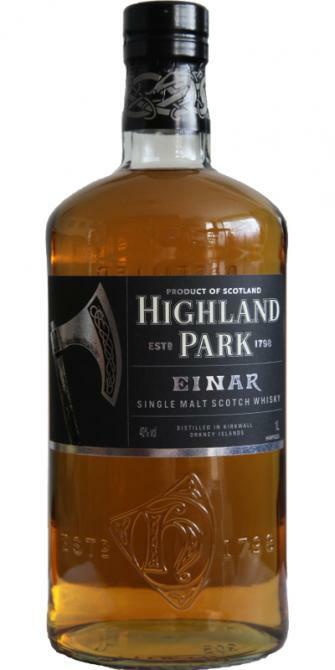 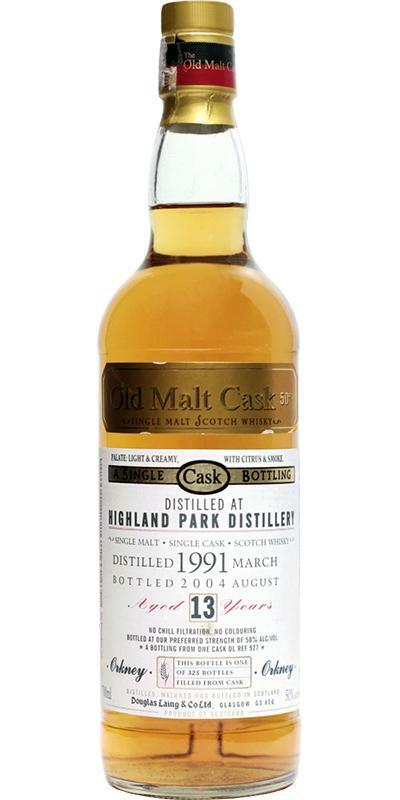 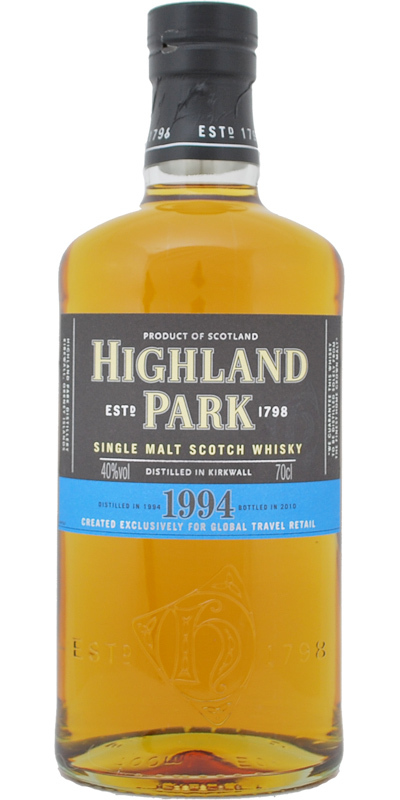 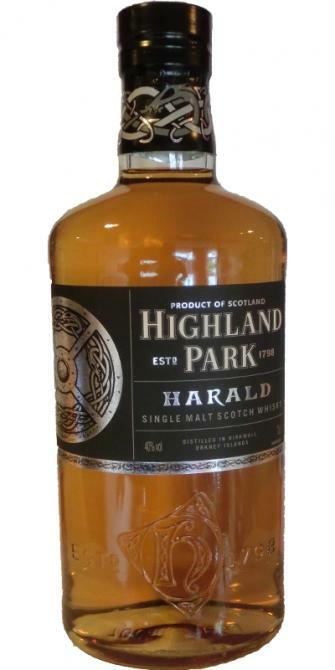 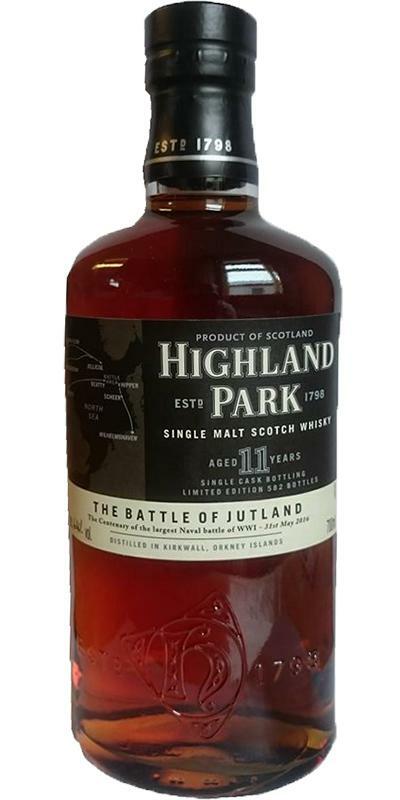 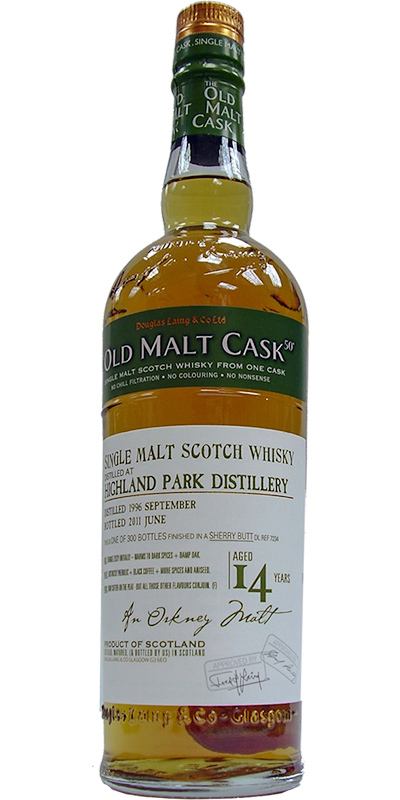 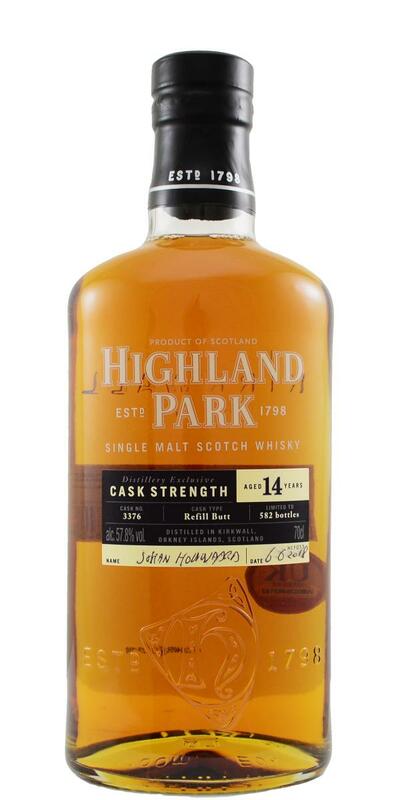 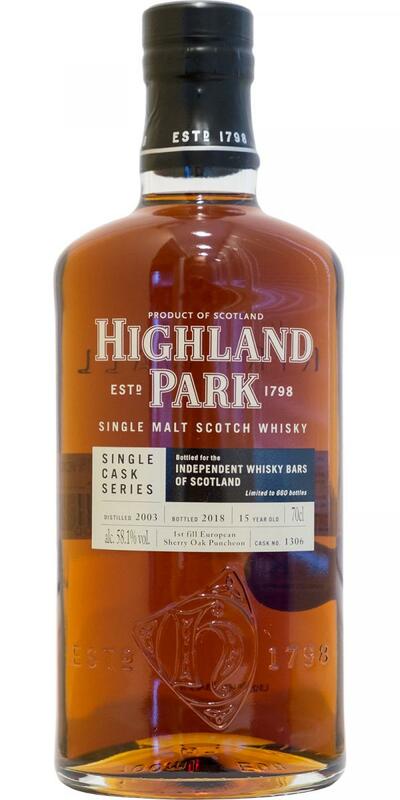 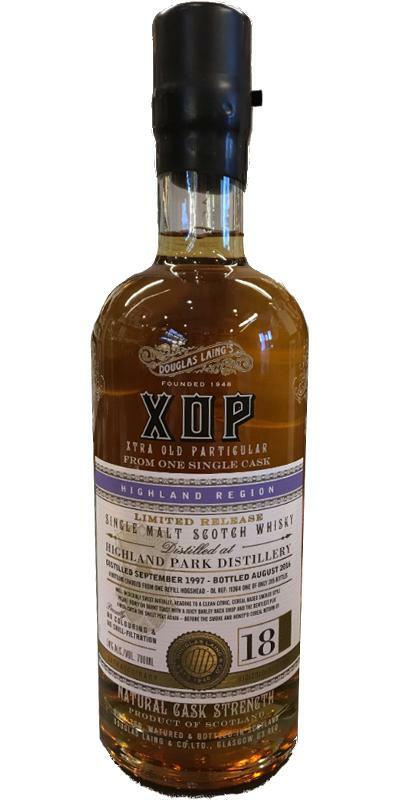 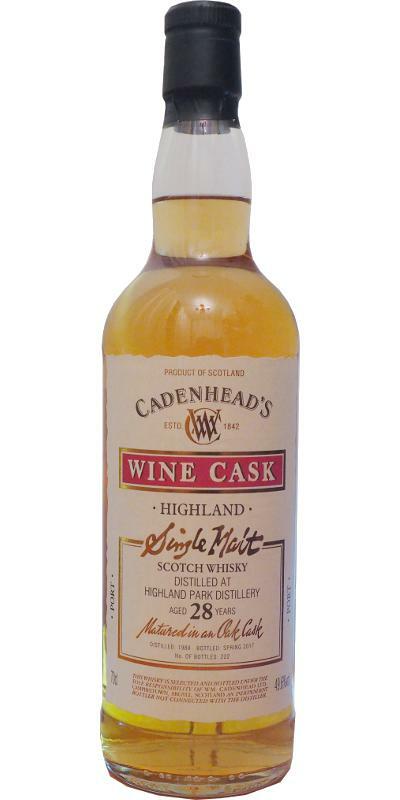 Highland Park 1988 CA Cask Ends 27 52.1 % Vol. 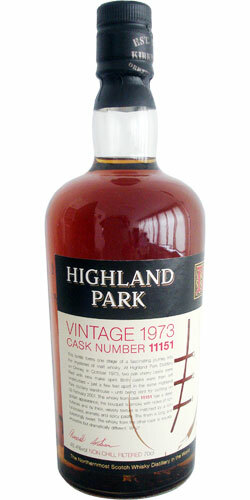 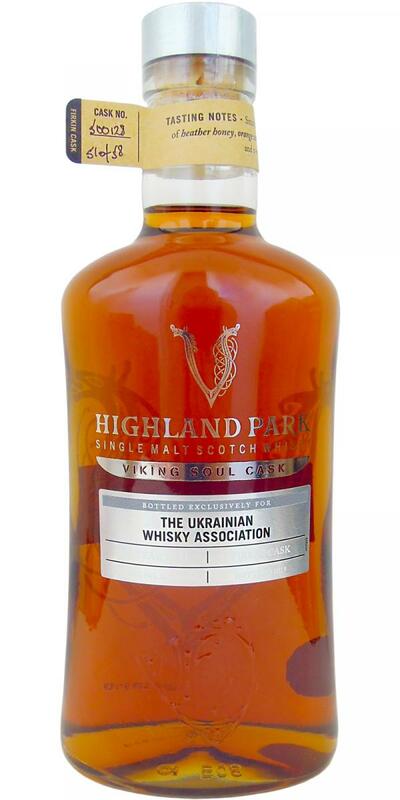 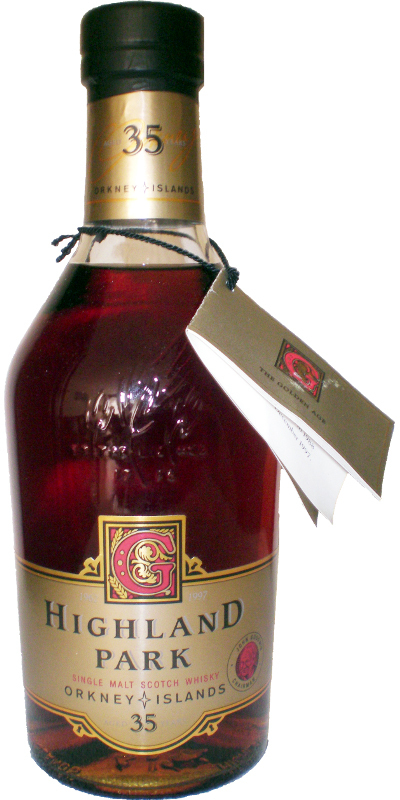 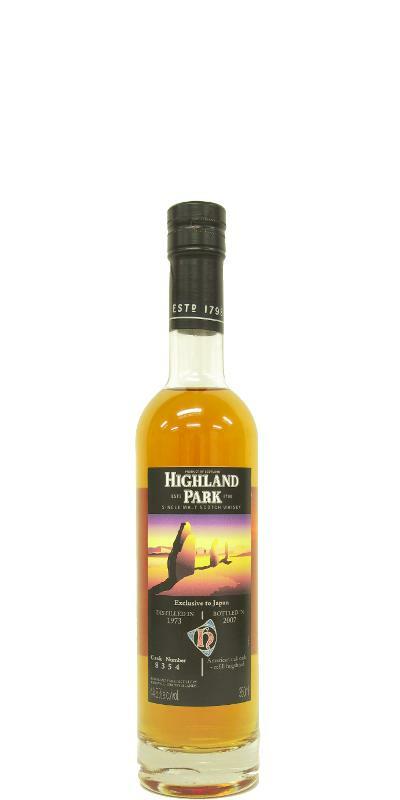 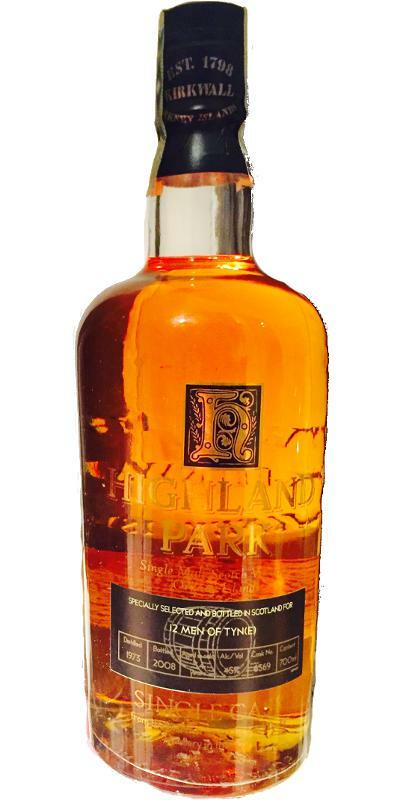 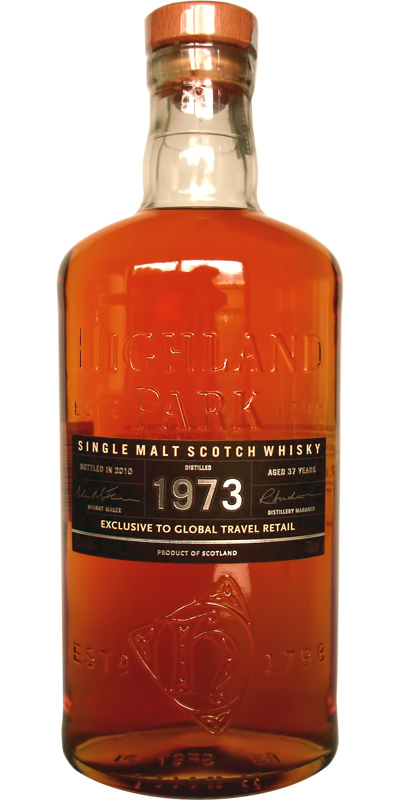 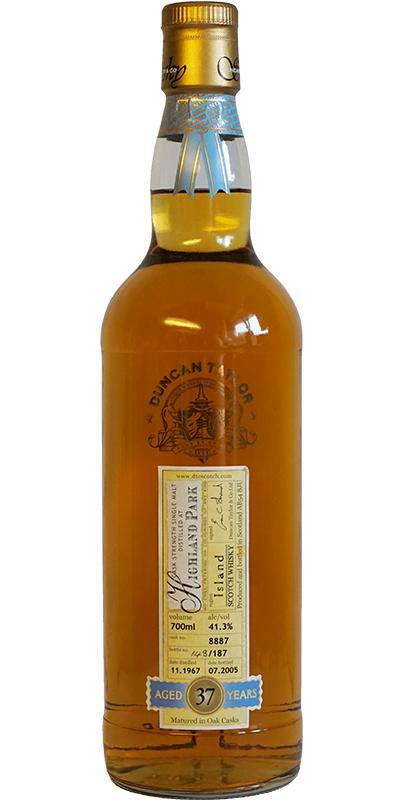 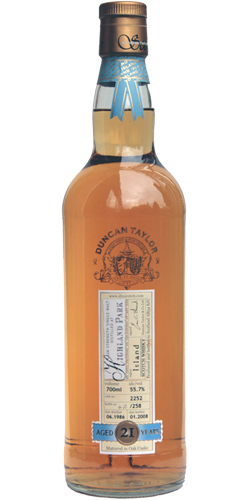 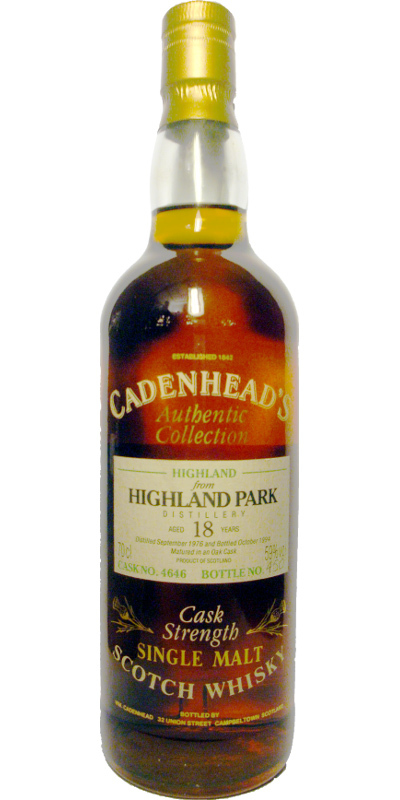 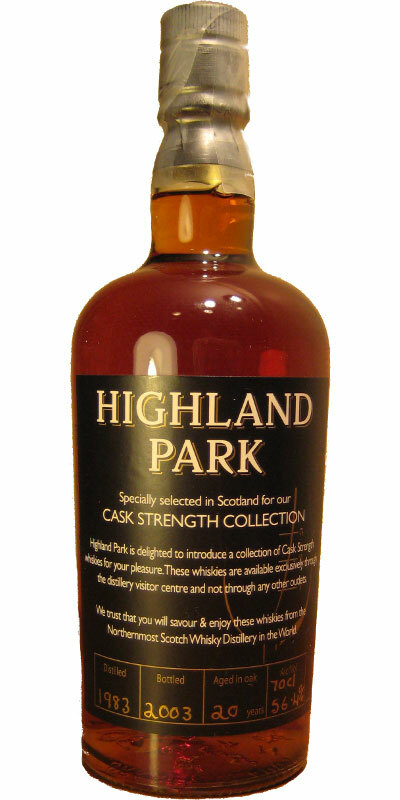 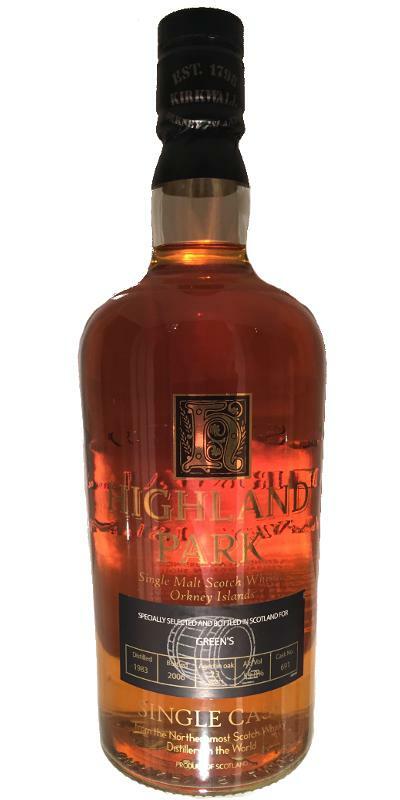 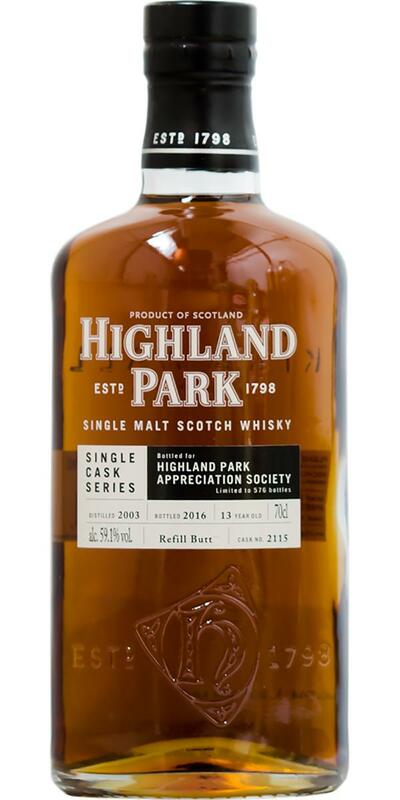 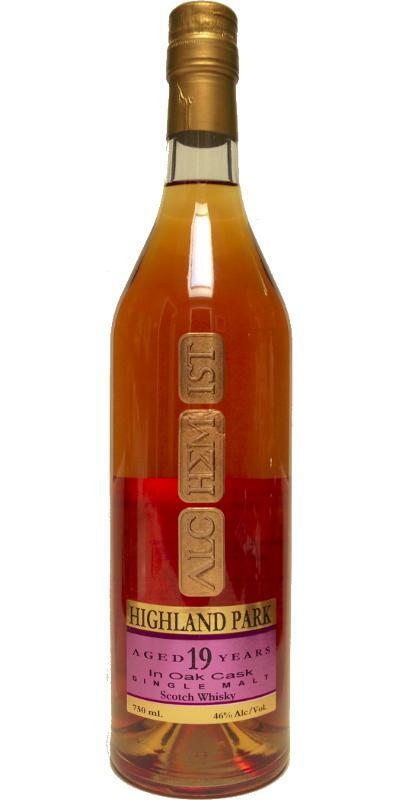 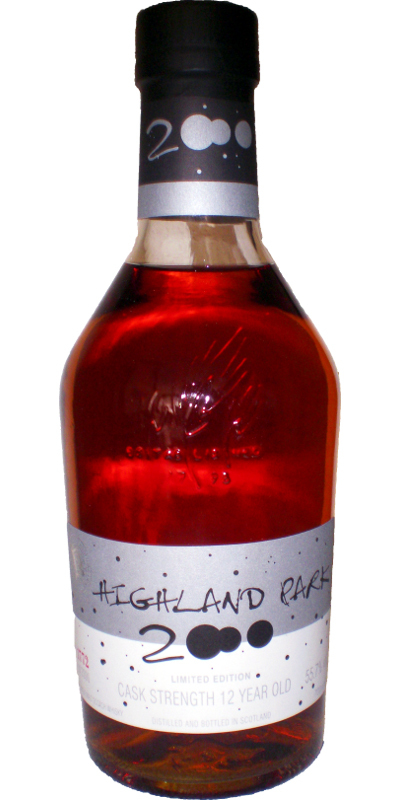 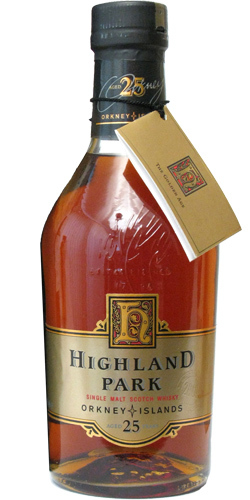 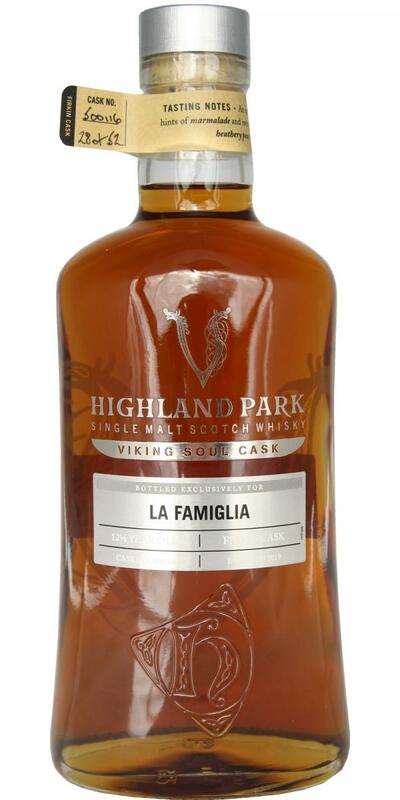 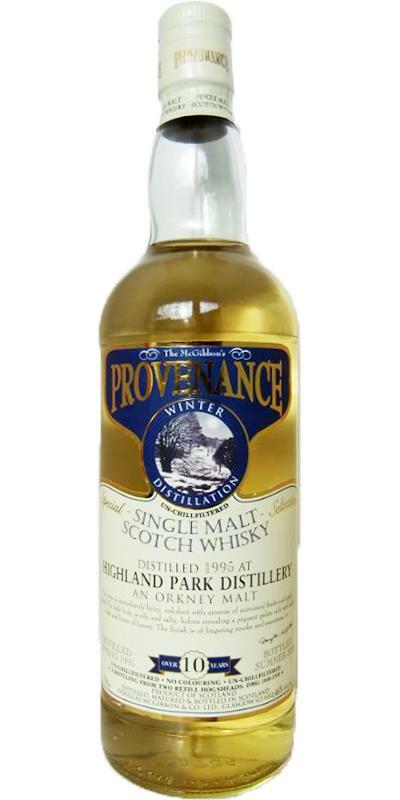 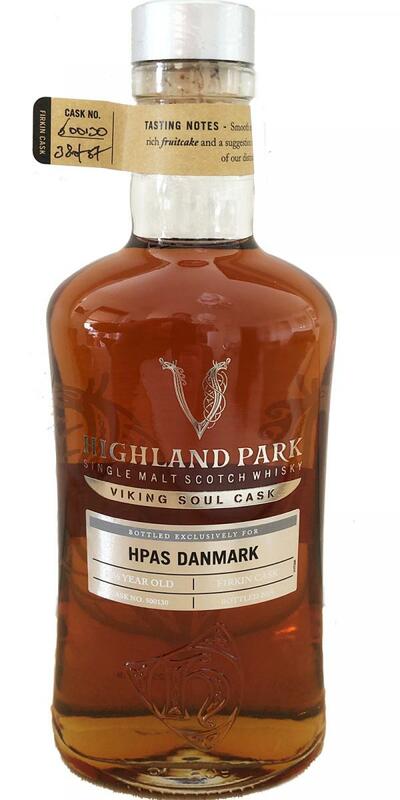 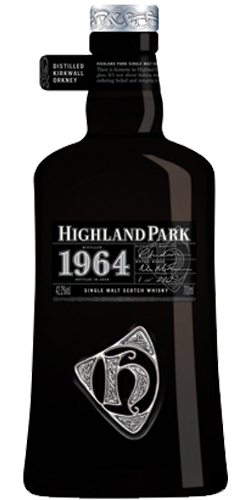 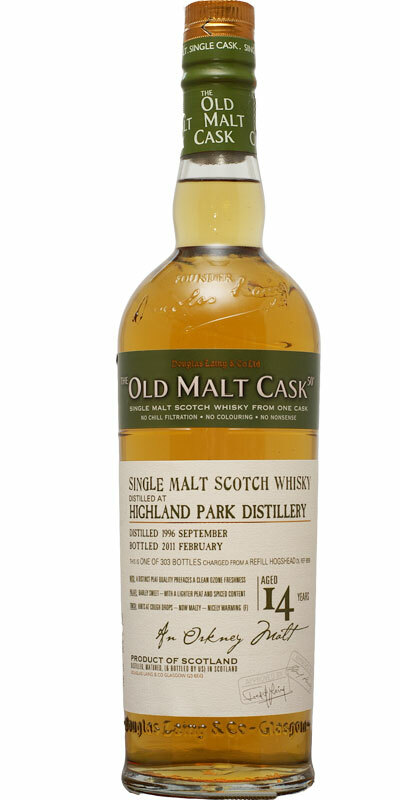 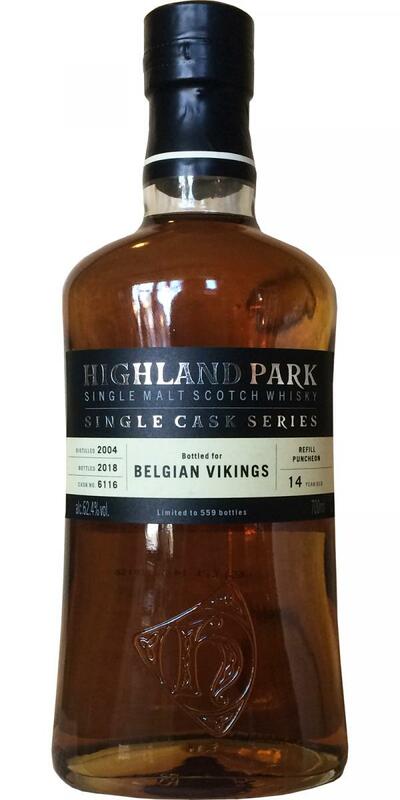 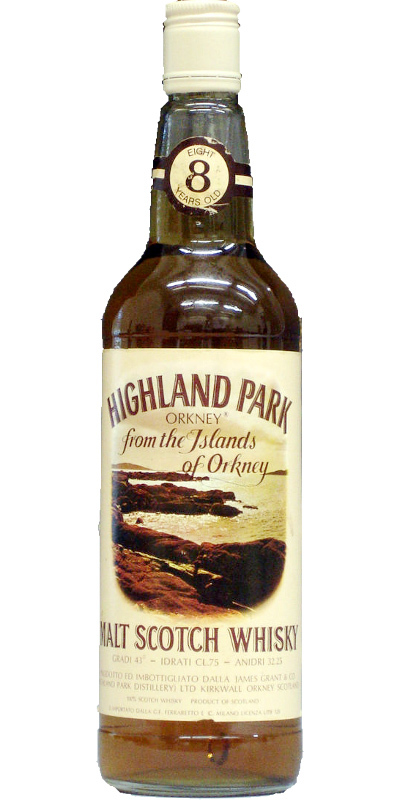 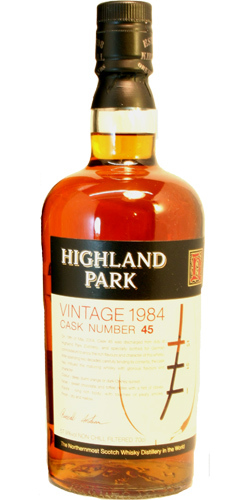 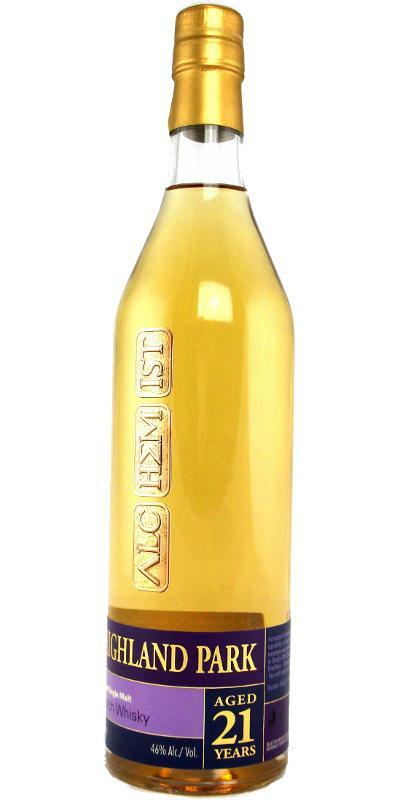 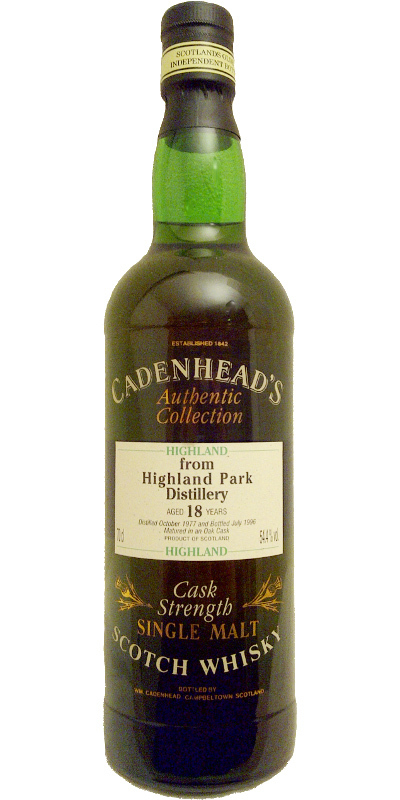 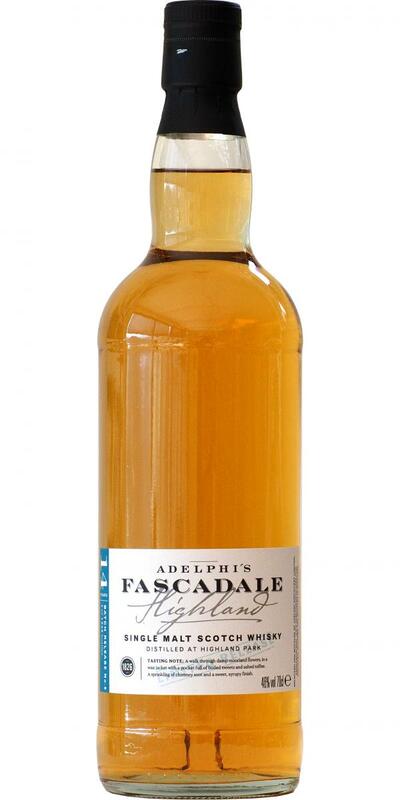 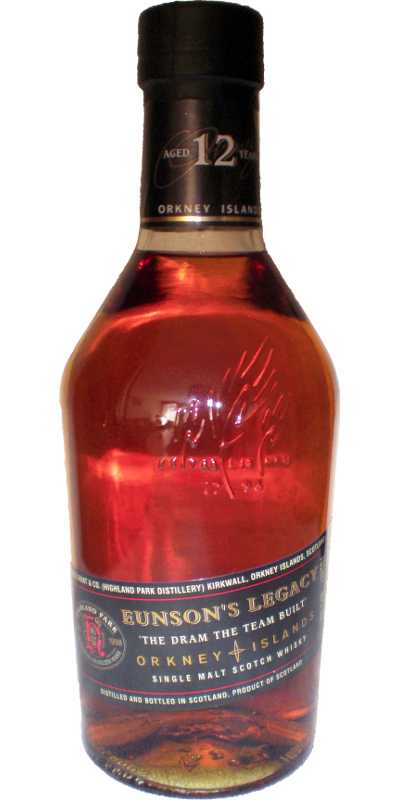 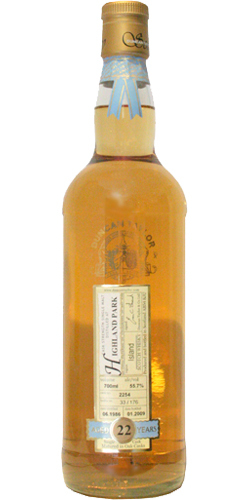 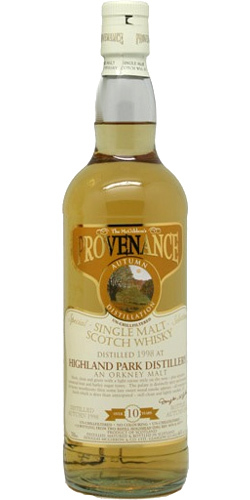 Highland Park 1989 CA Authentic Collection 14 54.6 % Vol. 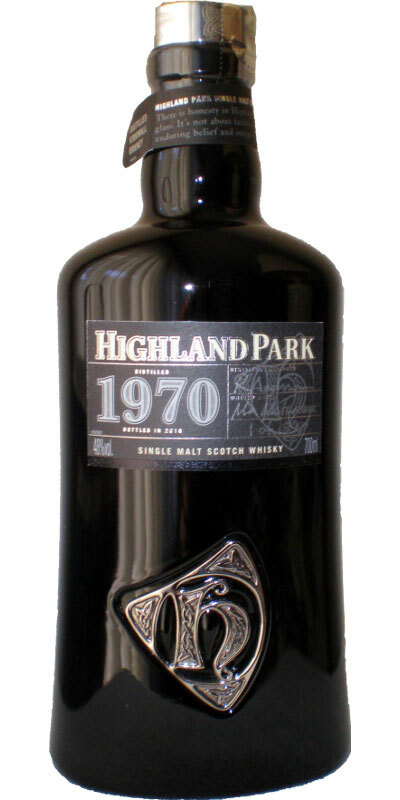 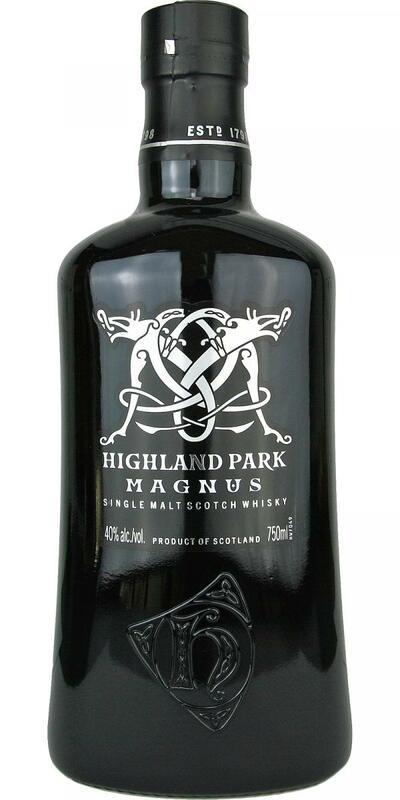 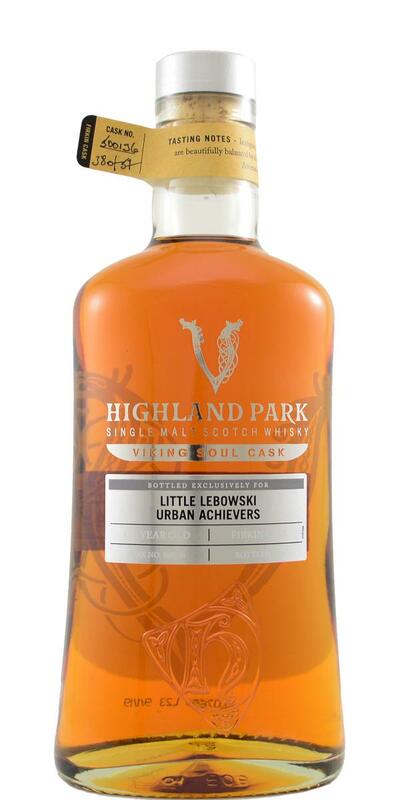 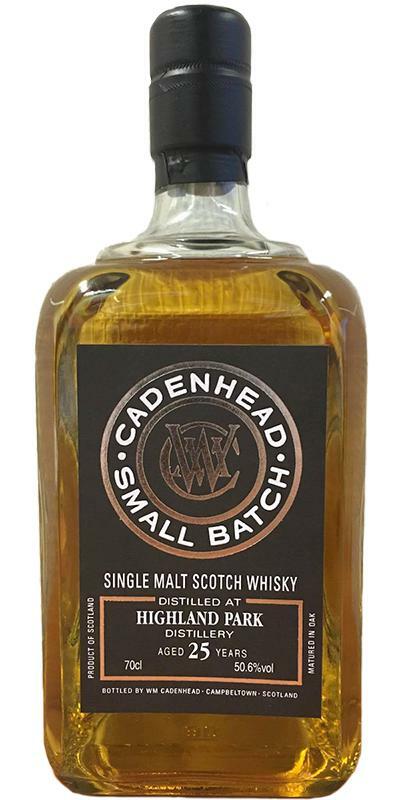 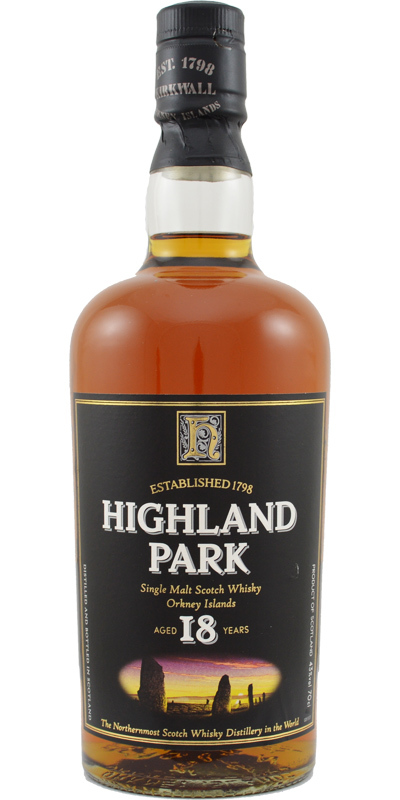 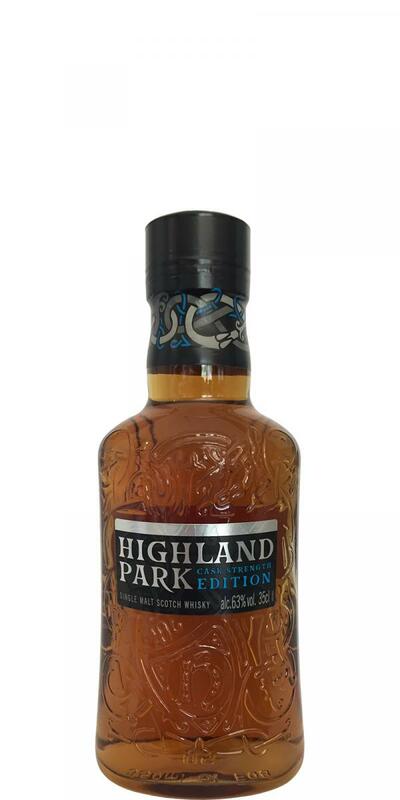 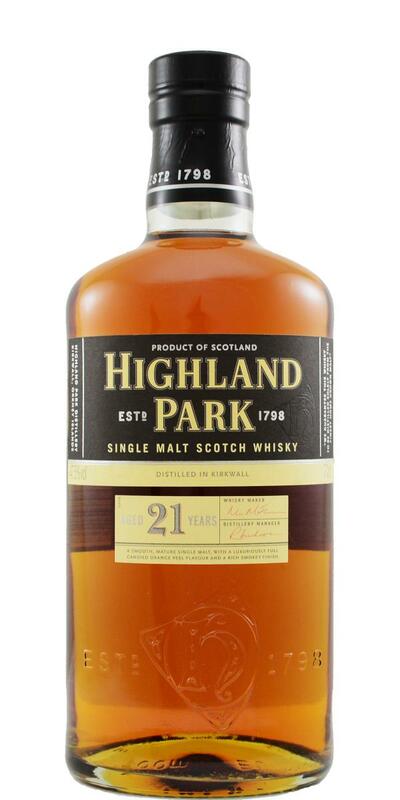 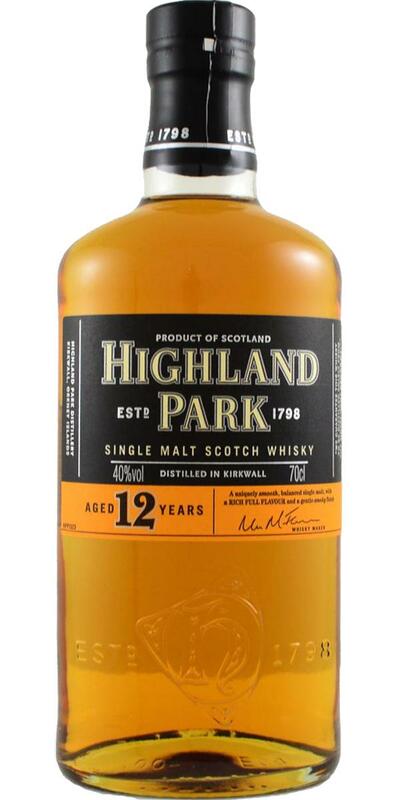 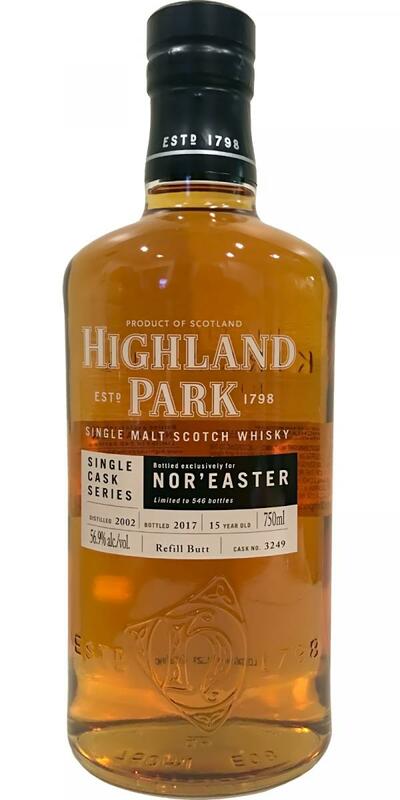 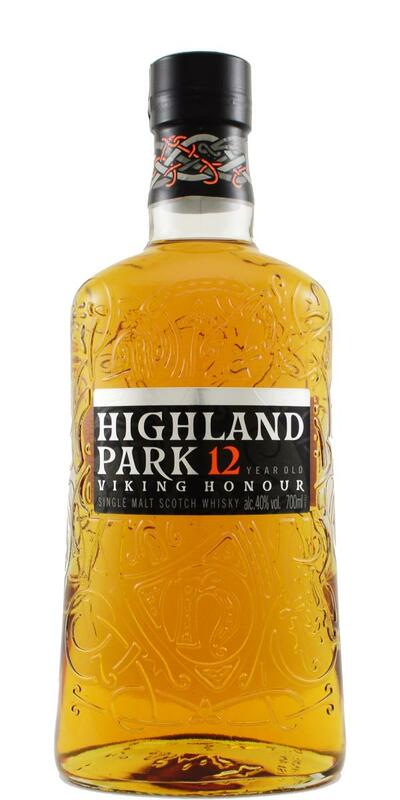 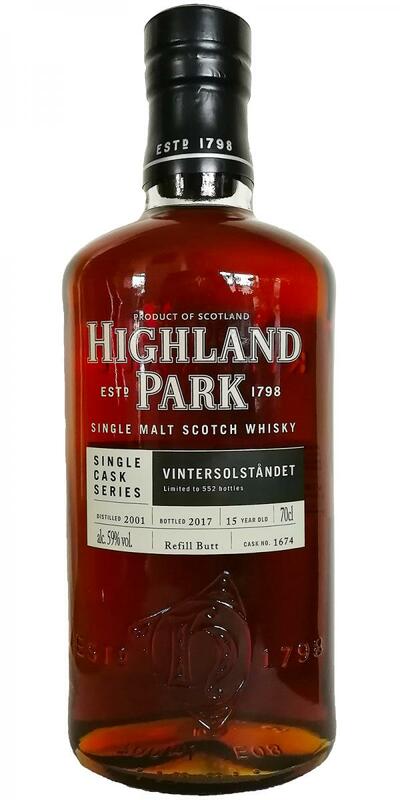 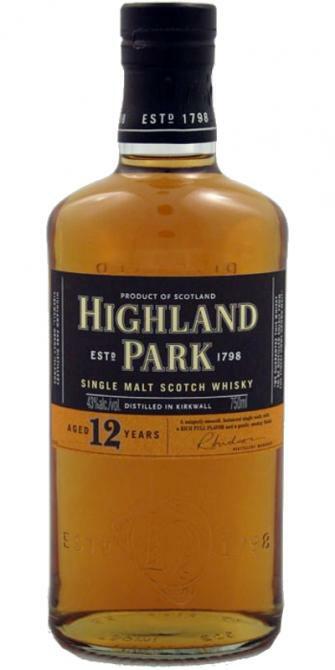 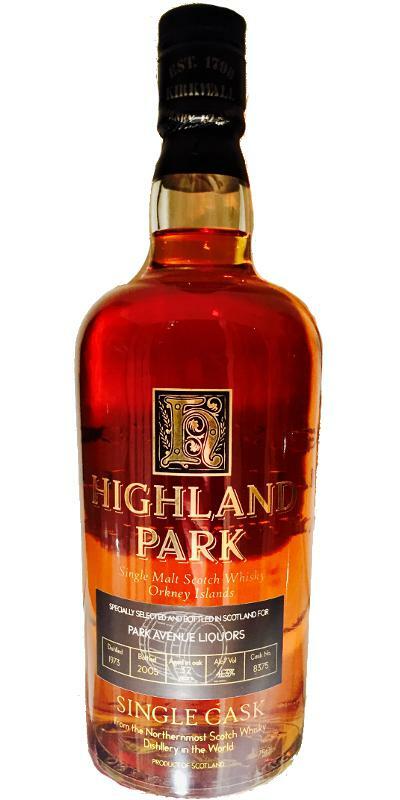 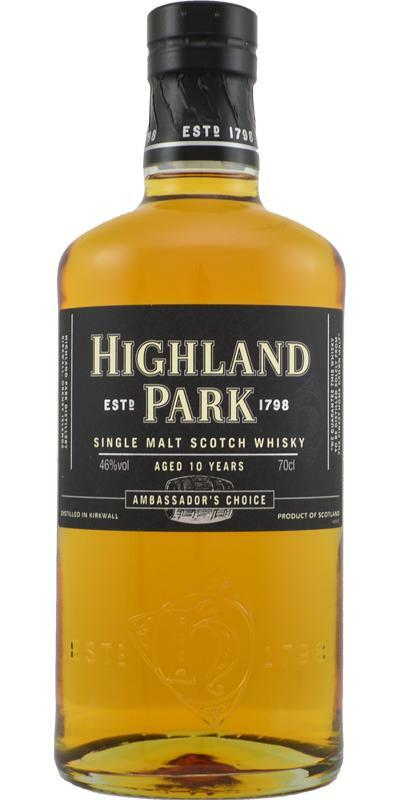 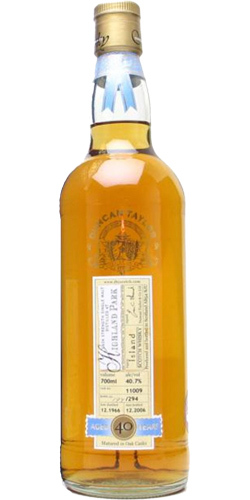 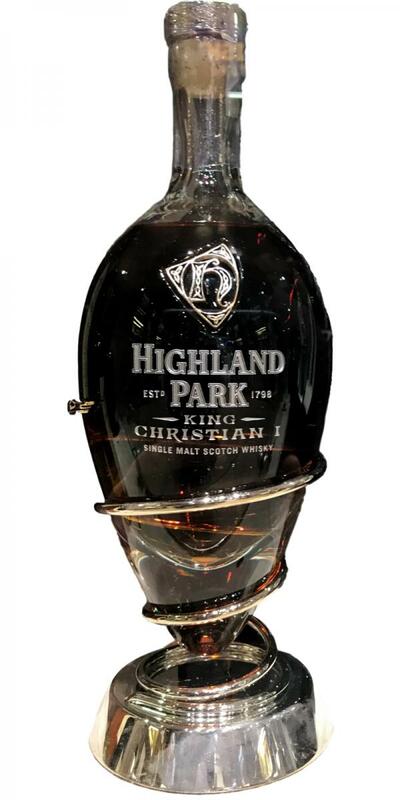 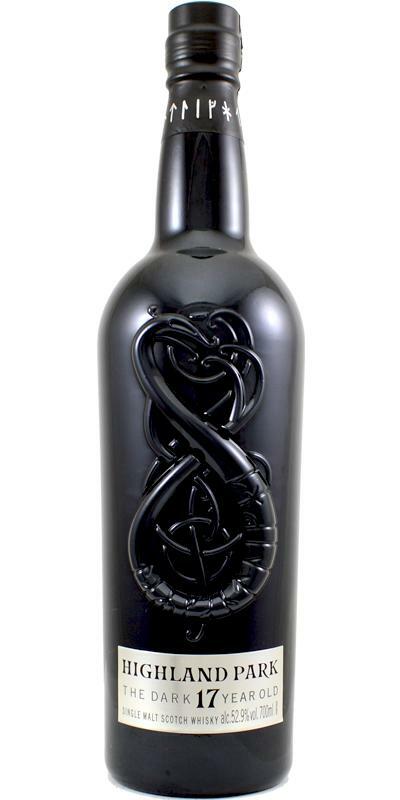 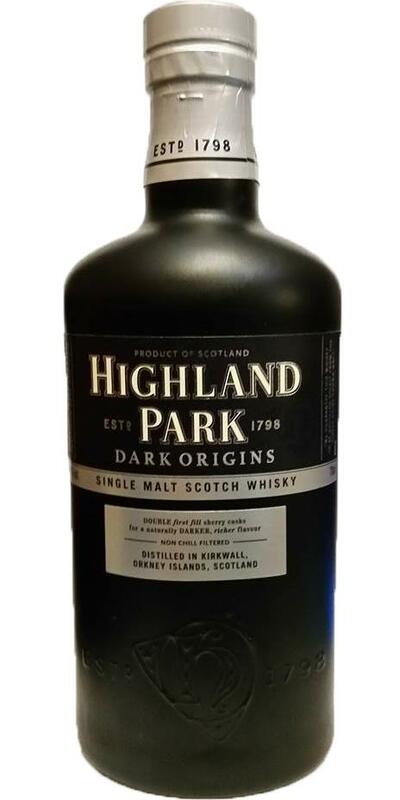 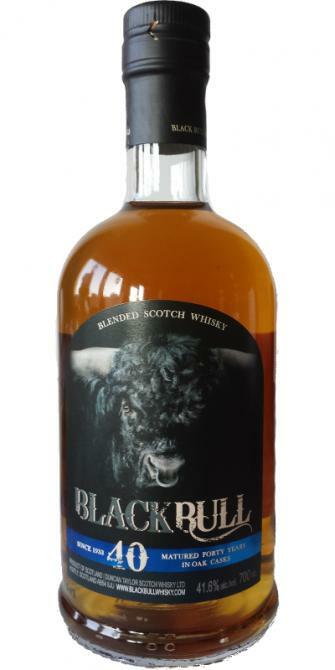 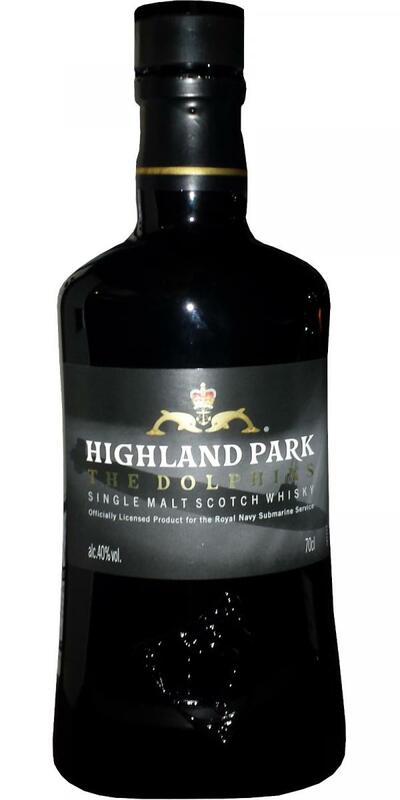 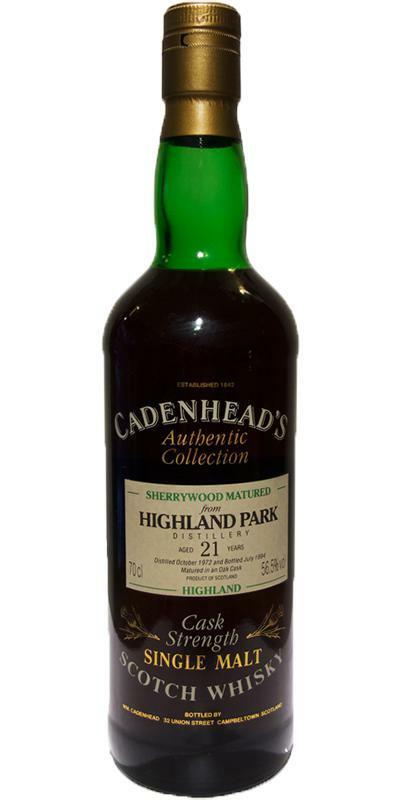 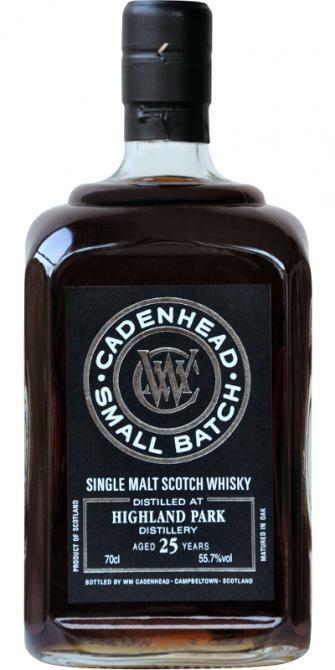 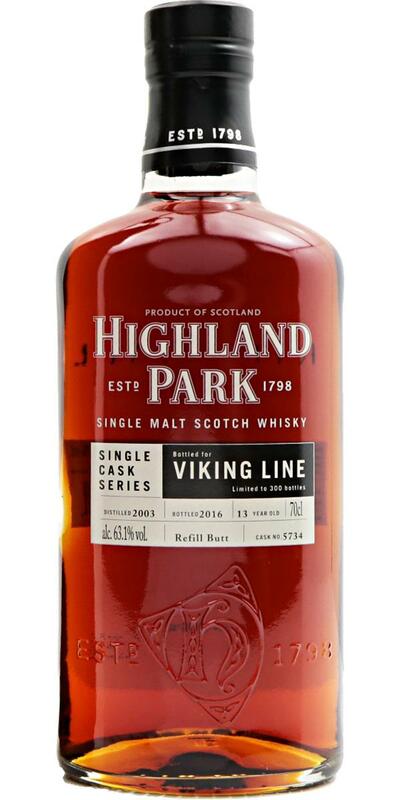 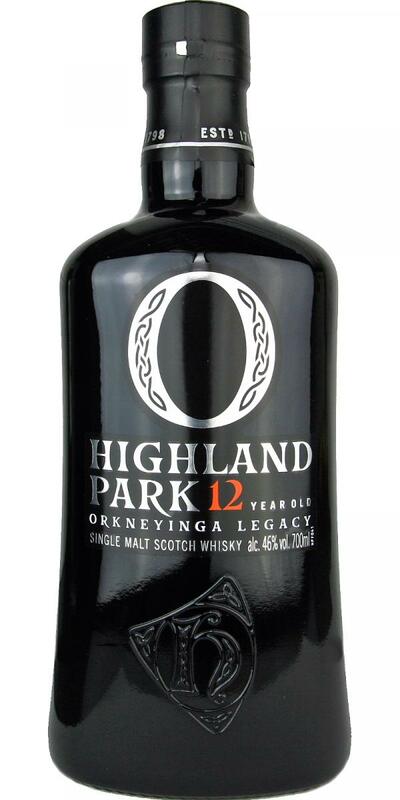 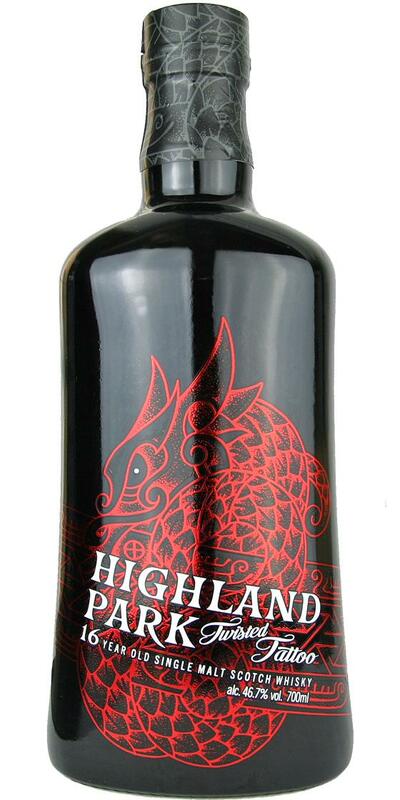 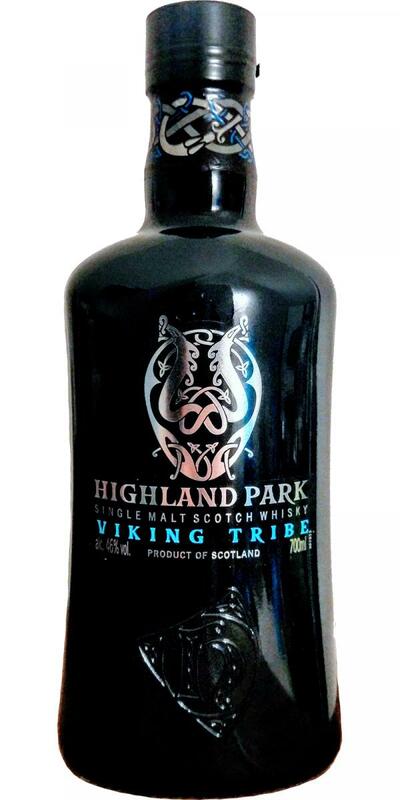 Highland Park 21-year-old CA Miniature - Black Label 21 46.0 % Vol. 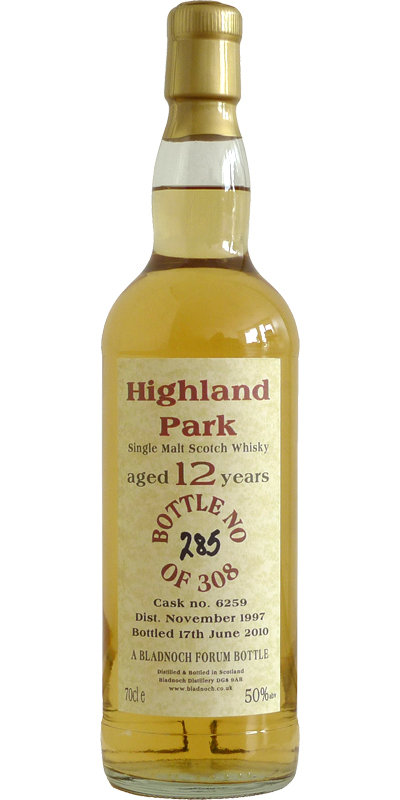 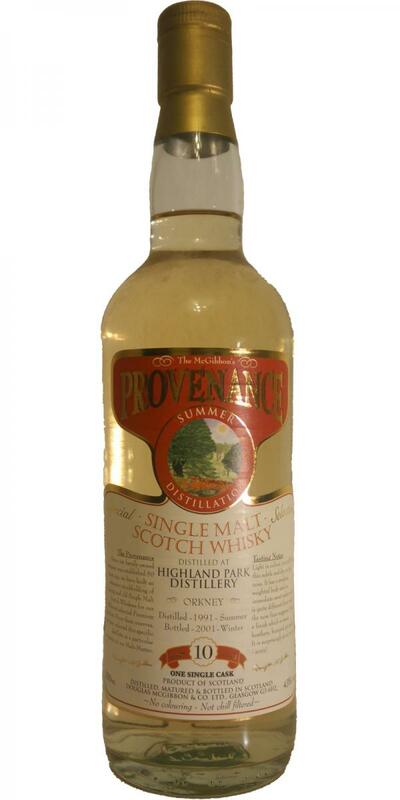 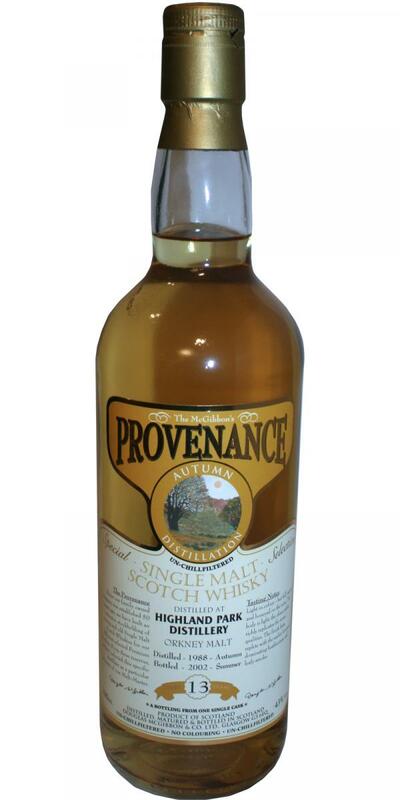 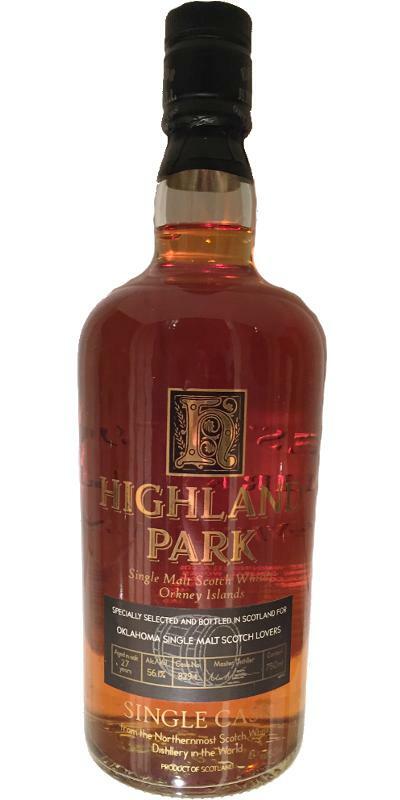 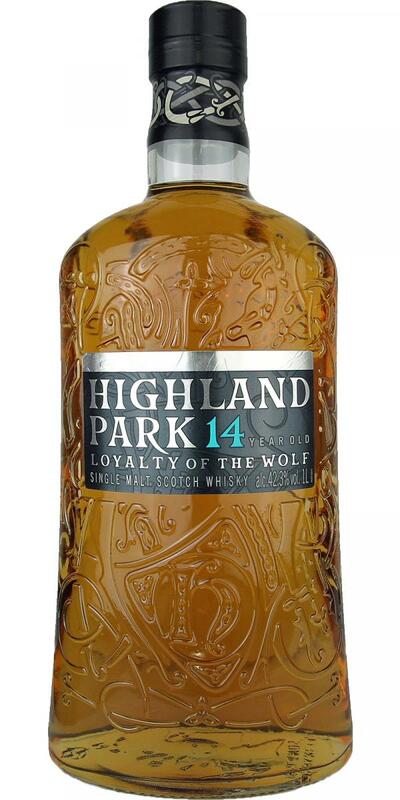 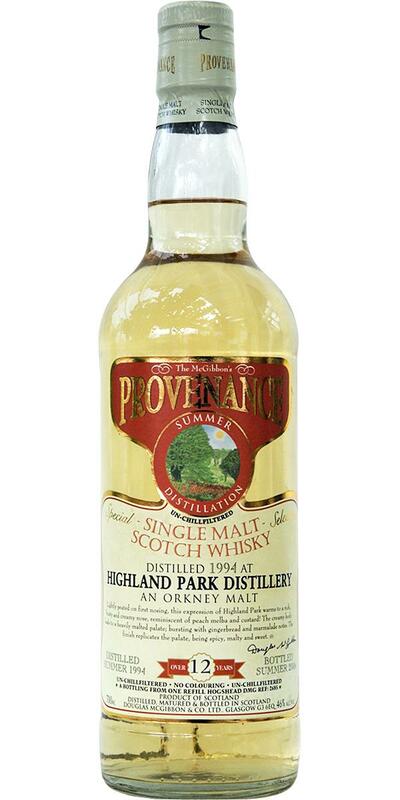 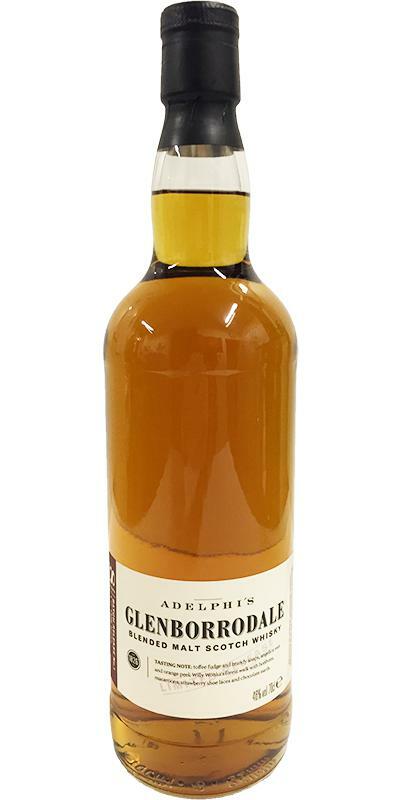 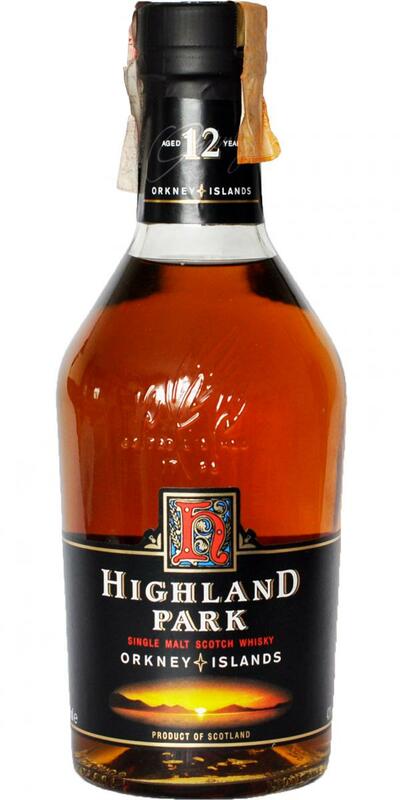 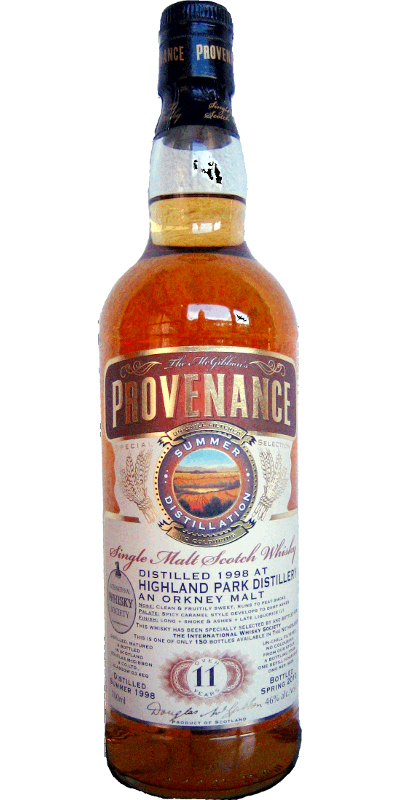 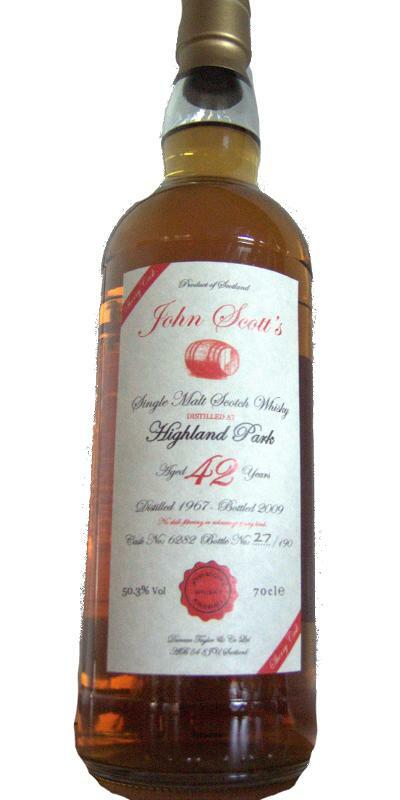 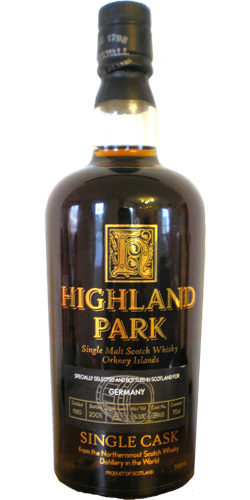 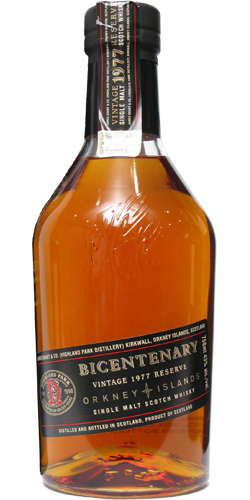 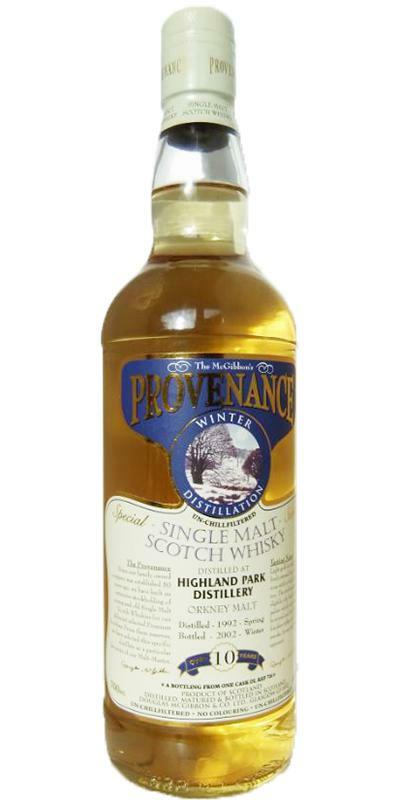 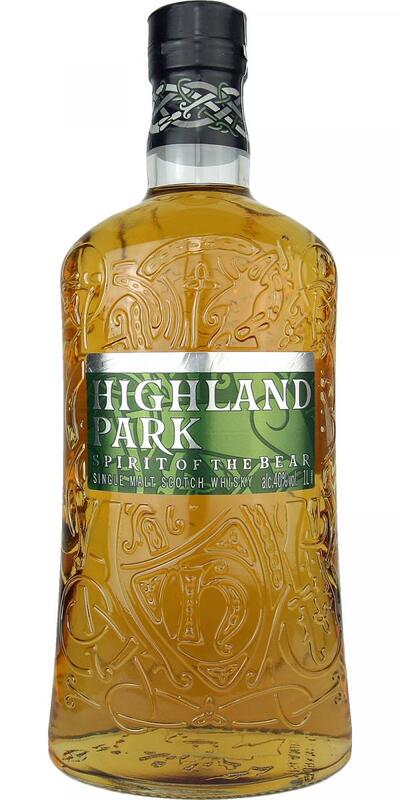 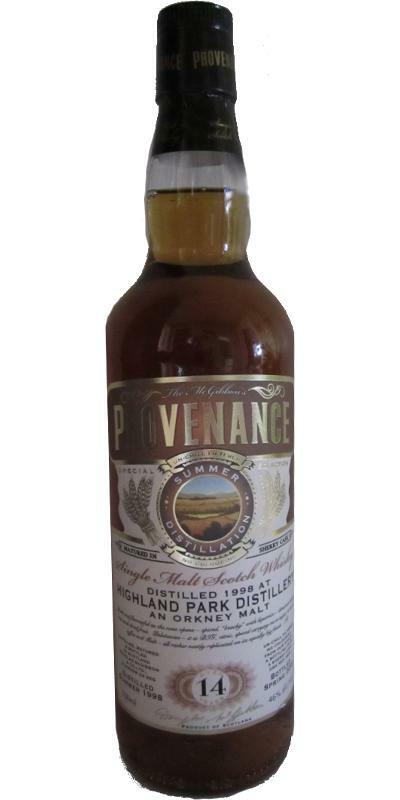 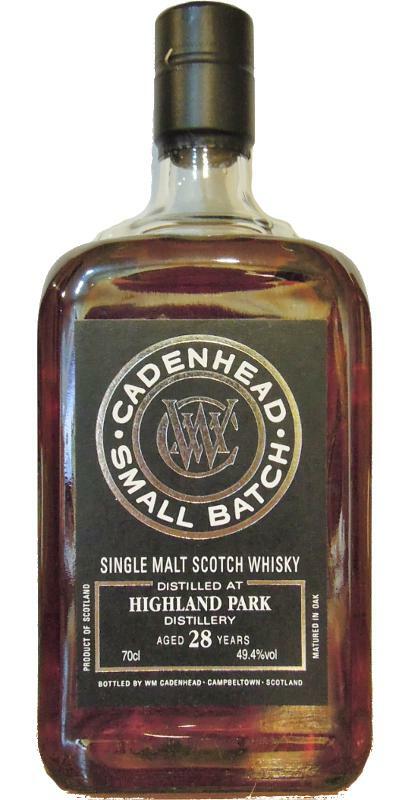 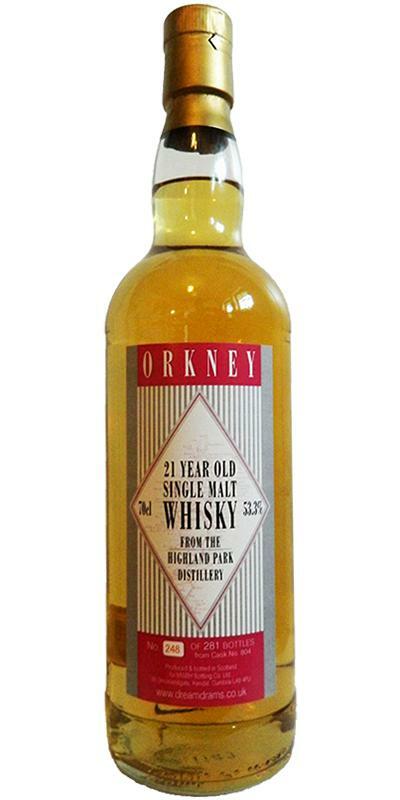 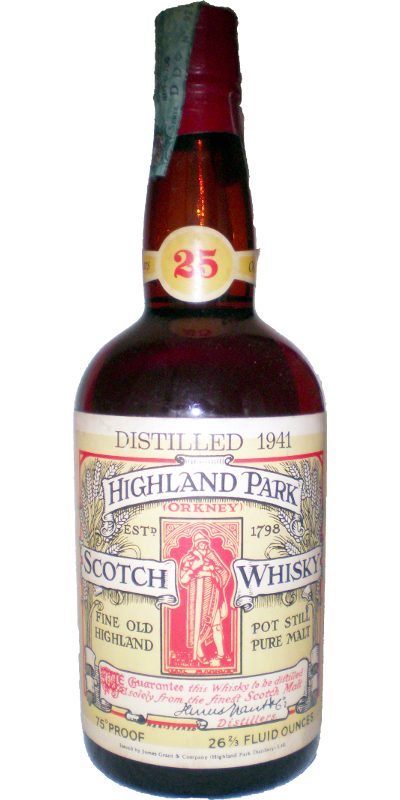 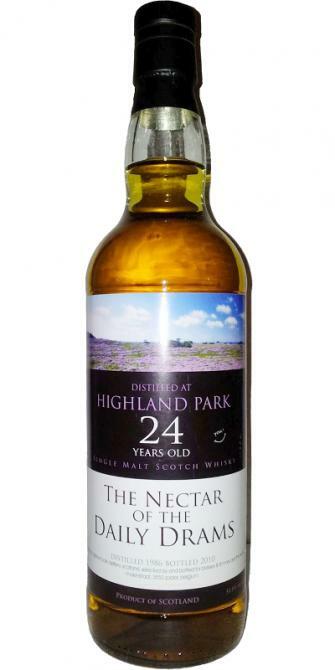 Highland Park 21-year-old CA Dumpy Bottle 21 45.7 % Vol. 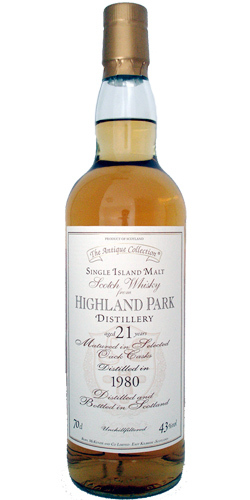 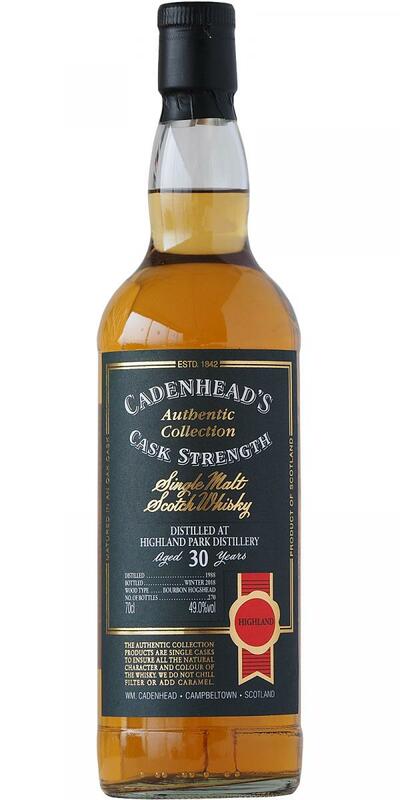 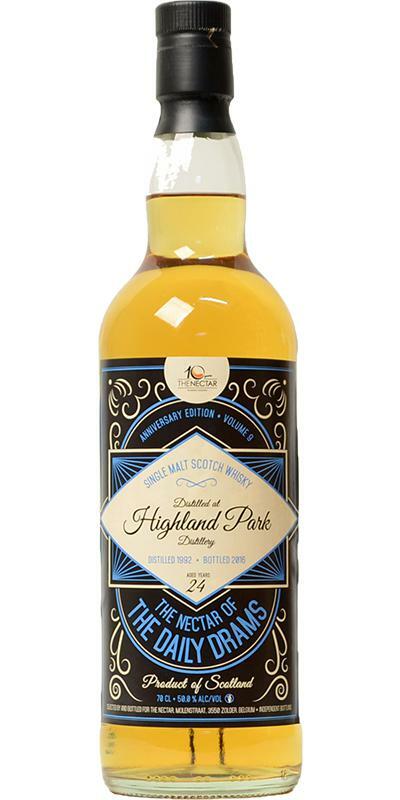 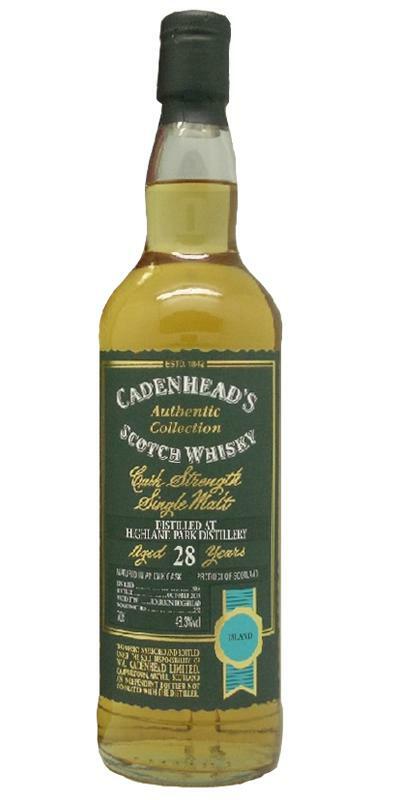 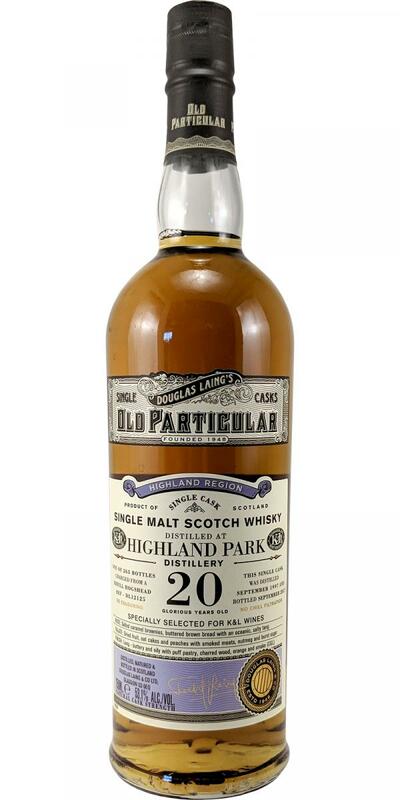 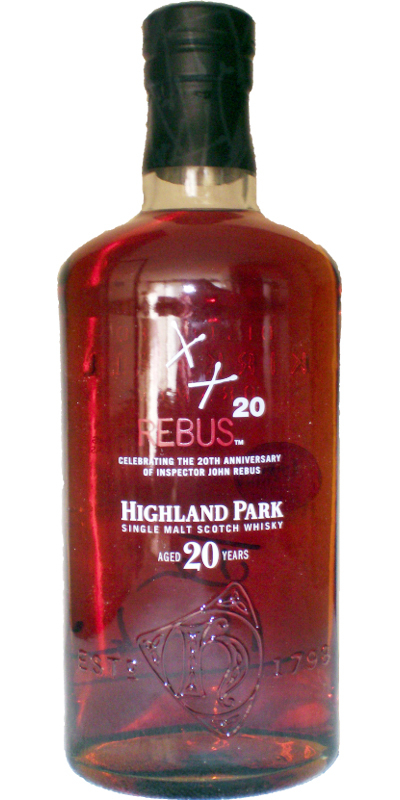 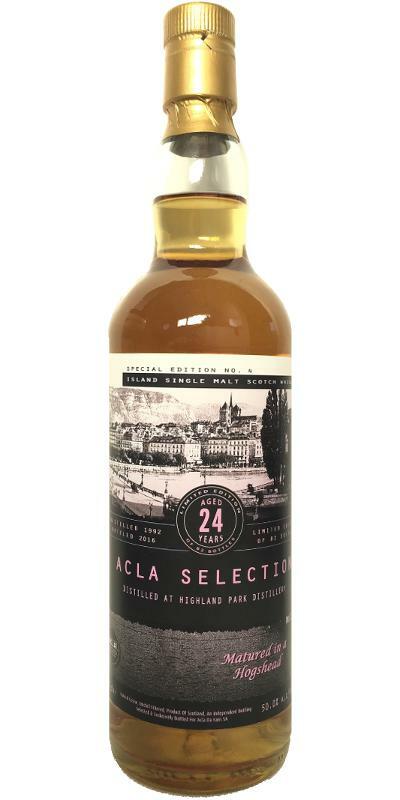 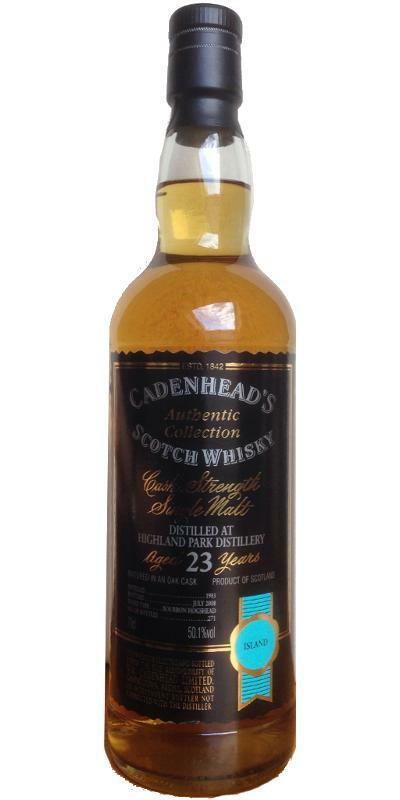 Highland Park 22-year-old CA Miniature - Black Label 22 46.0 % Vol. 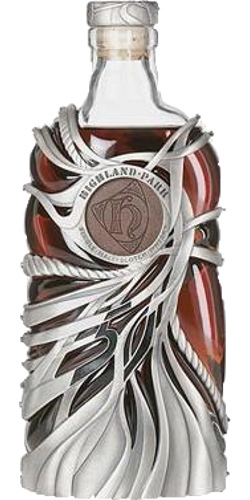 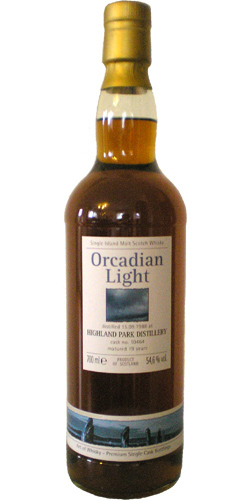 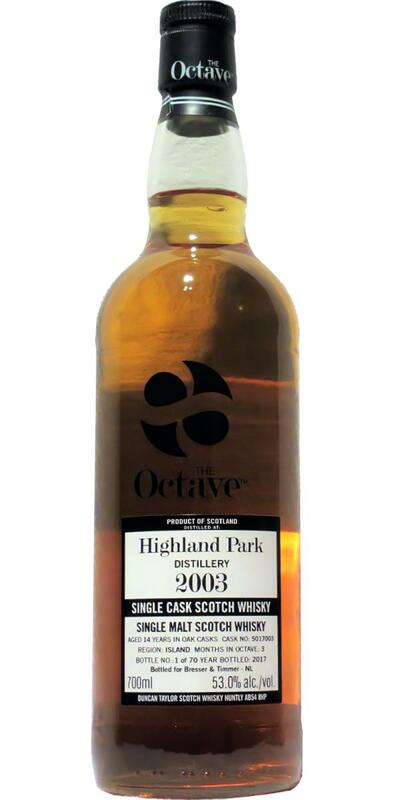 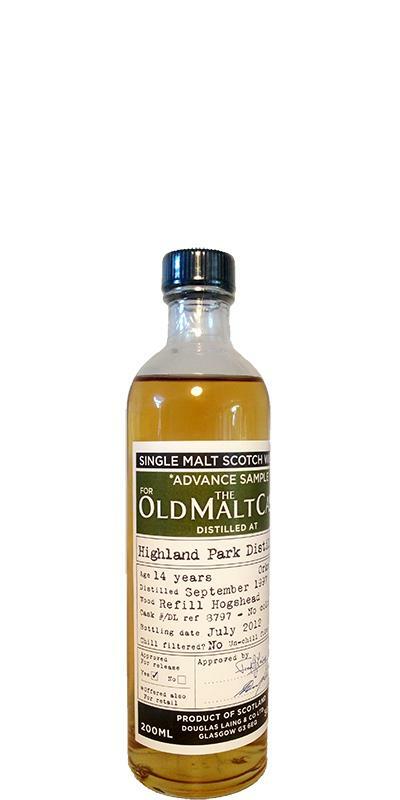 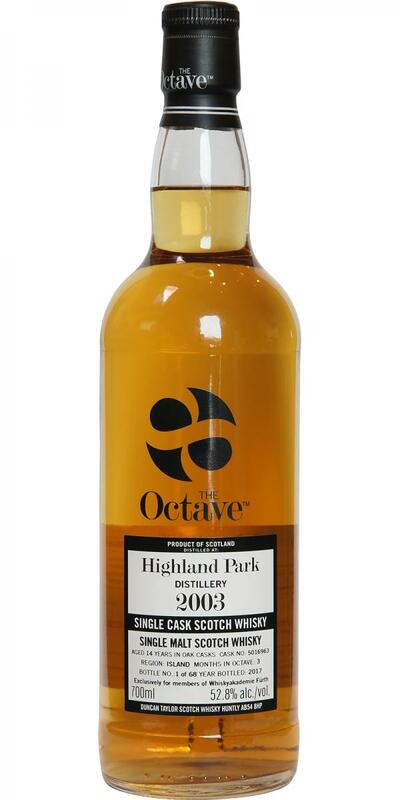 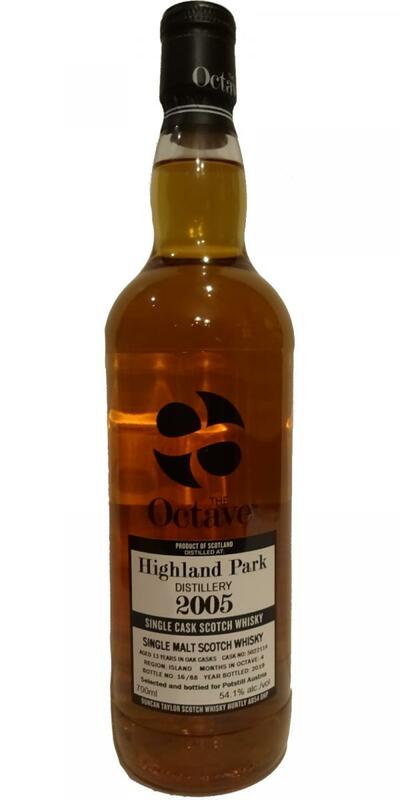 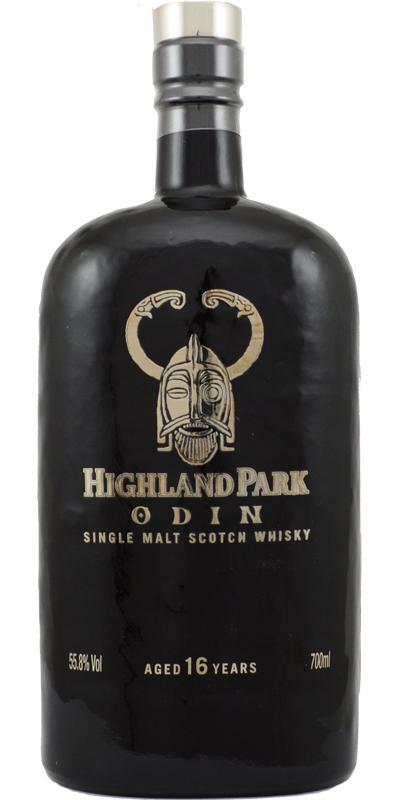 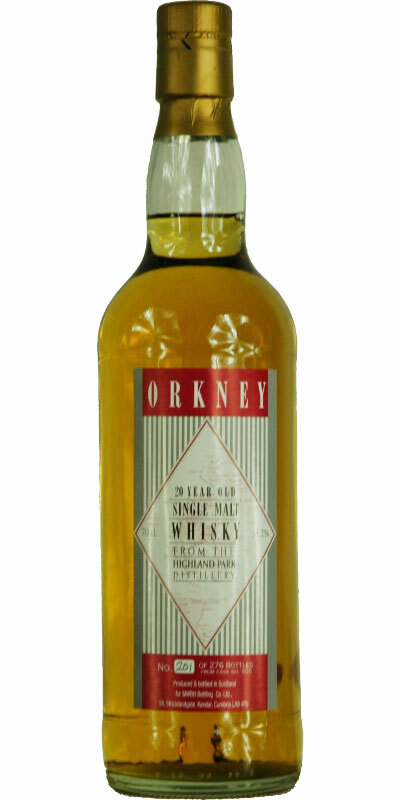 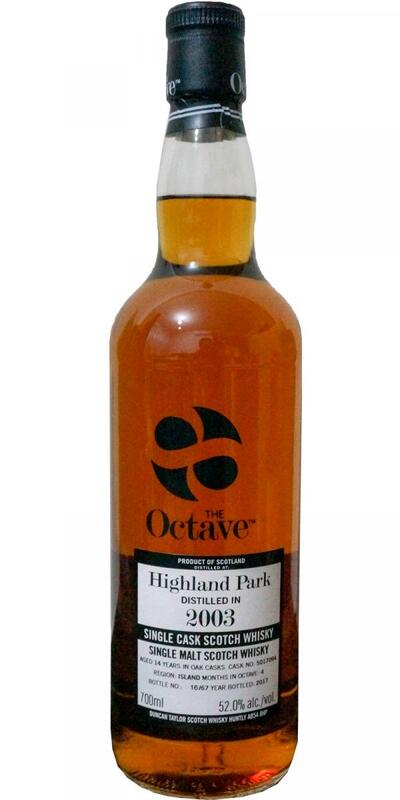 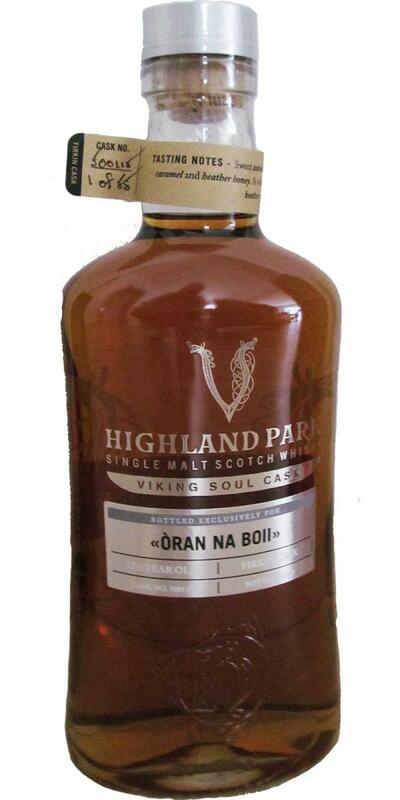 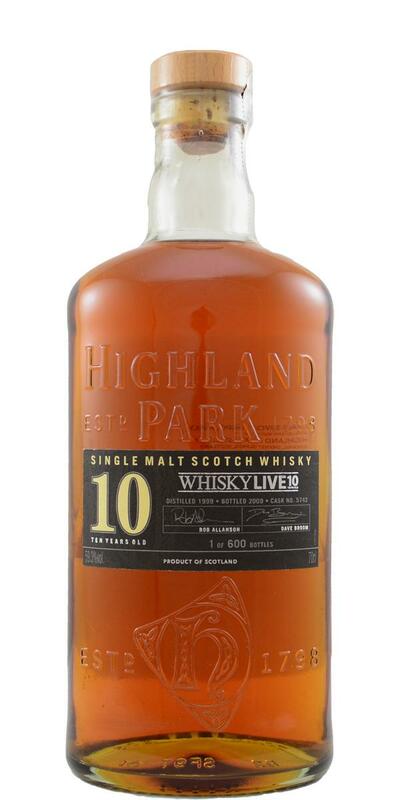 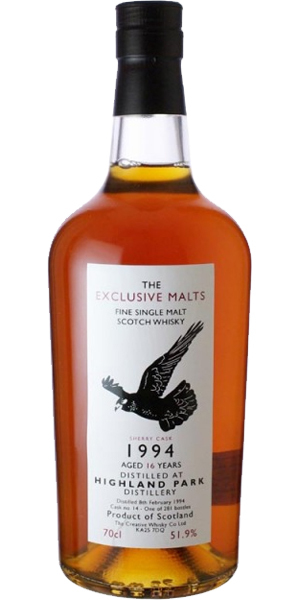 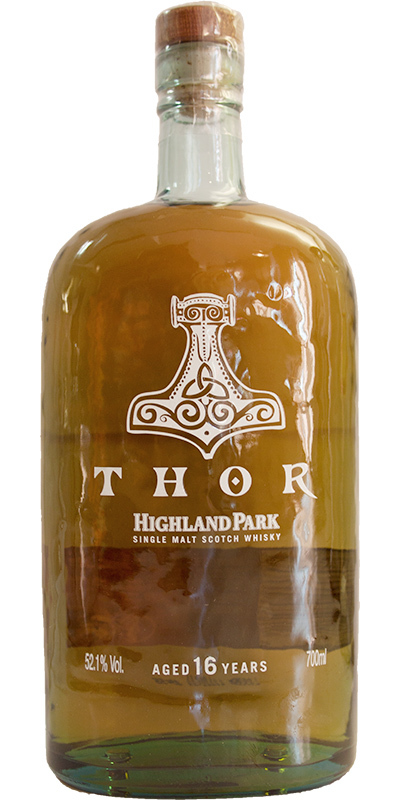 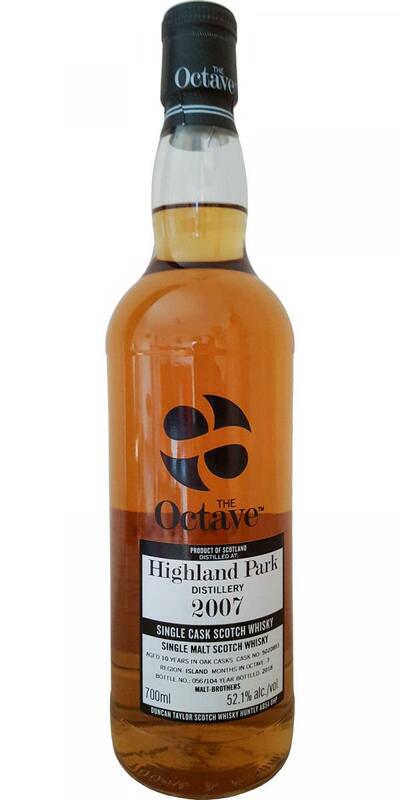 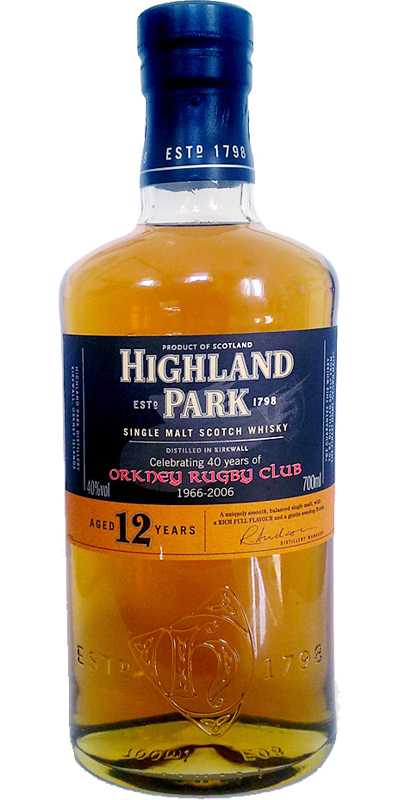 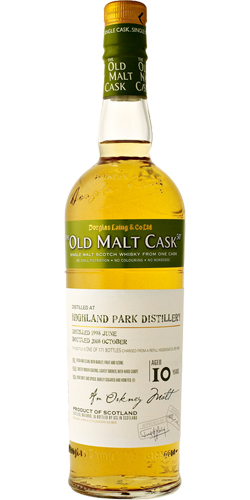 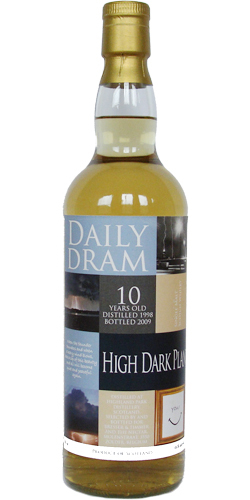 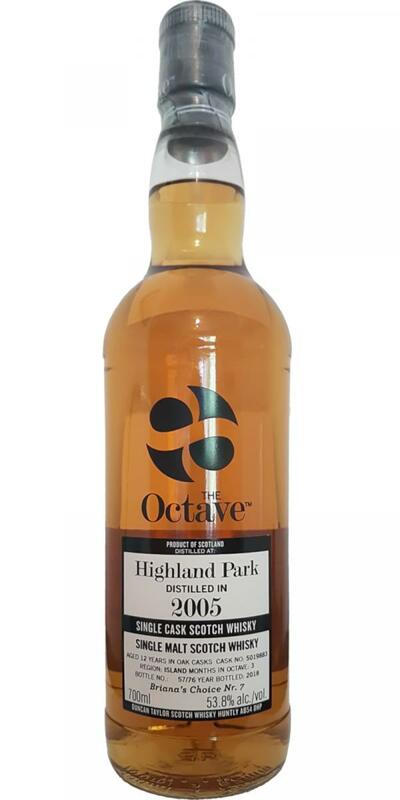 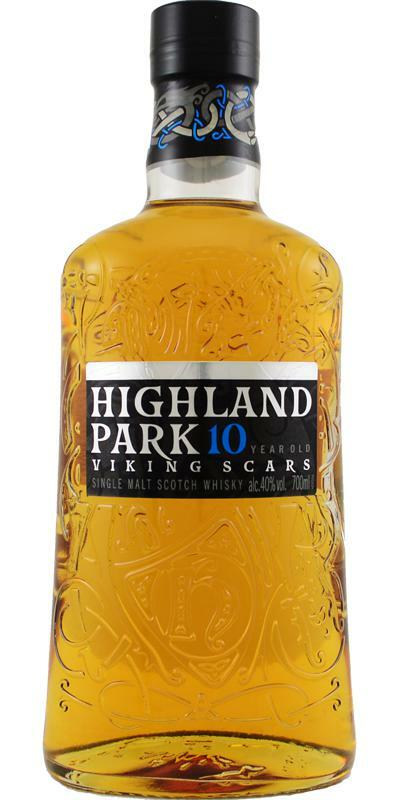 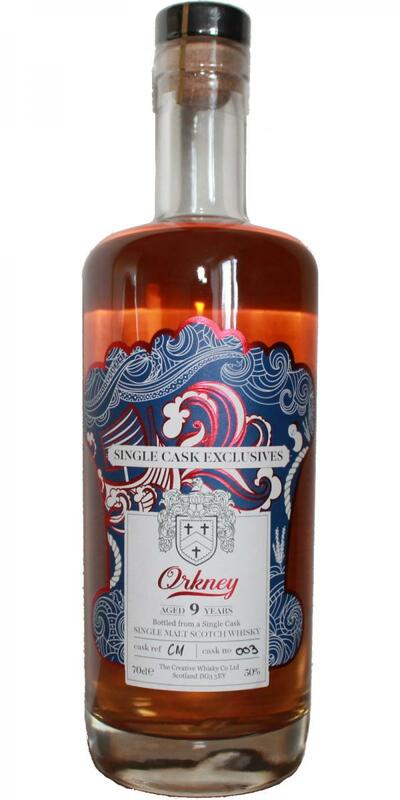 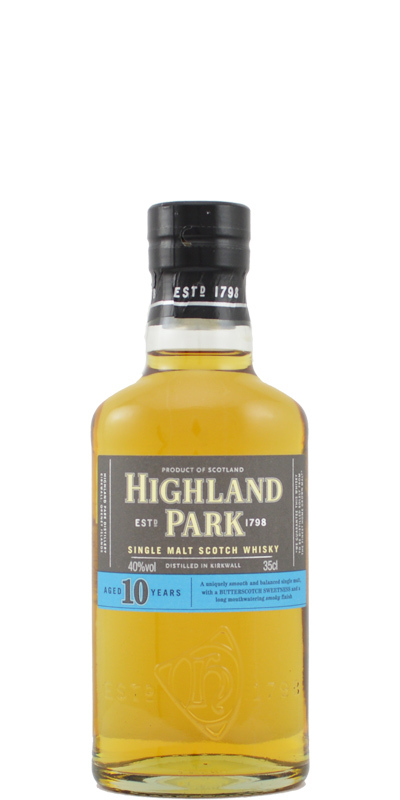 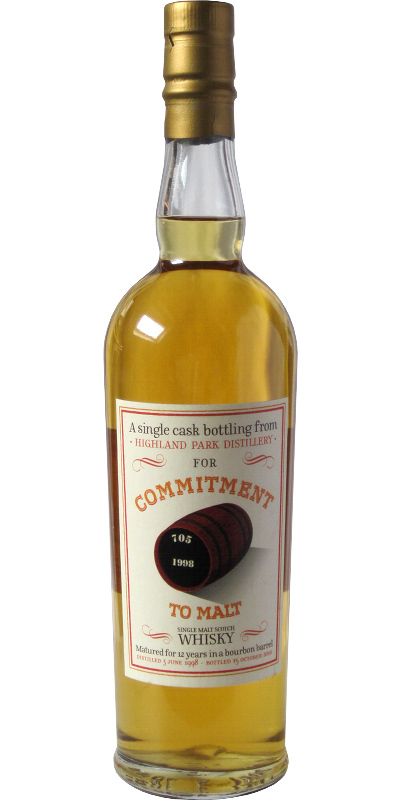 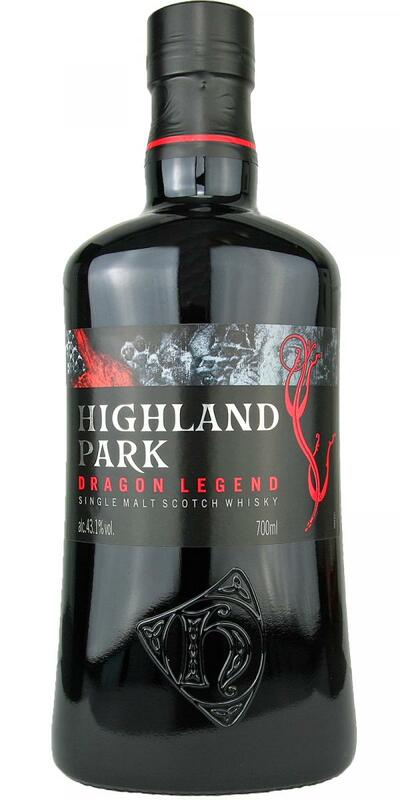 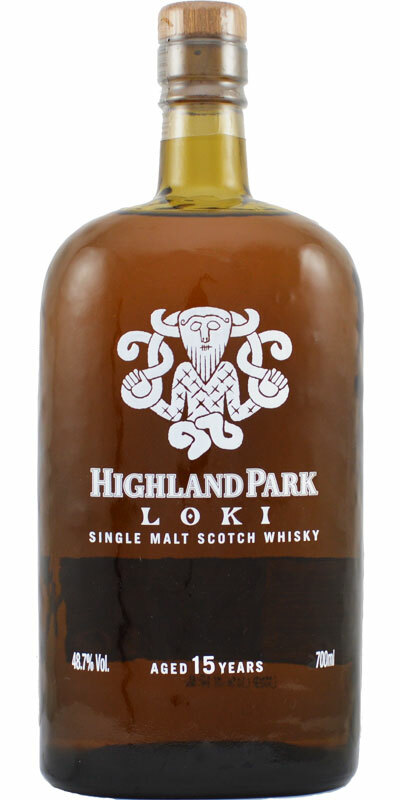 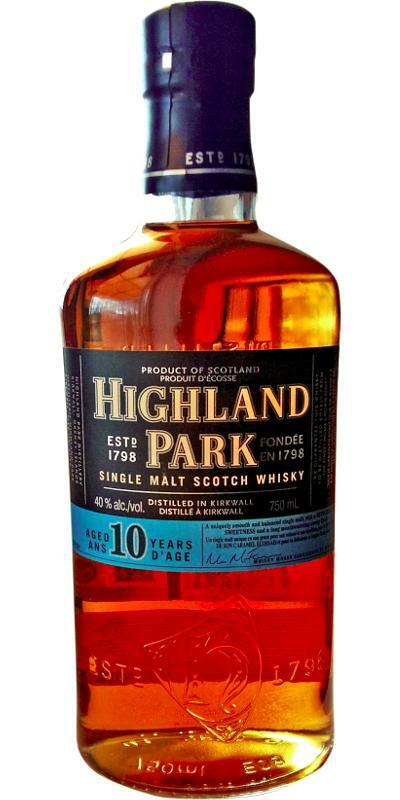 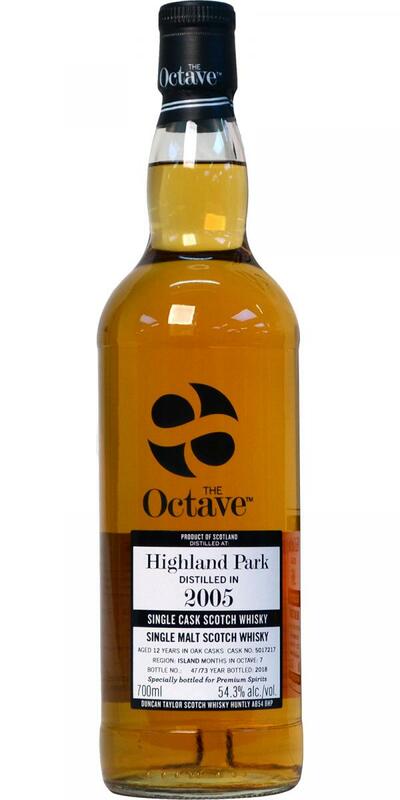 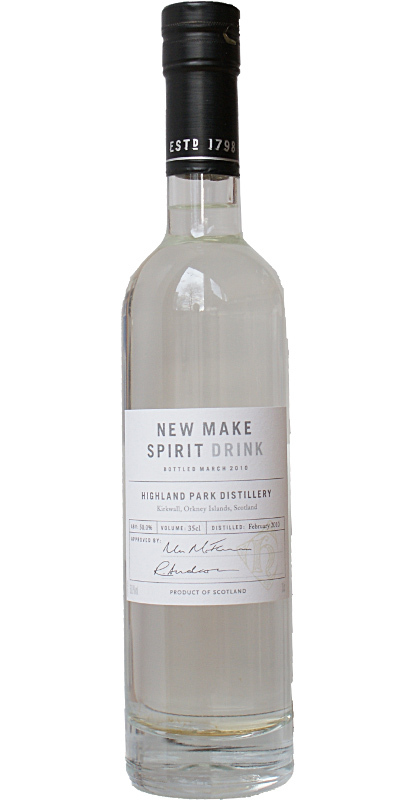 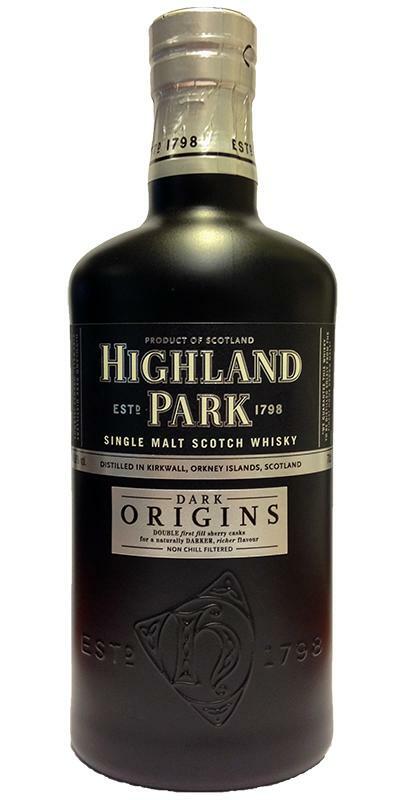 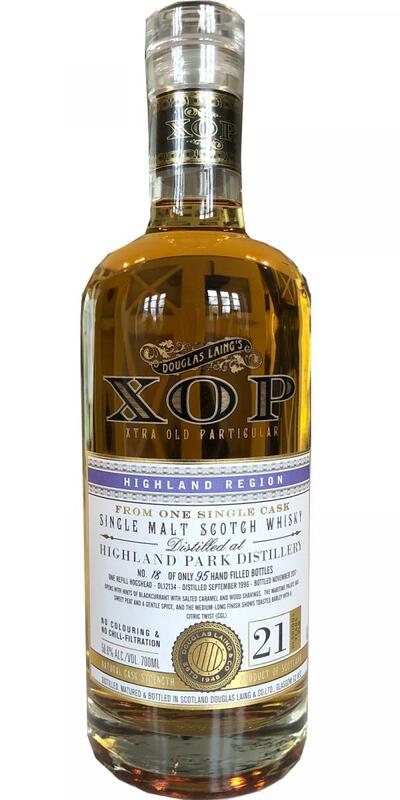 Highland Park 10-year-old DL Old Malt Cask 10 50.0 % Vol. 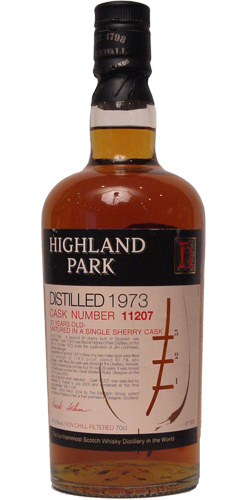 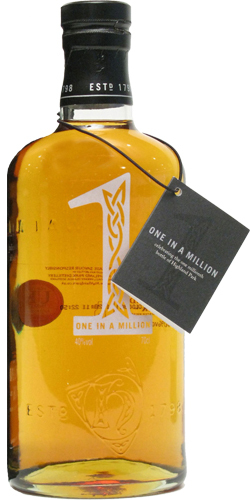 Highland Park 11-year-old DL Premier Barrel Selection 11 46.0 % Vol. 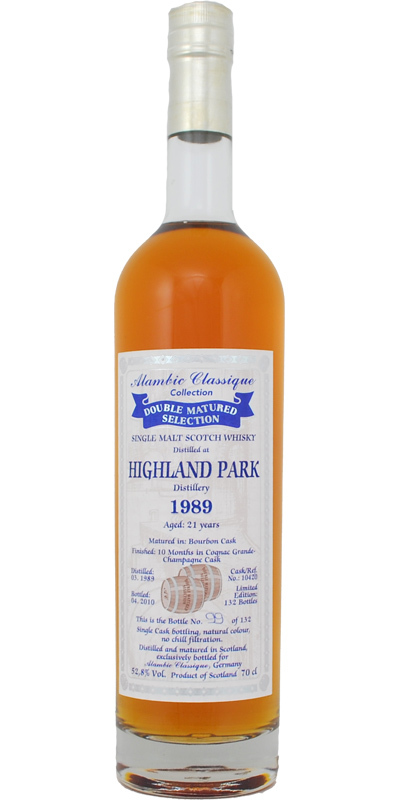 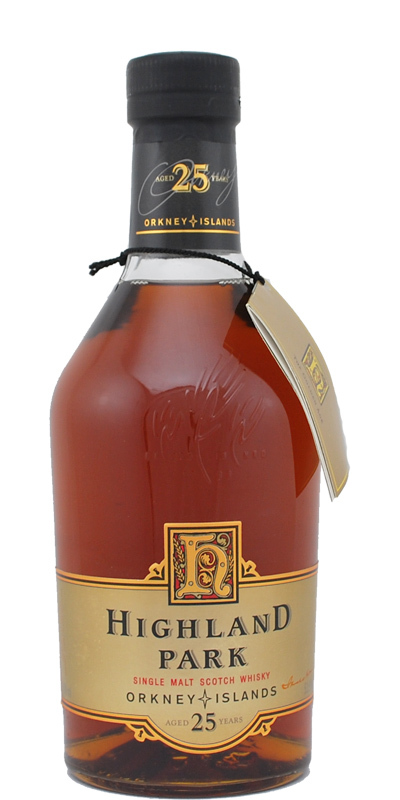 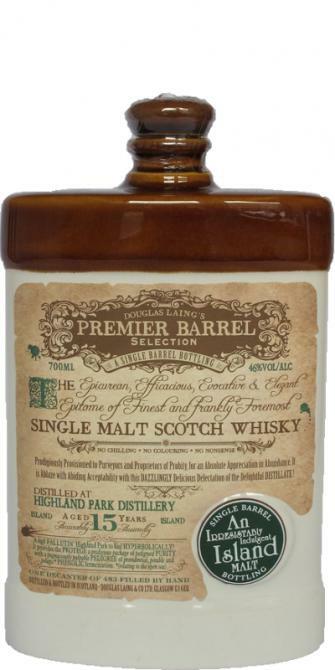 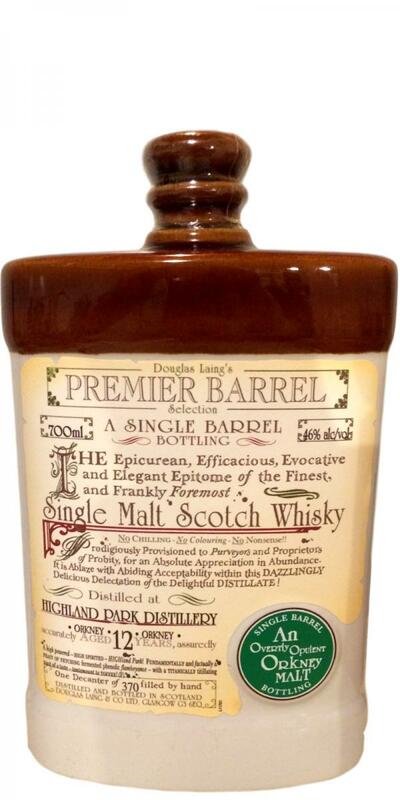 Highland Park 13-year-old DL Premier Barrel Selection 13 46.0 % Vol. 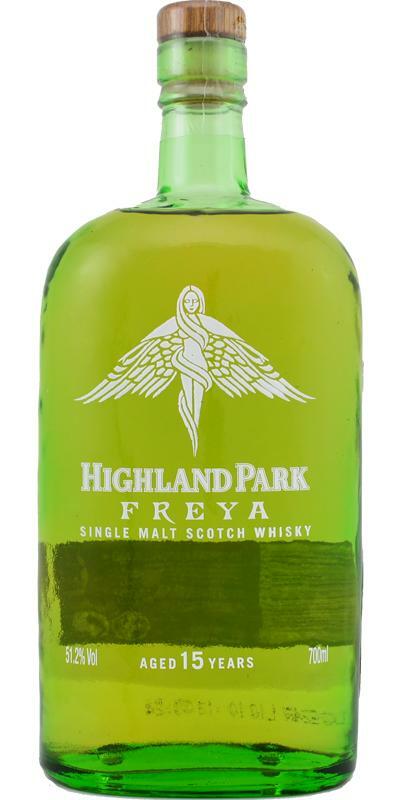 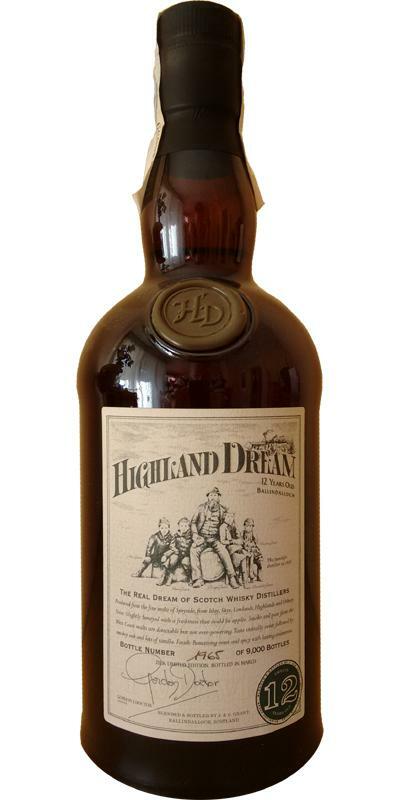 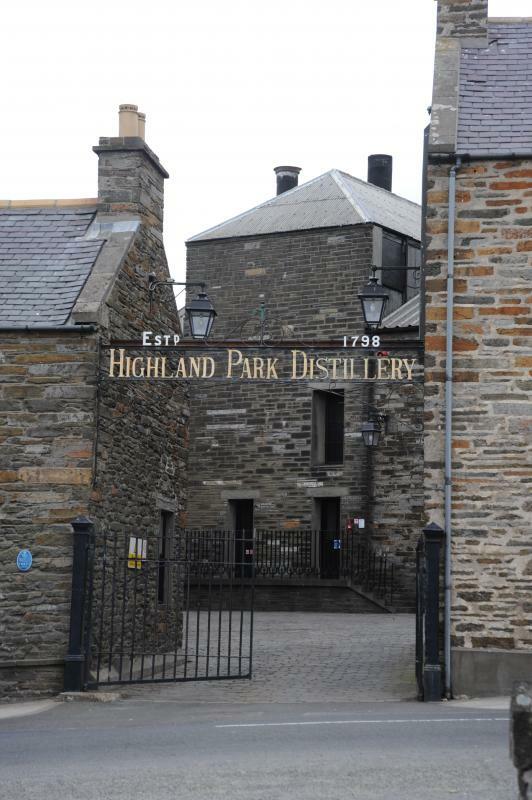 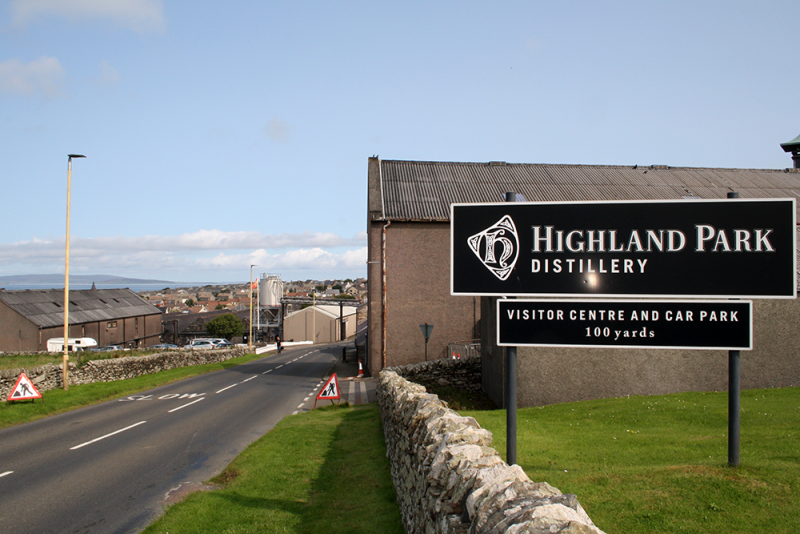 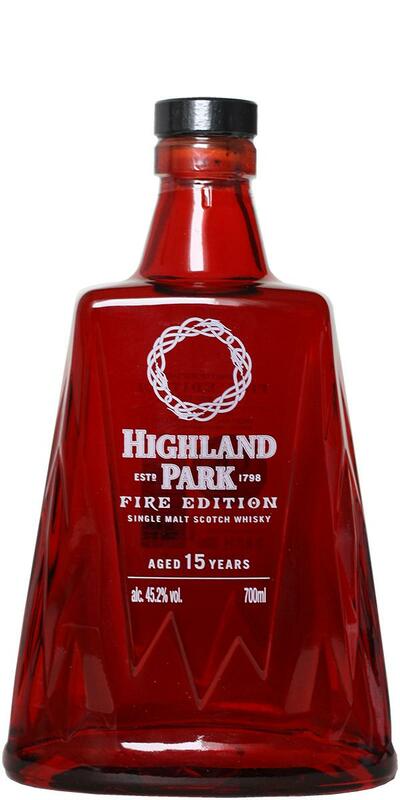 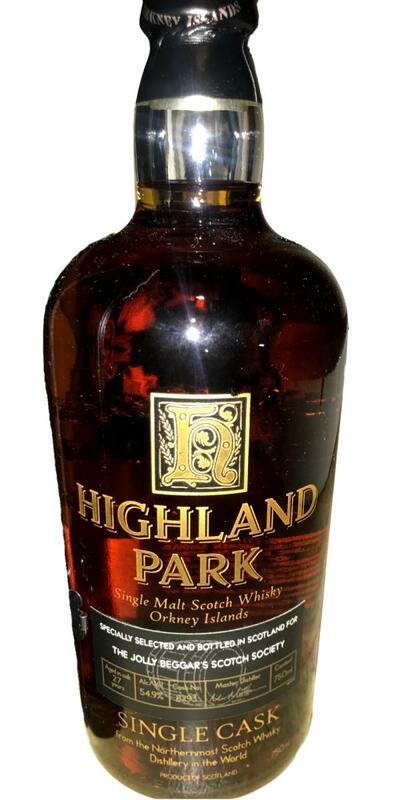 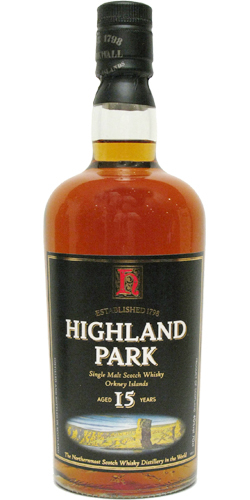 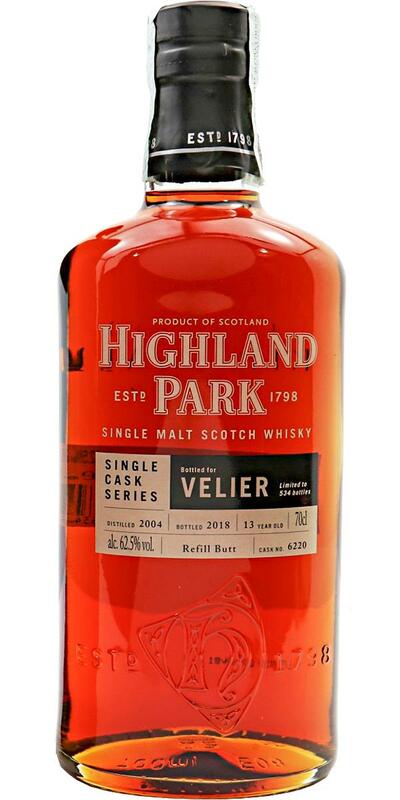 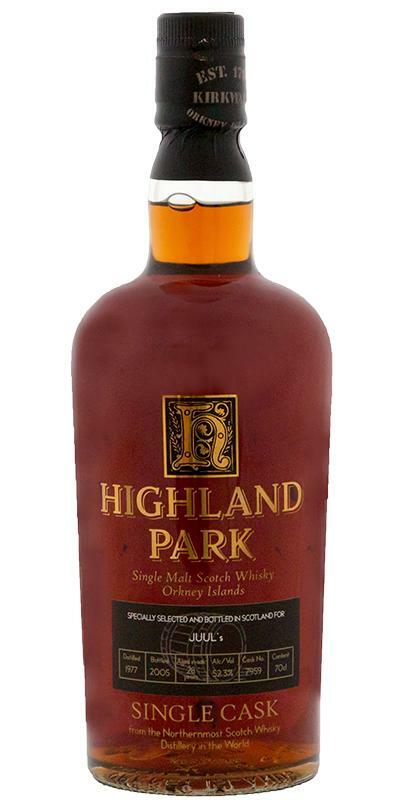 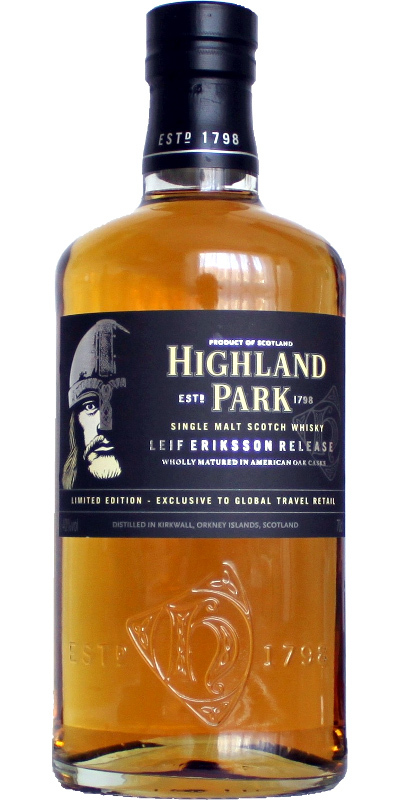 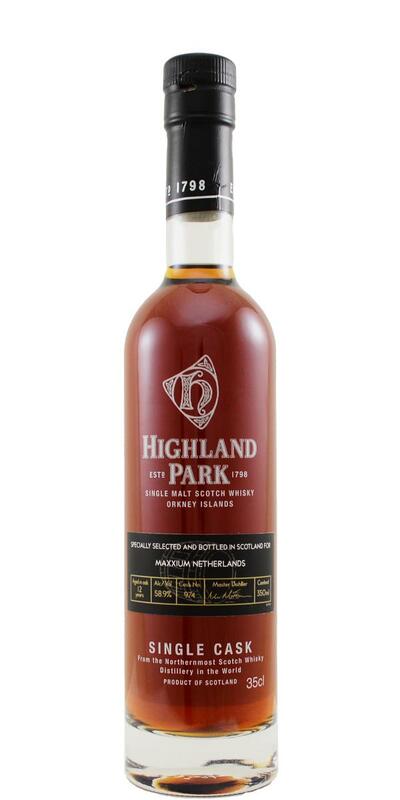 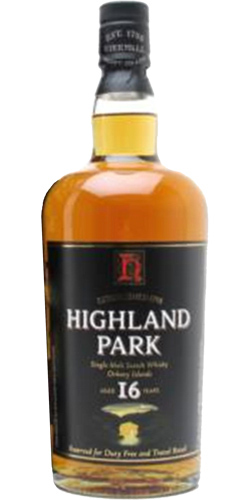 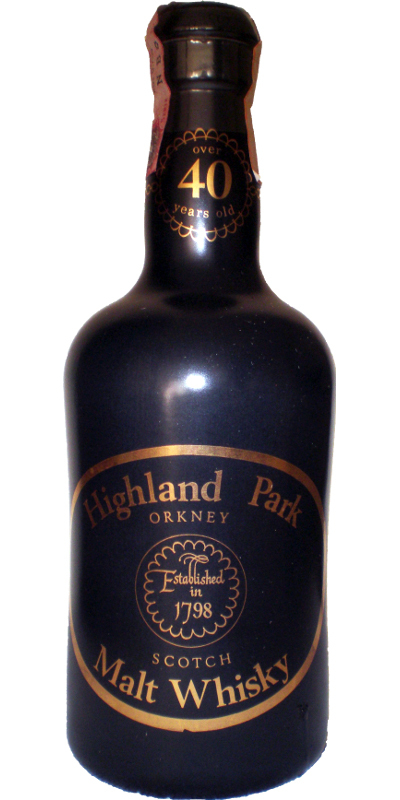 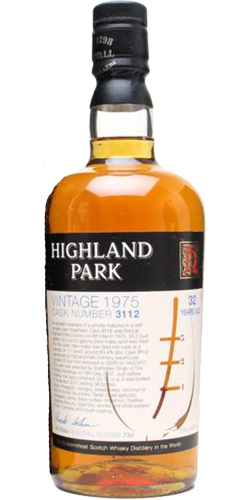 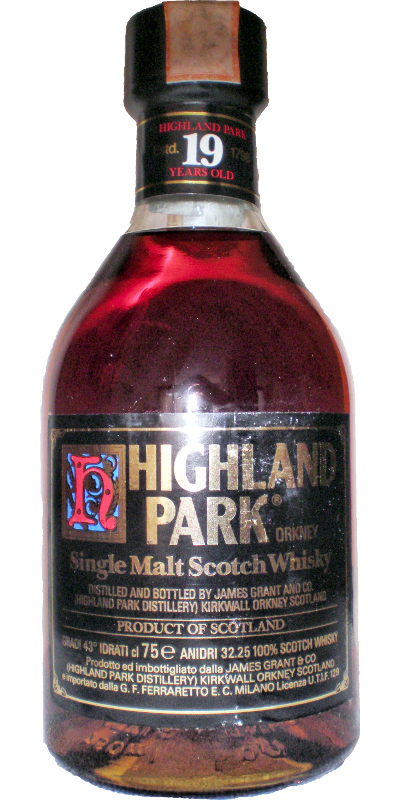 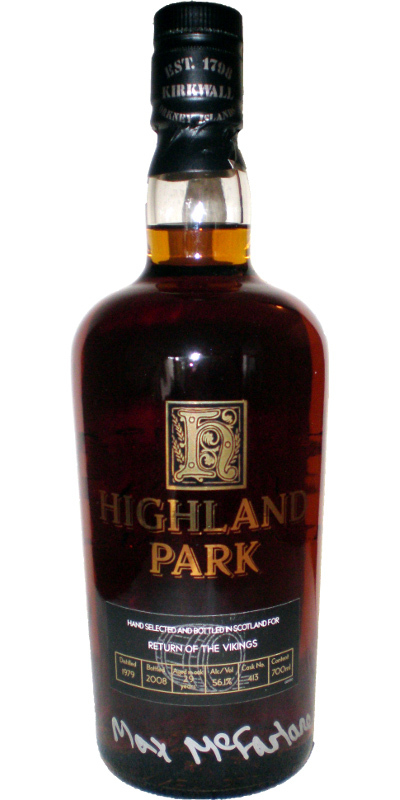 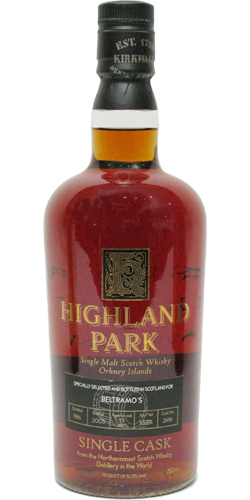 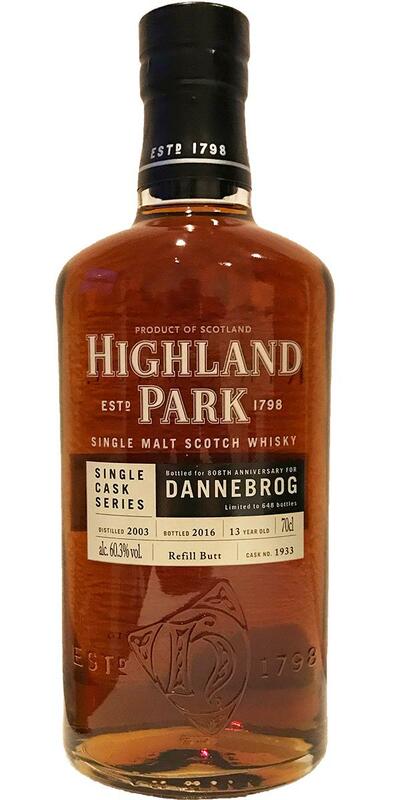 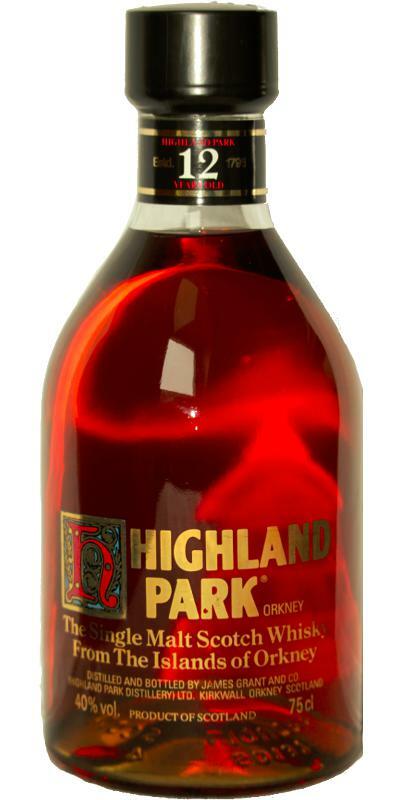 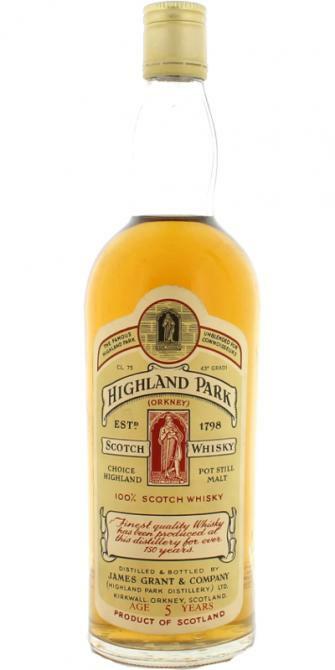 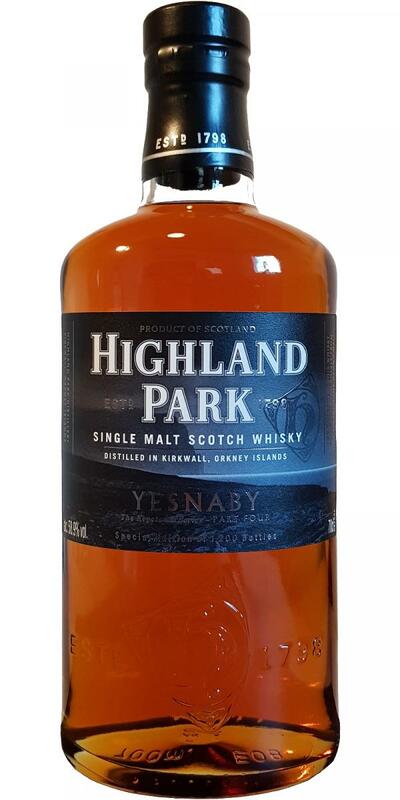 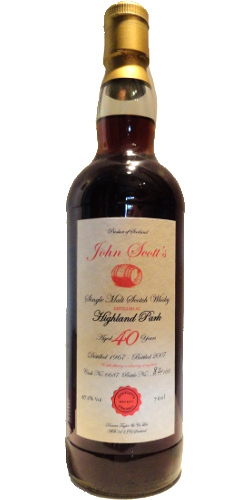 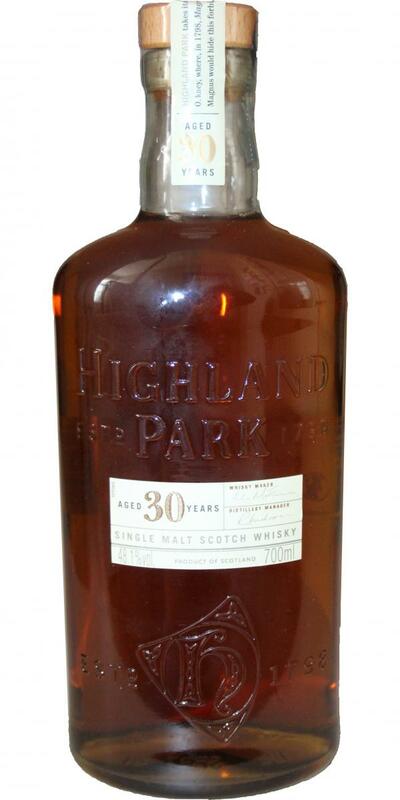 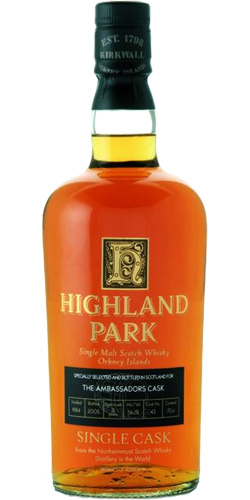 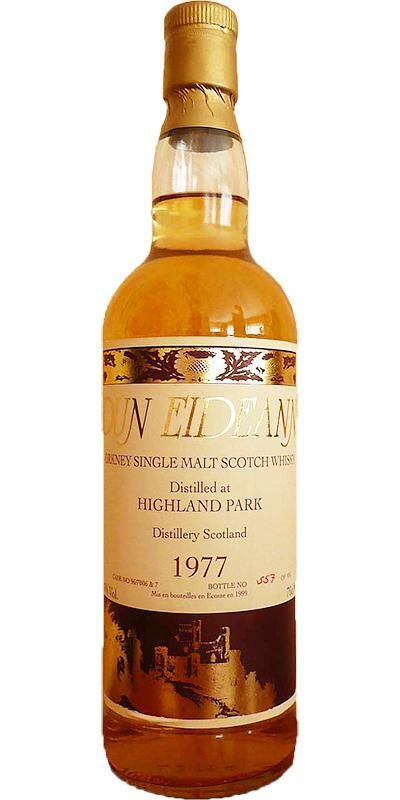 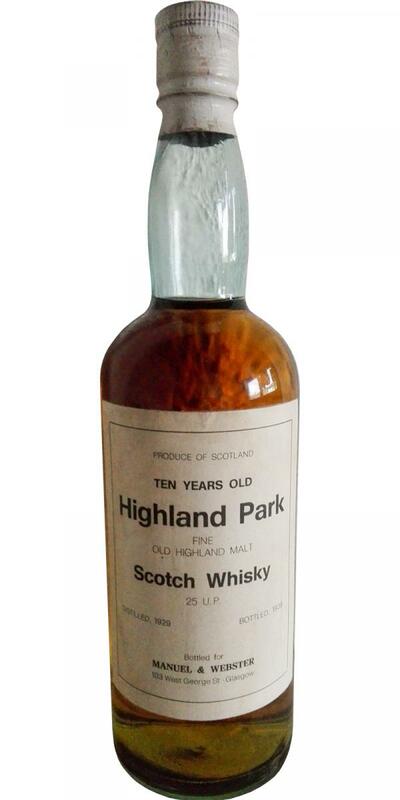 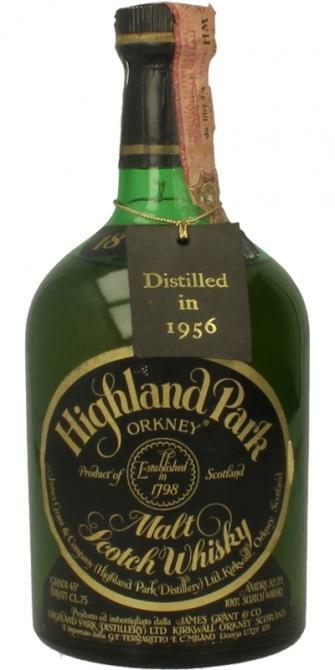 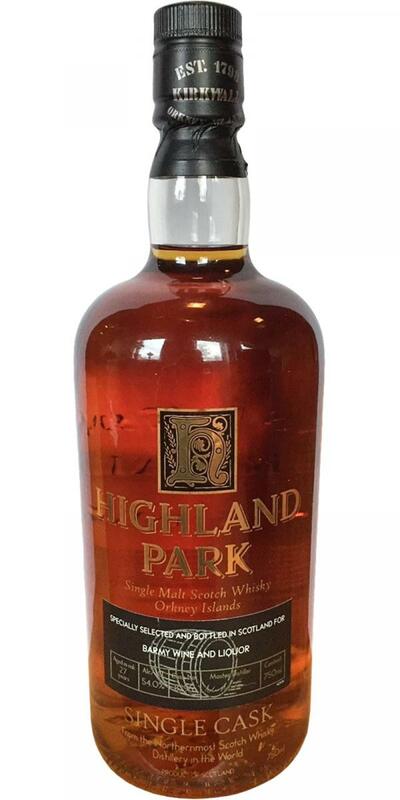 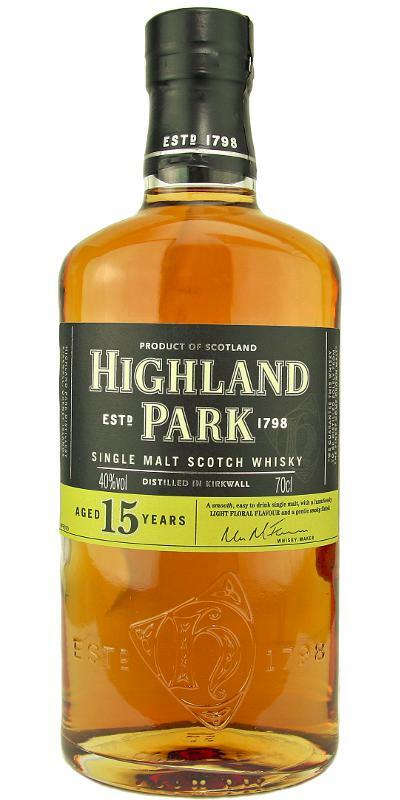 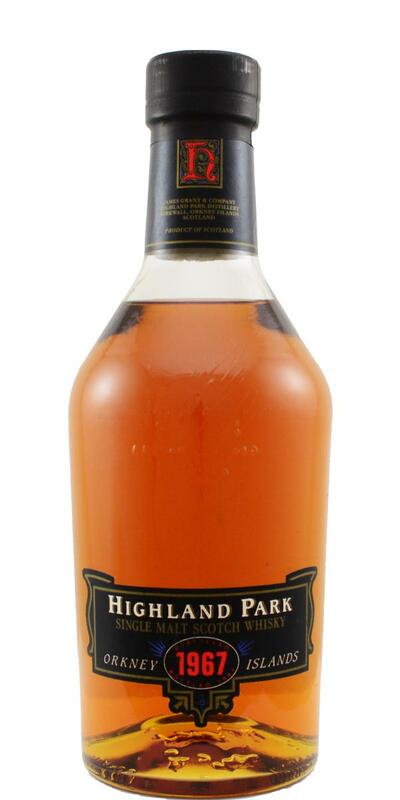 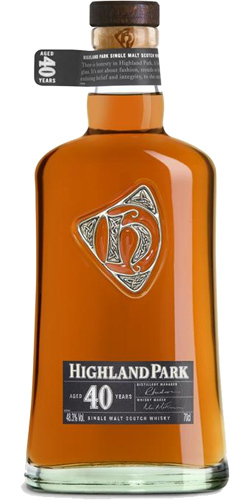 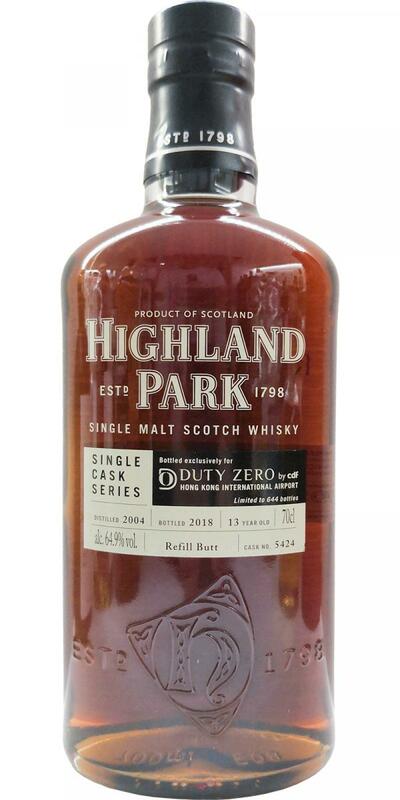 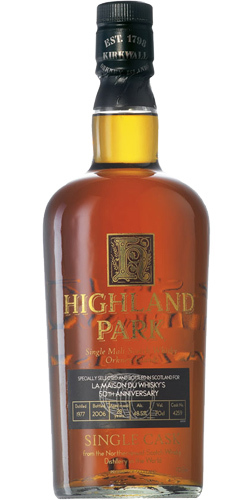 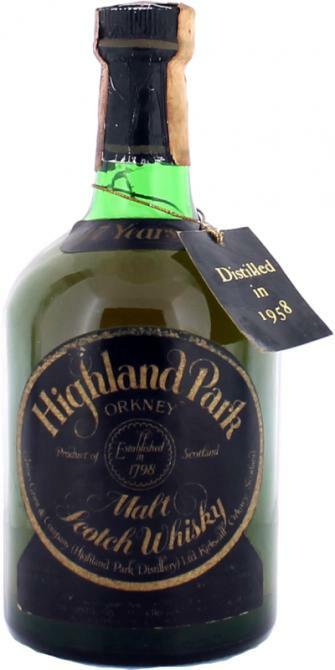 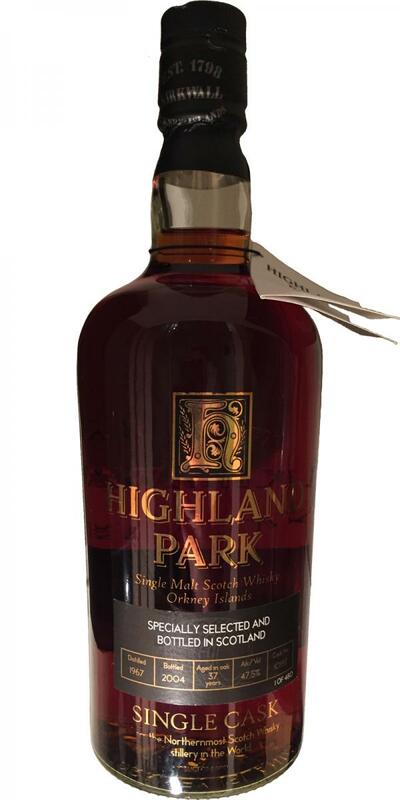 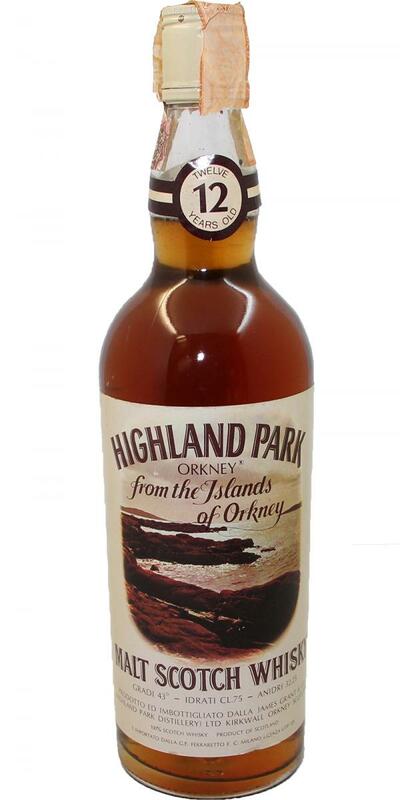 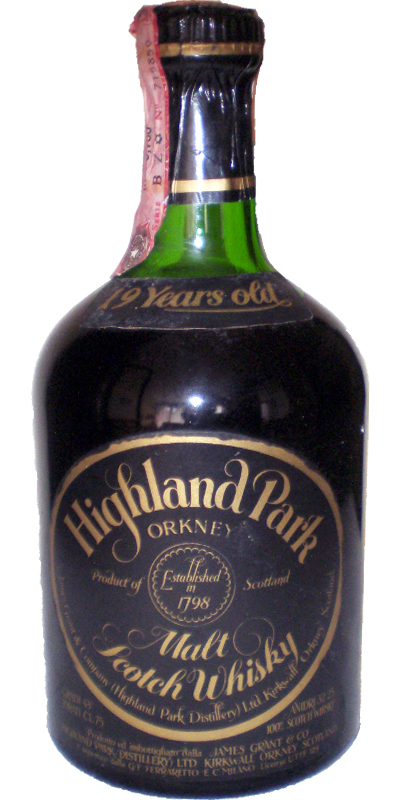 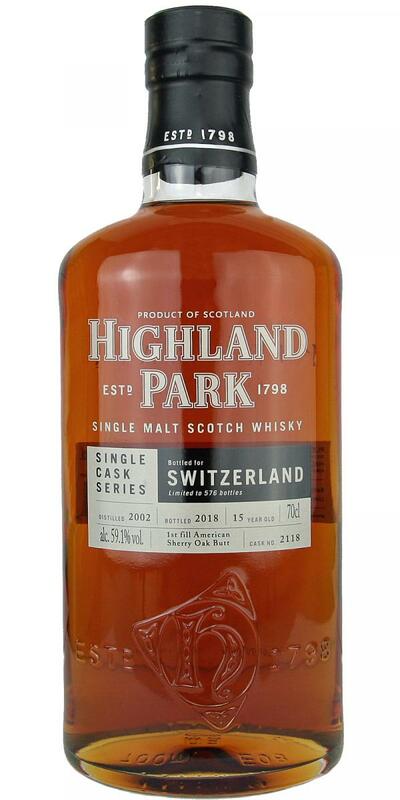 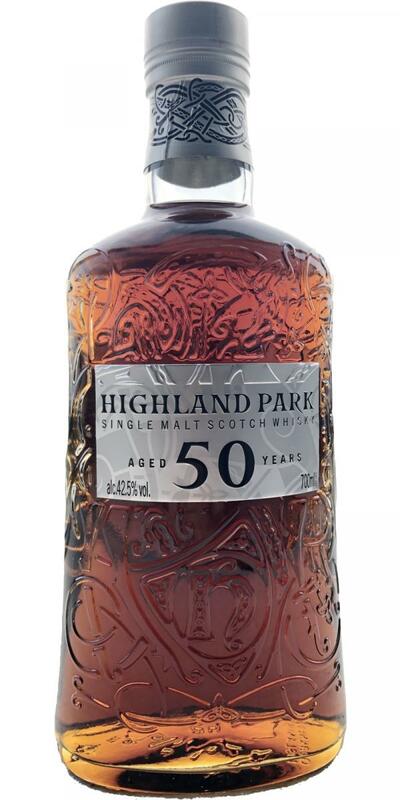 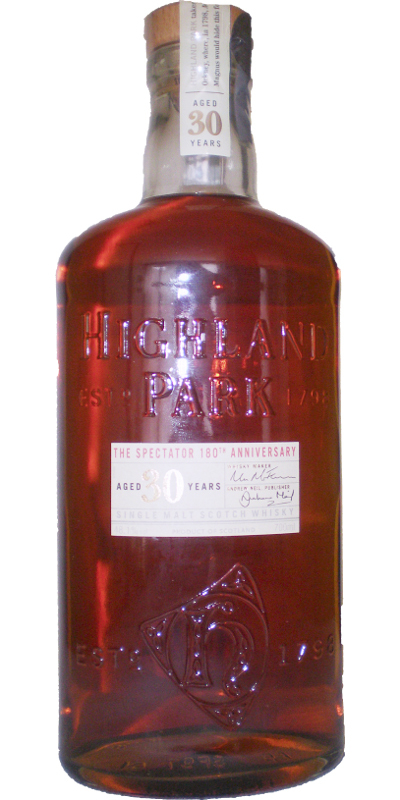 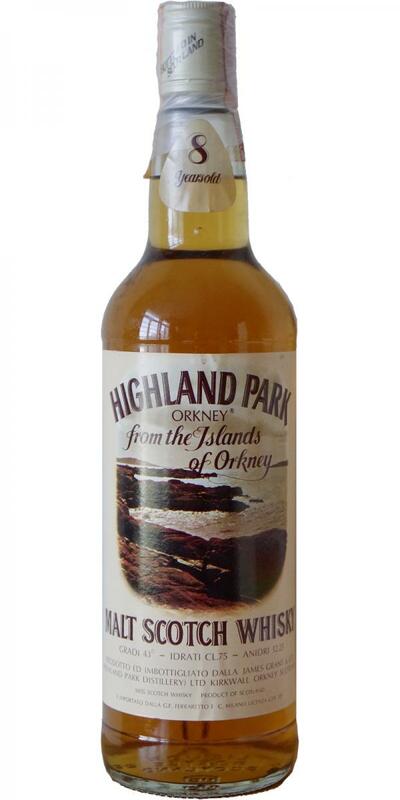 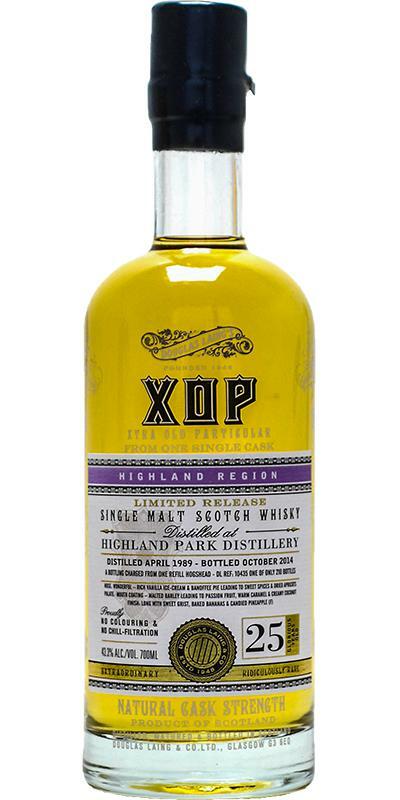 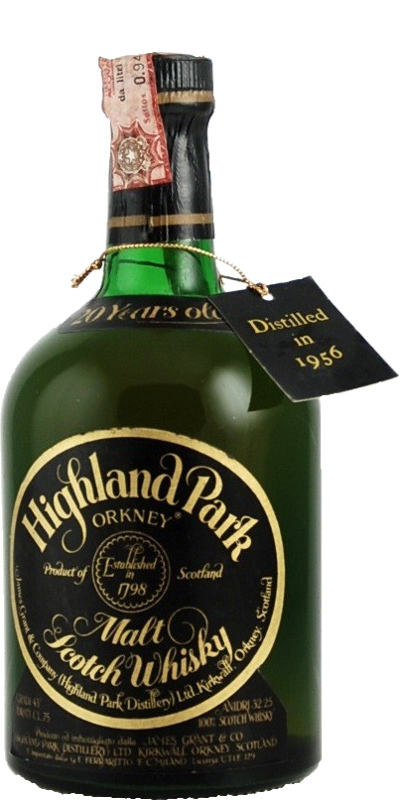 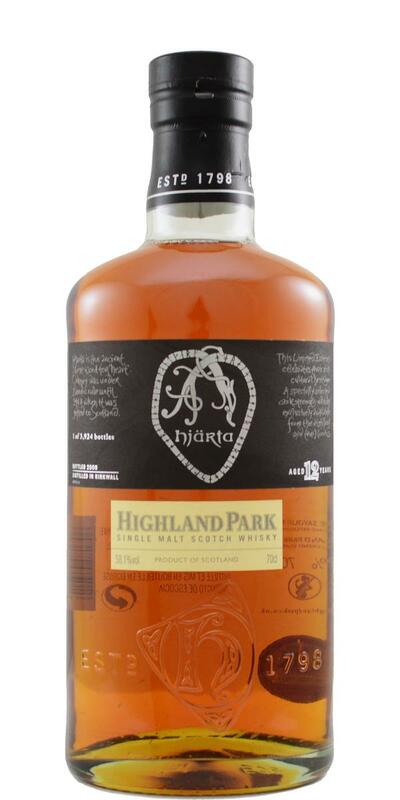 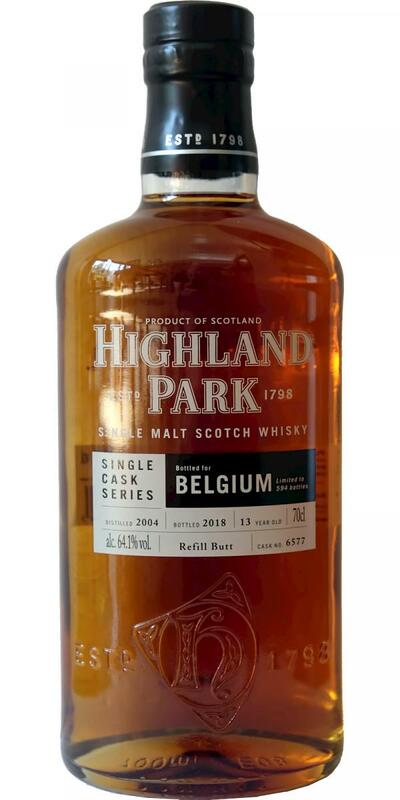 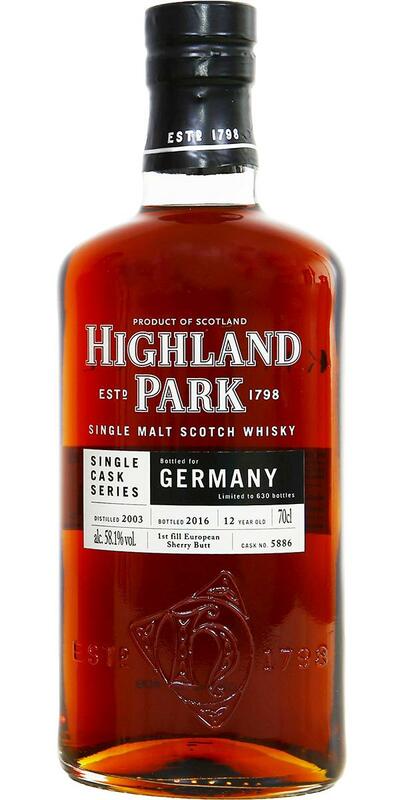 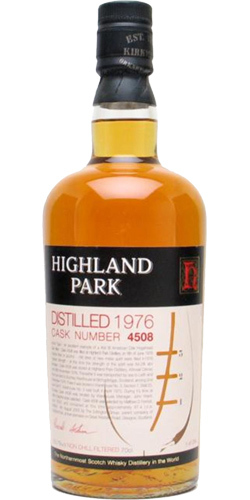 Highland Park 1968 DT 40 40.9 % Vol. 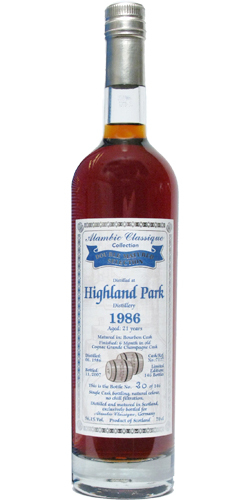 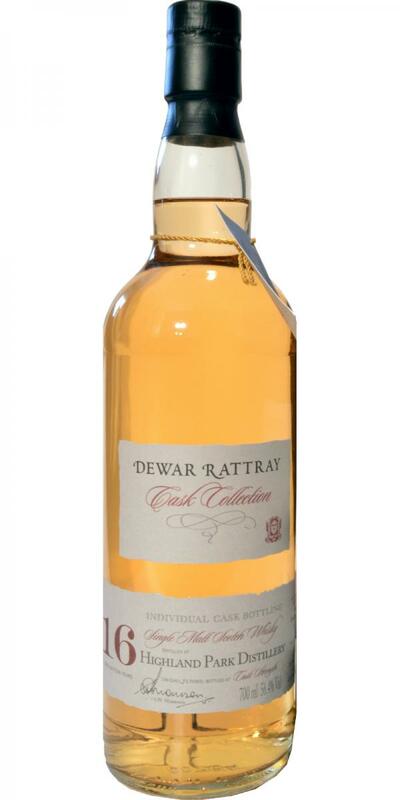 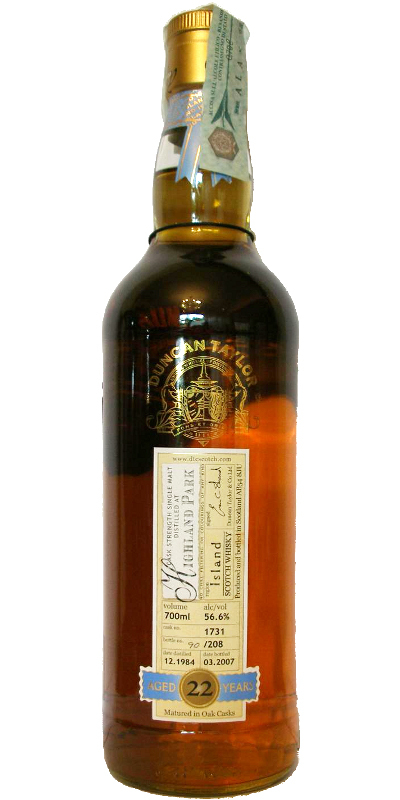 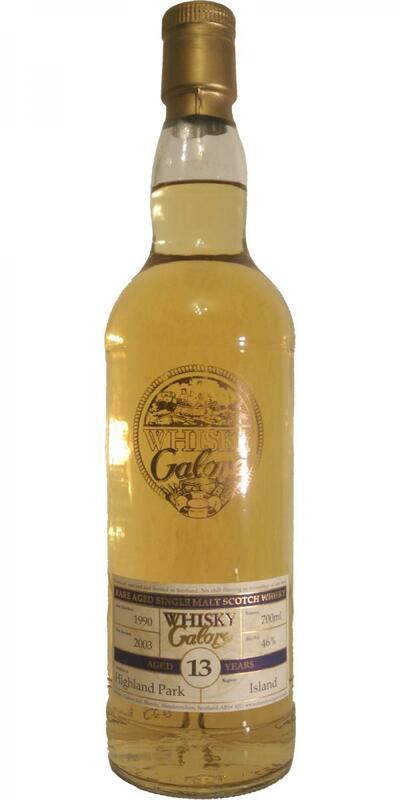 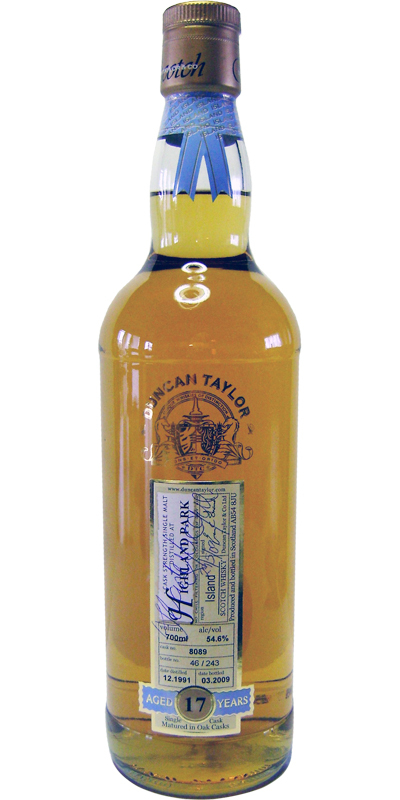 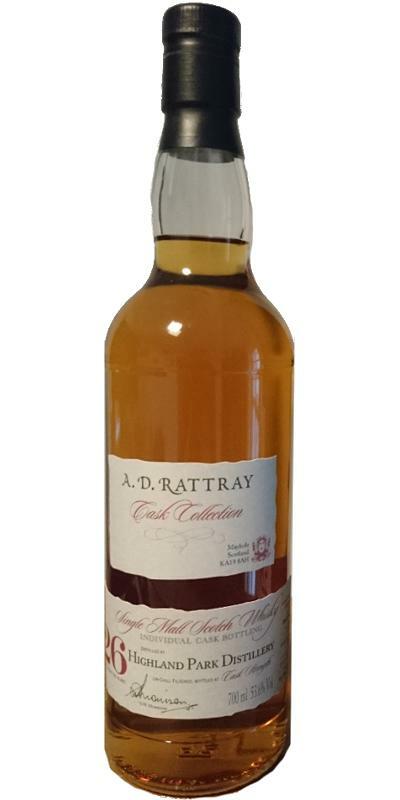 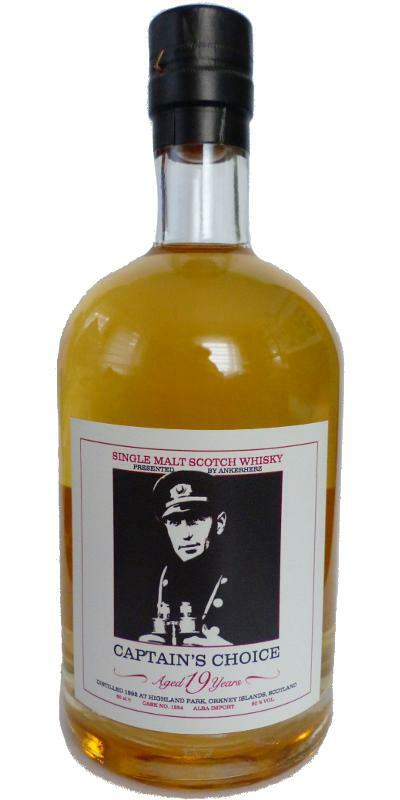 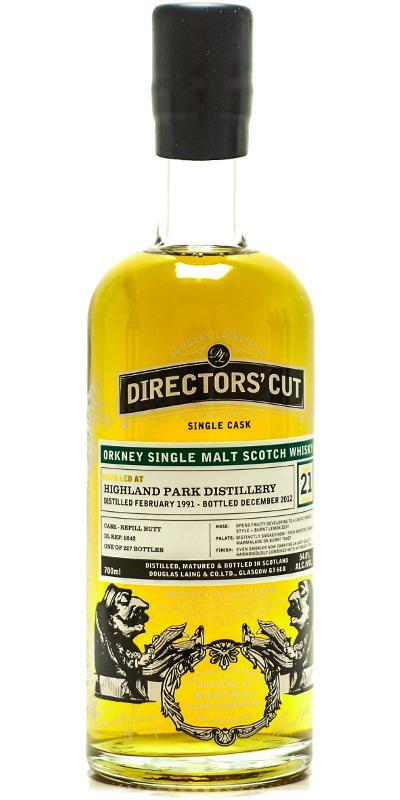 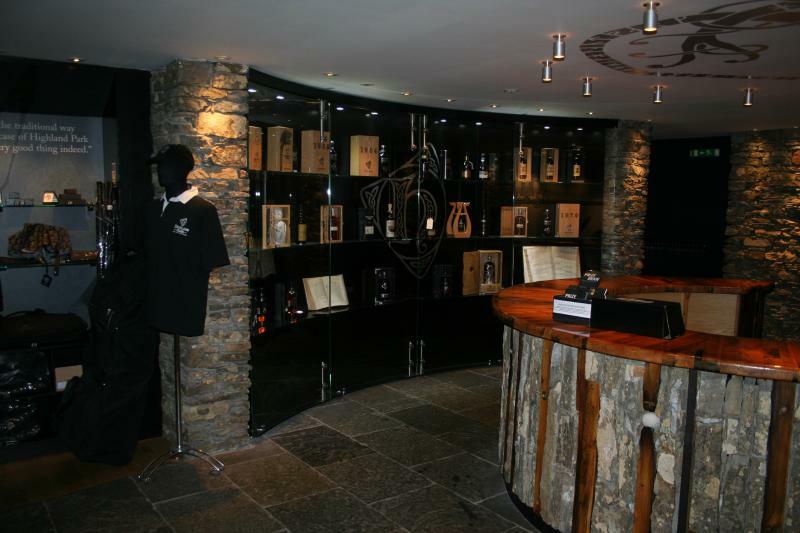 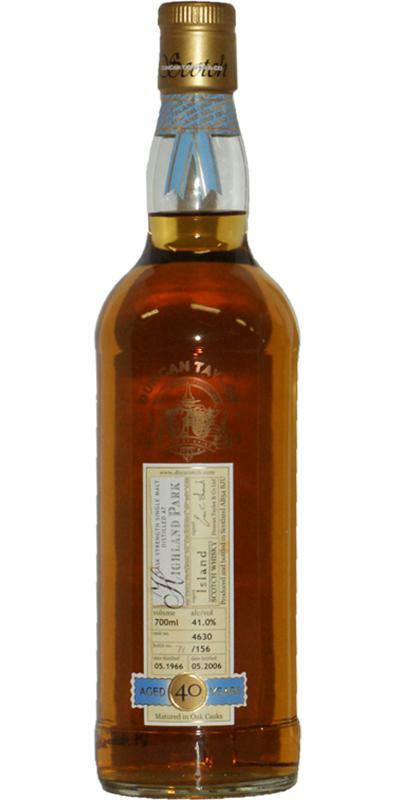 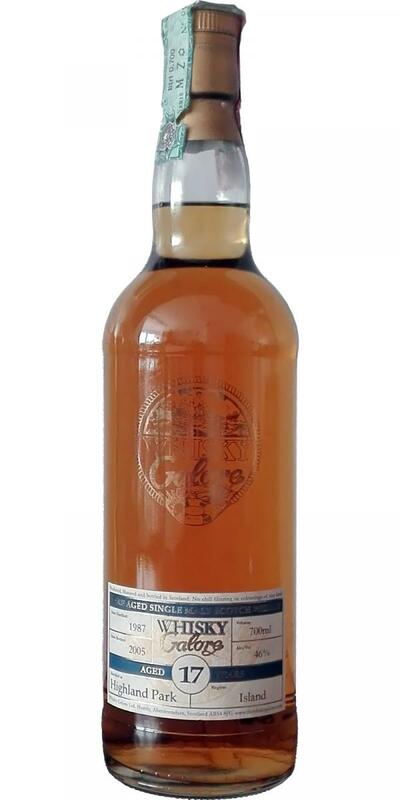 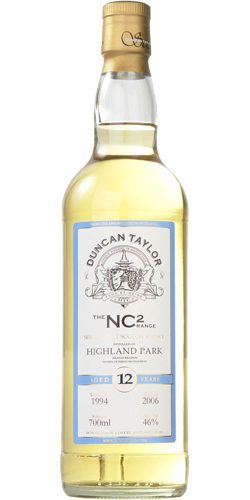 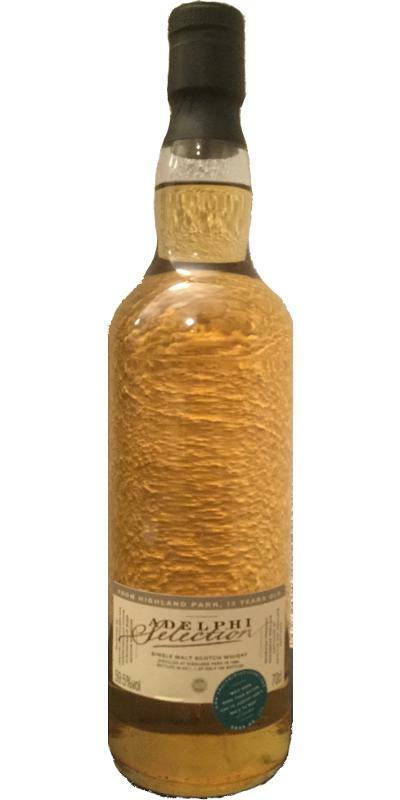 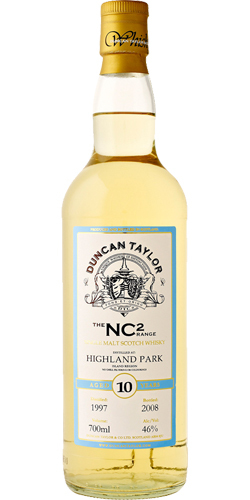 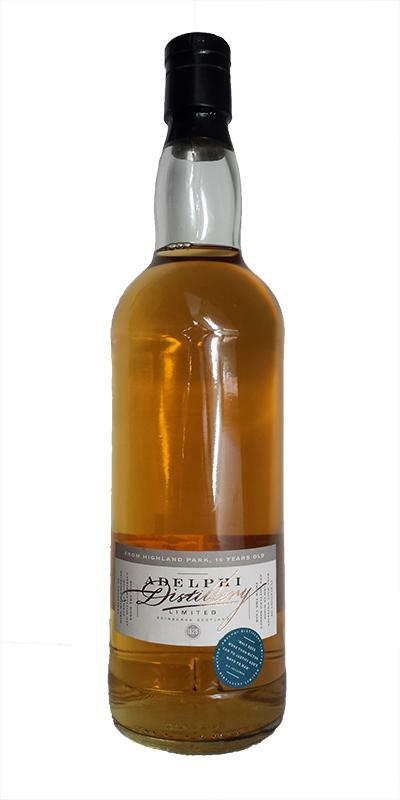 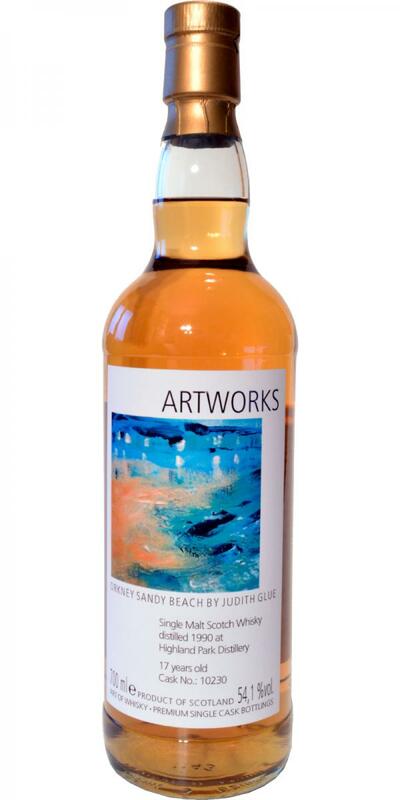 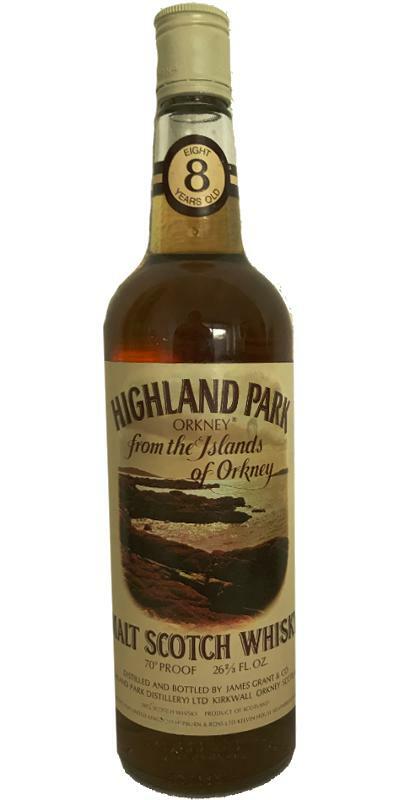 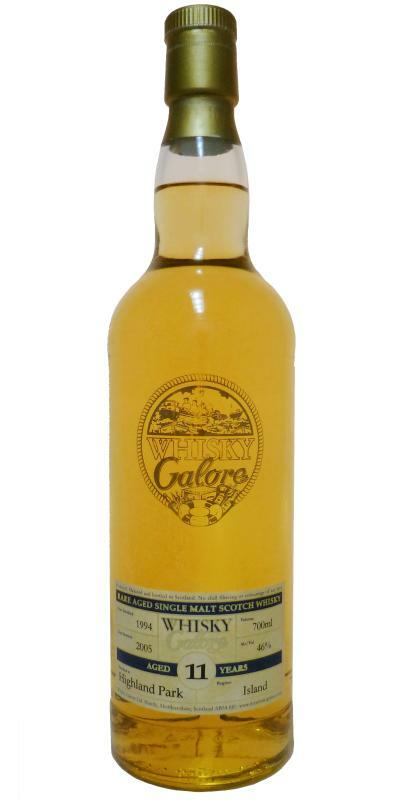 Highland Park 1989 DT Whisky Galore 40.0 % Vol. 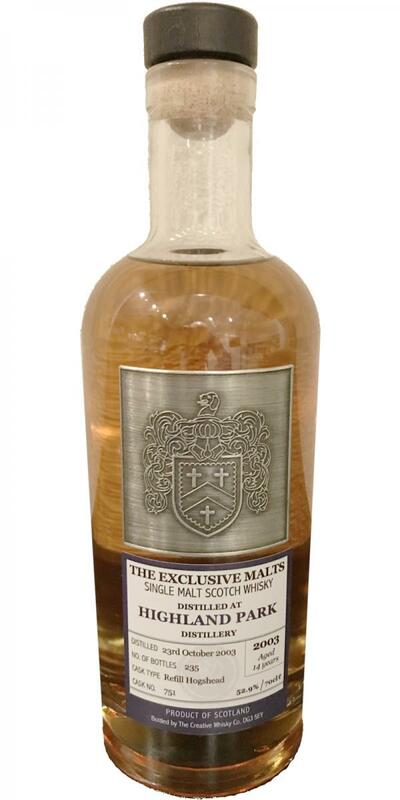 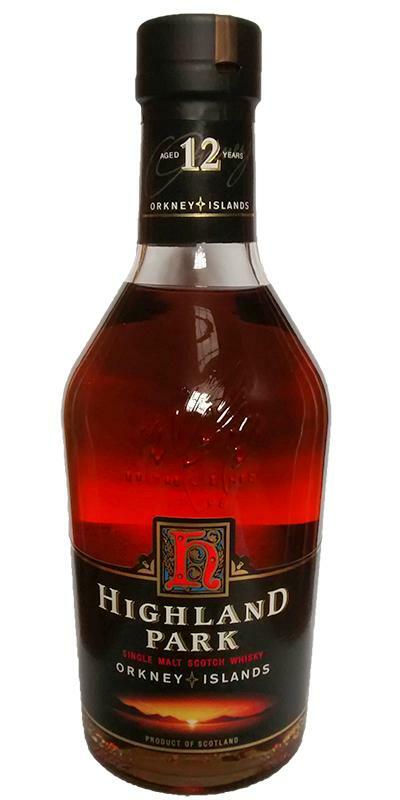 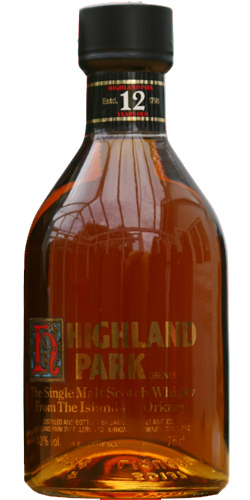 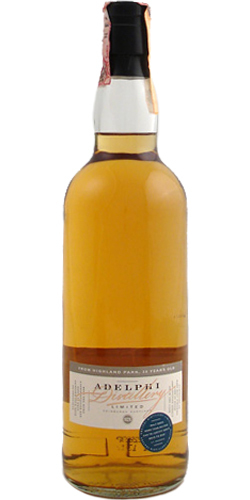 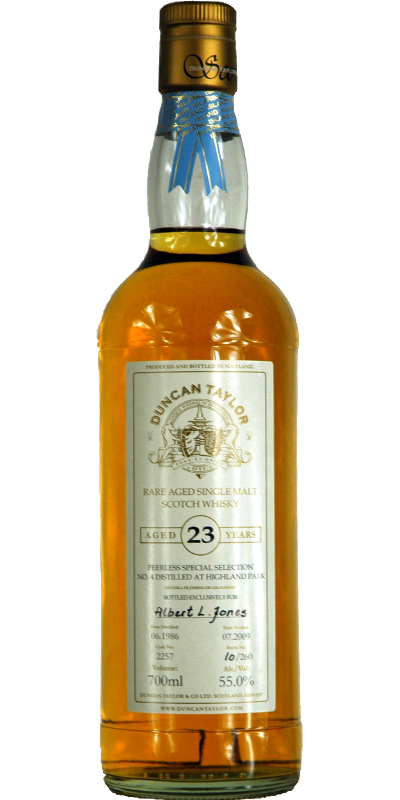 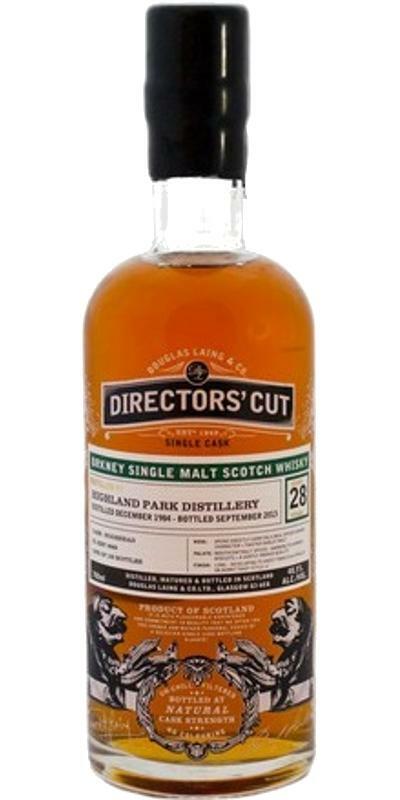 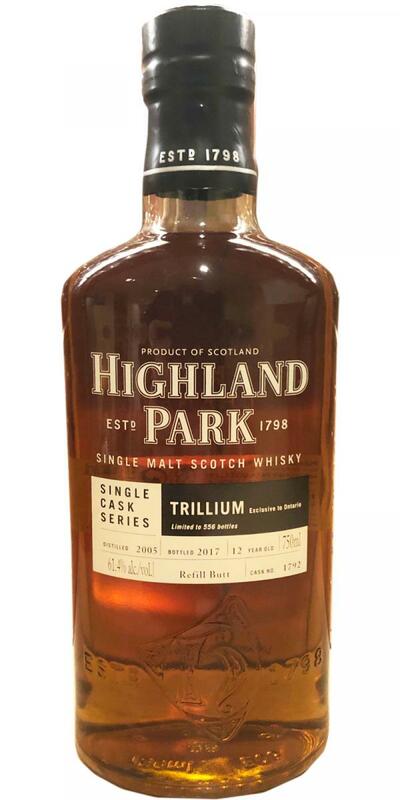 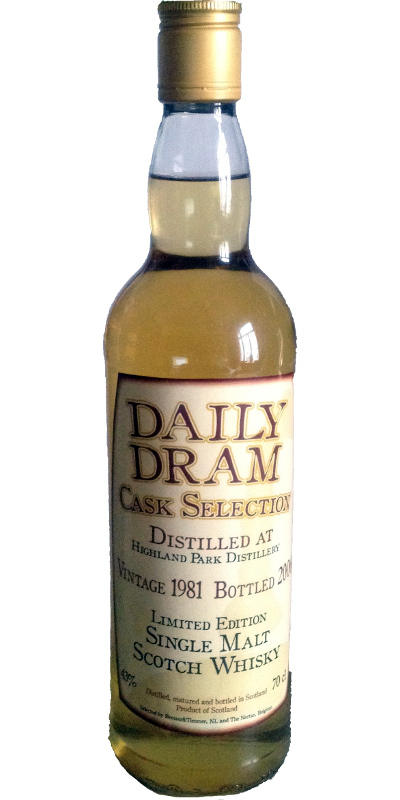 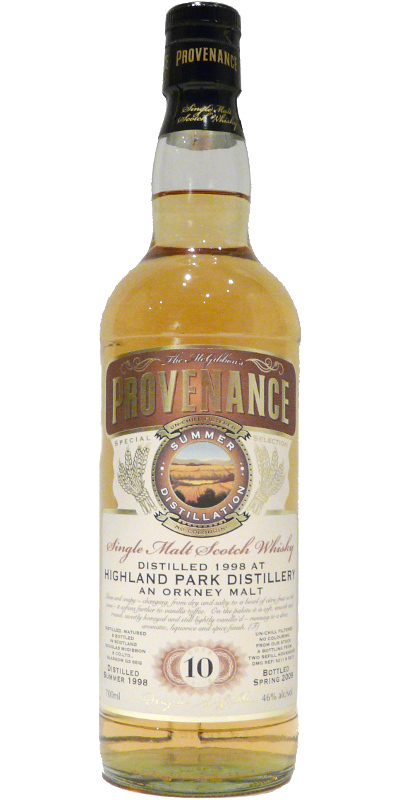 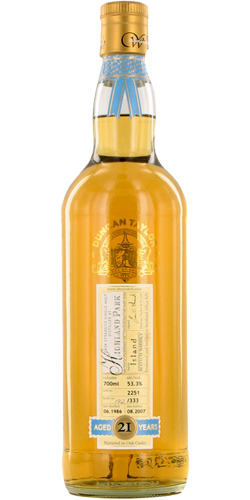 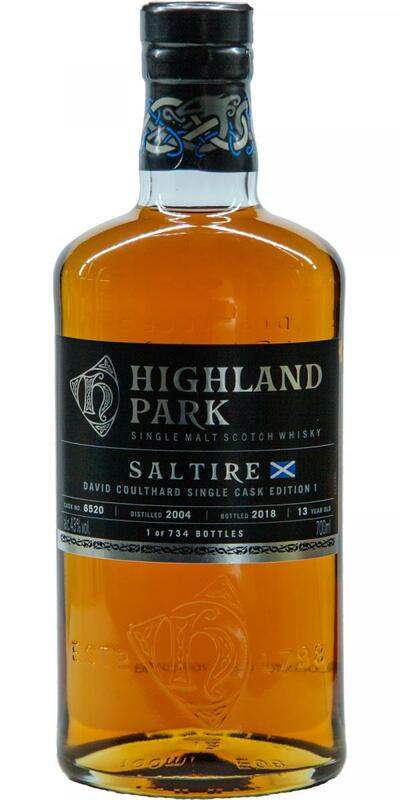 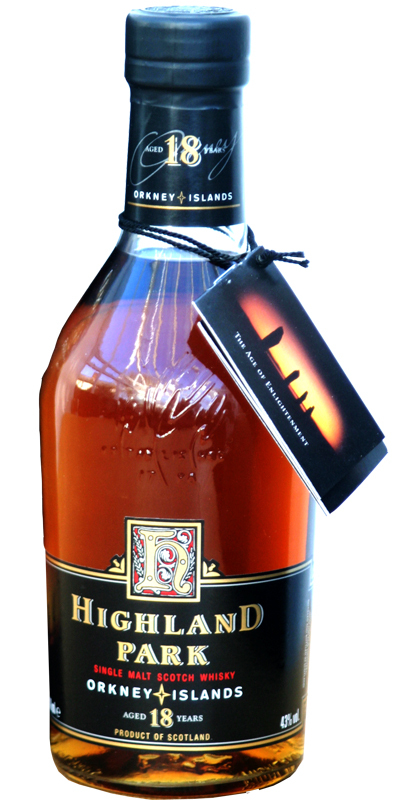 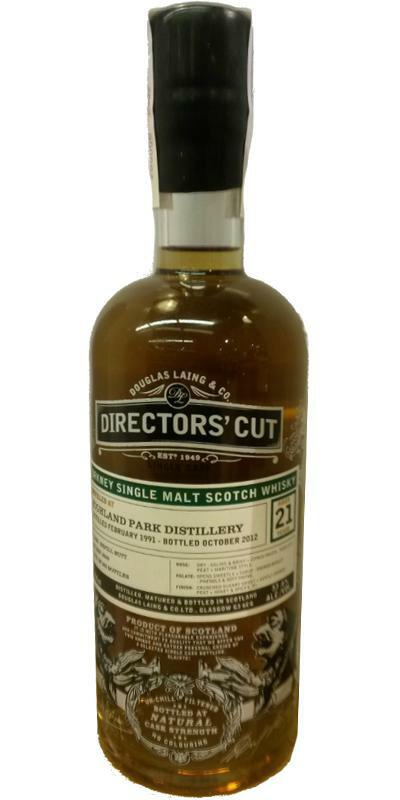 Highland Park 1994 DT Prime Malt - Selection No.2 13 40.0 % Vol.